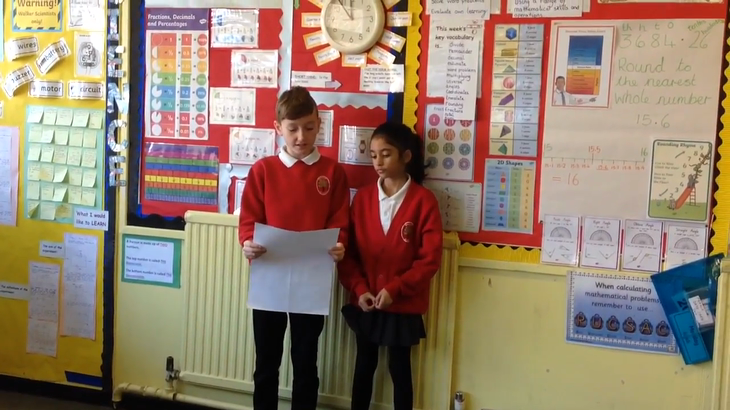 We have not set any new spellings as we would like the children to revise the words from the last term in preparation for a revision spelling test for when we return after Easter. 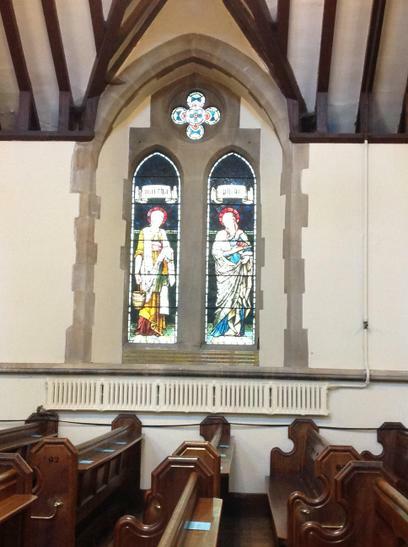 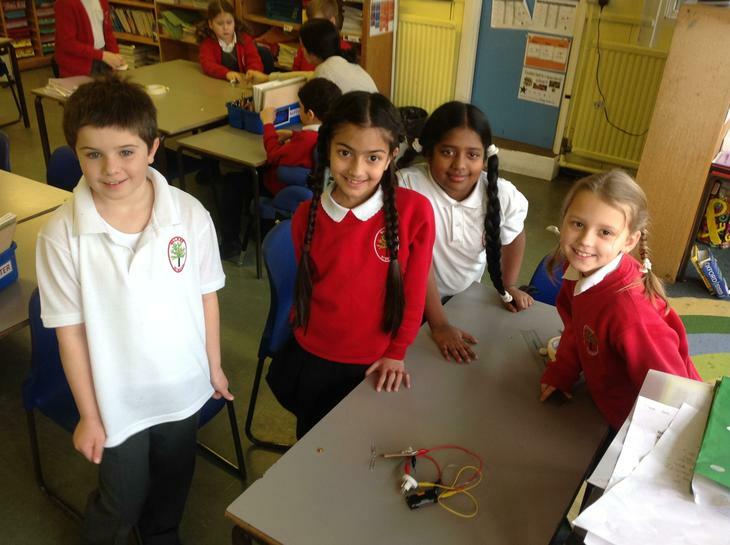 We hope that you enjoy the Easter break and look forward to seeing you in the summer term. 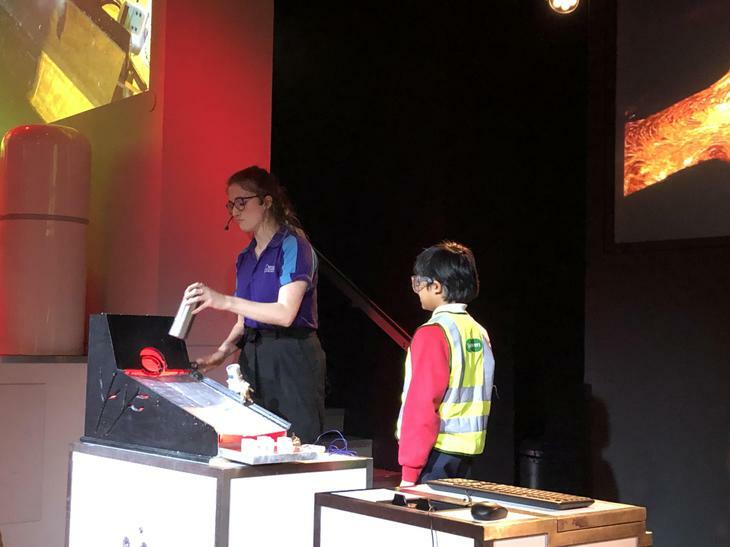 For this evenings production performance could the children please be in at 6:00pm in order to get changed and receive make up etc. 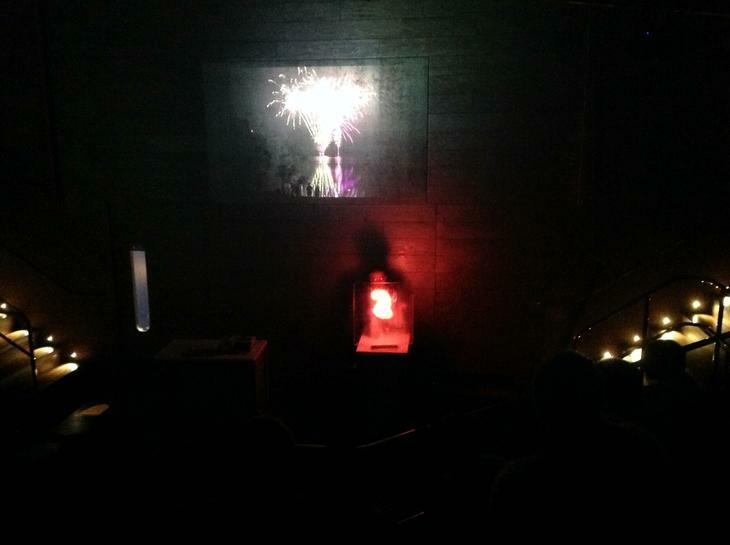 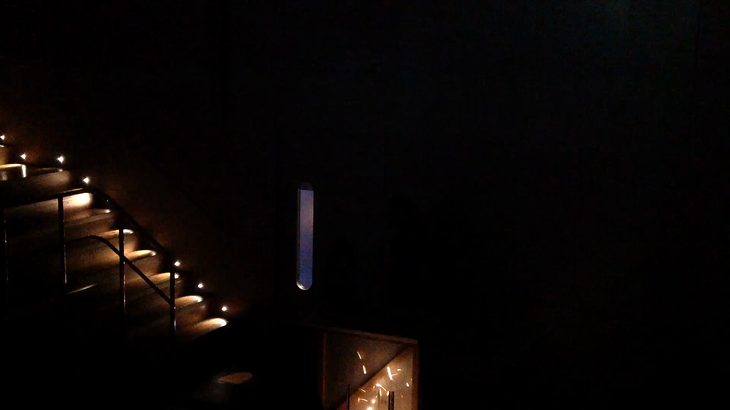 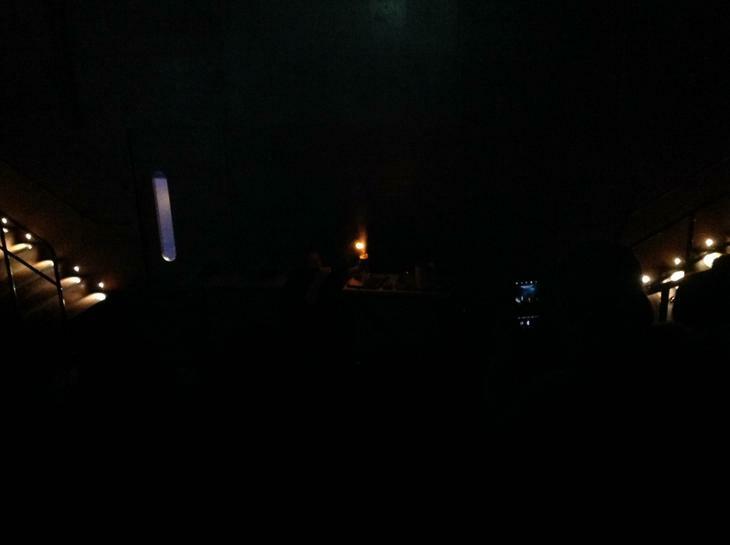 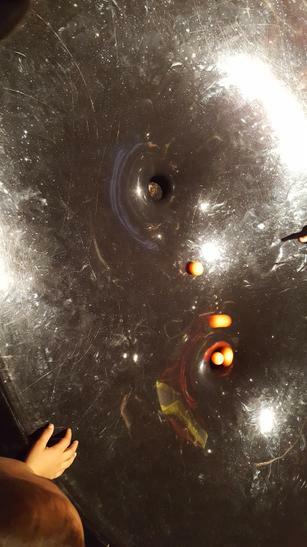 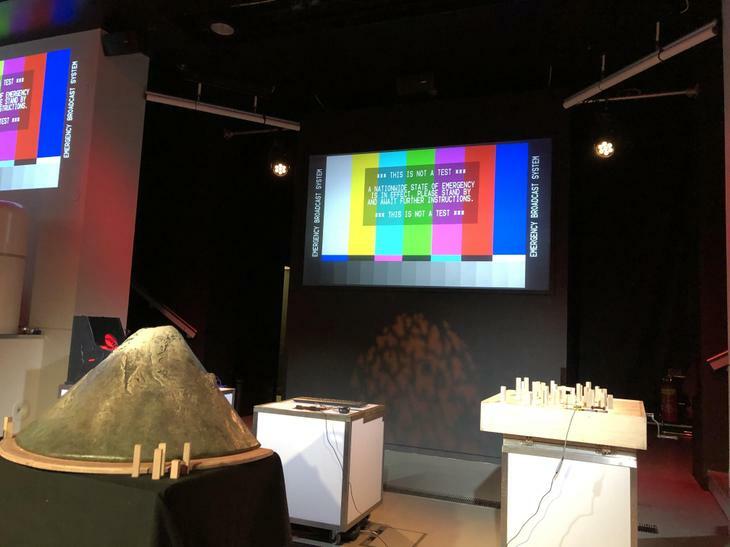 The actual performance will start at 7:00pm and hopefully will be finished by half past 8 at the latest. 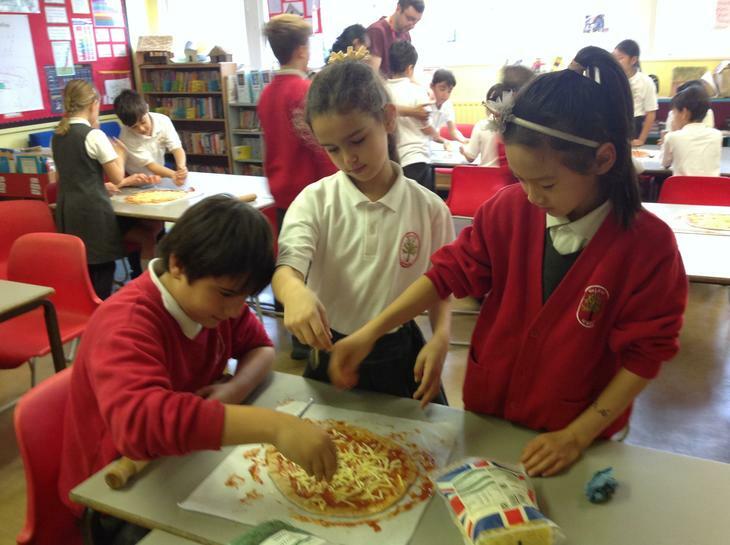 We hope that you enjoy it as much as we have creating it! 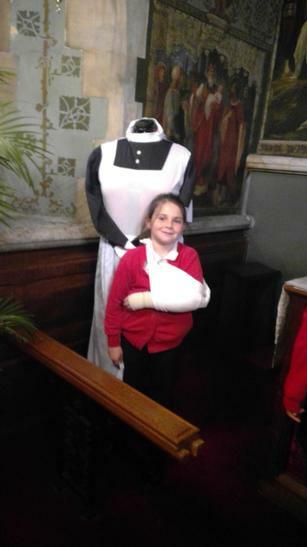 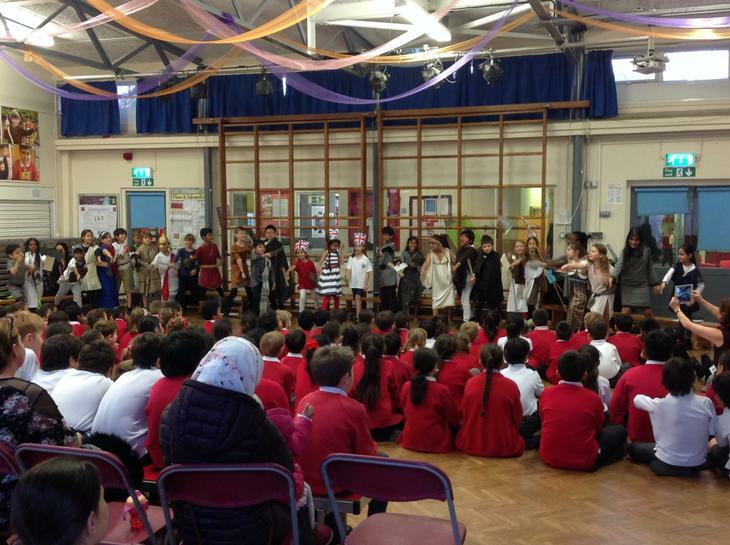 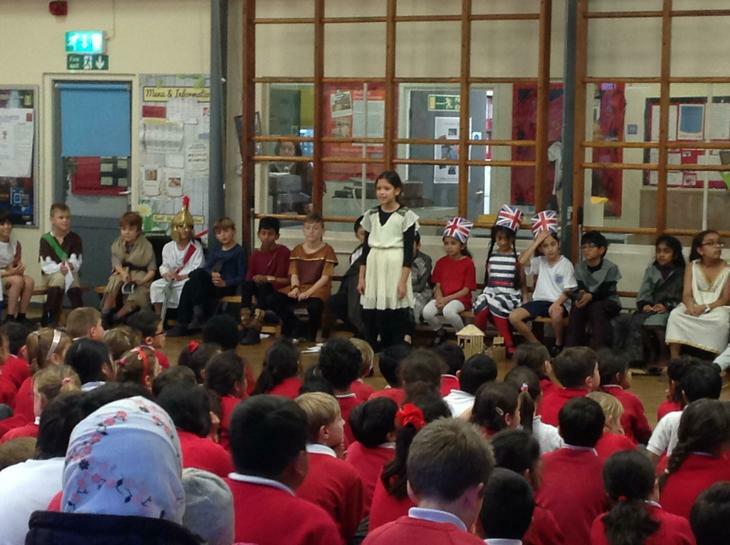 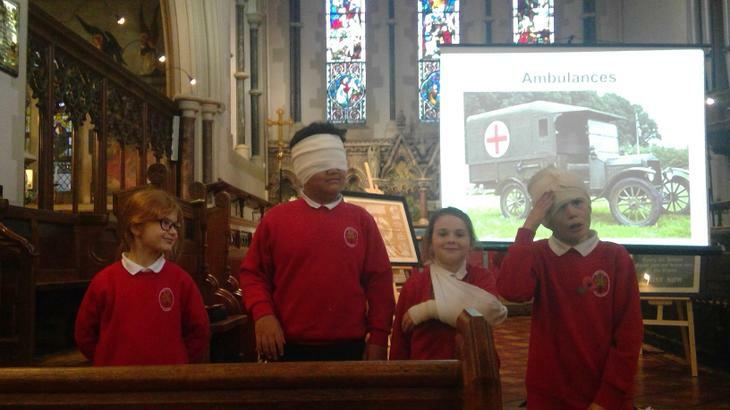 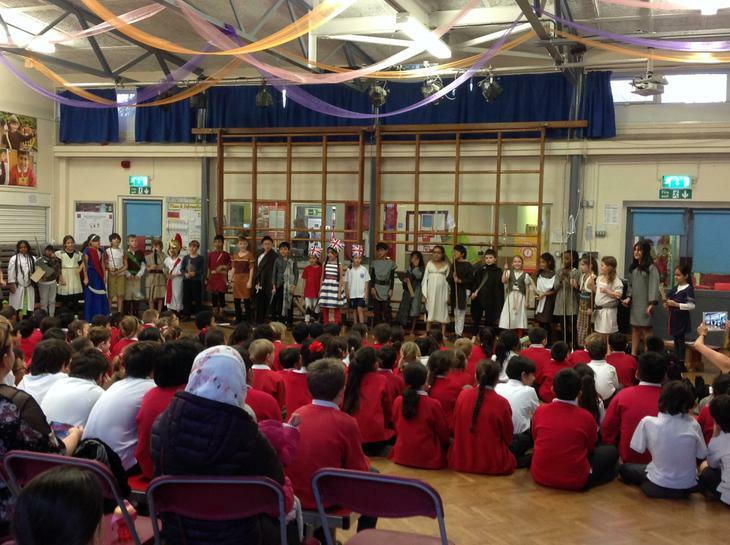 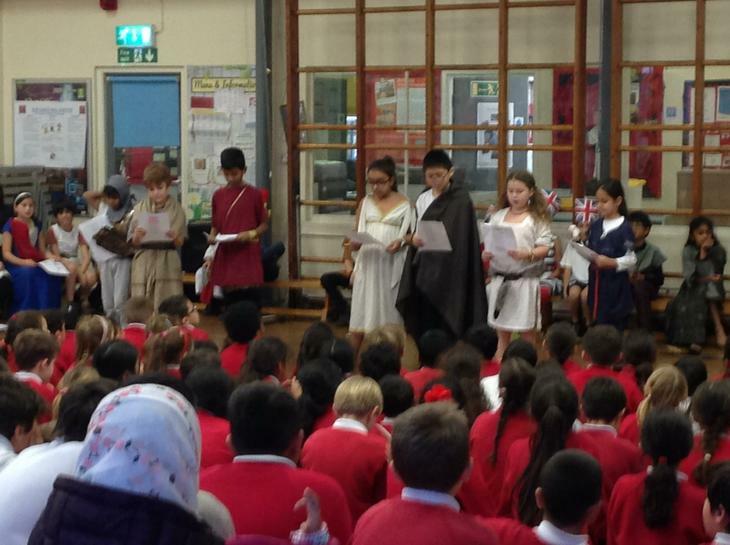 Over the next couple of weeks we have decided not to set any literacy homework as we would greatly appreciate it if the children could practise their parts for the forthcoming production. 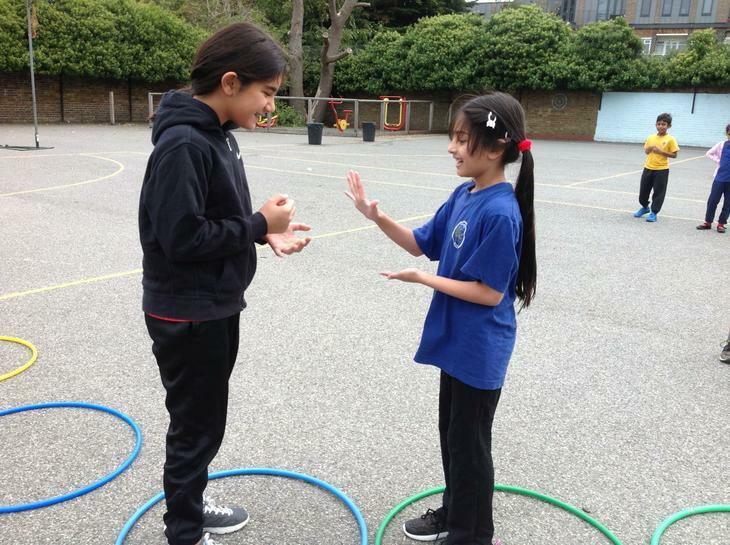 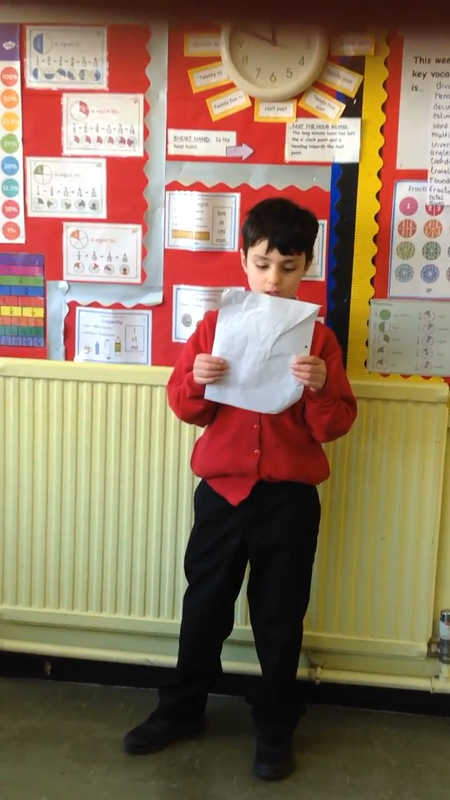 When practising their lines, the children should not only attempt to memorise them, but also focus on using great expression and really emphasising their words in order to fully act their roles. 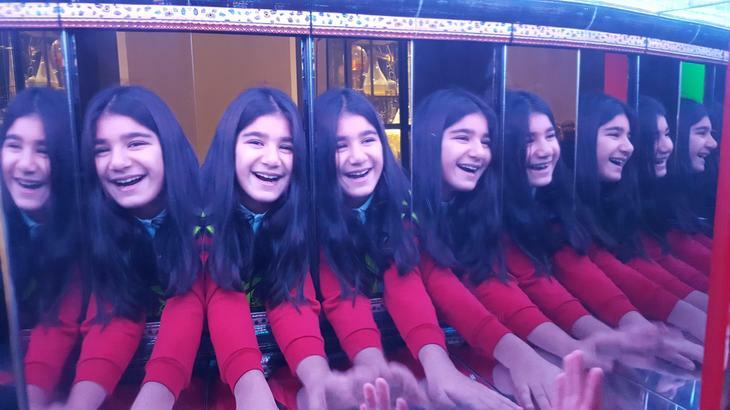 Thank for all of your help and support thus far, and thank you in advance for it's continuation... it is much appreciated! 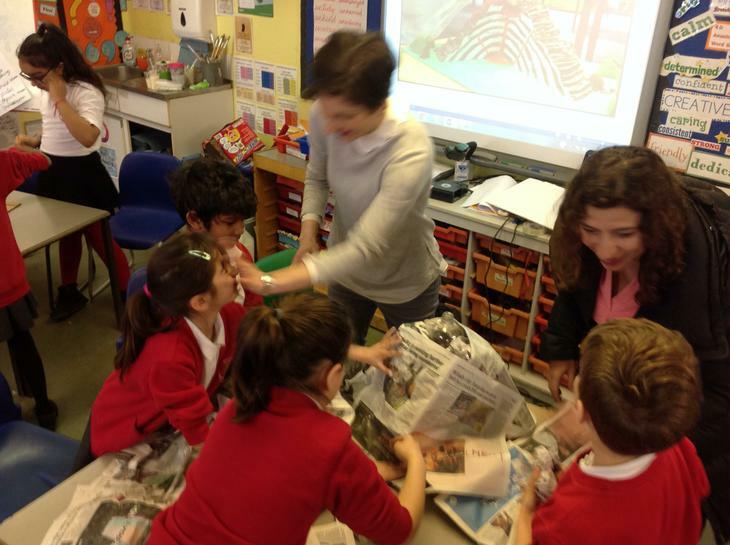 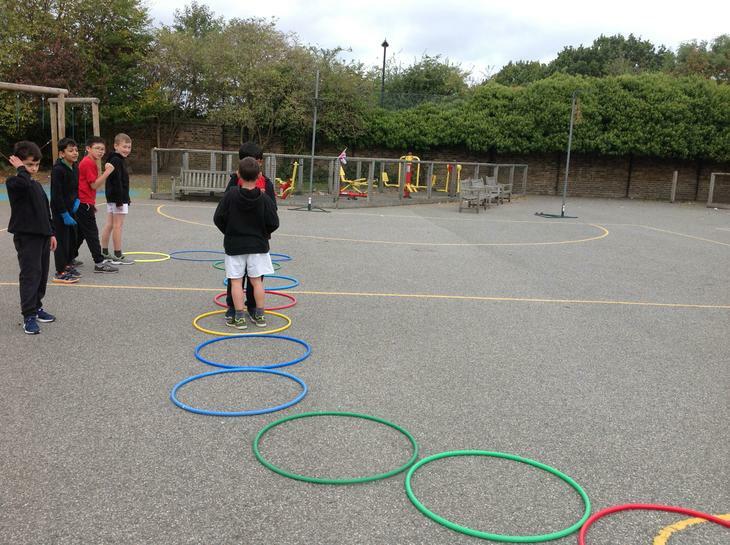 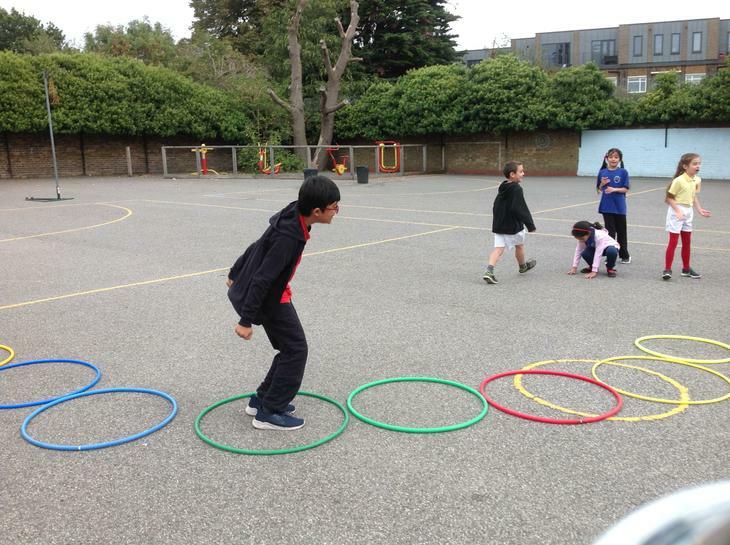 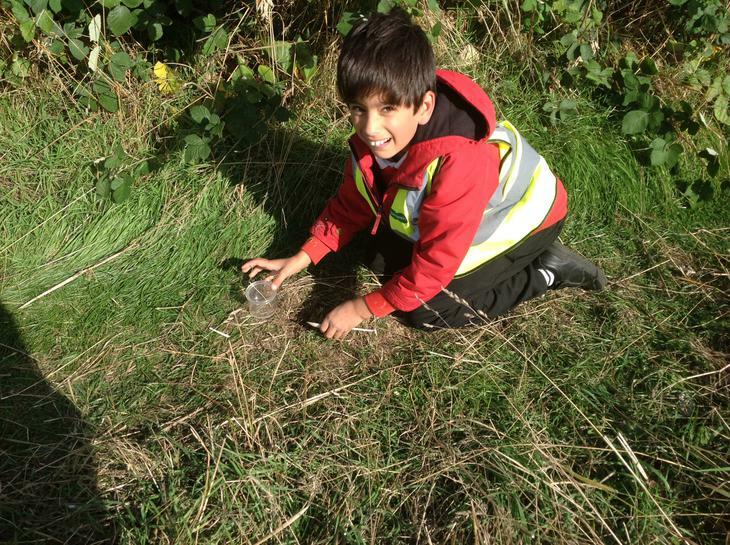 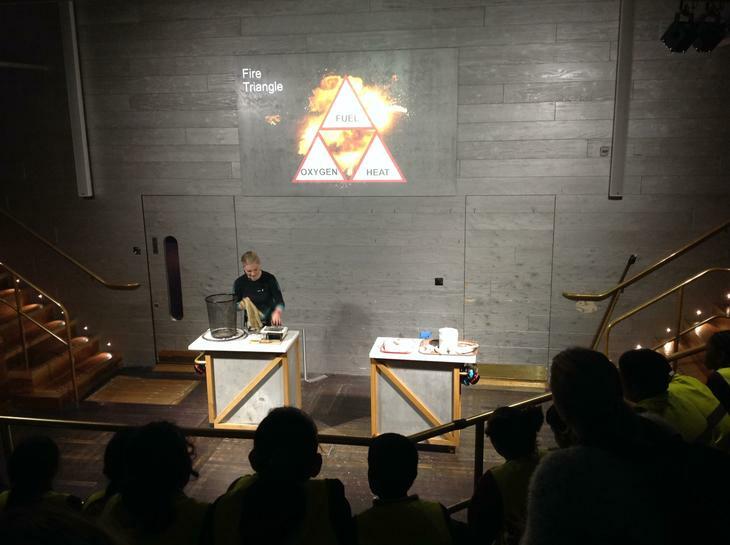 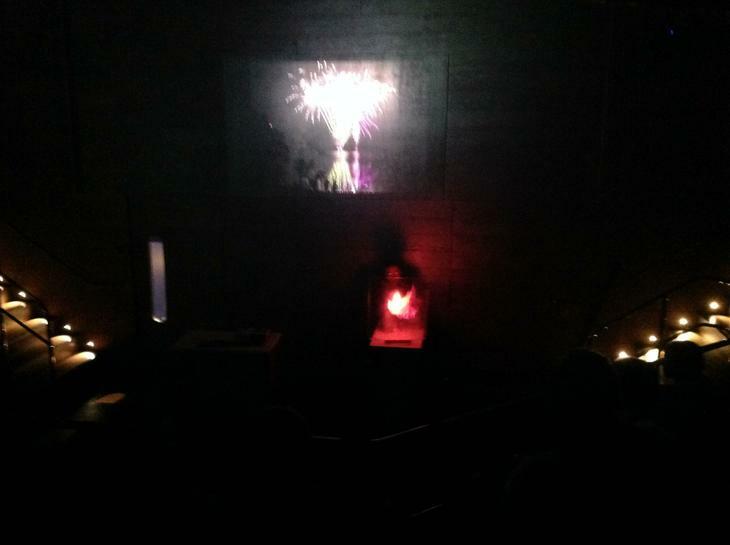 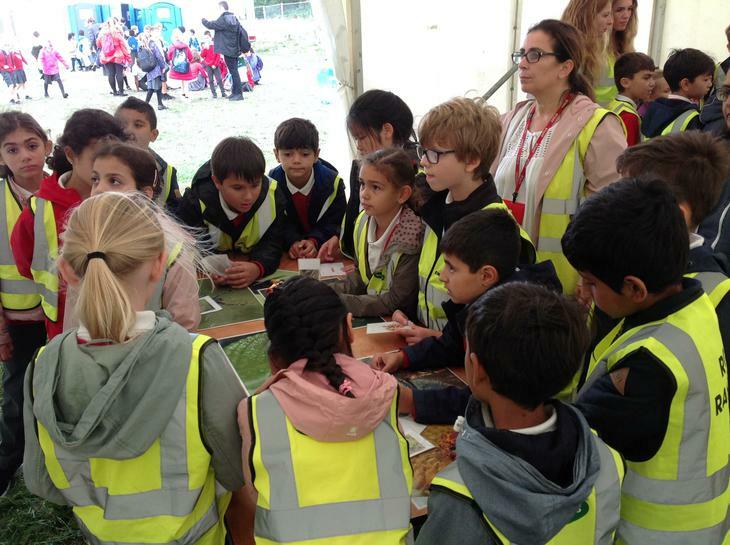 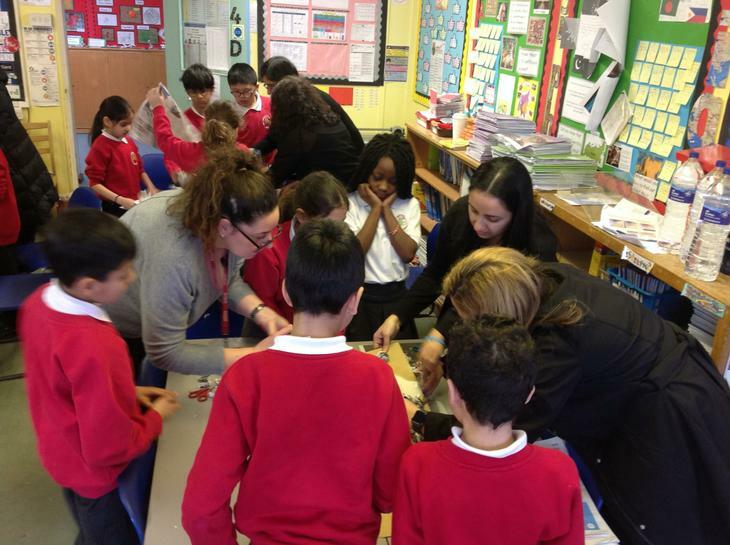 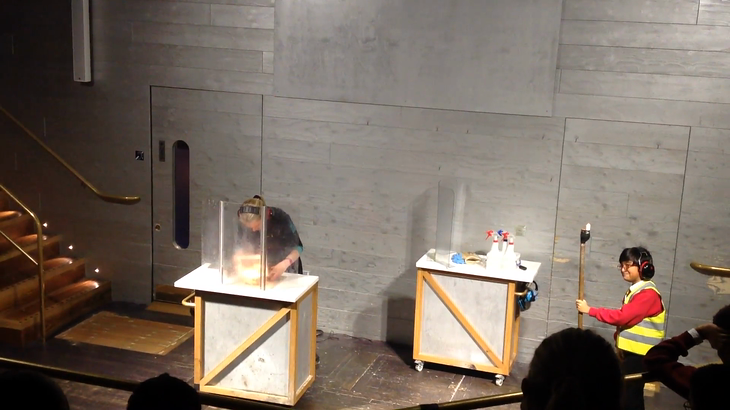 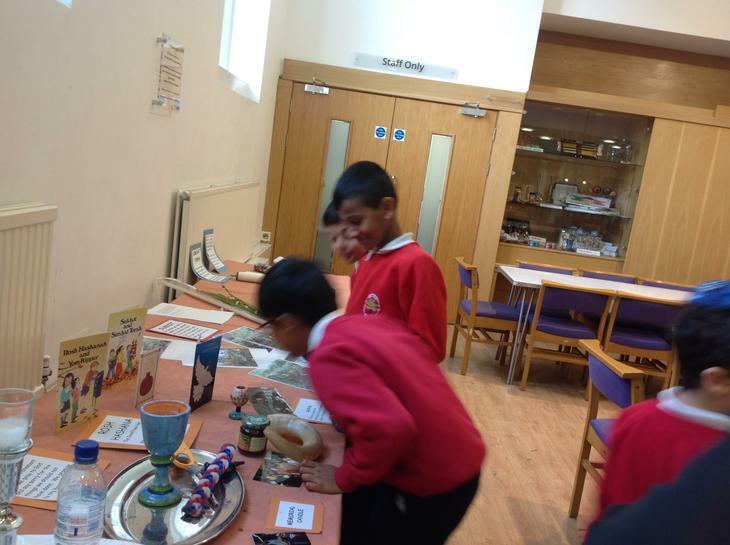 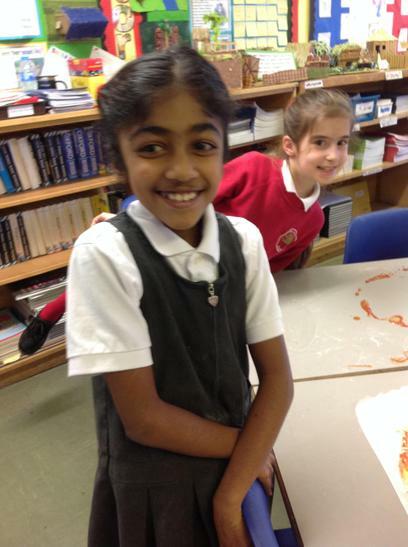 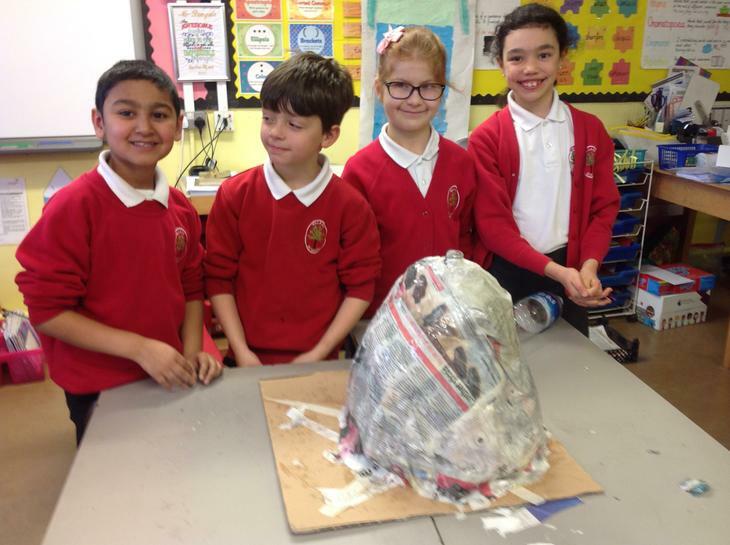 Year 4 had a great morning making volcanoes and consolidating their learning from the previous day’s trip. 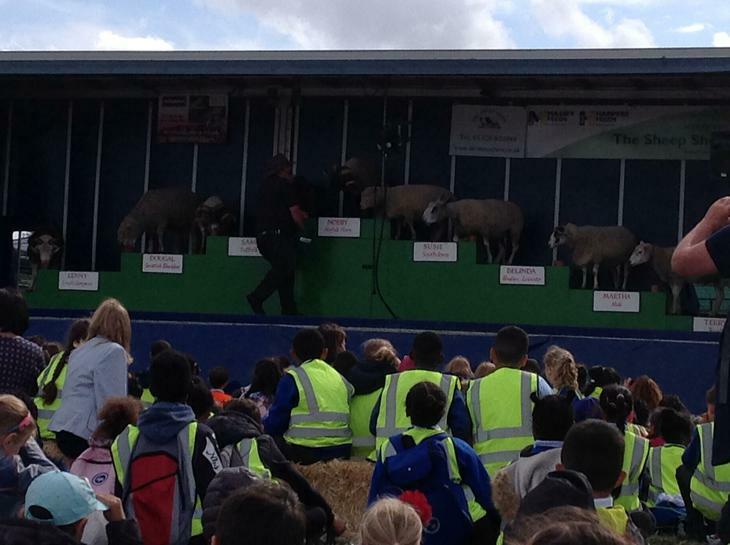 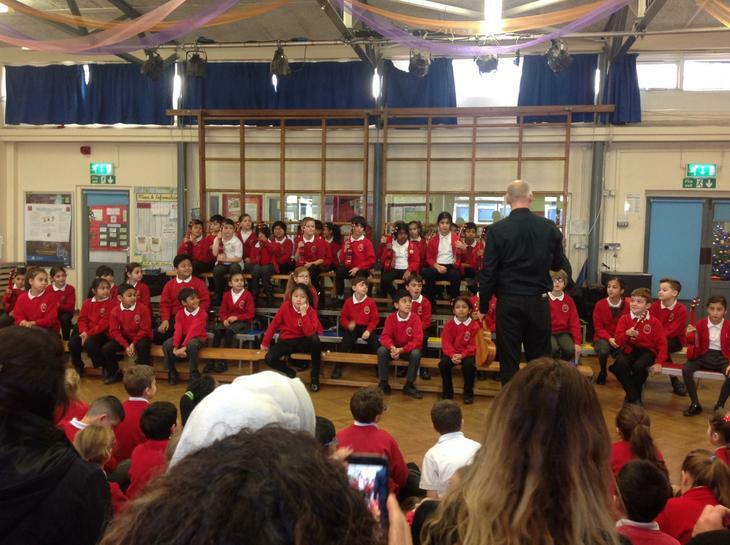 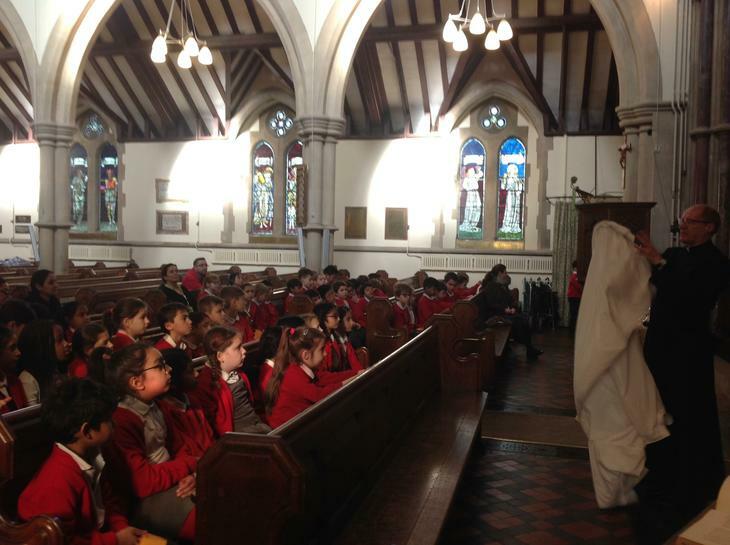 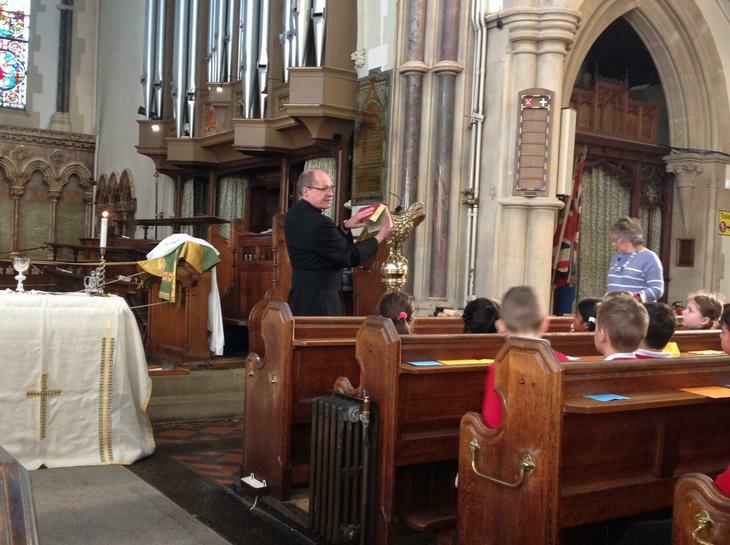 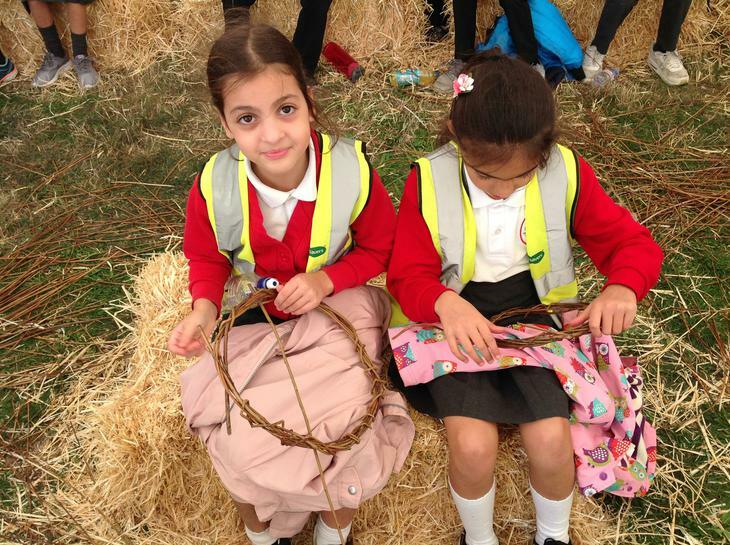 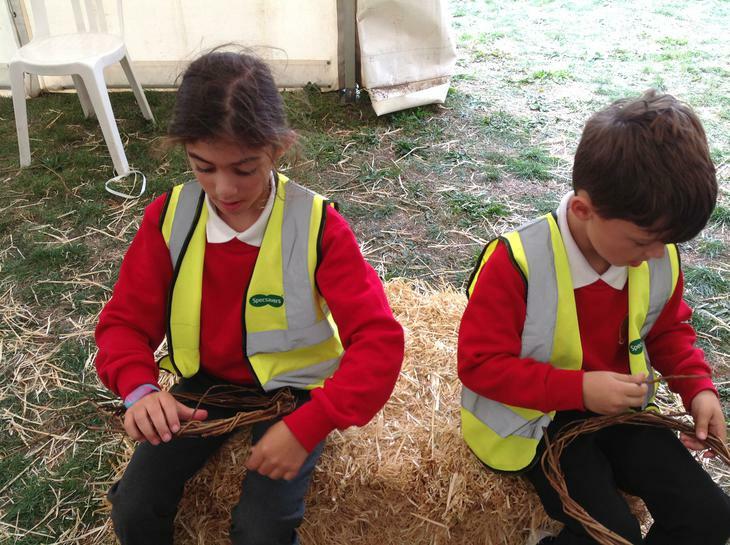 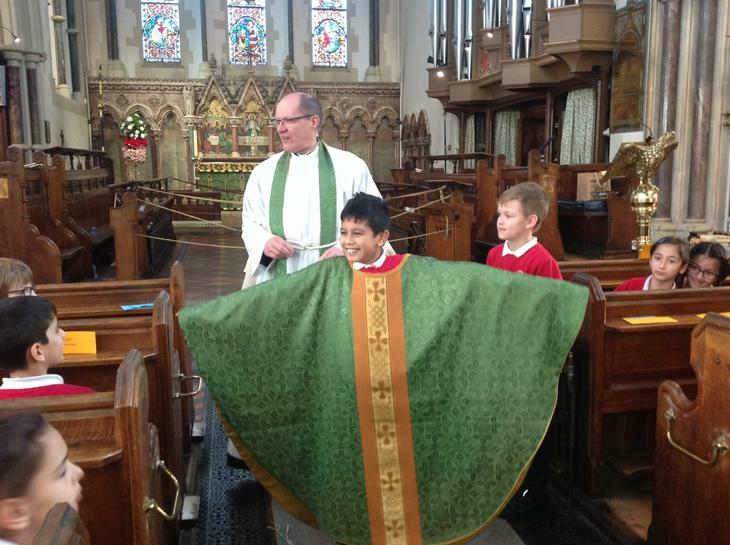 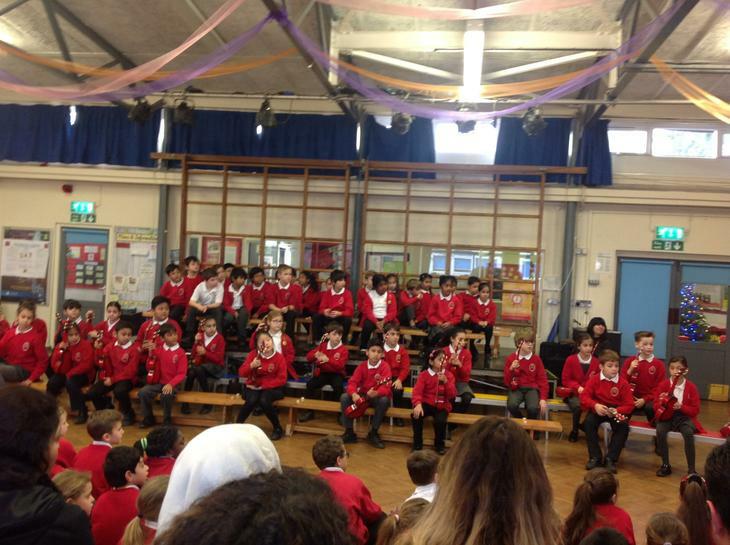 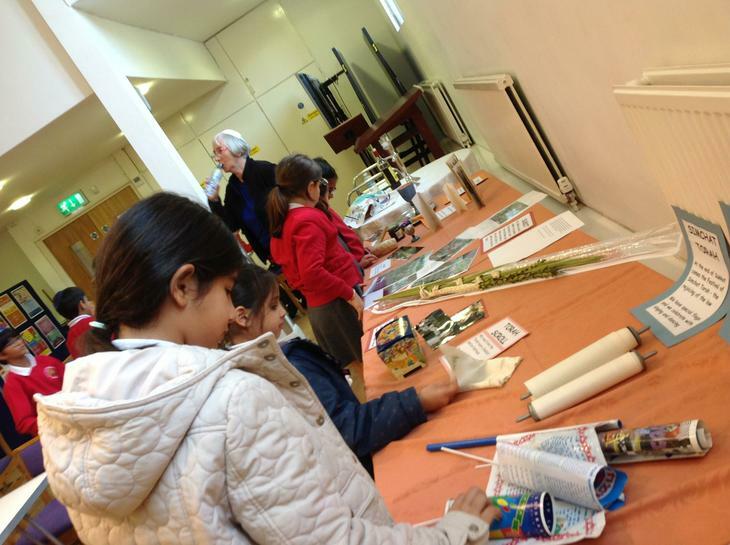 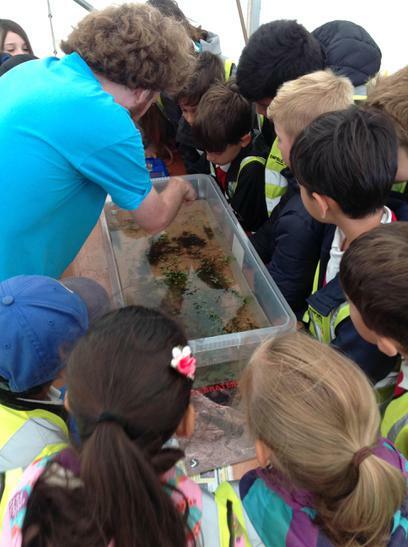 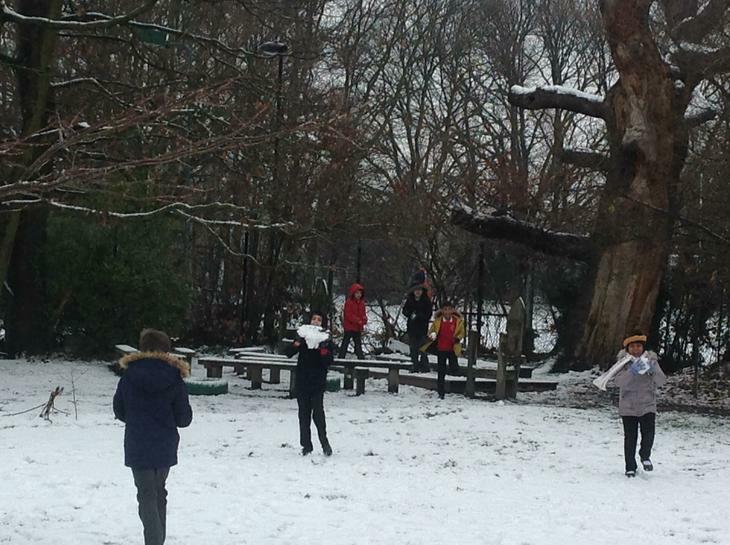 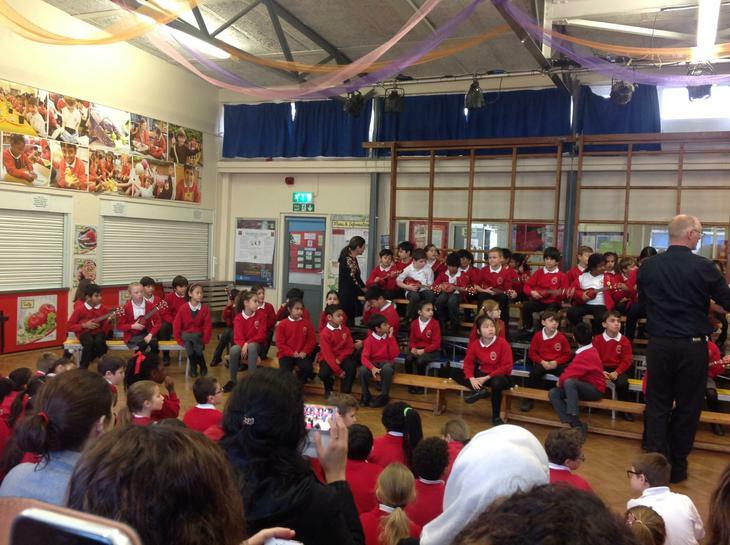 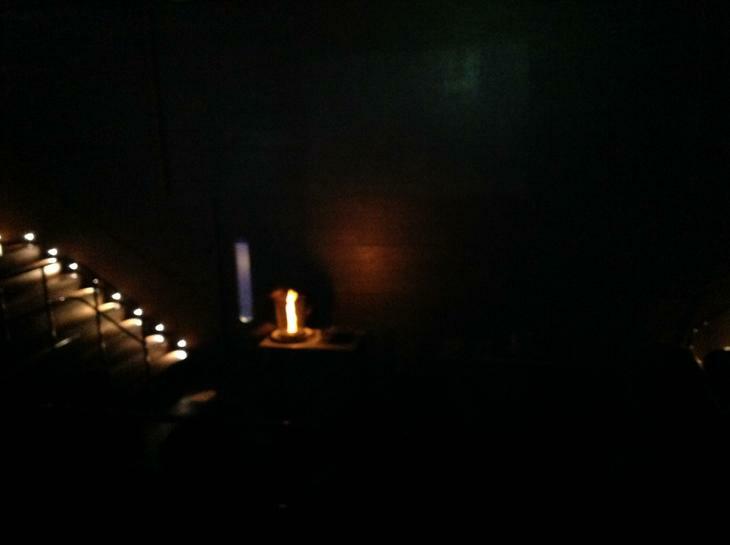 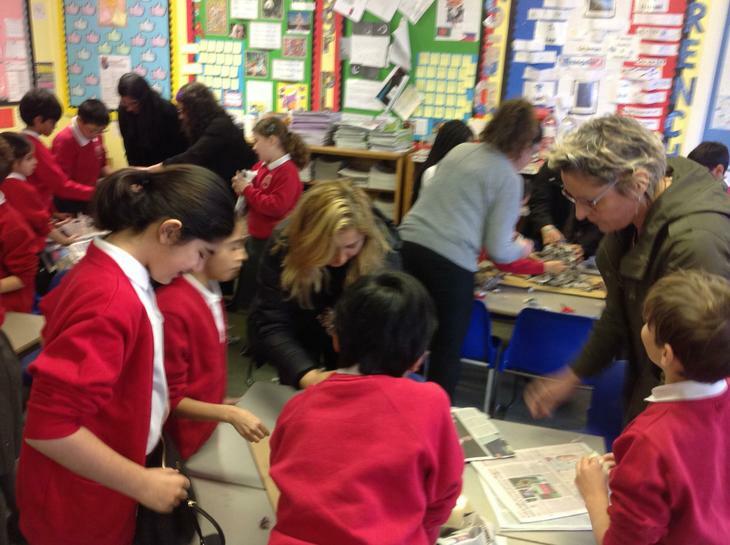 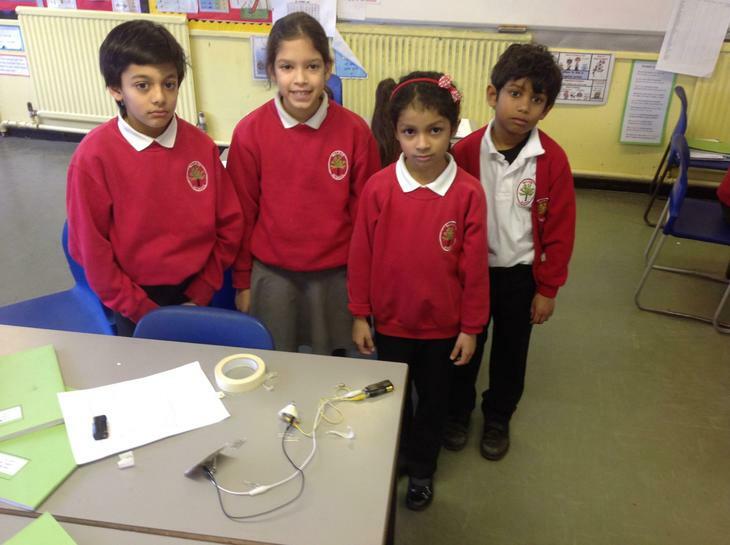 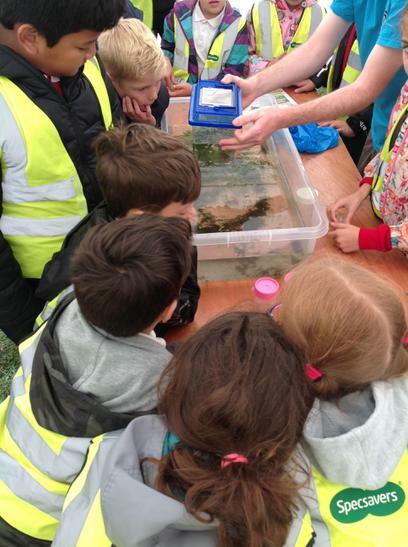 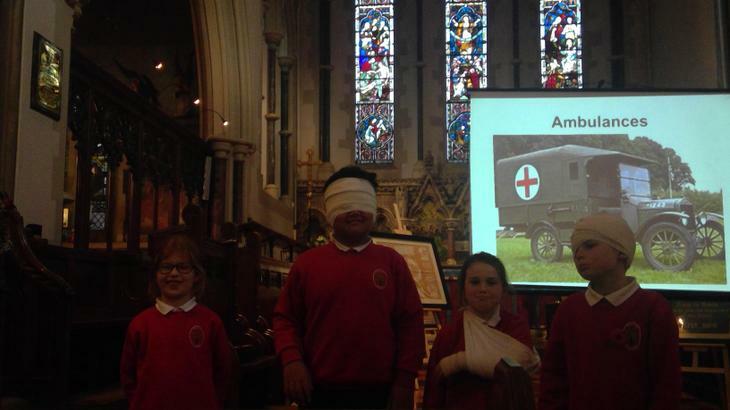 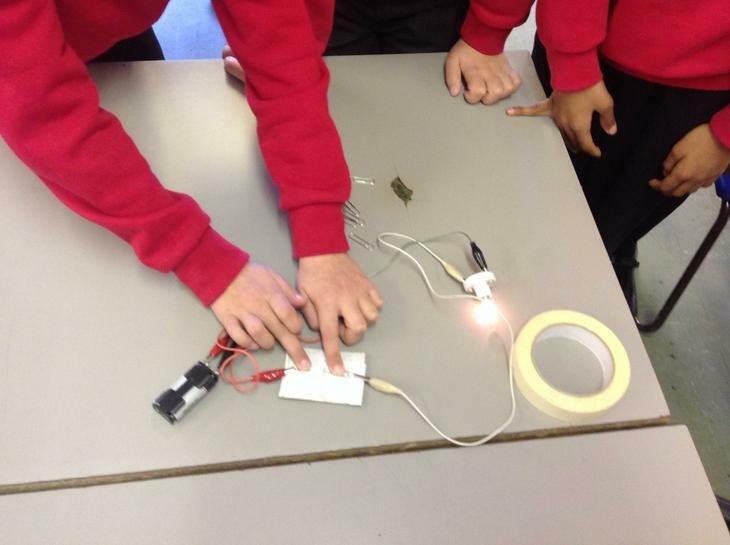 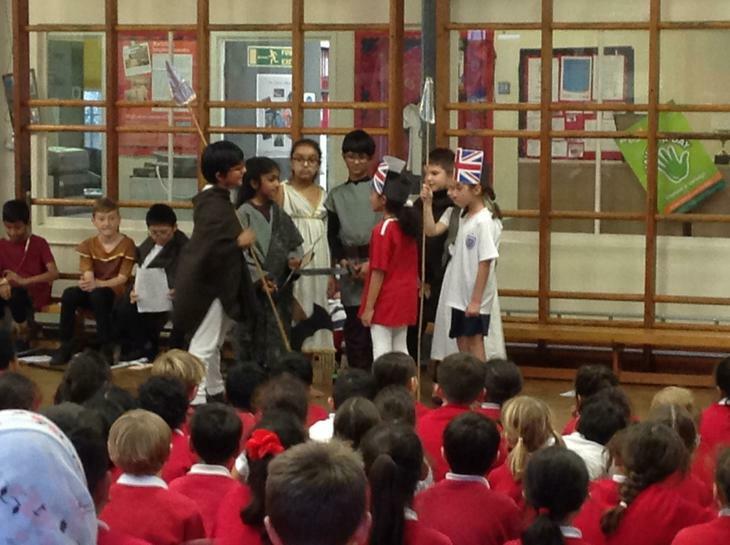 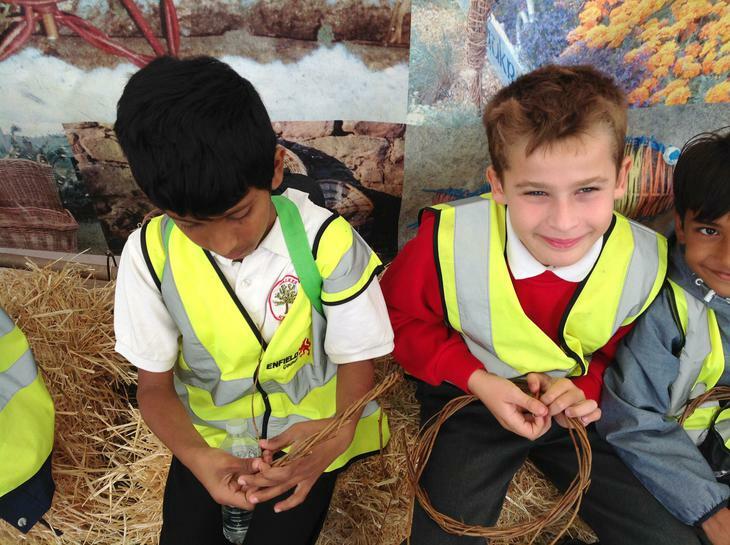 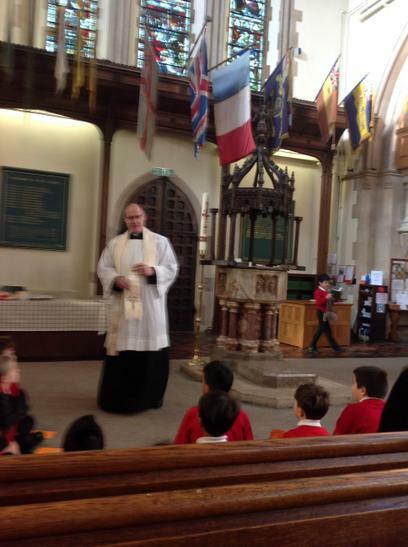 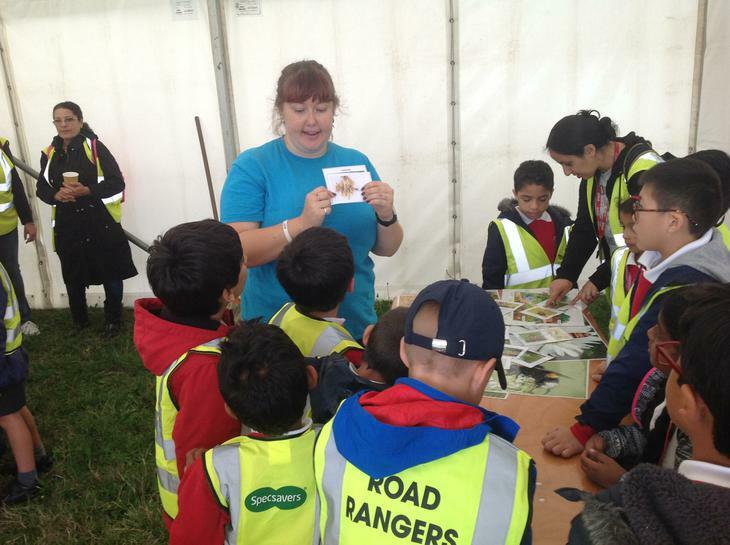 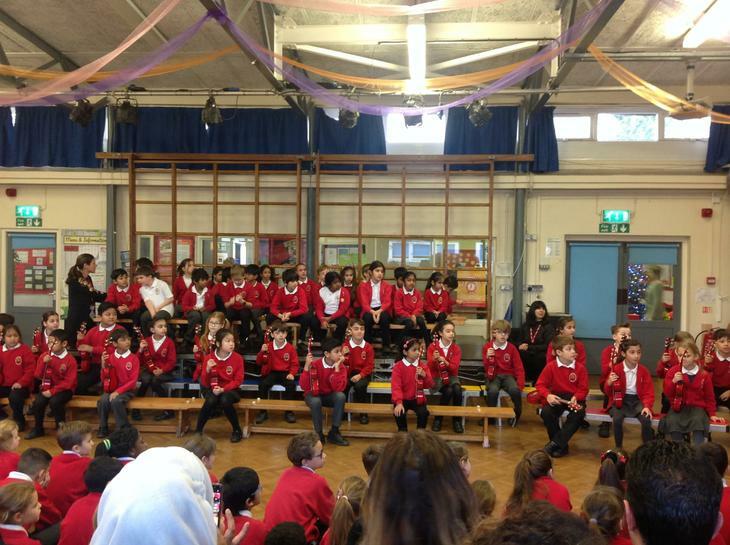 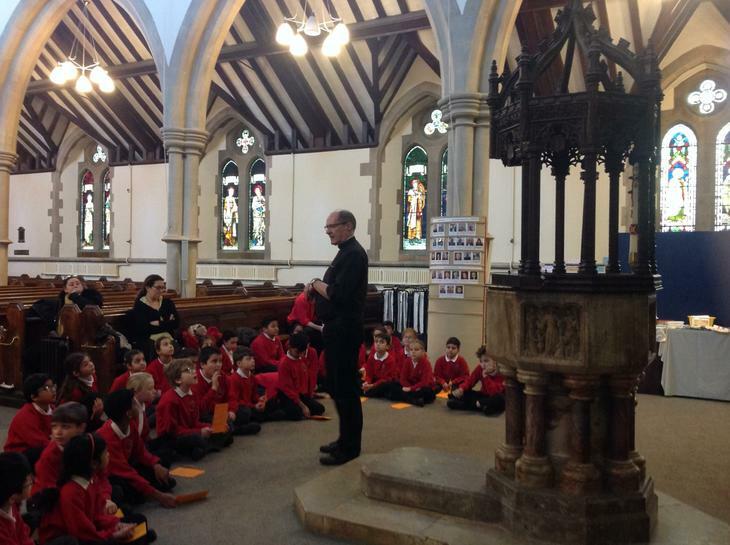 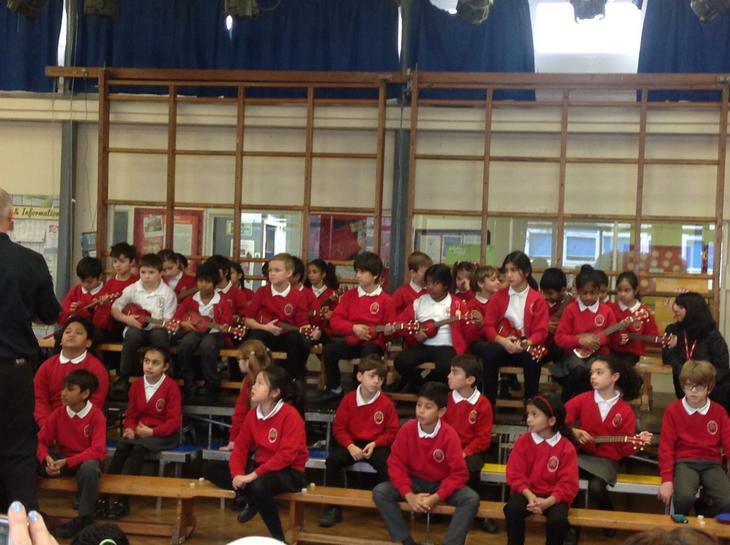 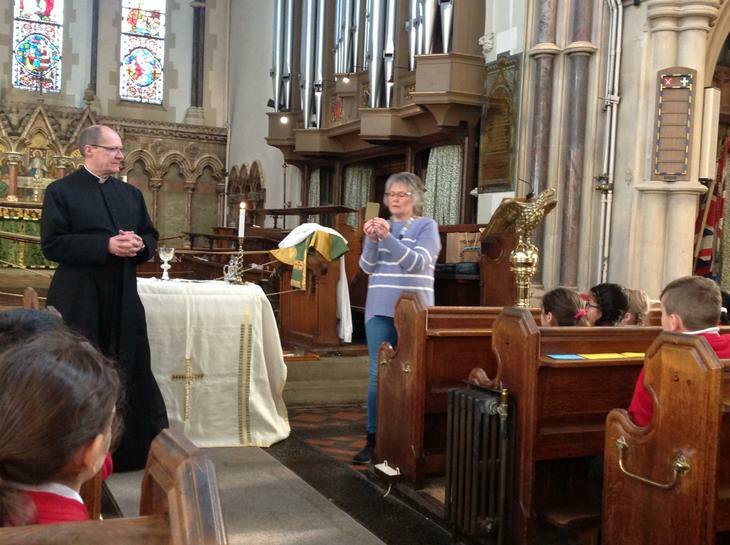 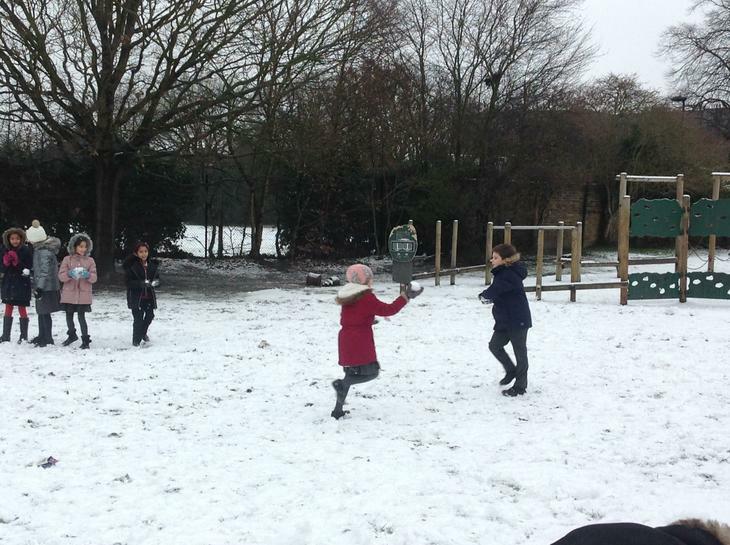 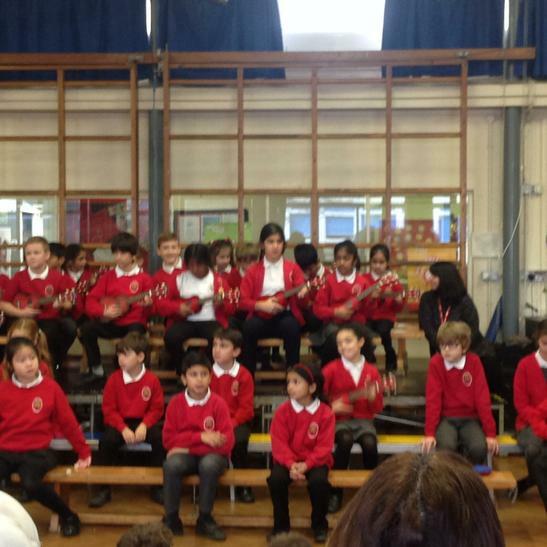 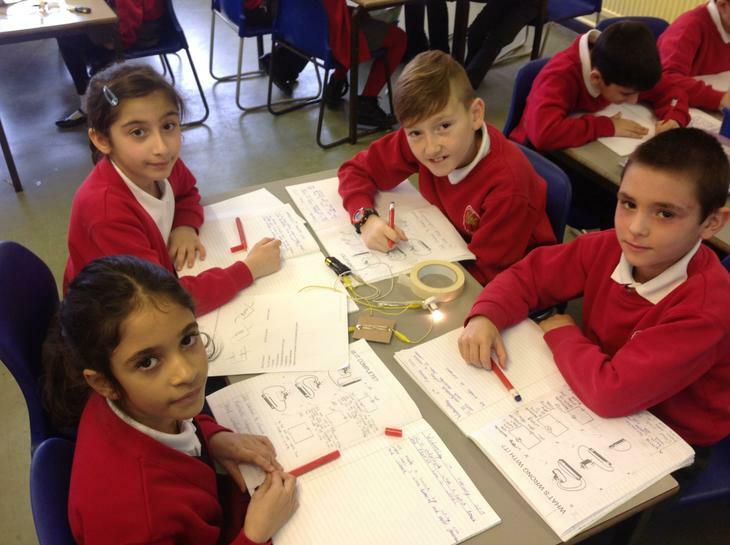 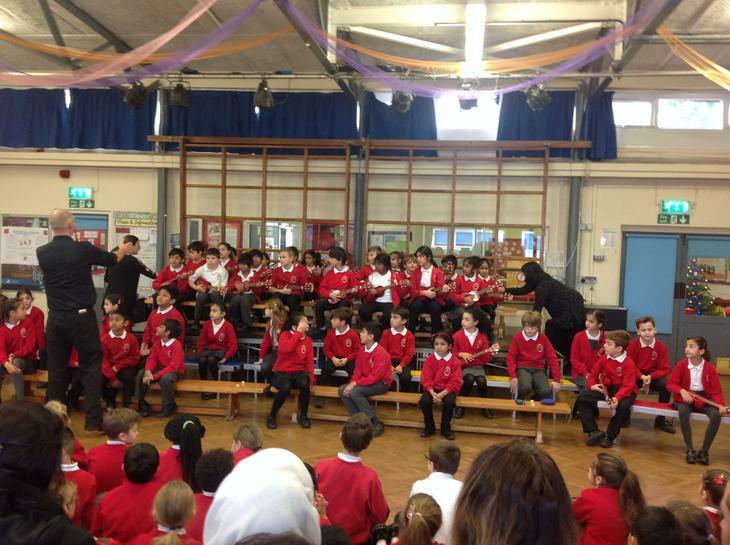 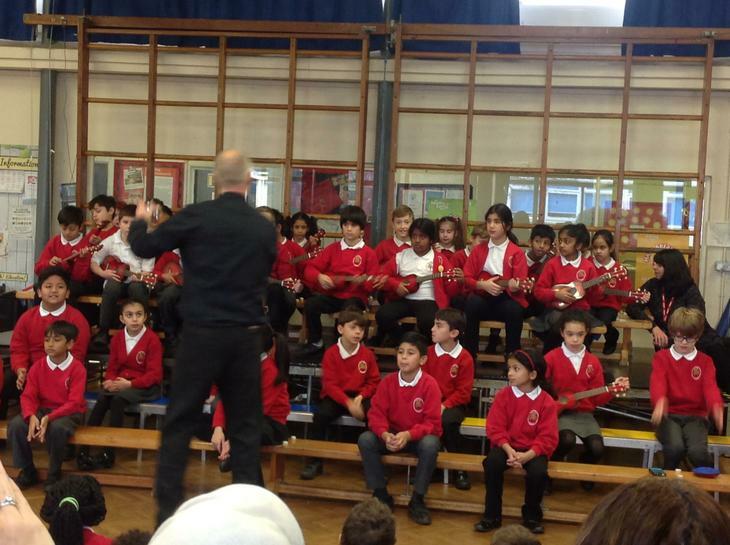 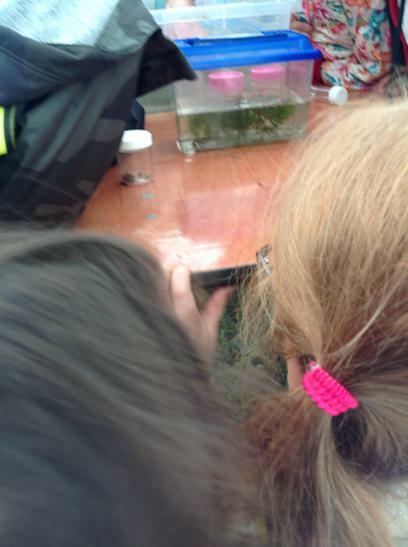 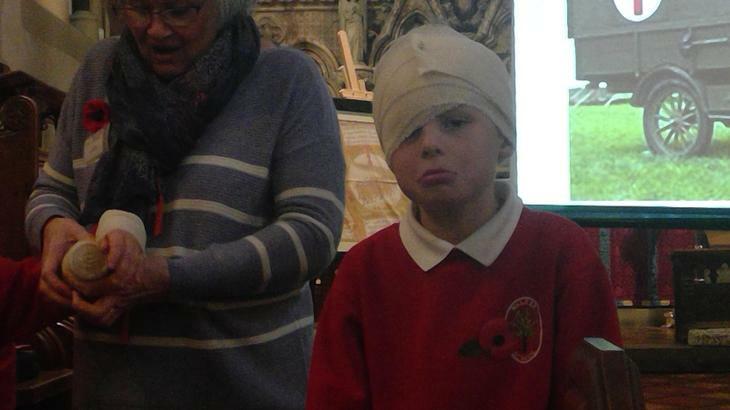 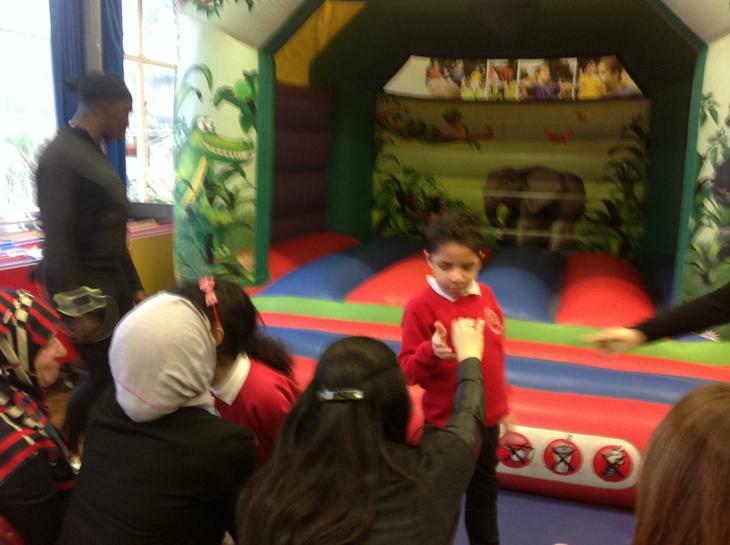 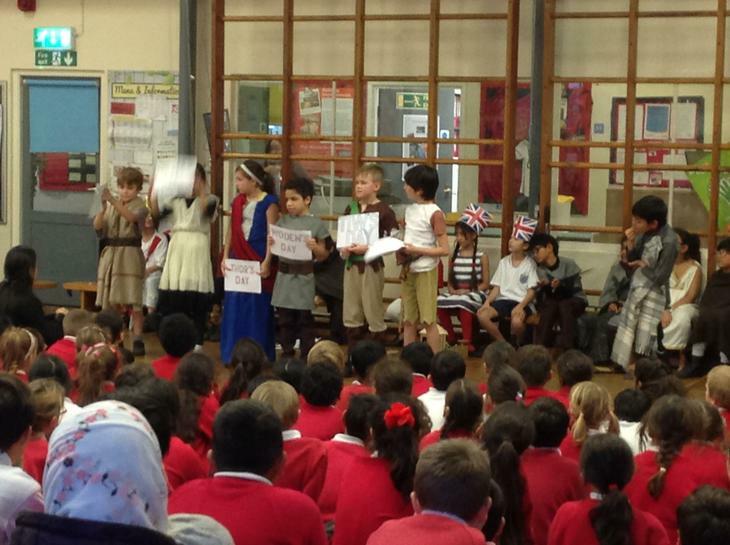 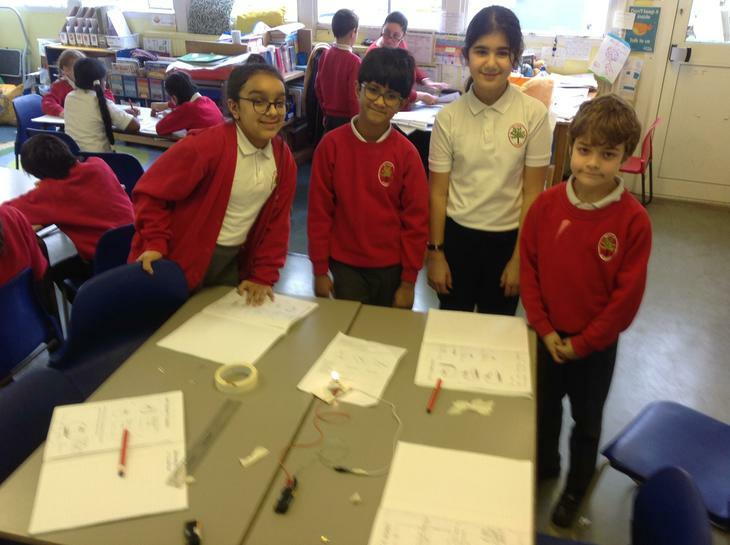 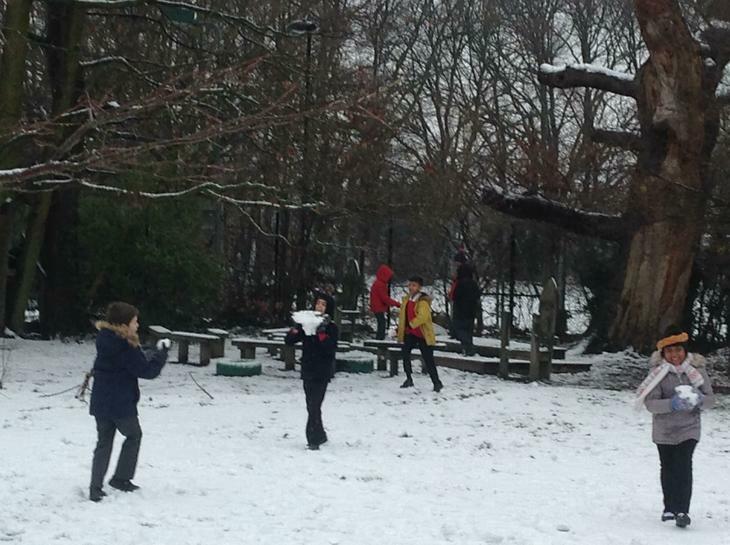 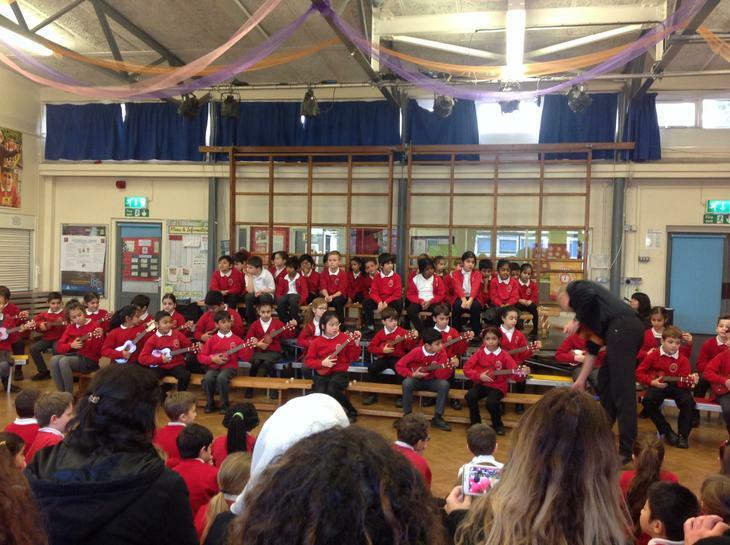 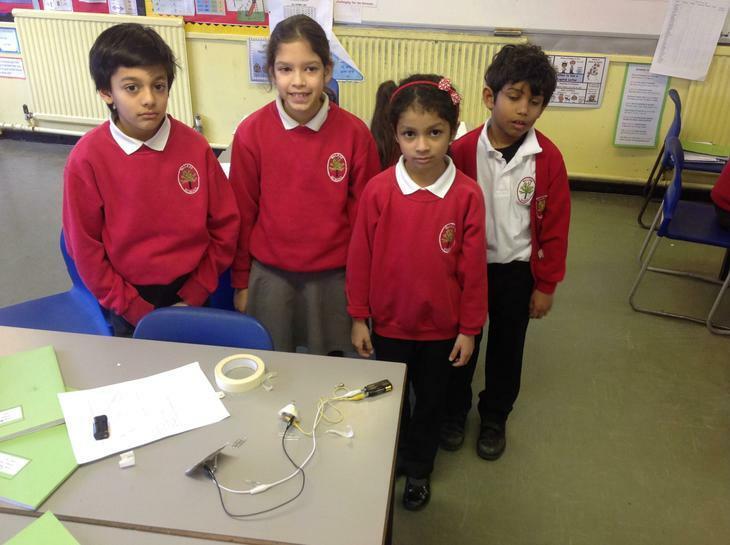 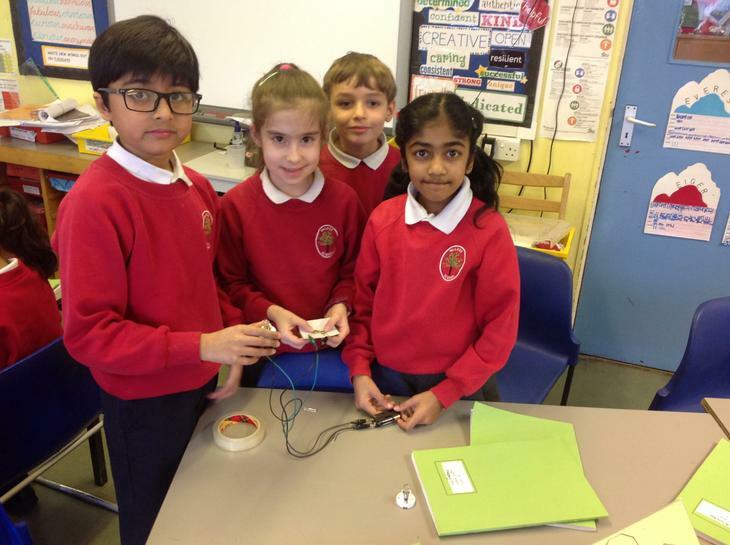 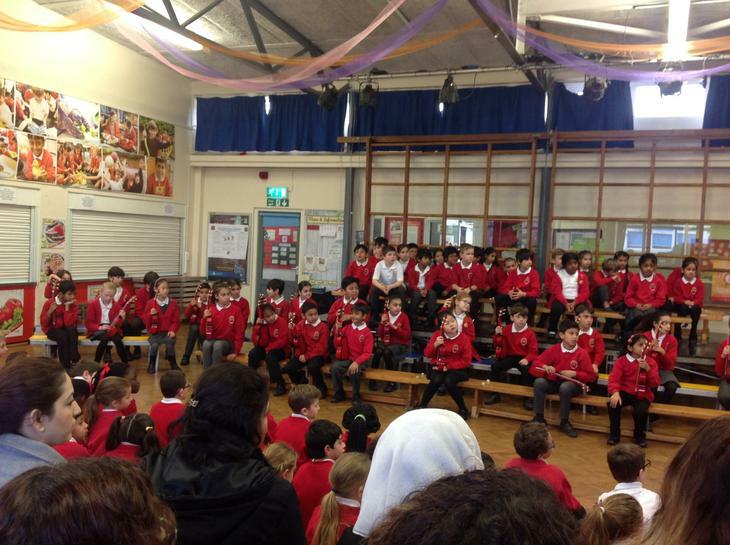 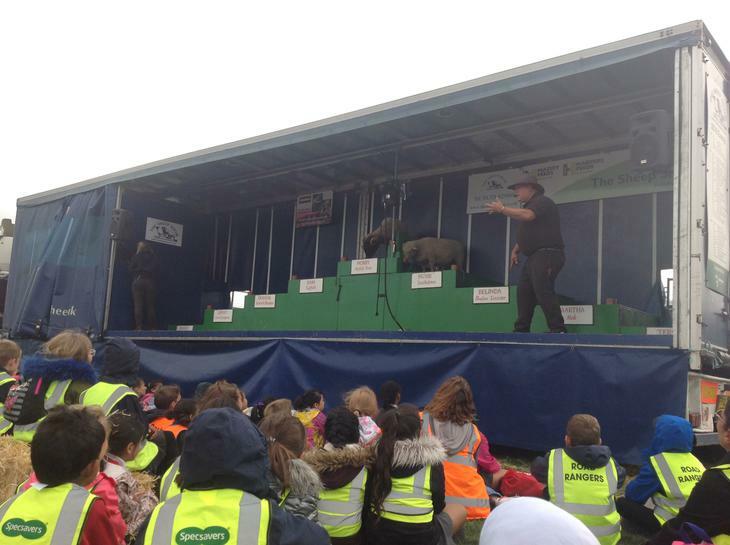 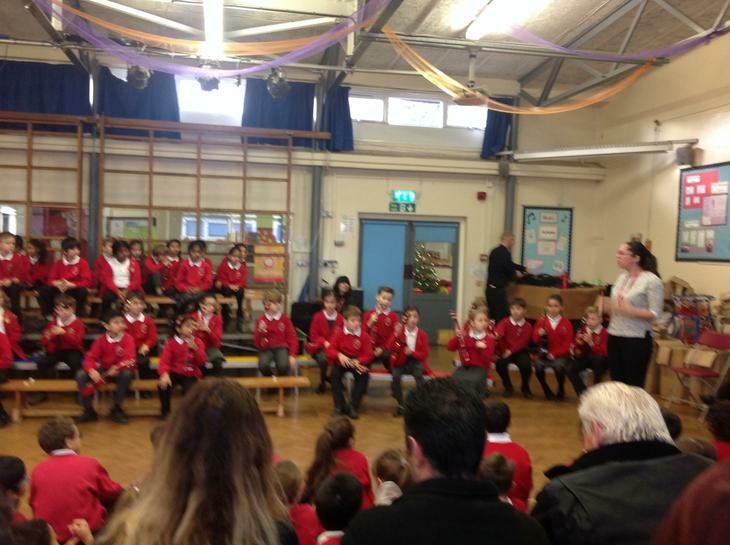 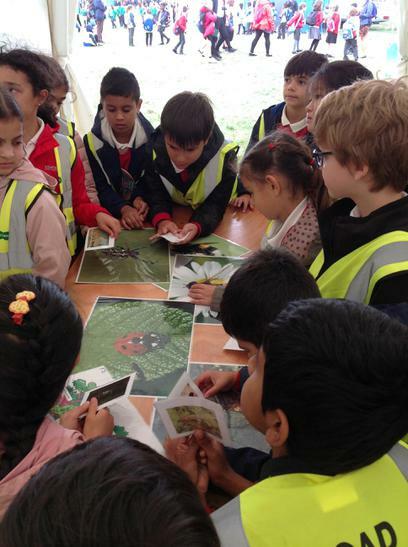 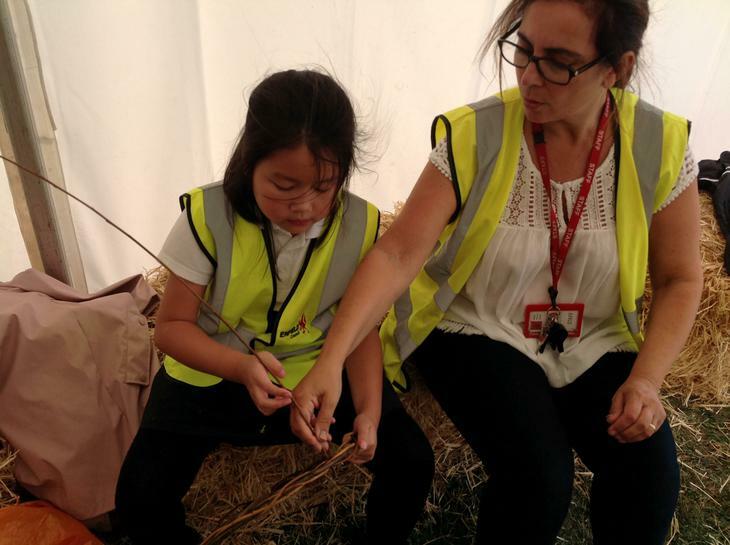 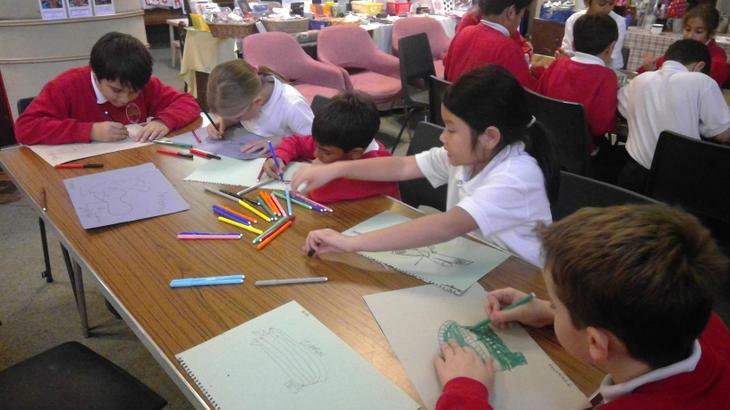 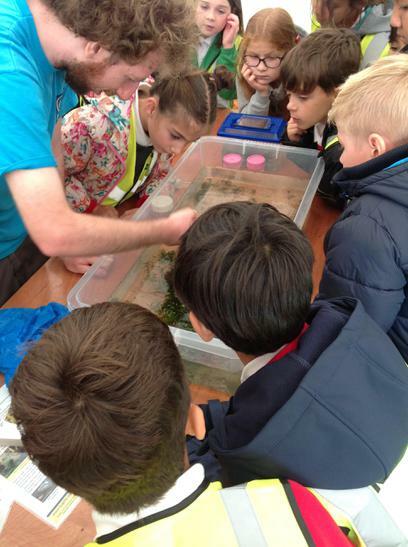 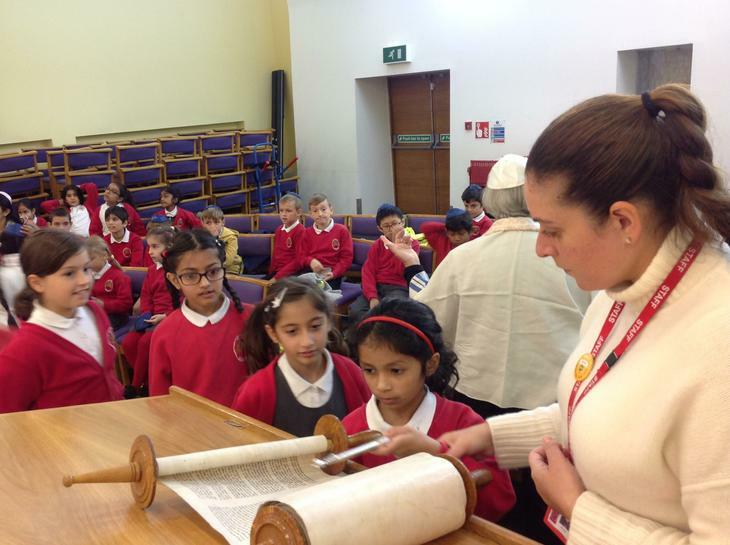 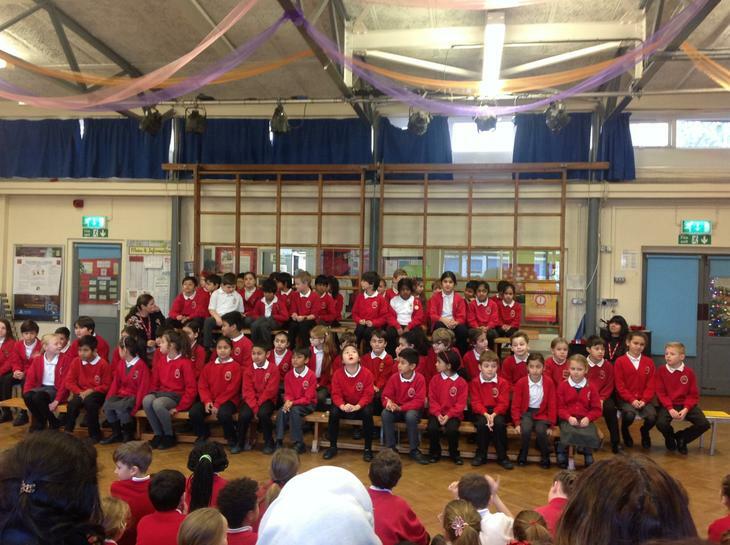 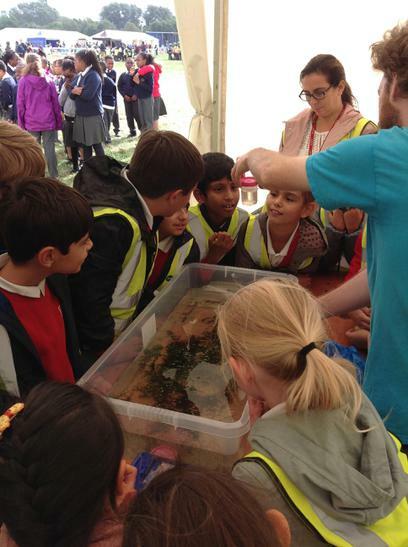 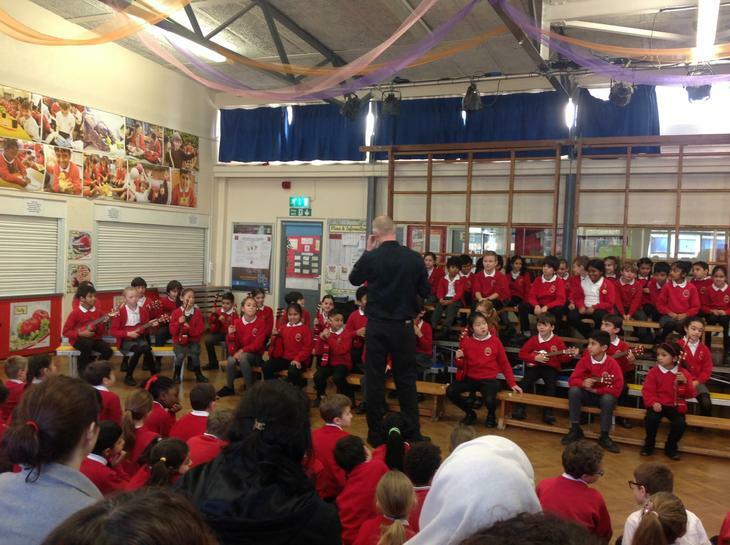 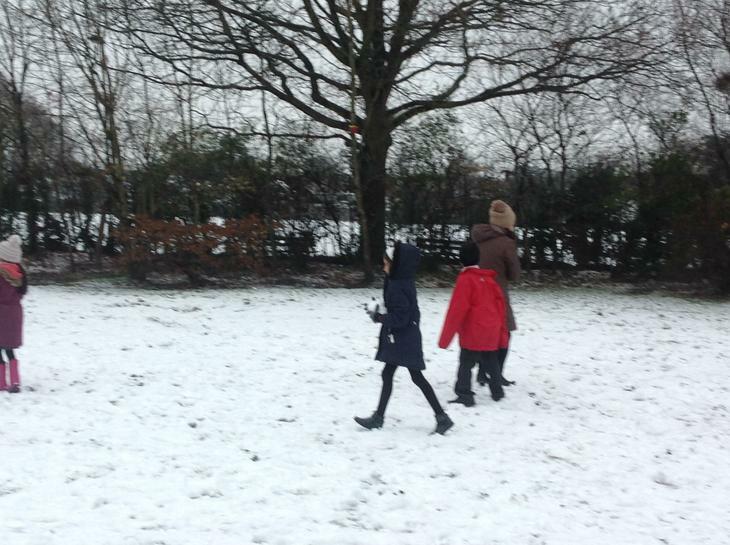 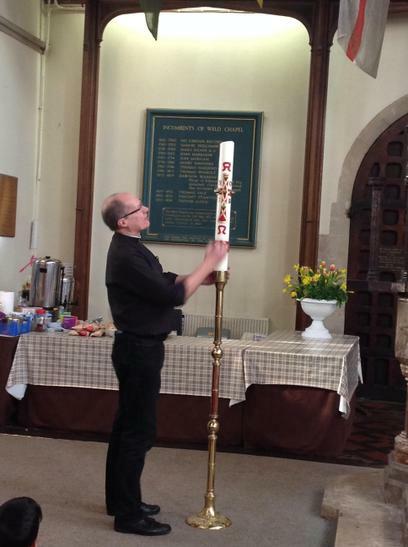 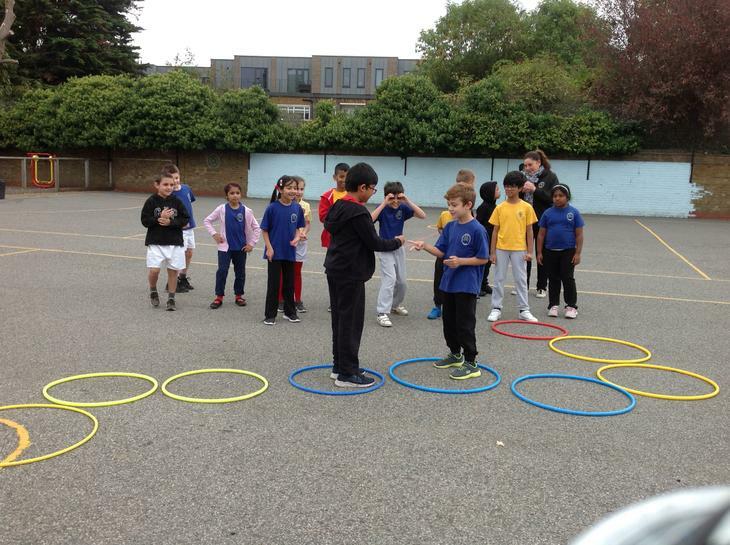 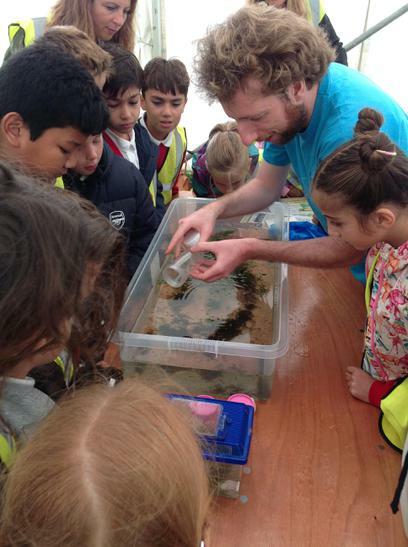 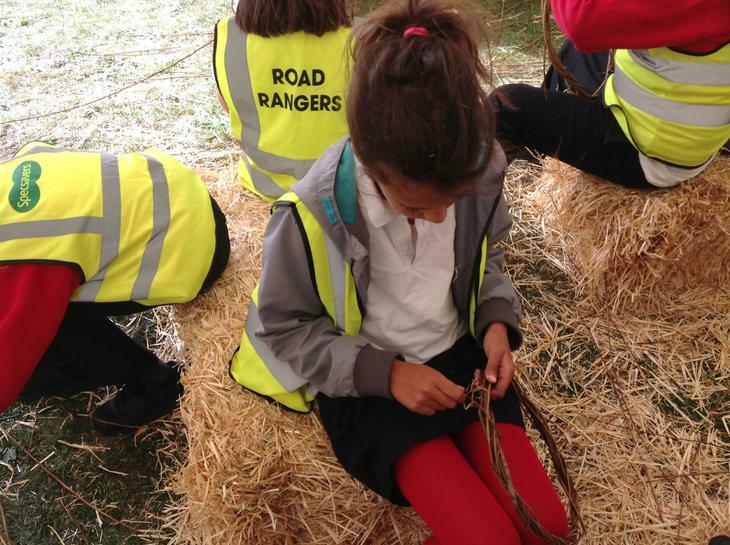 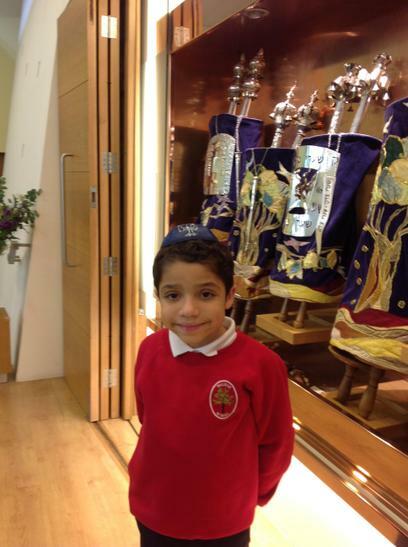 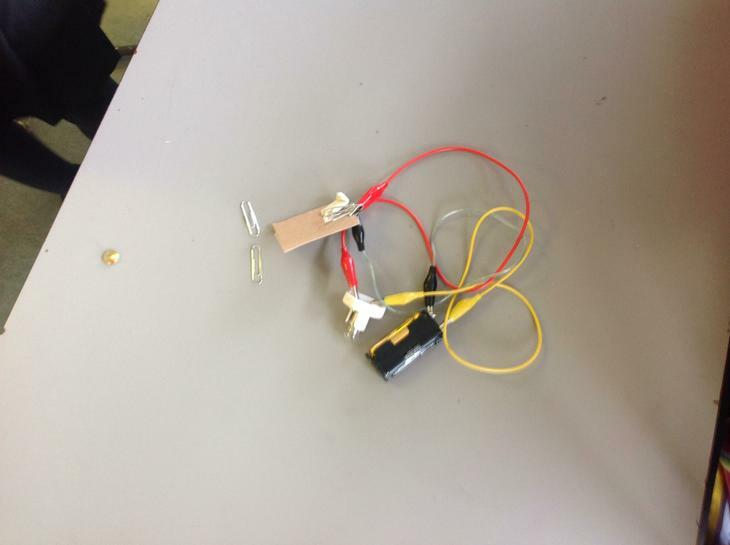 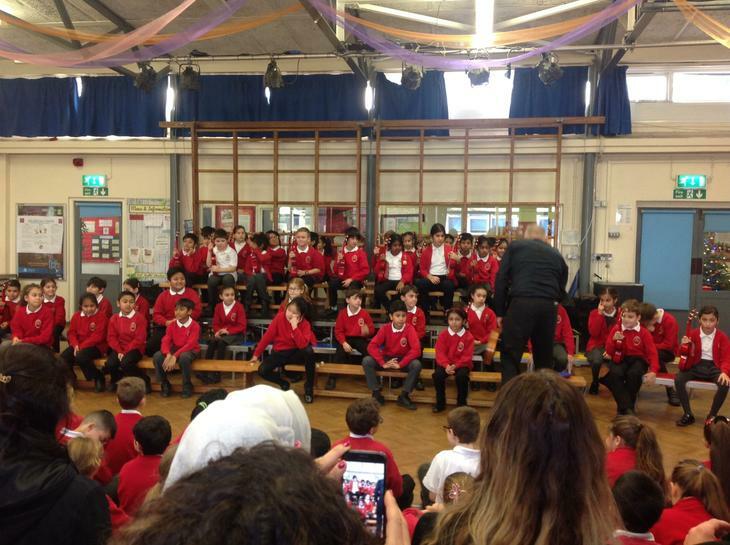 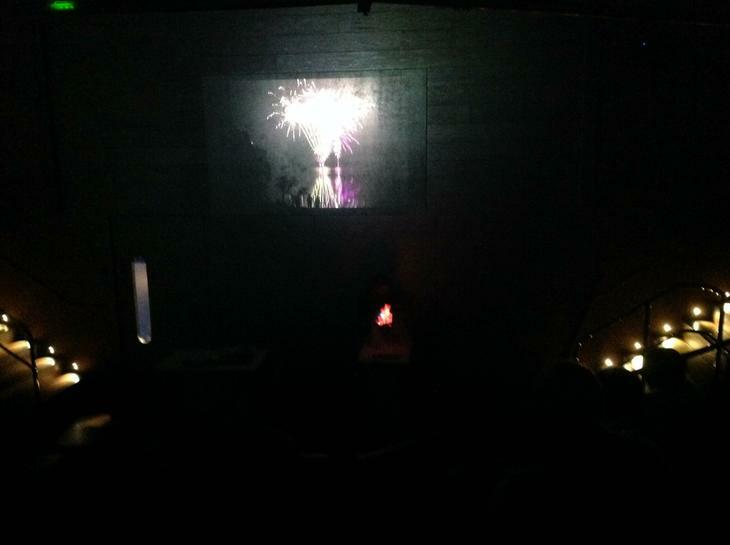 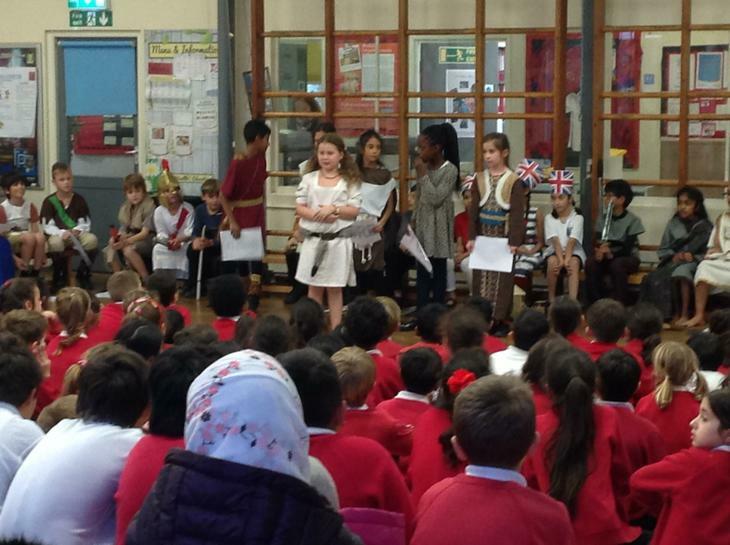 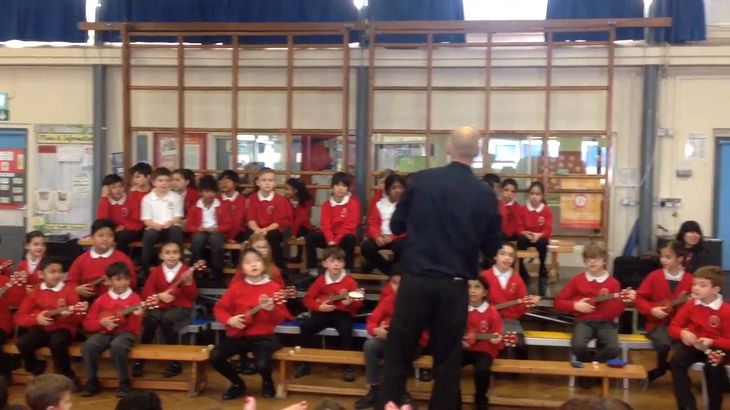 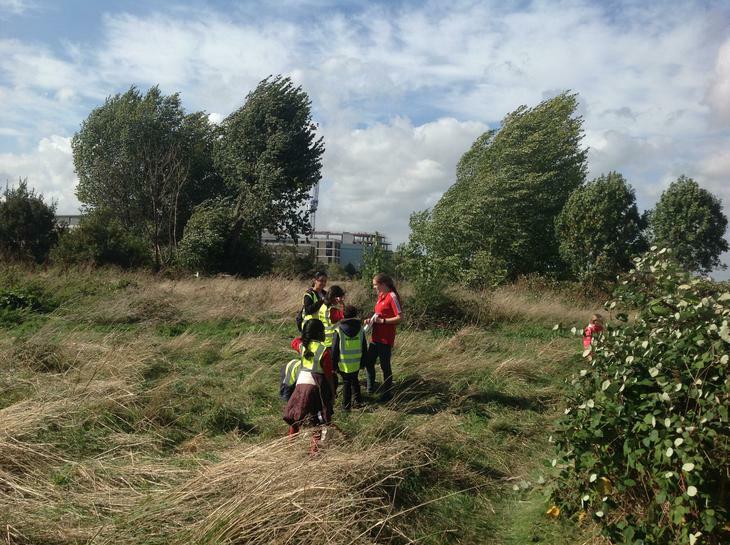 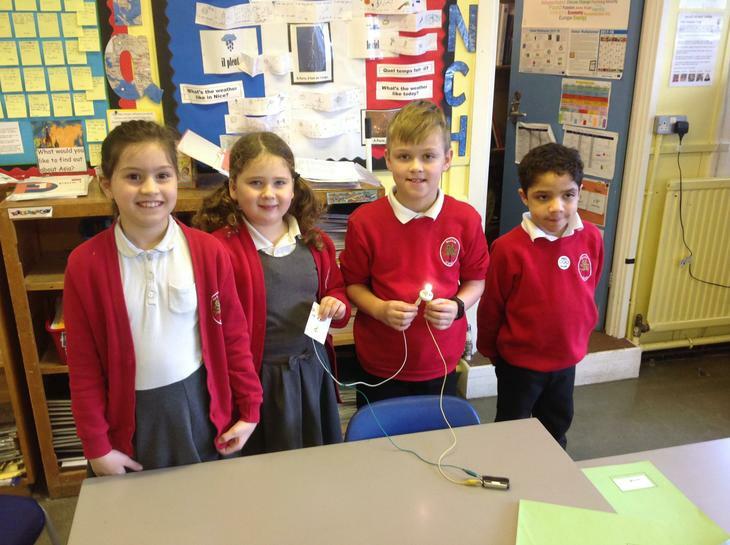 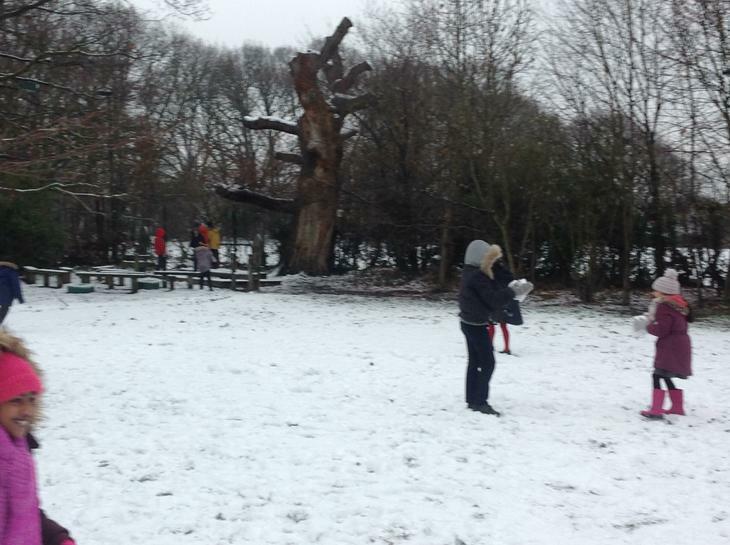 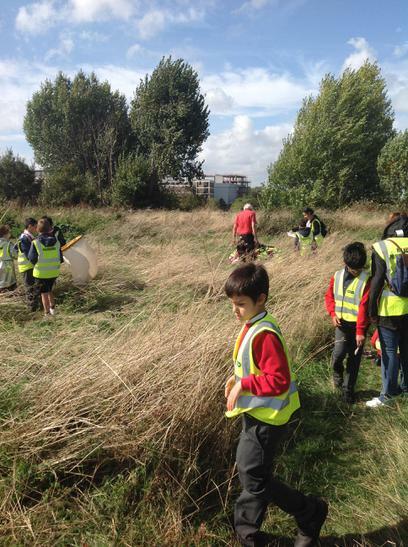 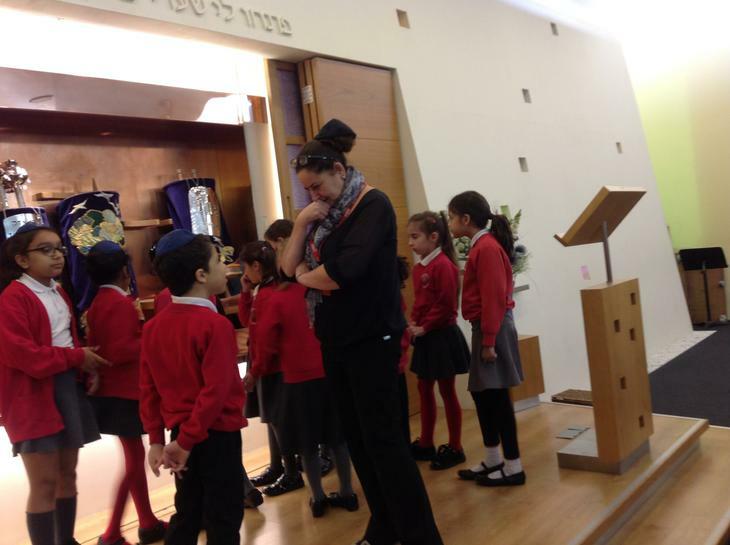 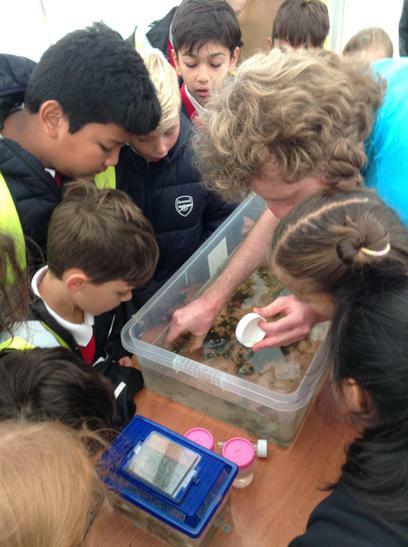 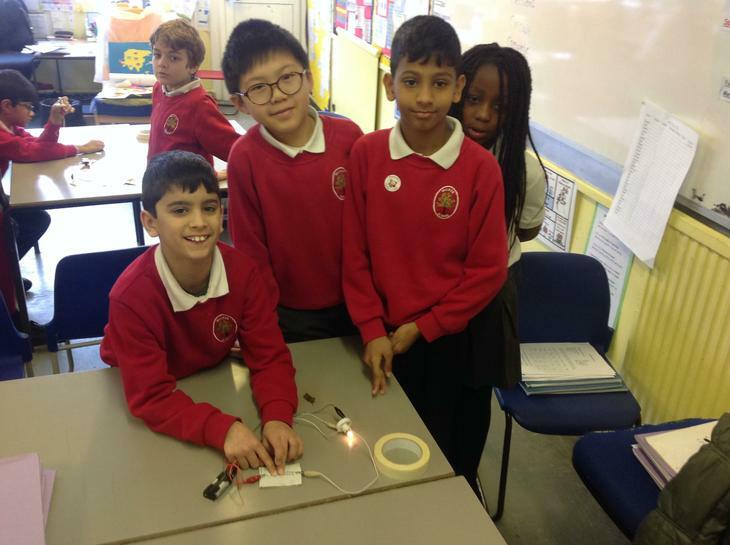 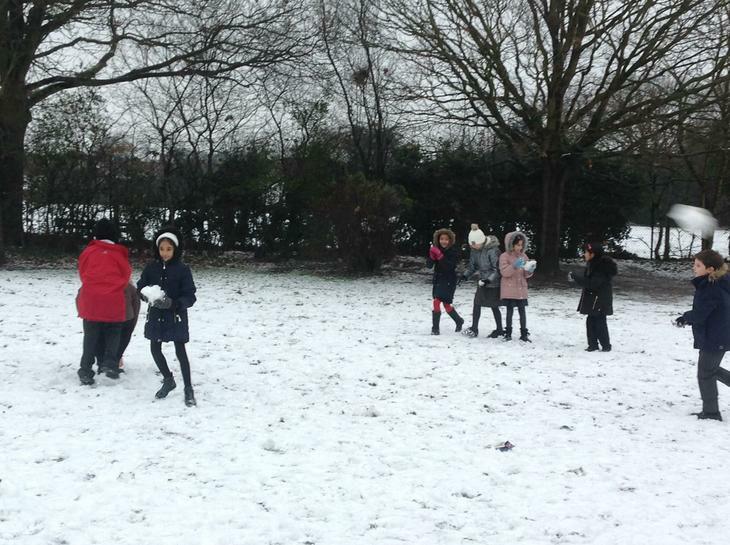 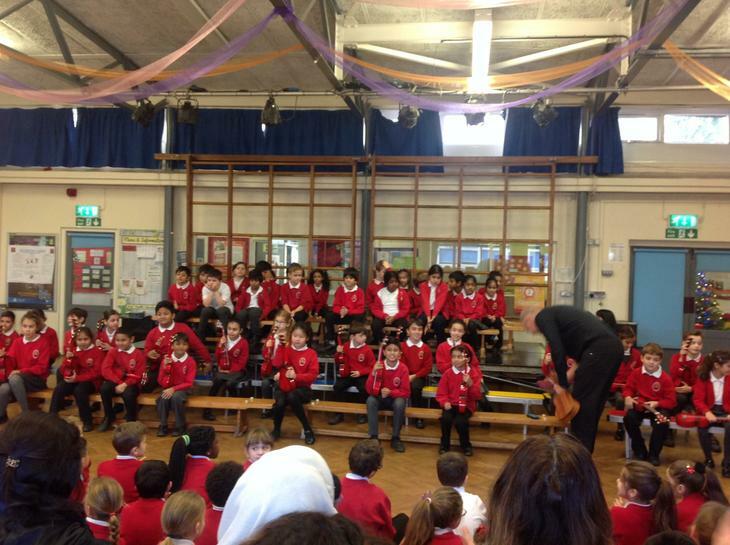 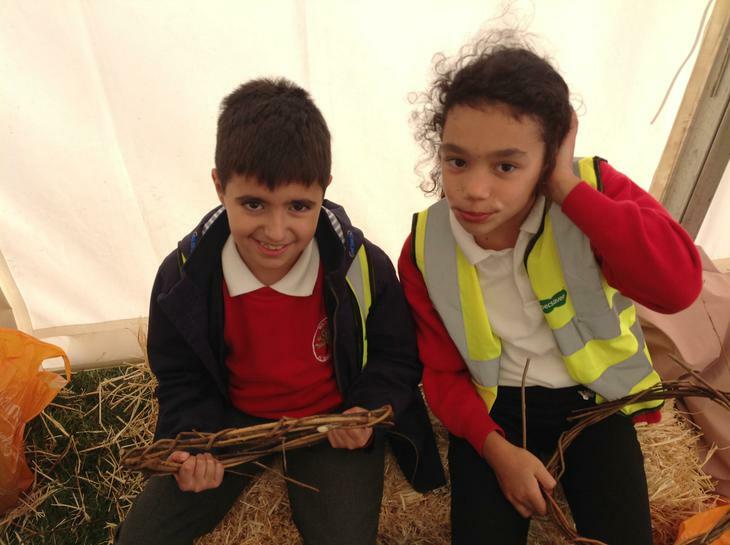 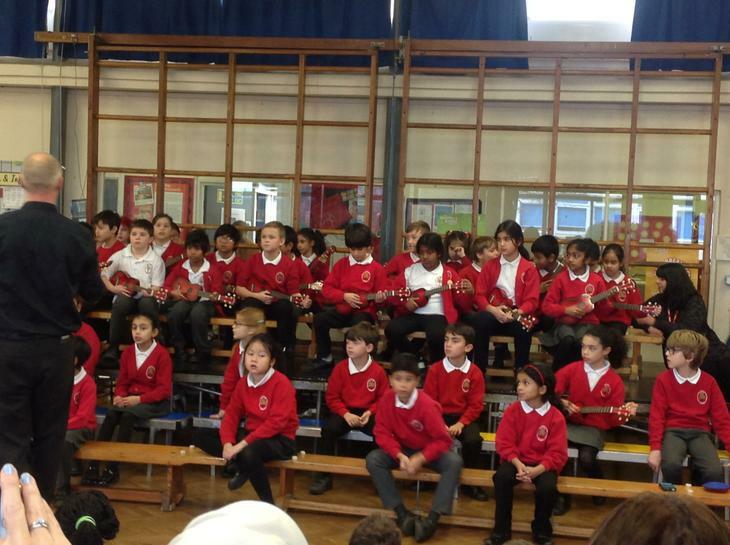 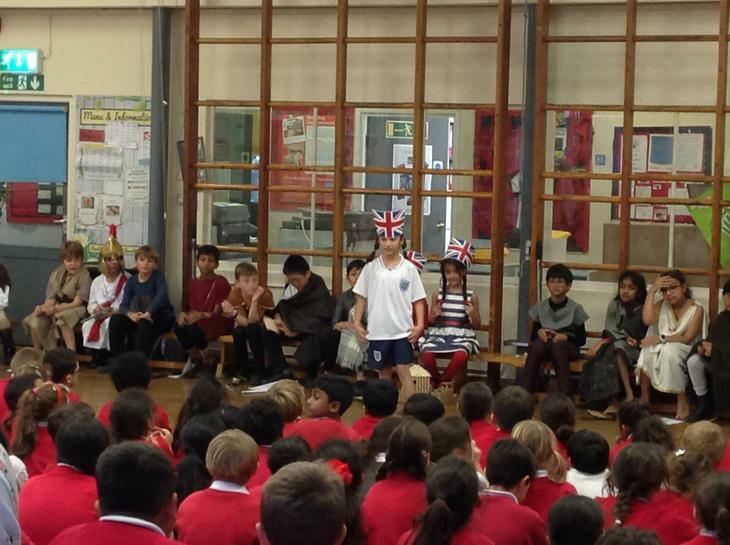 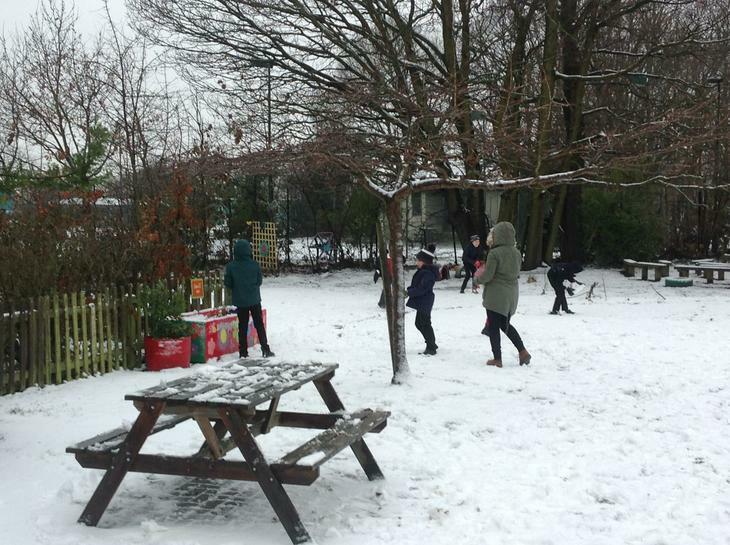 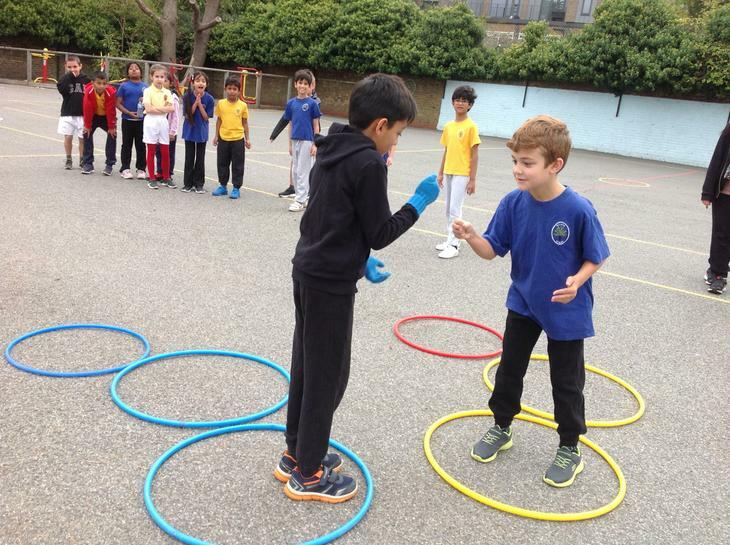 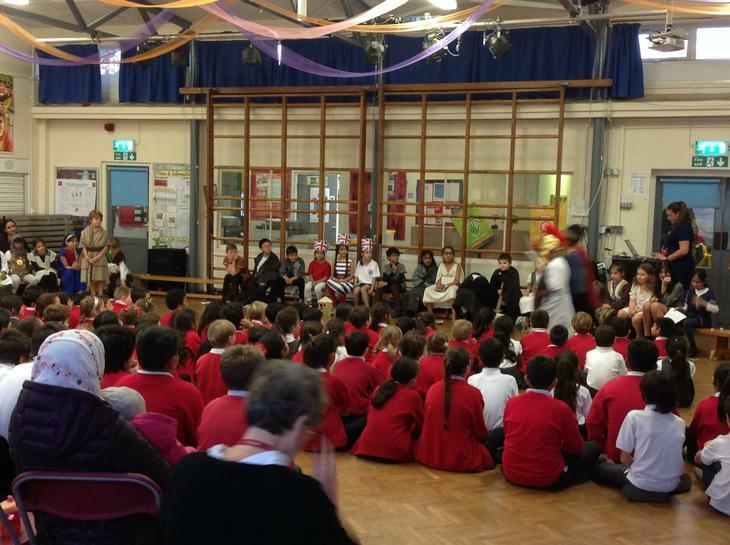 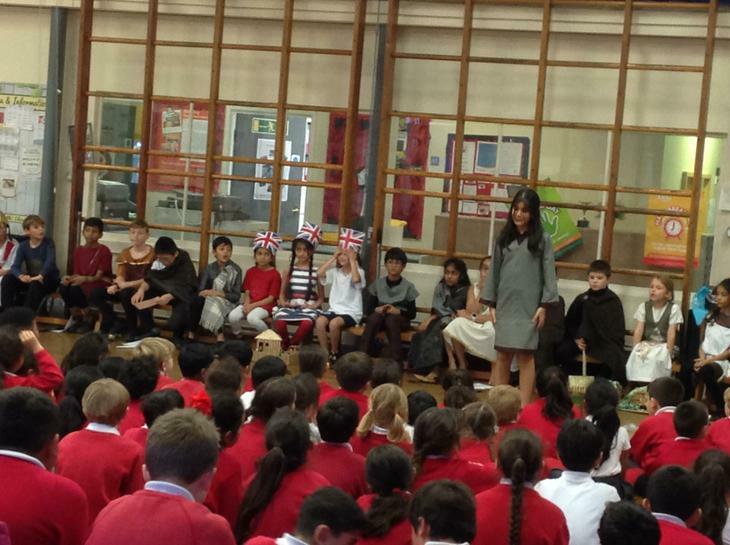 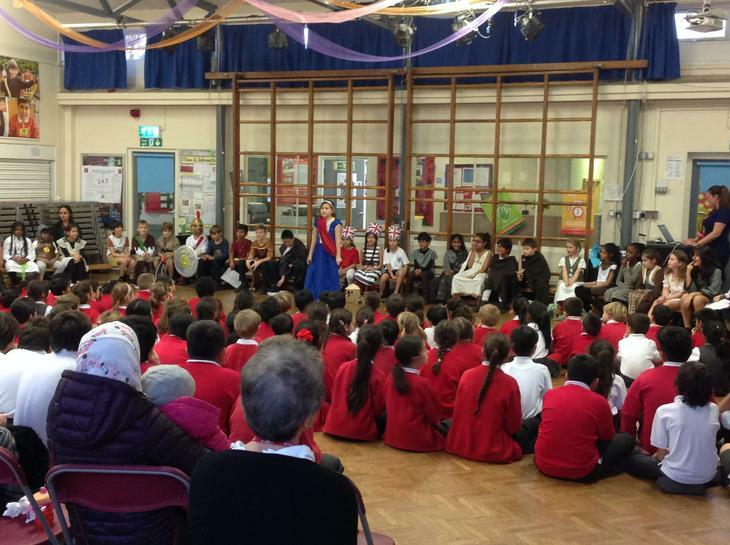 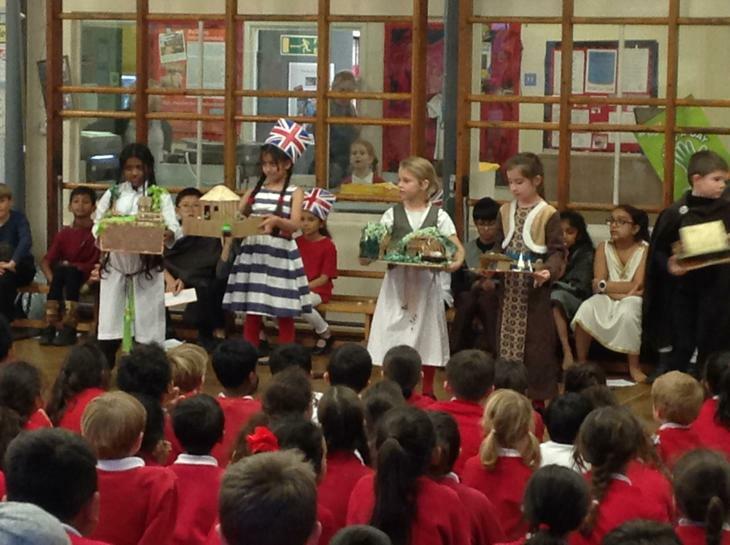 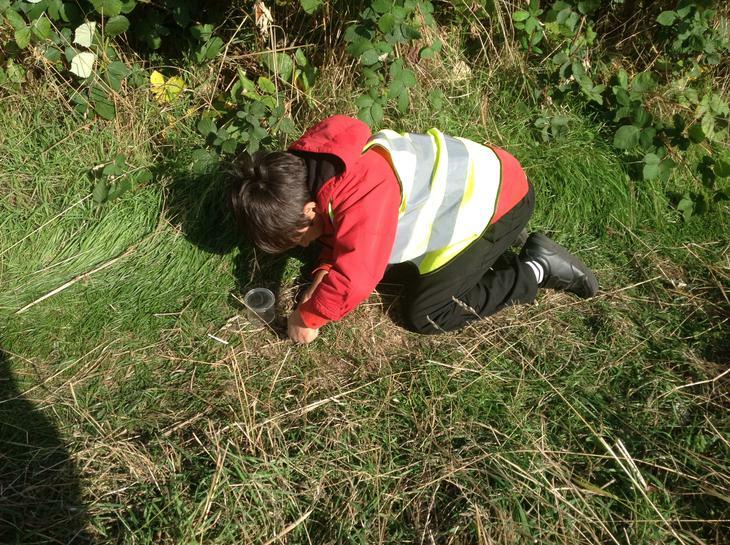 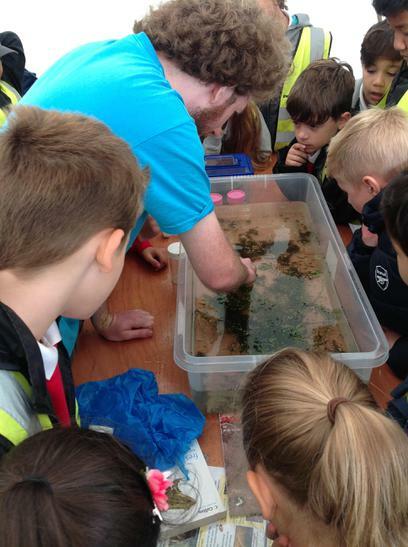 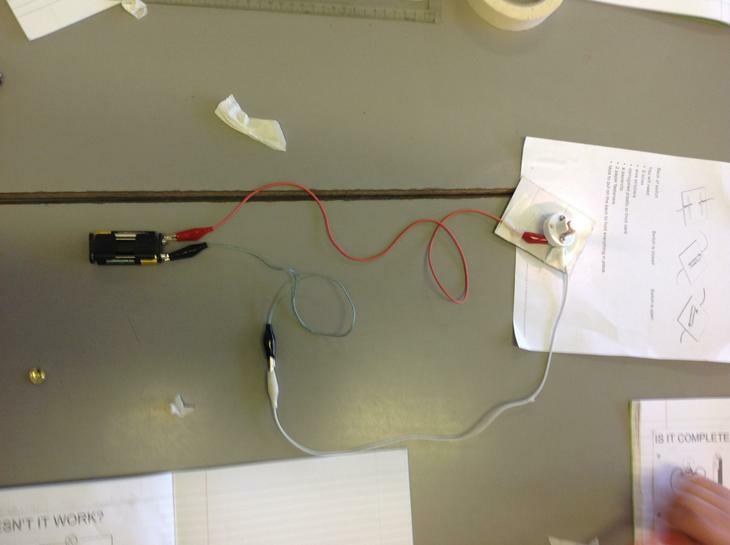 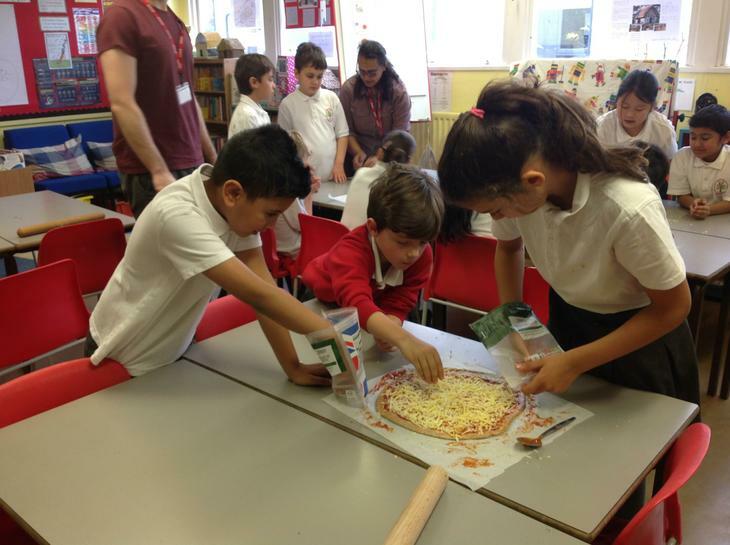 A very big thank you to all of those who came in to help make it such a successful lesson. 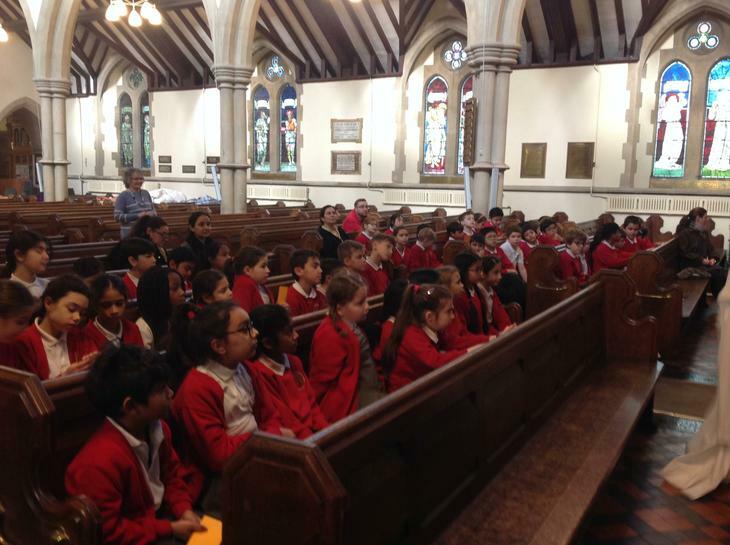 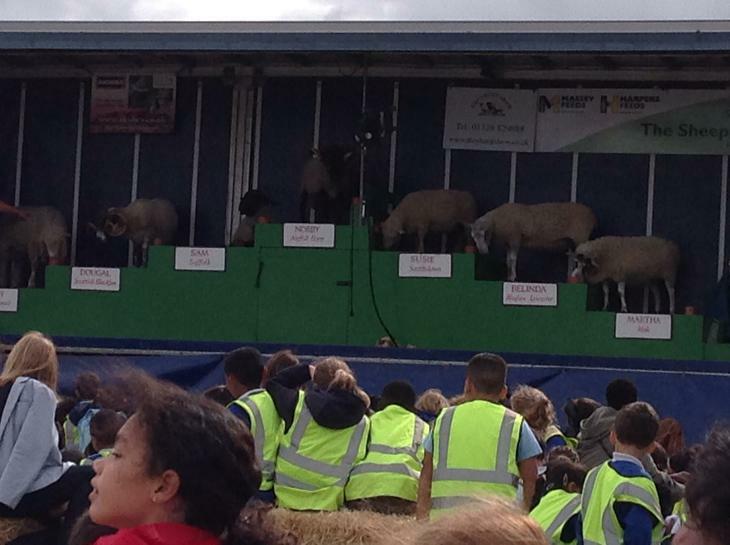 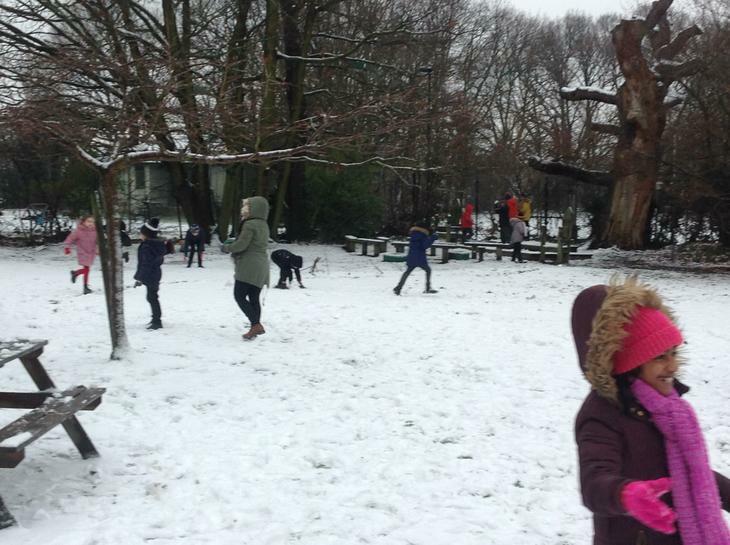 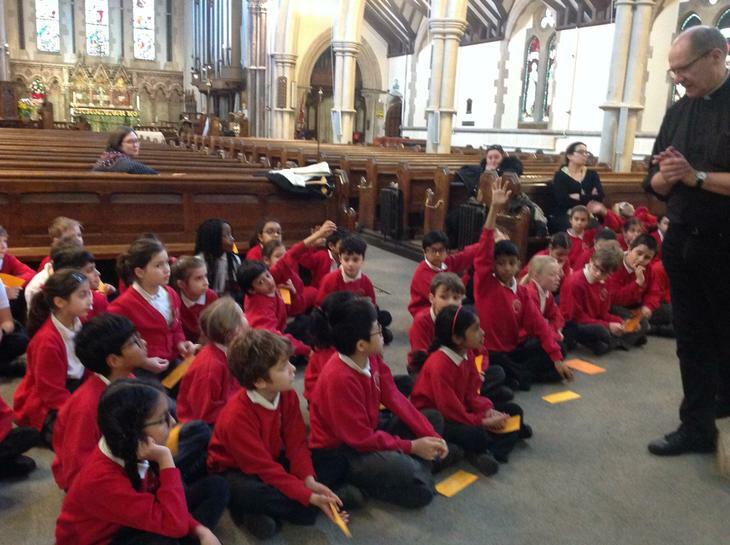 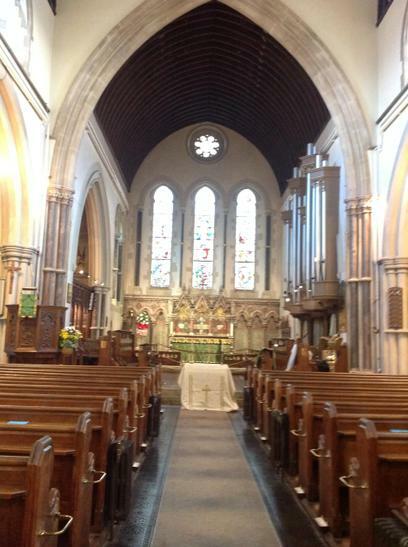 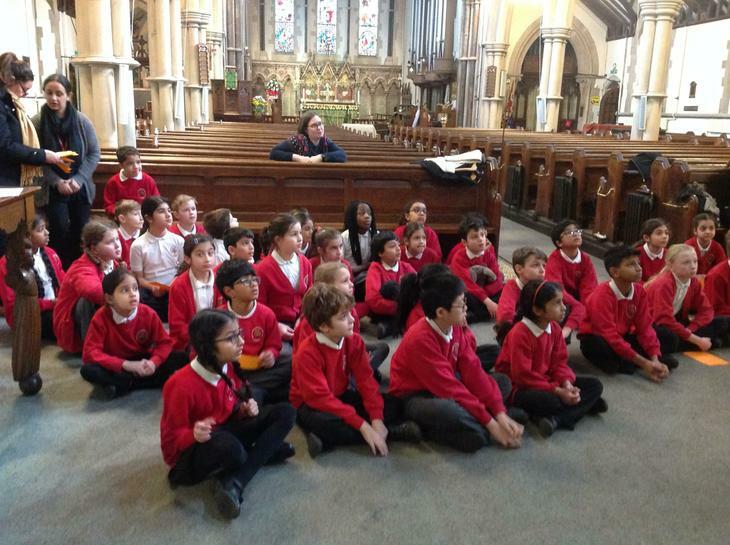 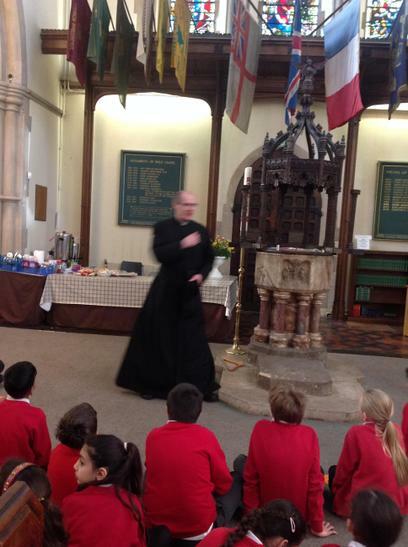 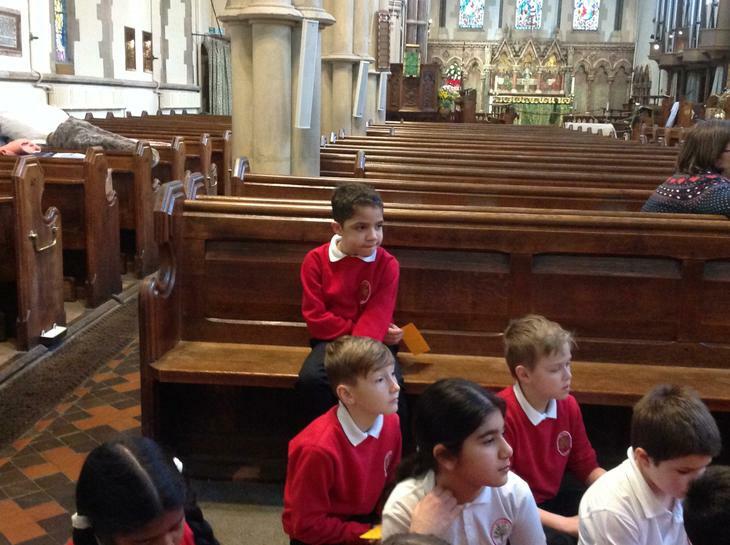 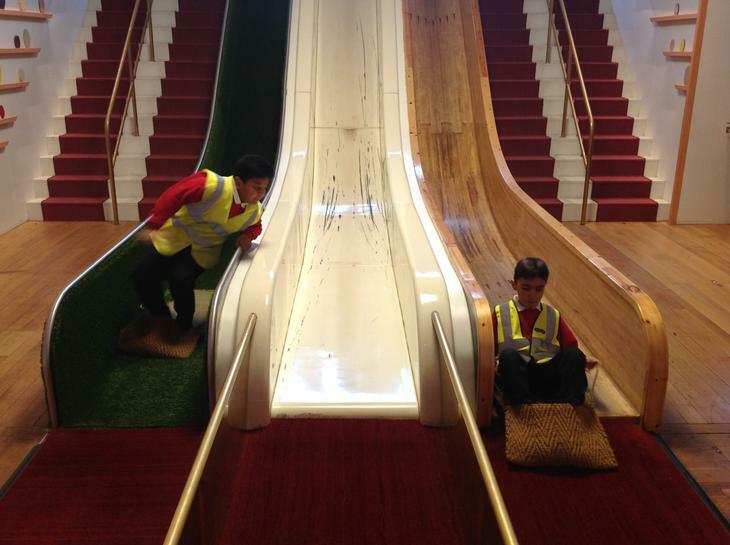 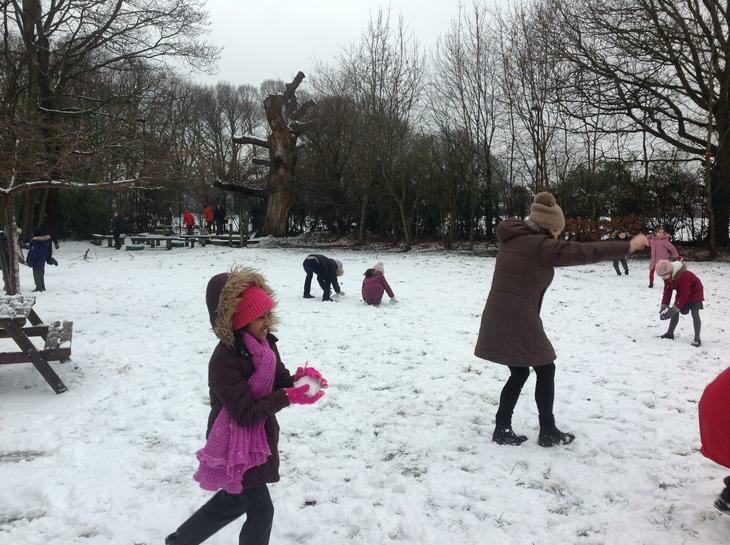 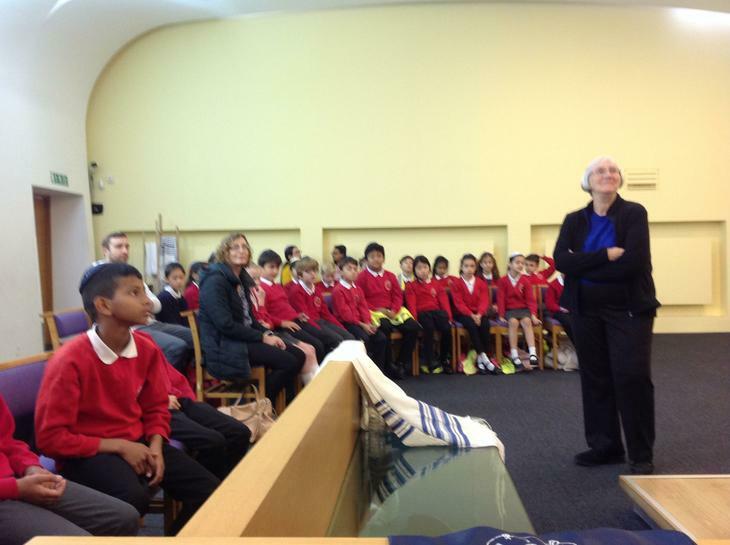 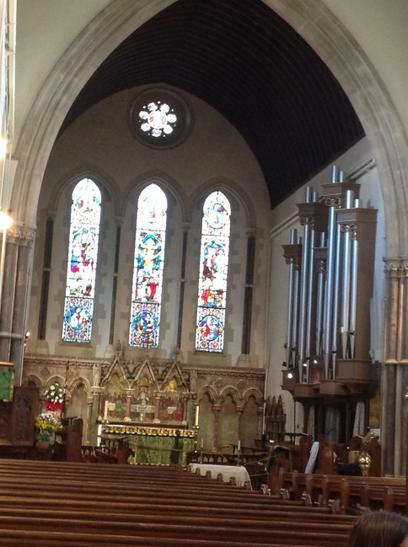 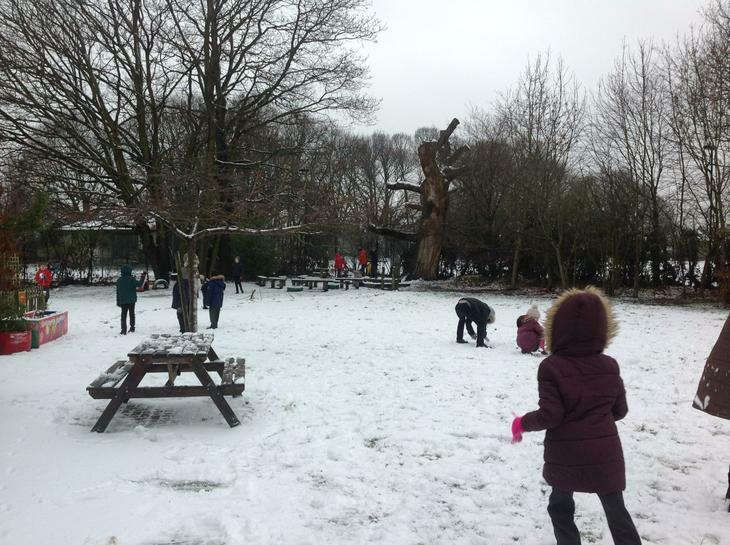 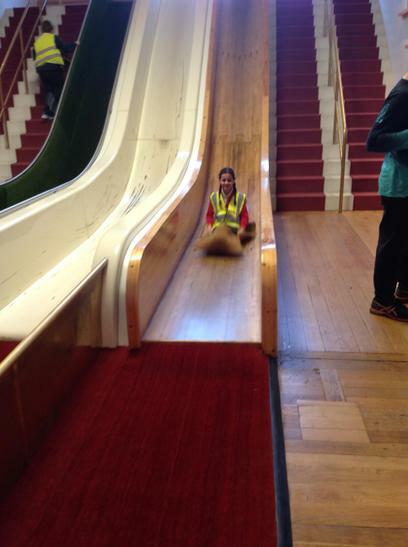 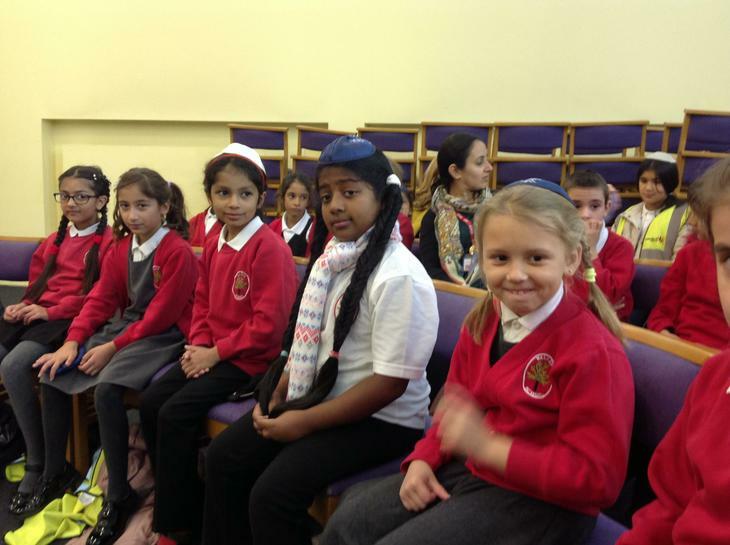 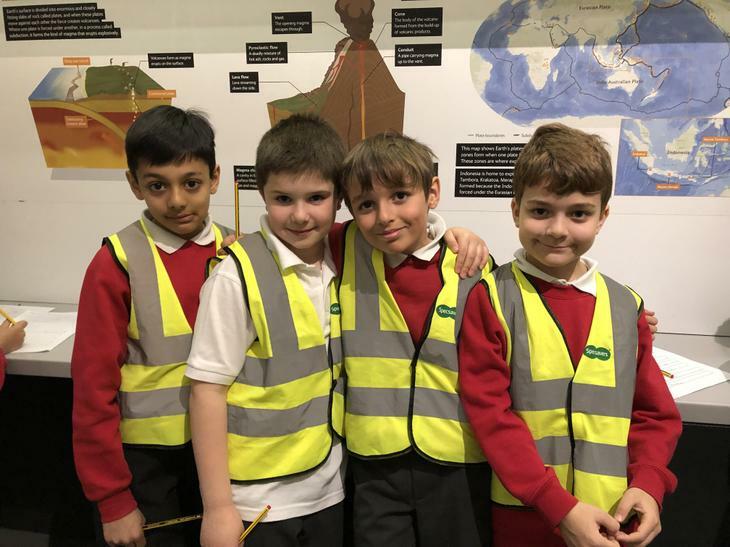 A reminder that year 4 are on a school trip on Monday. 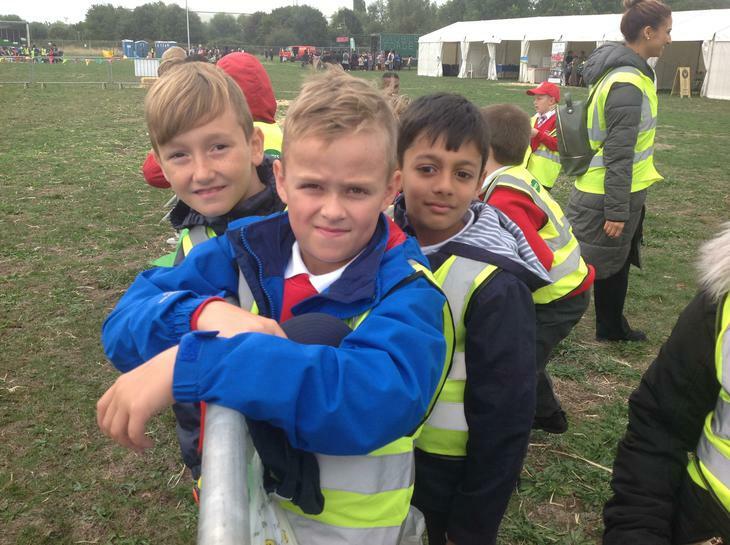 Children will need to be in school at 8am for registration. 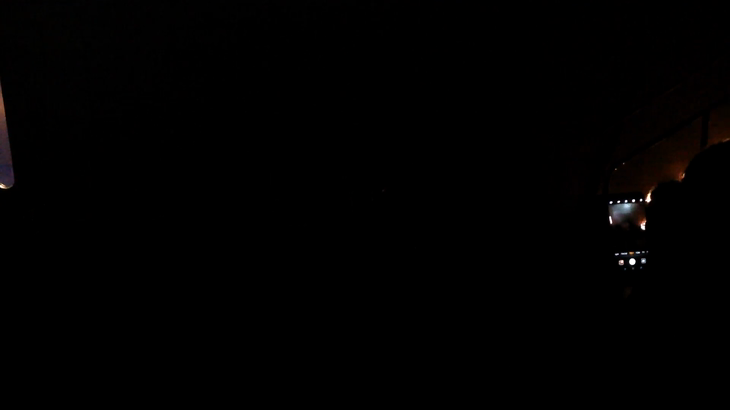 The coach will be departing at 8:30am promptly. 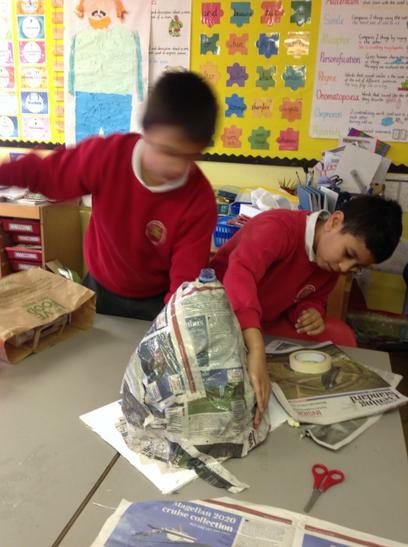 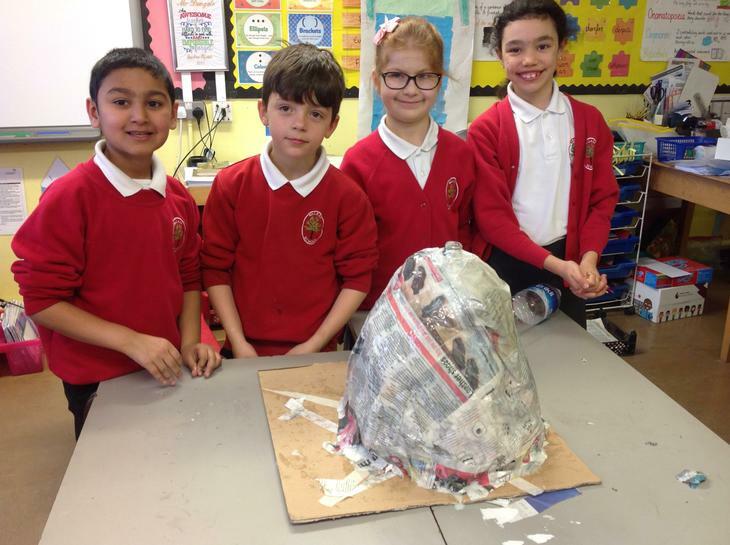 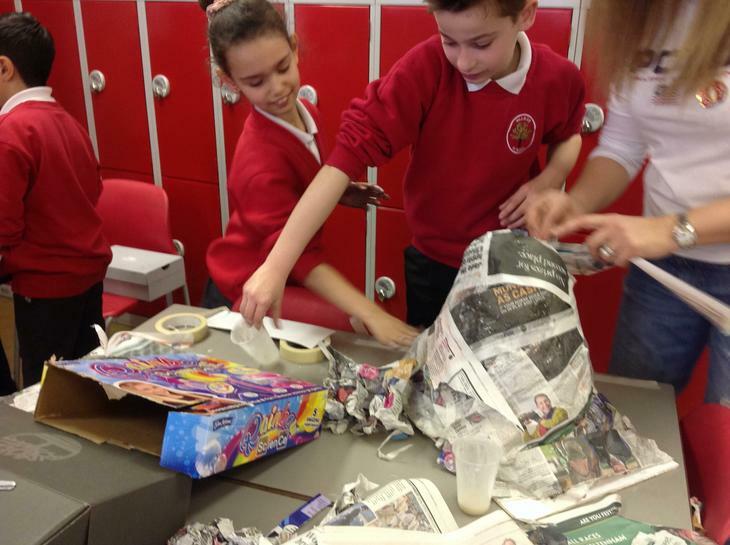 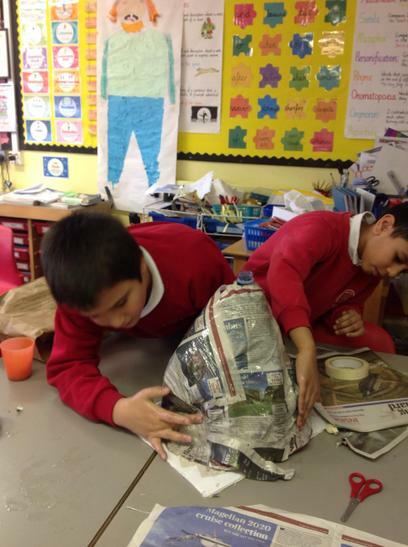 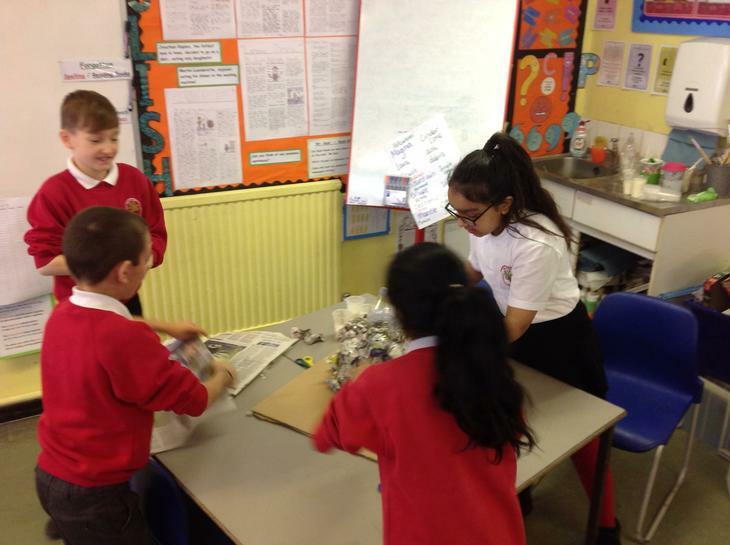 As year 4 will be making models of volcanoes we would be grateful if the children could bring in 1 litre plastic water bottles, cardboard boxes and newspapers. 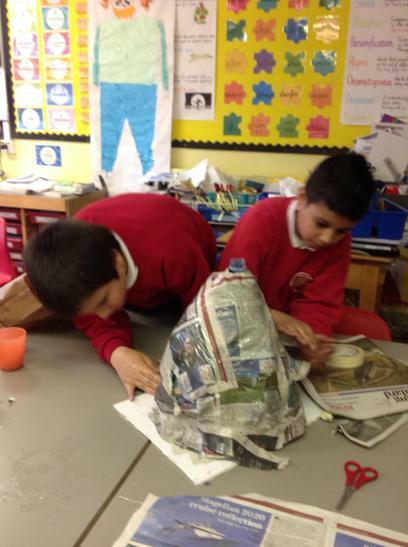 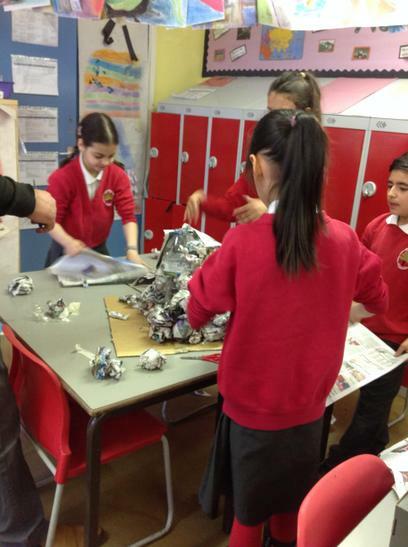 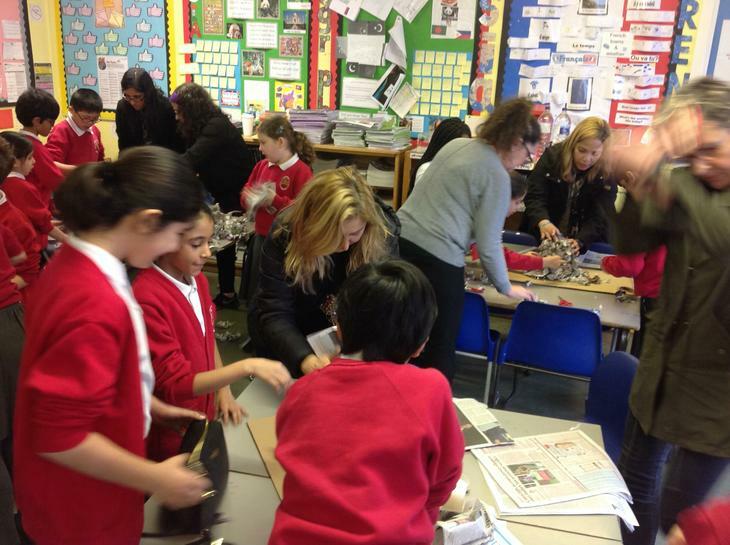 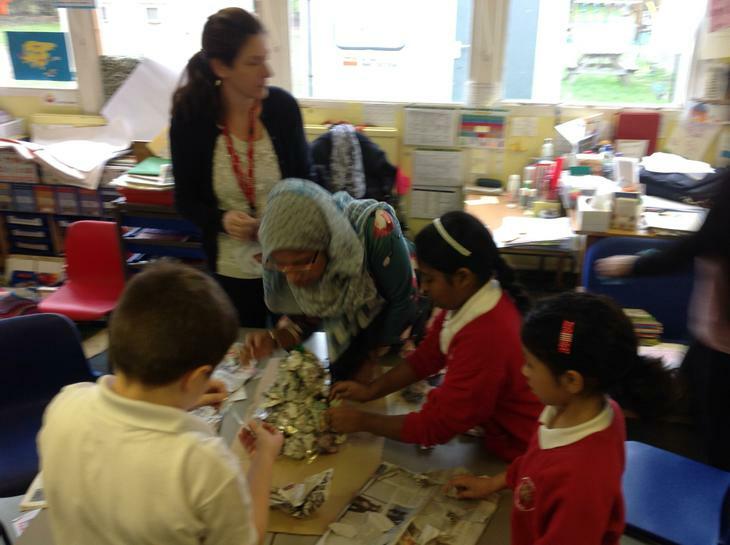 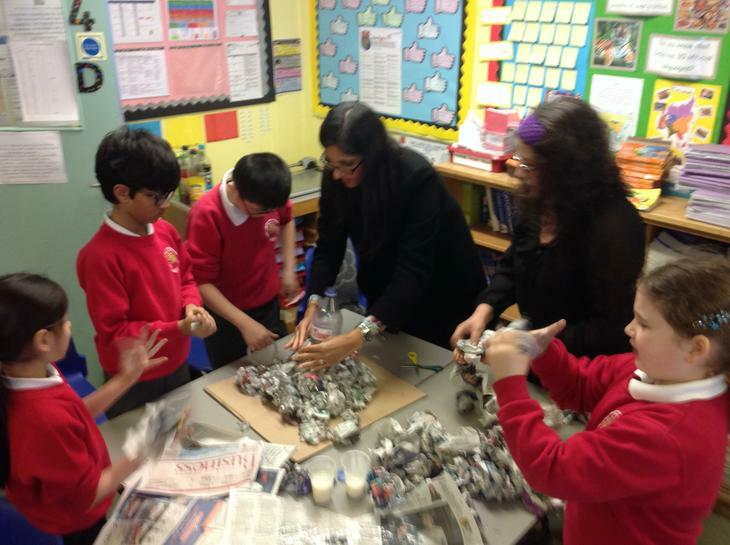 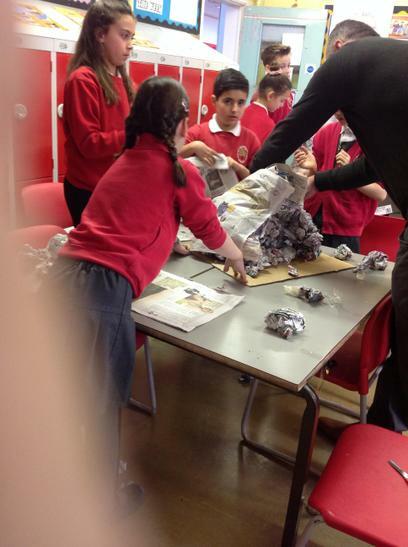 We look forward to having as many parent helpers as possible to help us construct our model volcanoes. 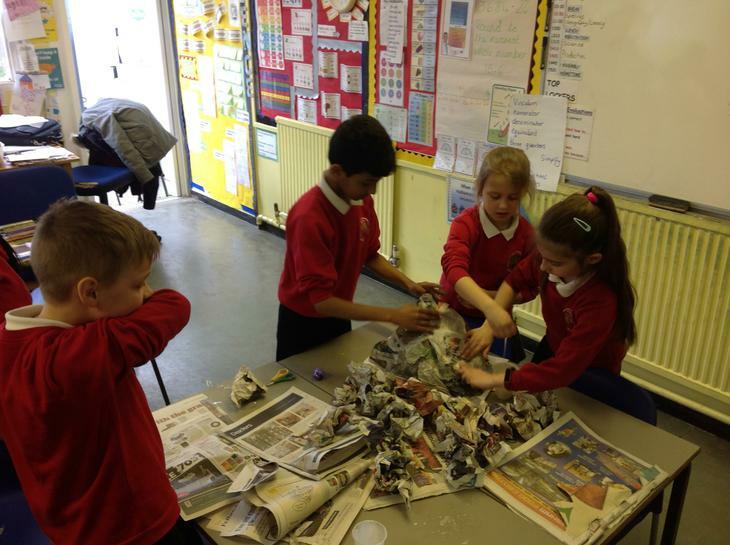 Be prepared to get your hands dirty! 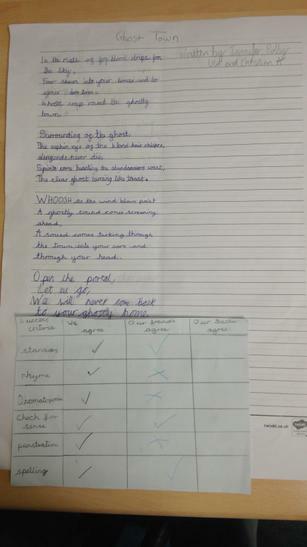 4KD have worked in groups to create their own performance poetry! 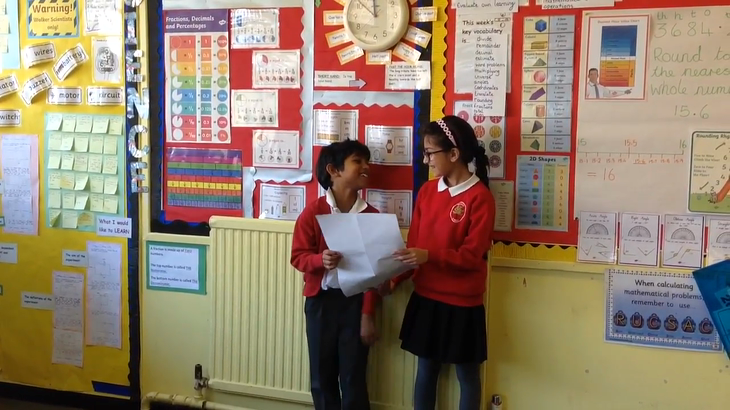 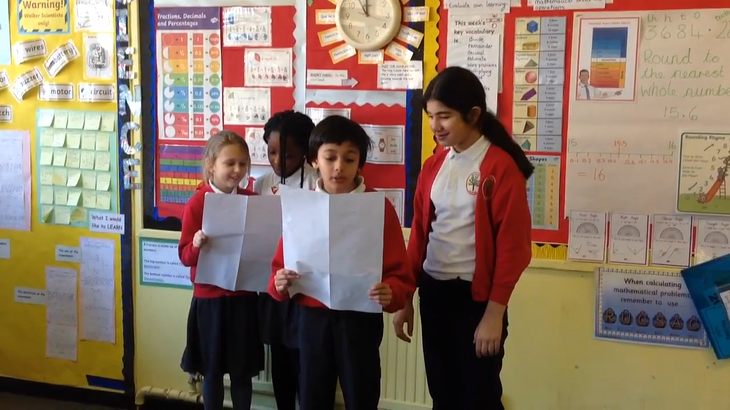 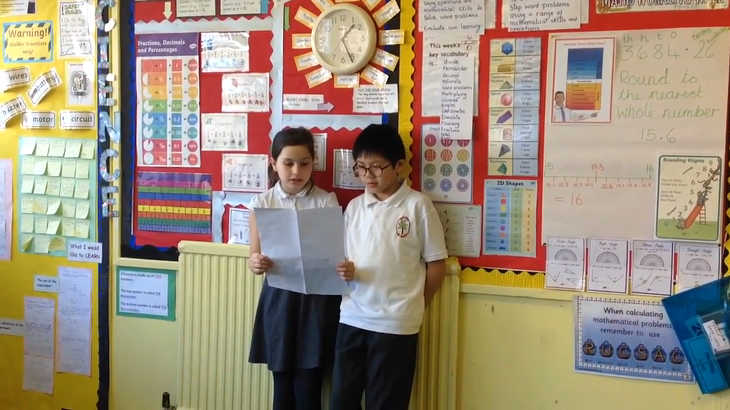 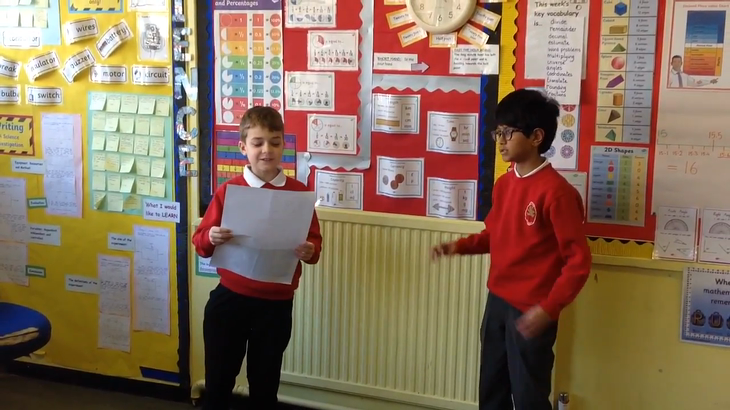 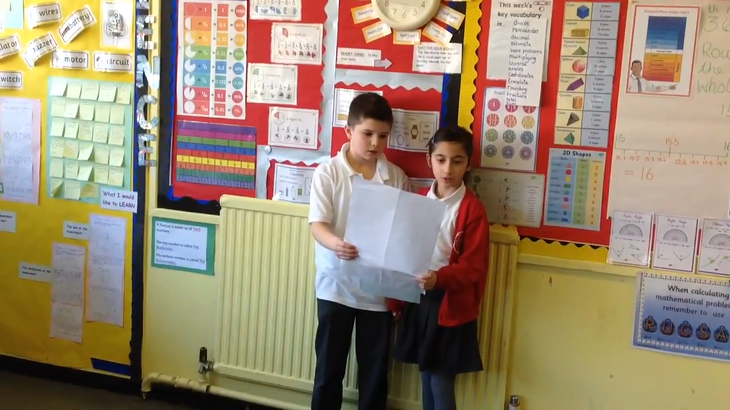 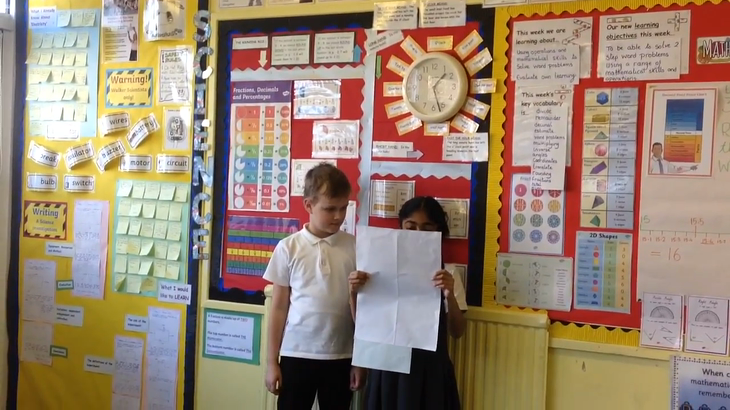 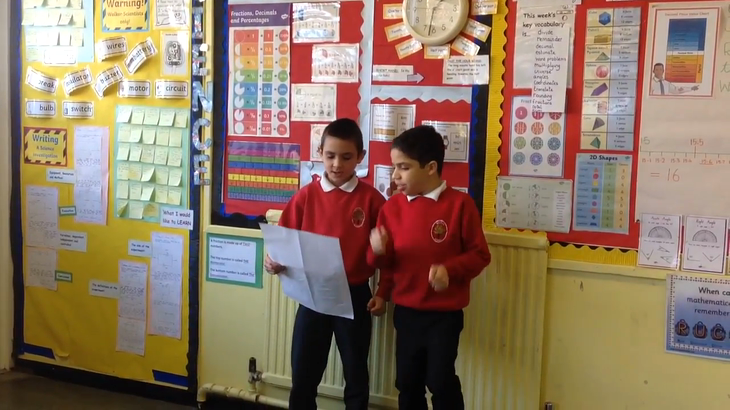 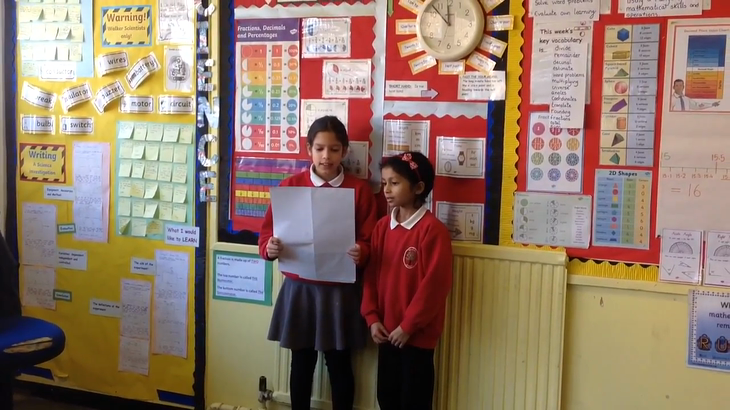 4D have been creating performance poetry! 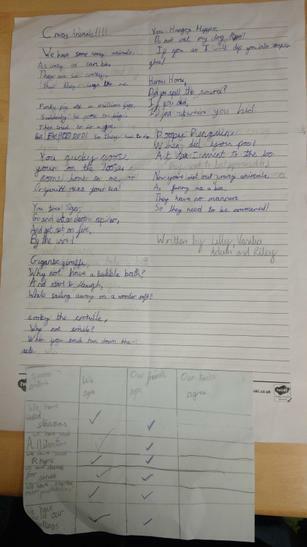 We set about planning, writing and editing our poetry before performing it. 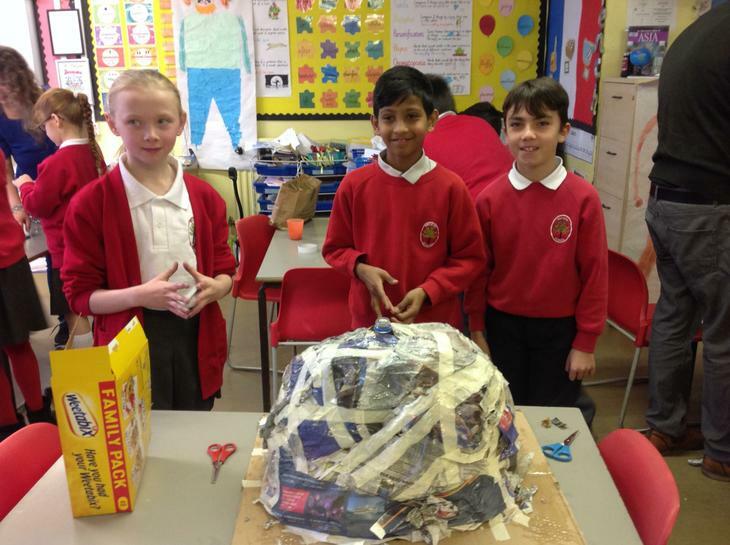 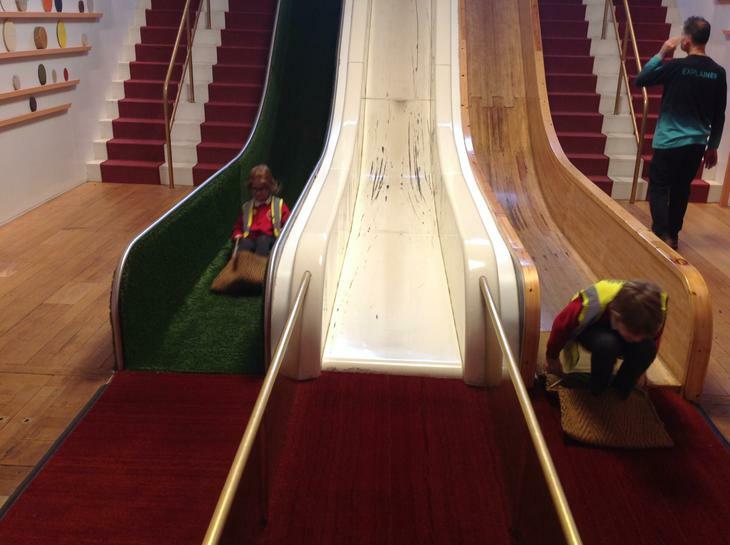 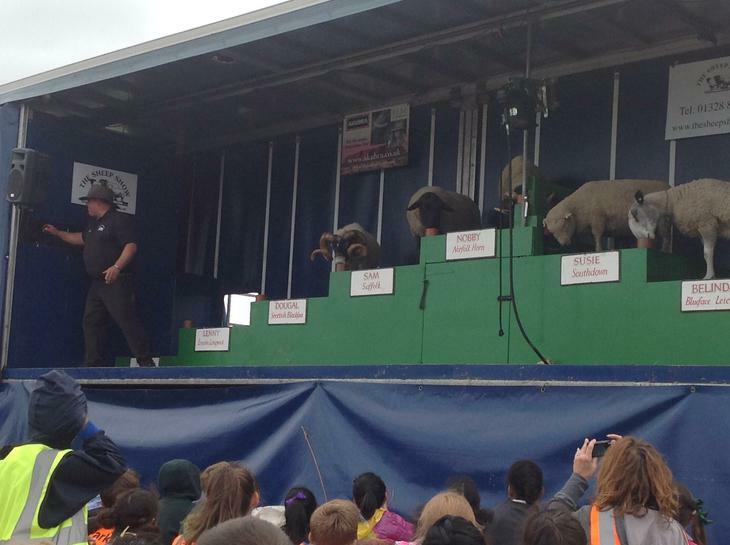 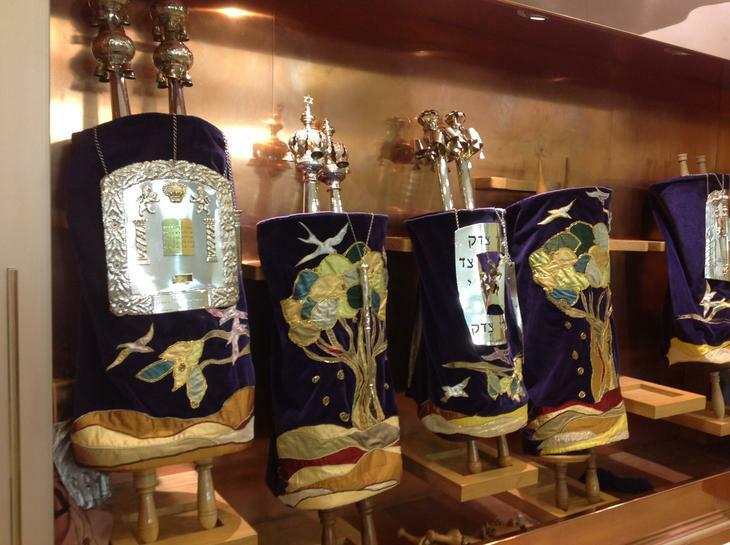 Have a look below at some of our amazing creations! 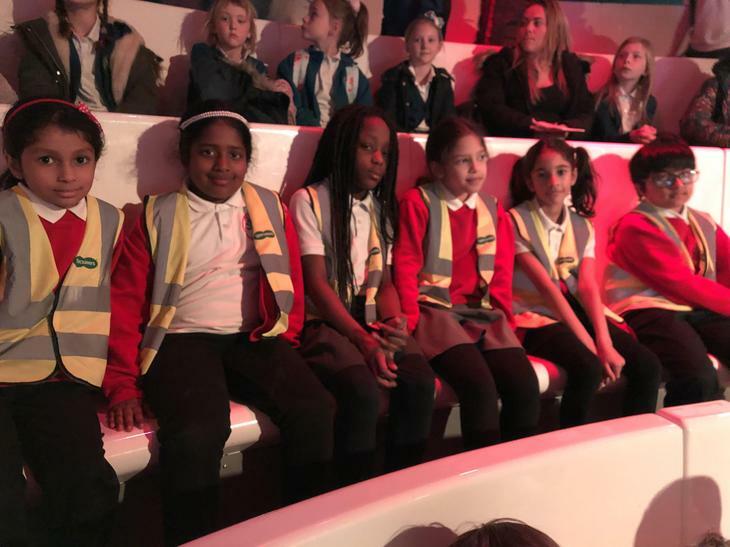 In preparation for the year 3 and 4 school production we would like the children to watch Chitty Chitty Bang Bang, if possible. 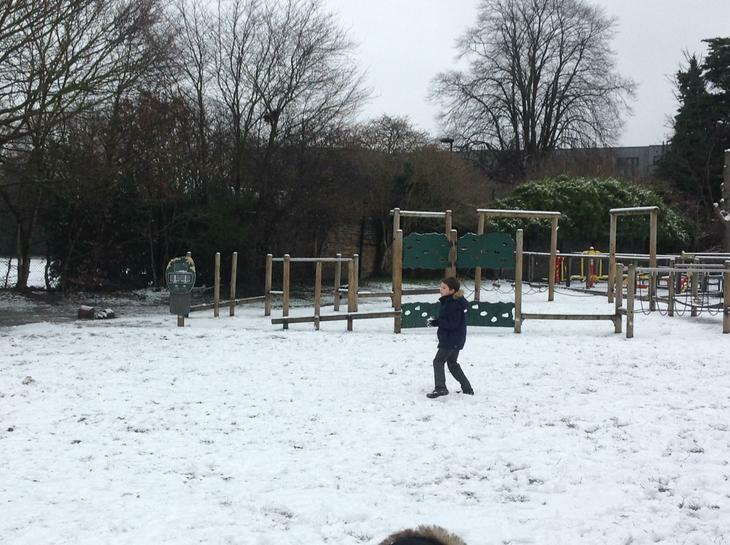 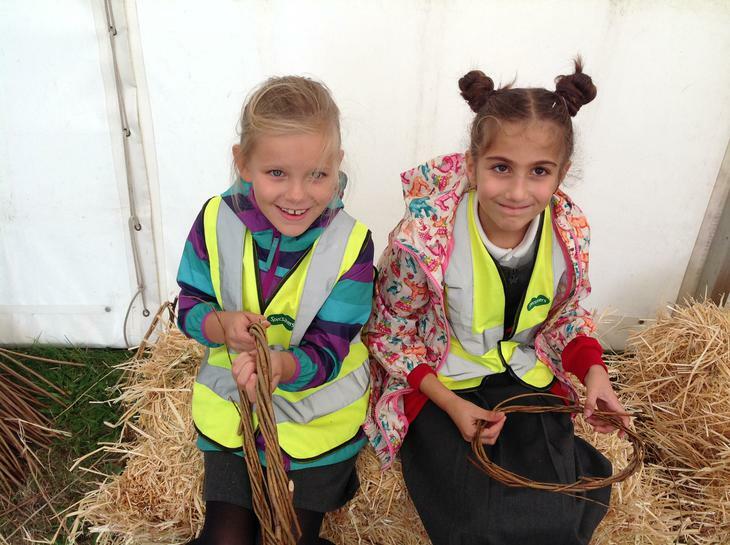 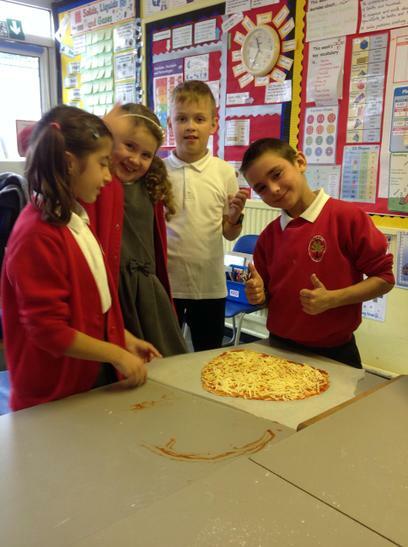 We hope everyone has a great half term! 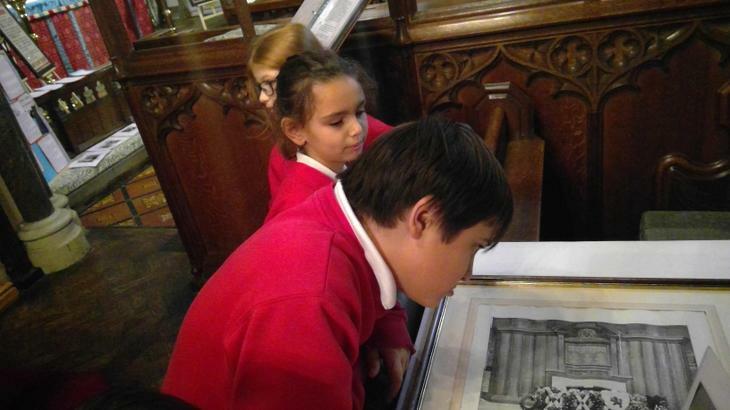 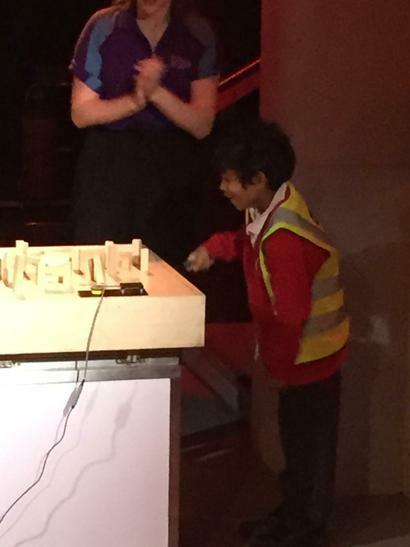 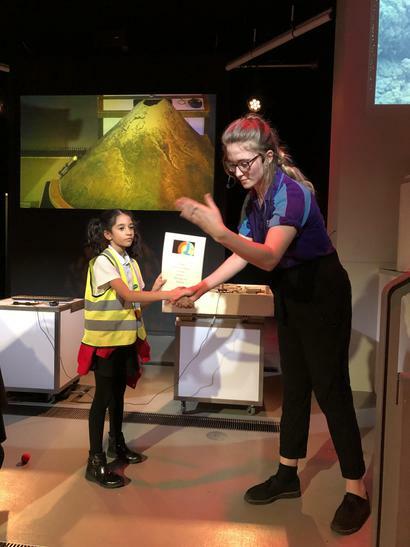 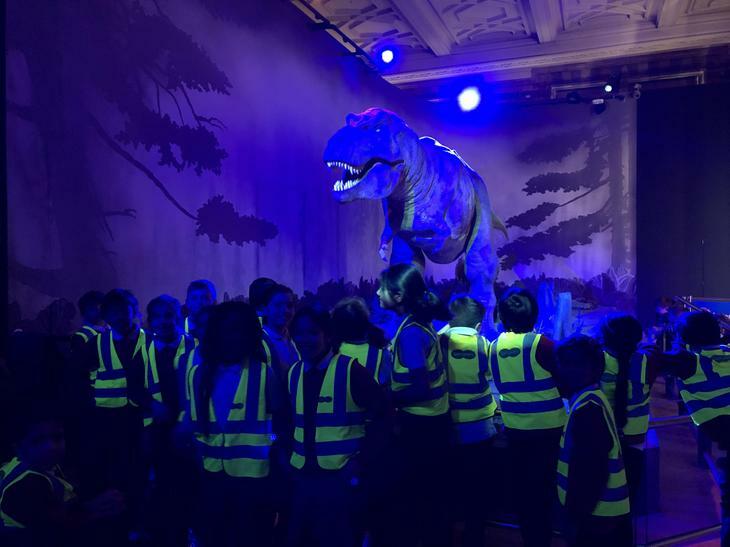 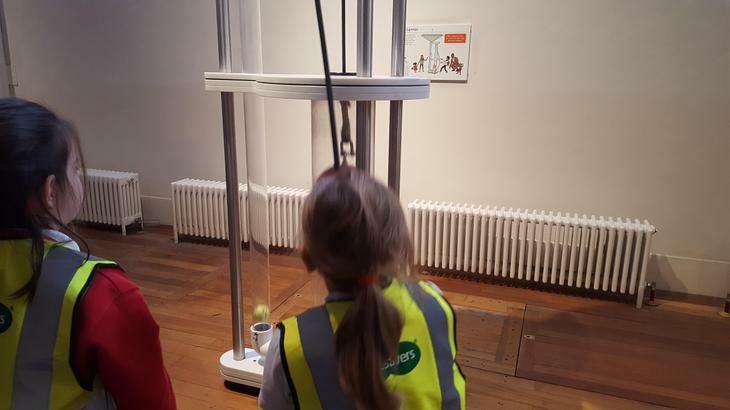 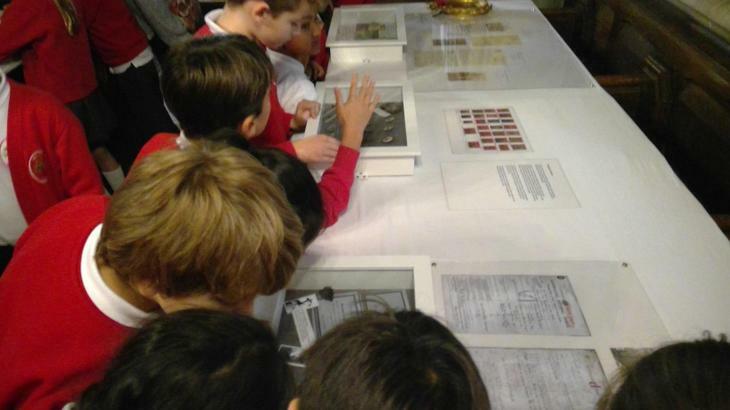 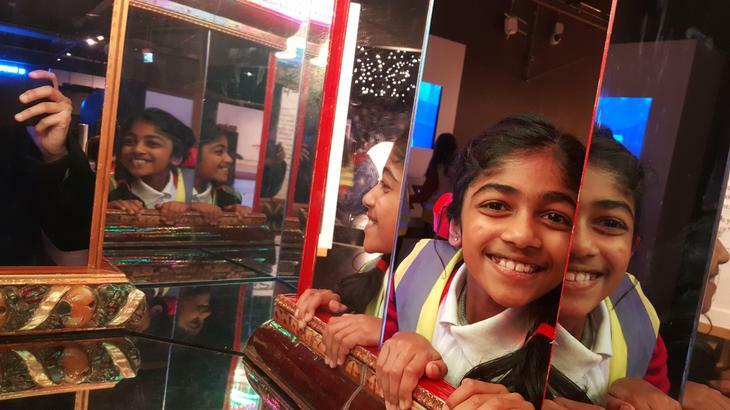 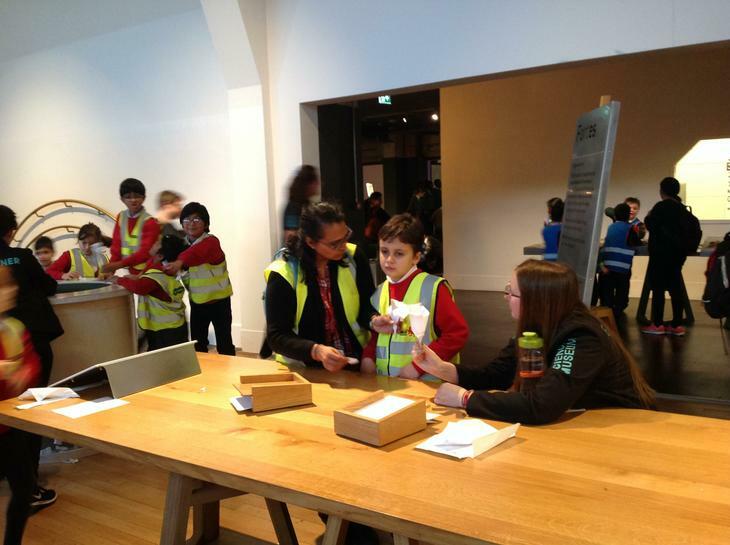 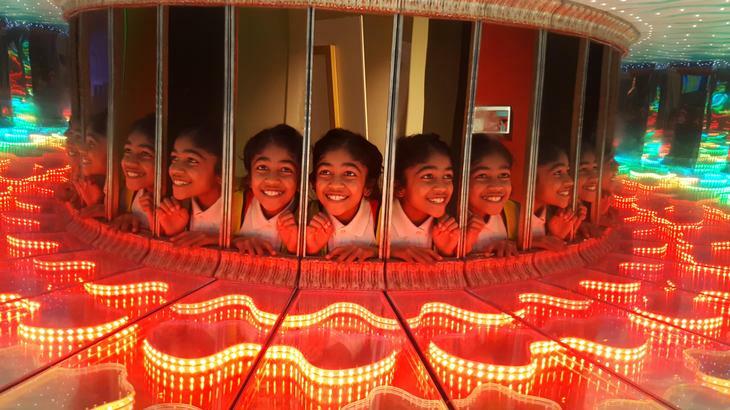 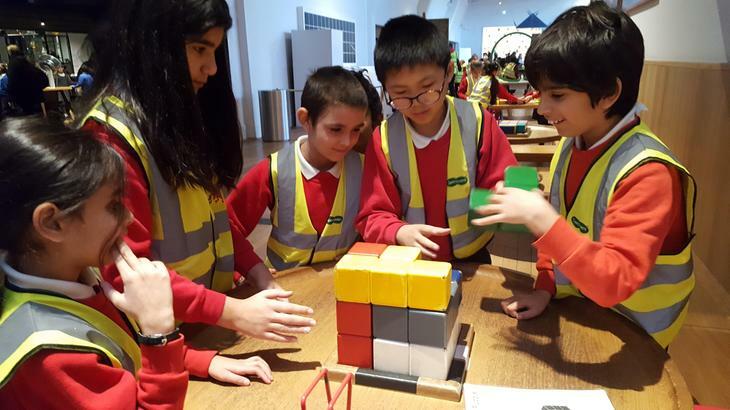 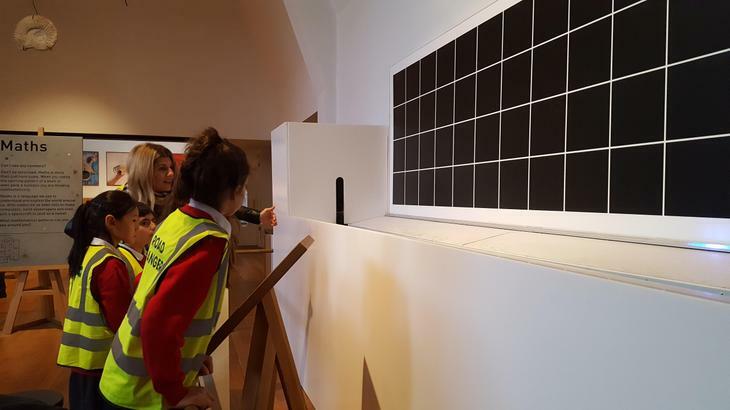 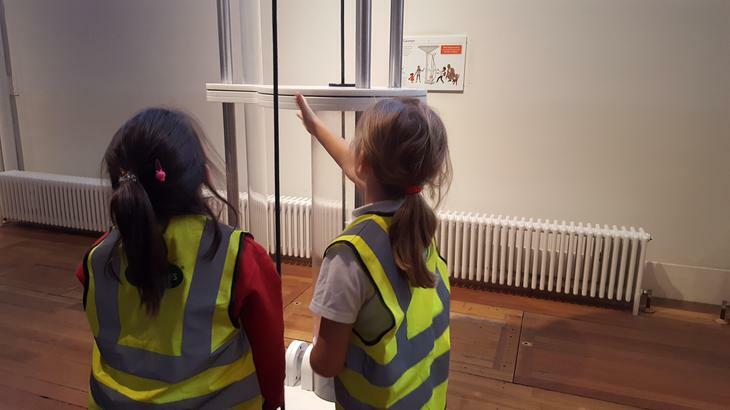 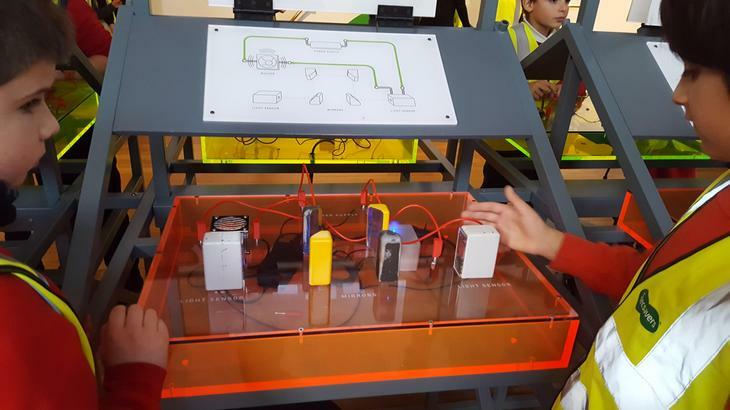 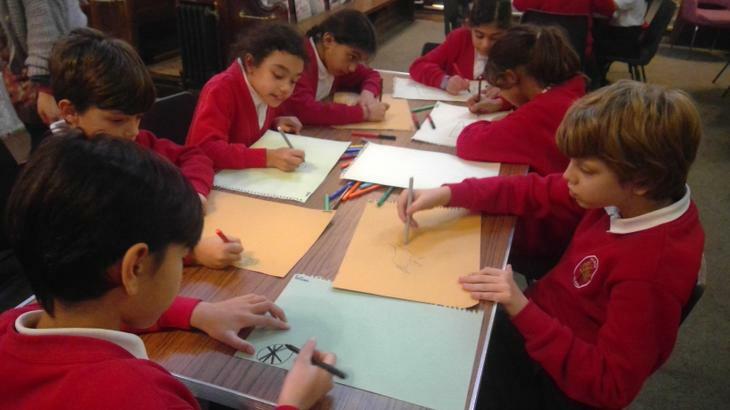 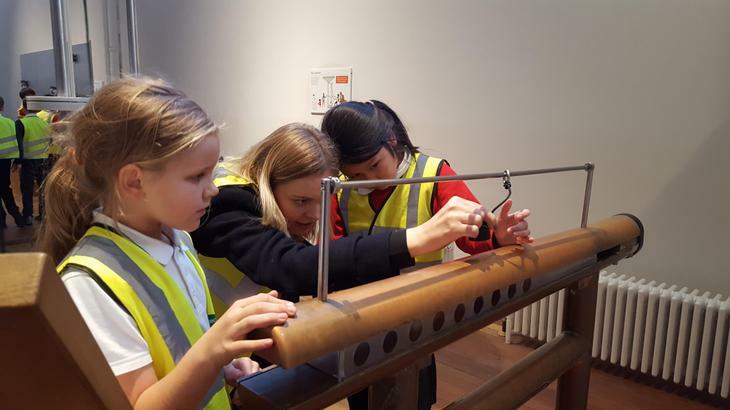 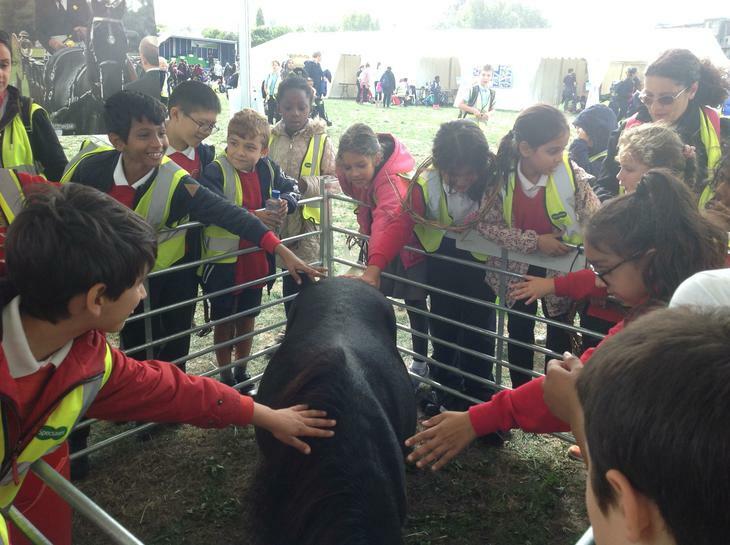 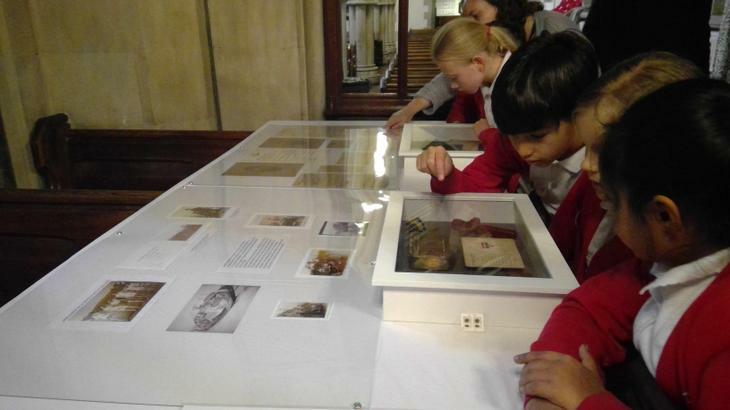 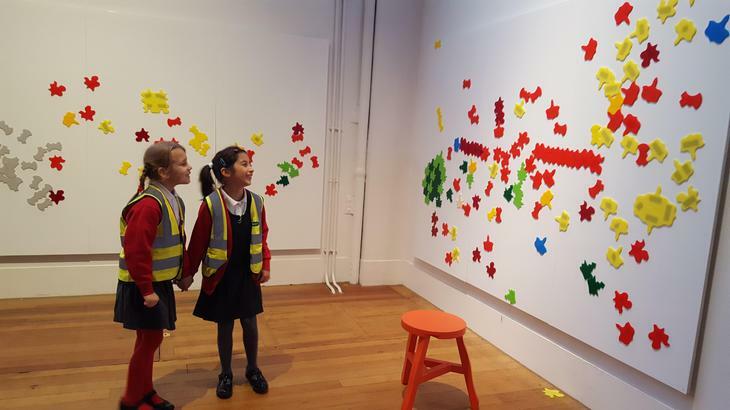 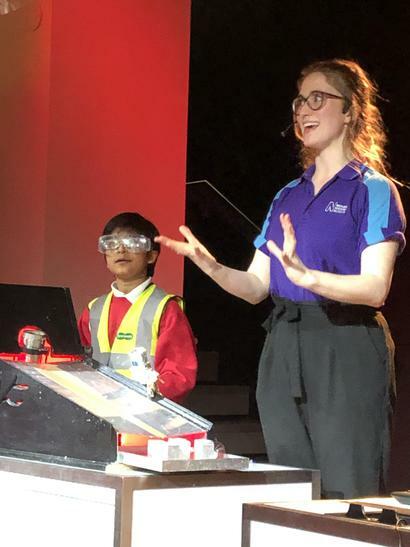 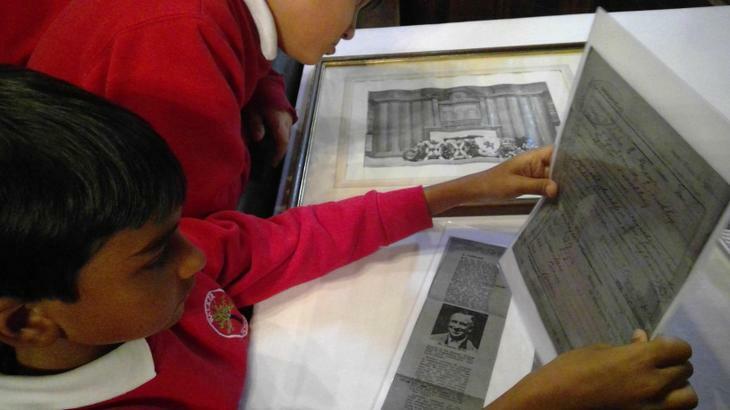 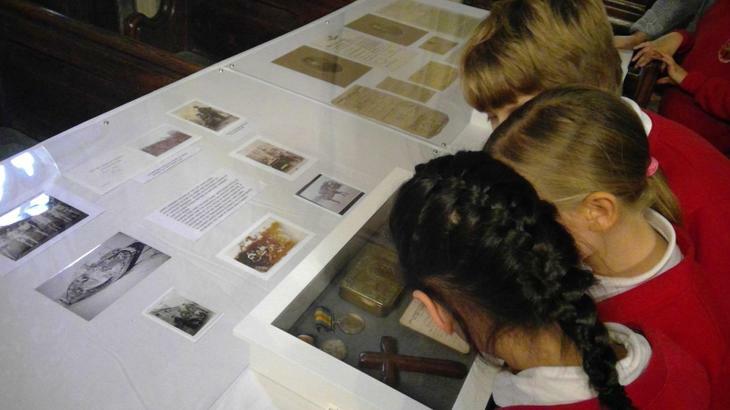 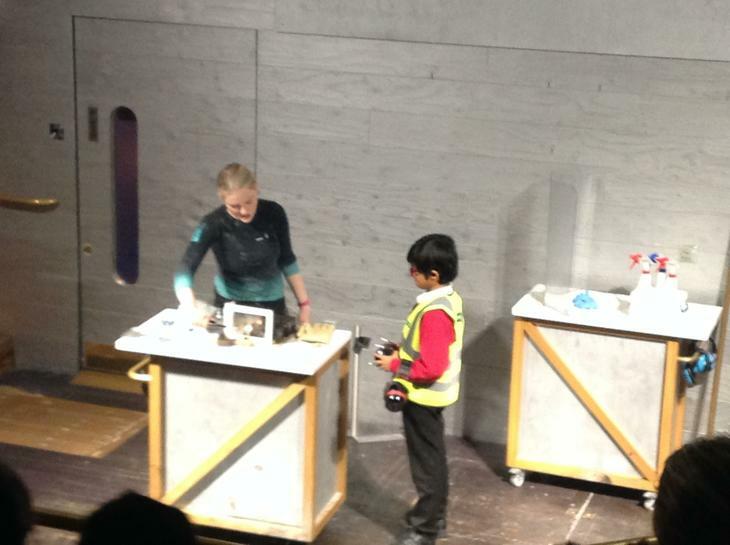 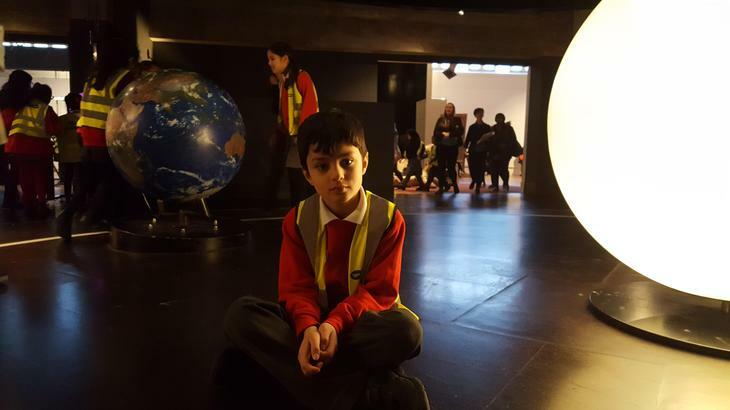 Information about the Fourth Plinth Schools Award 2019 has been shared with pupils and all from years 1-6 are invited to submit an entry. 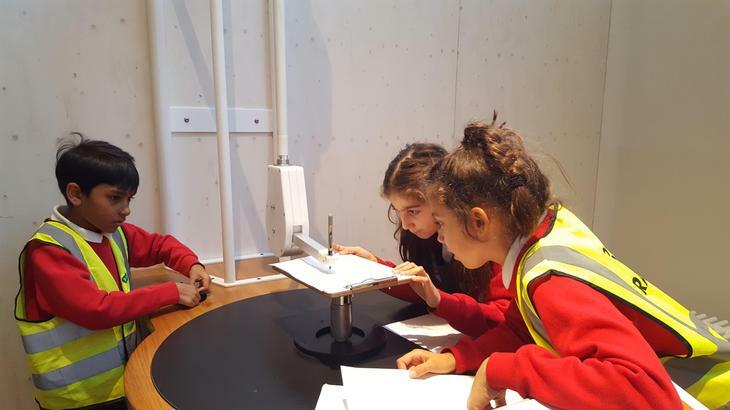 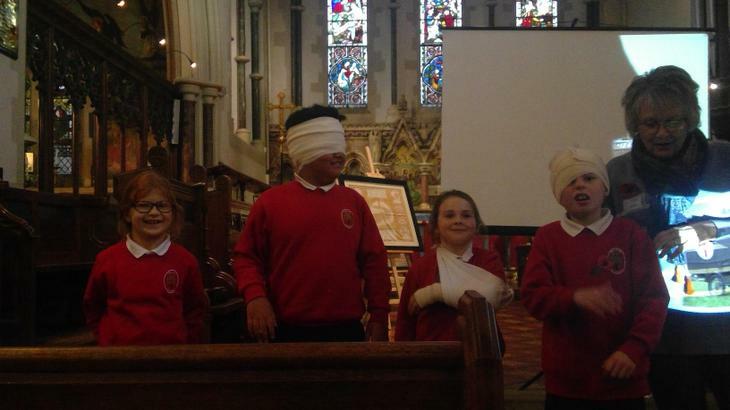 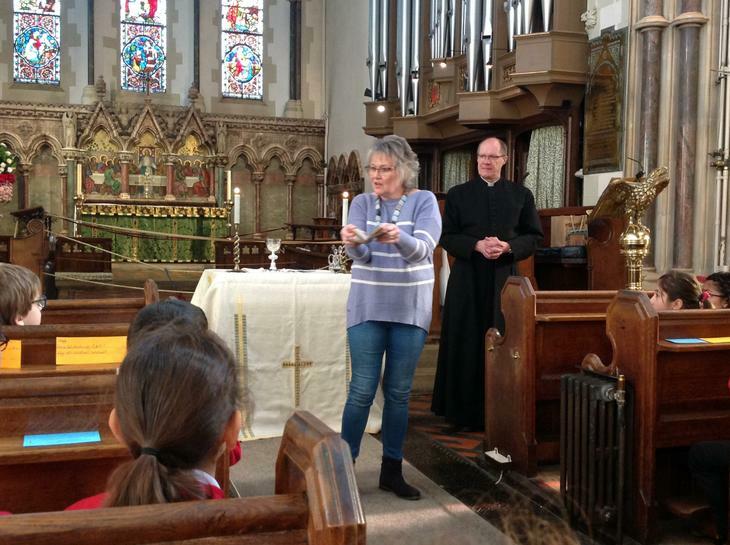 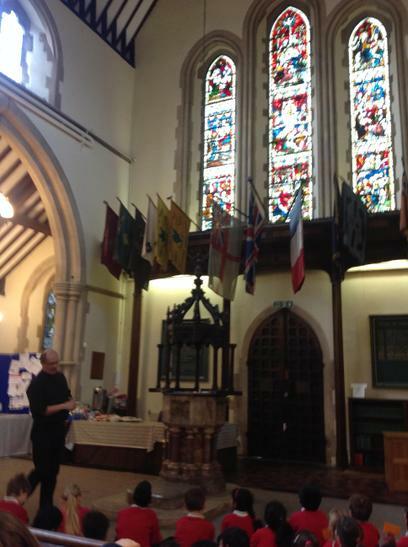 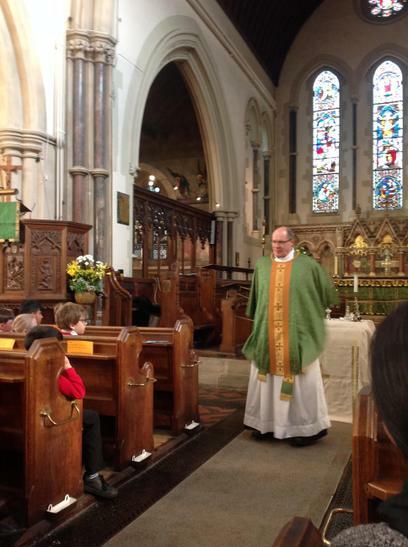 For your homework we would like you to edit and amend, and copy out the stories that you have written this week for the Mayor’s writing award. 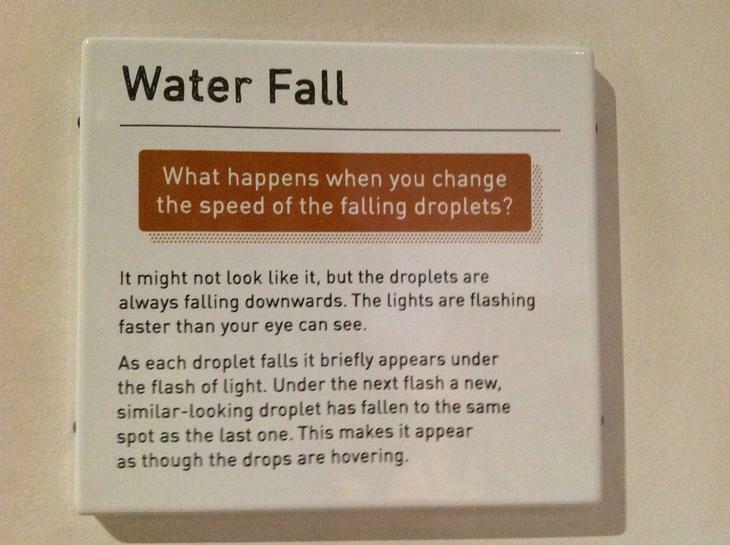 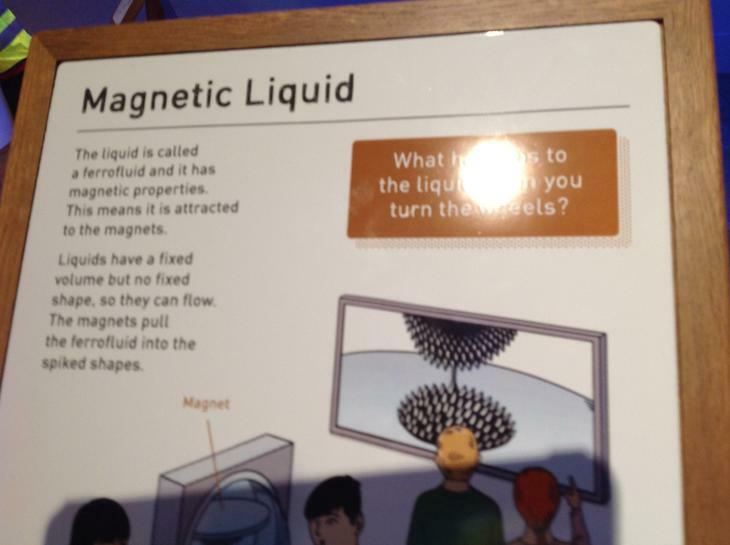 But above all… Check that it makes sense!!! 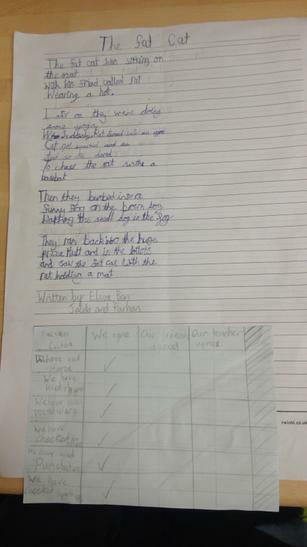 Remember that your story cannot be any longer than 2 sides of A4 (including pictures), and it must be handwritten! 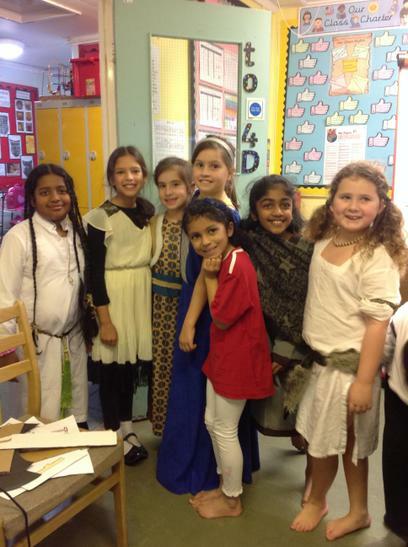 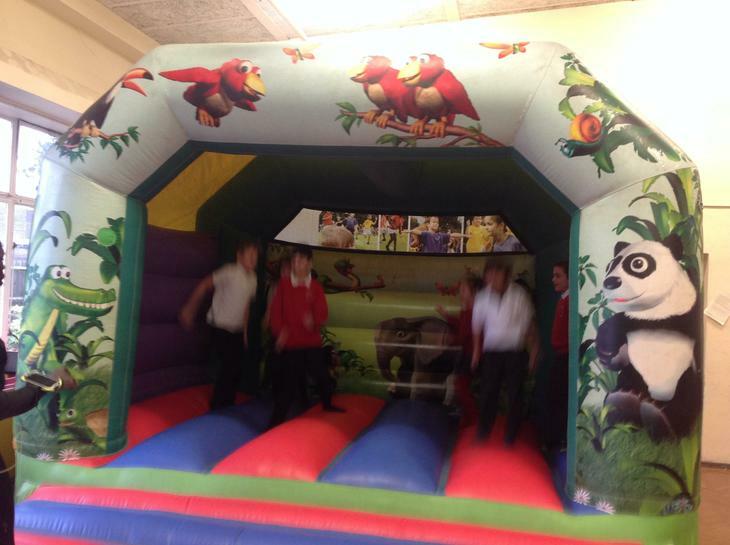 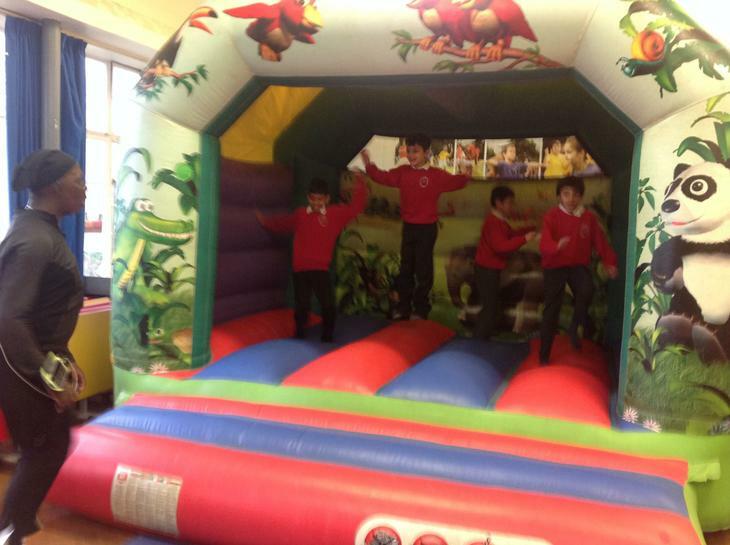 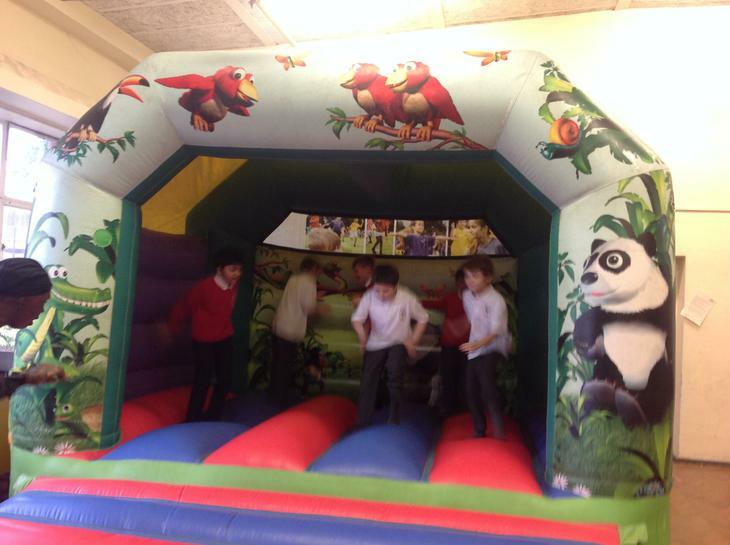 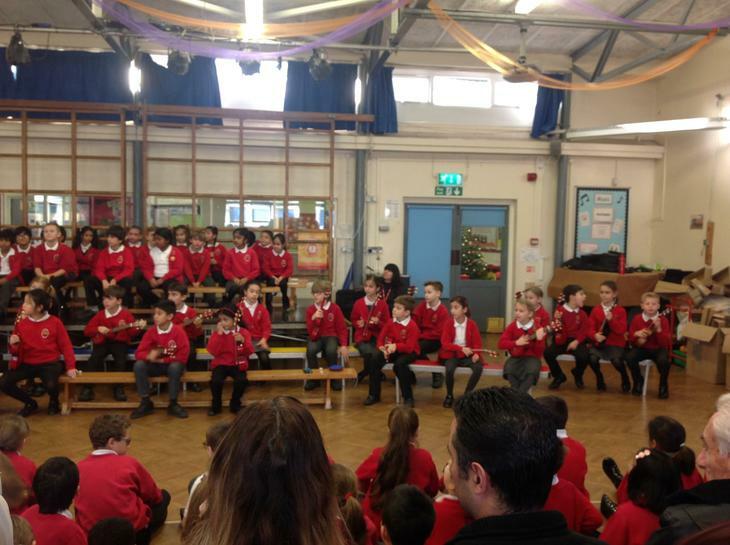 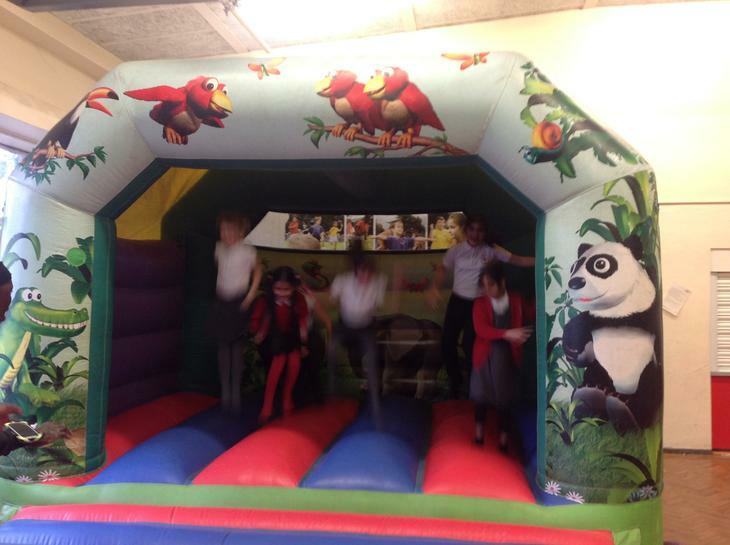 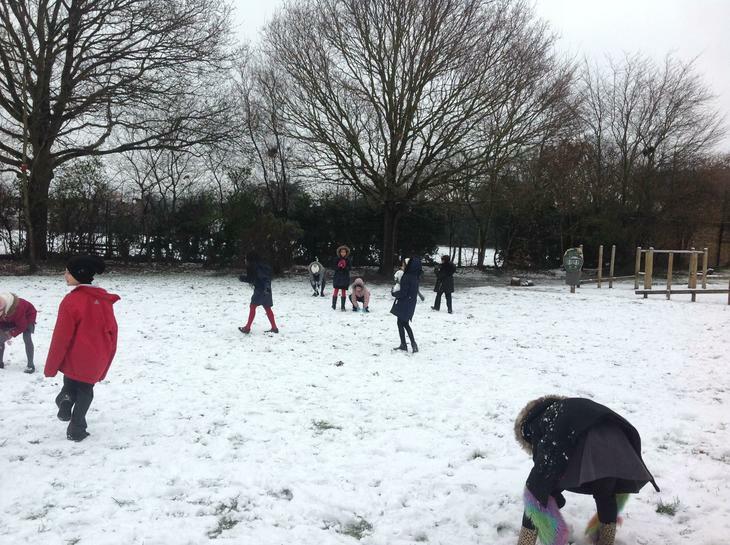 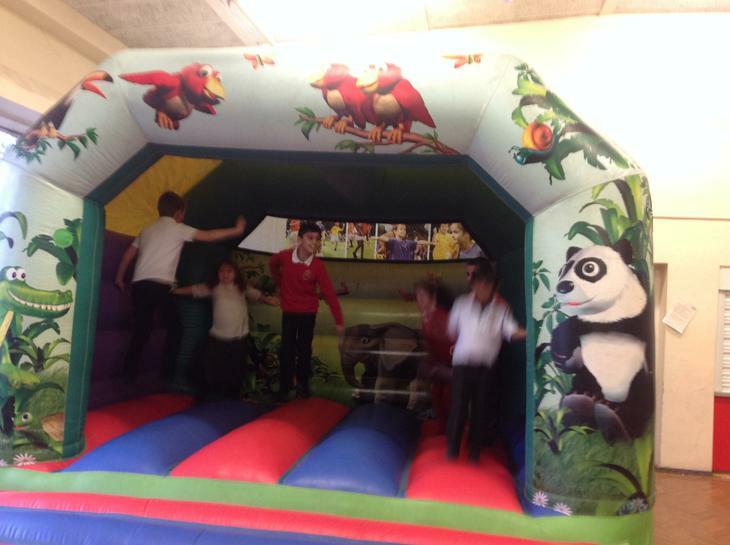 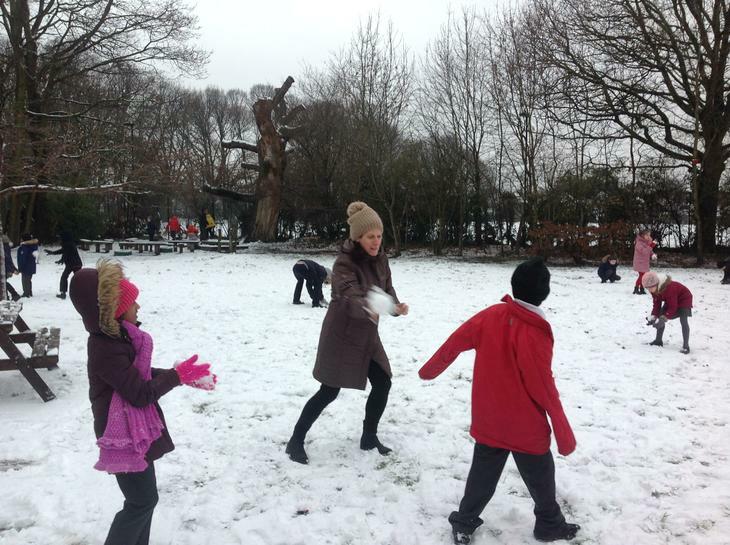 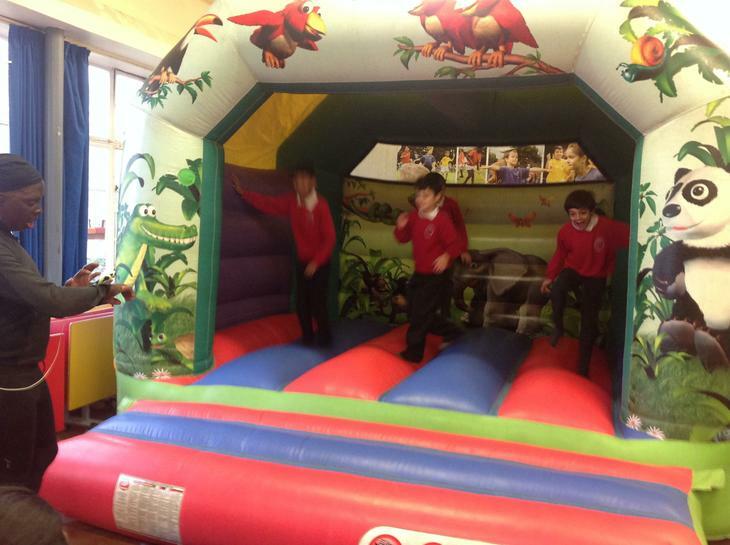 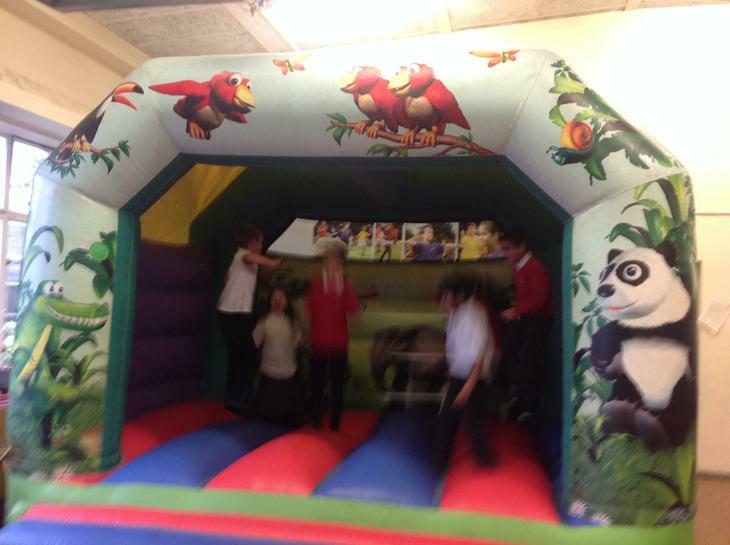 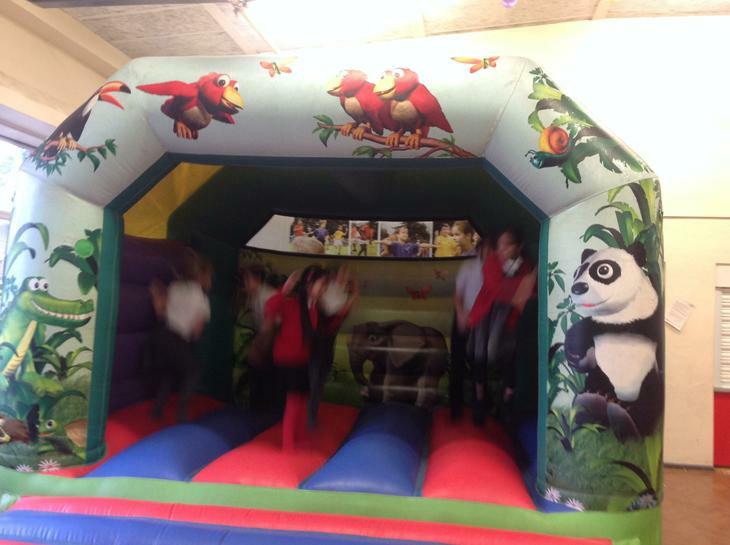 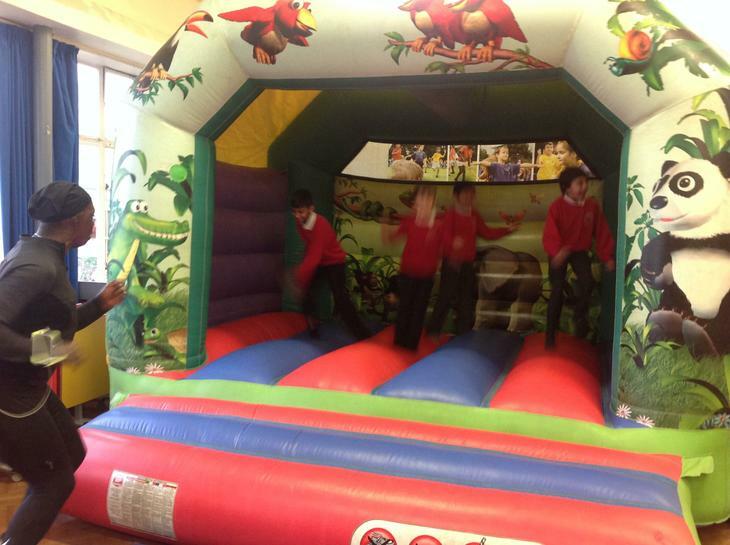 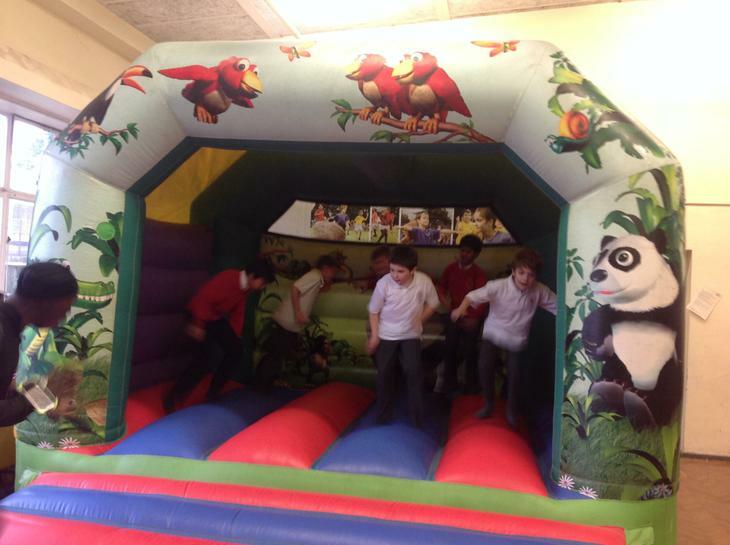 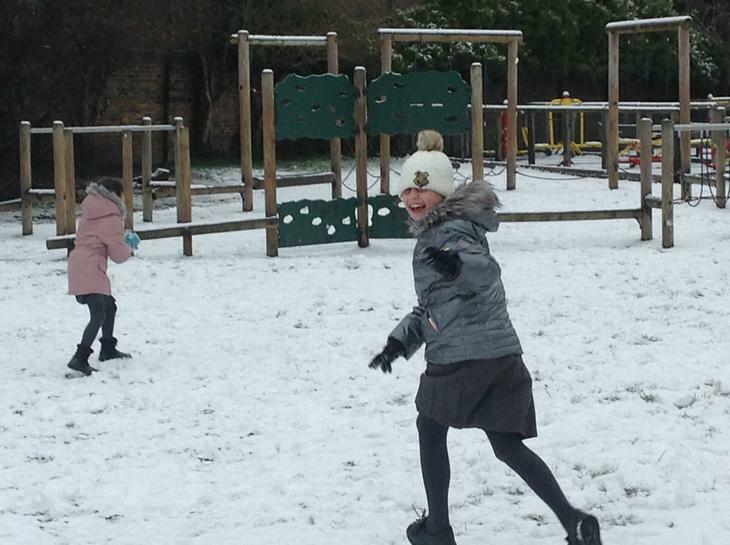 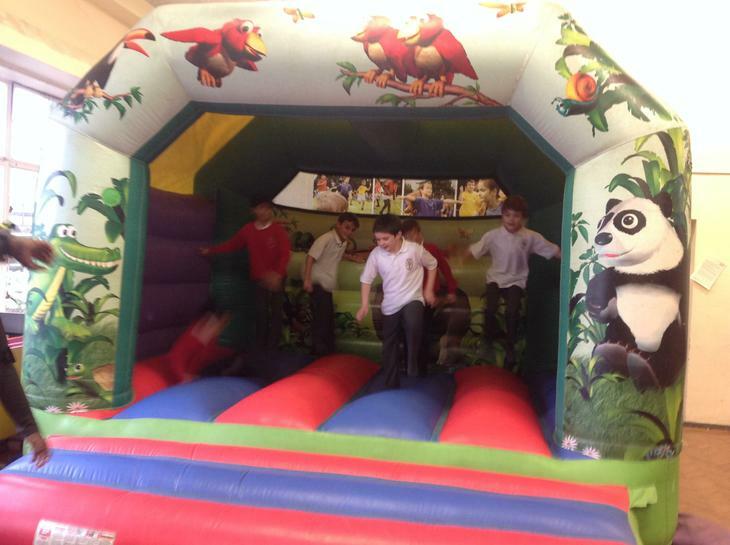 Year 4 will be having their party on the afternoon of Thursday 20th December. 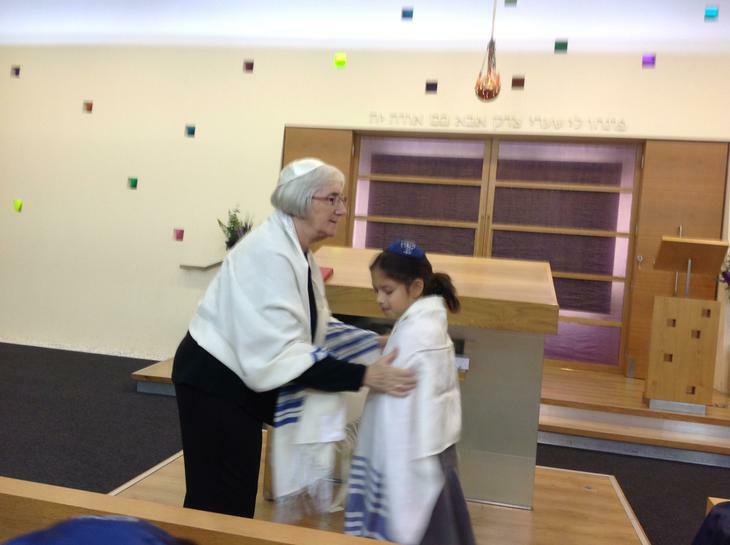 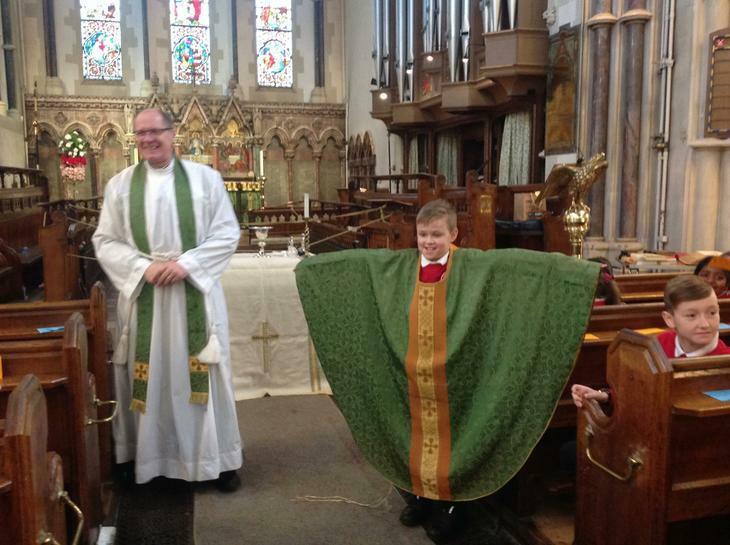 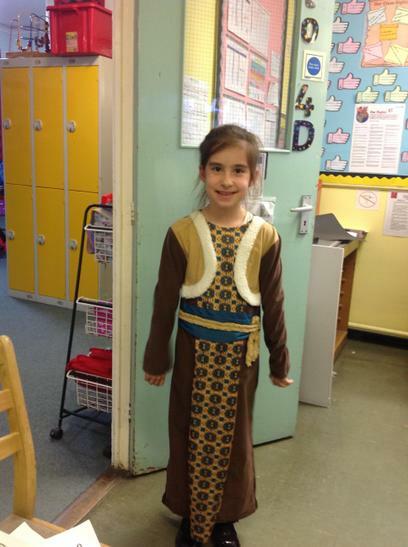 They are allowed to bring in party clothes which they can change into in the afternoon. 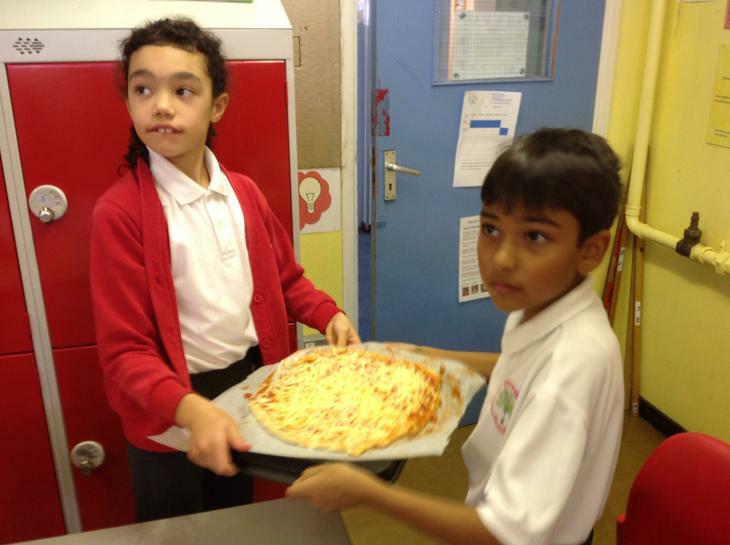 Please see the school's agreed party food list. 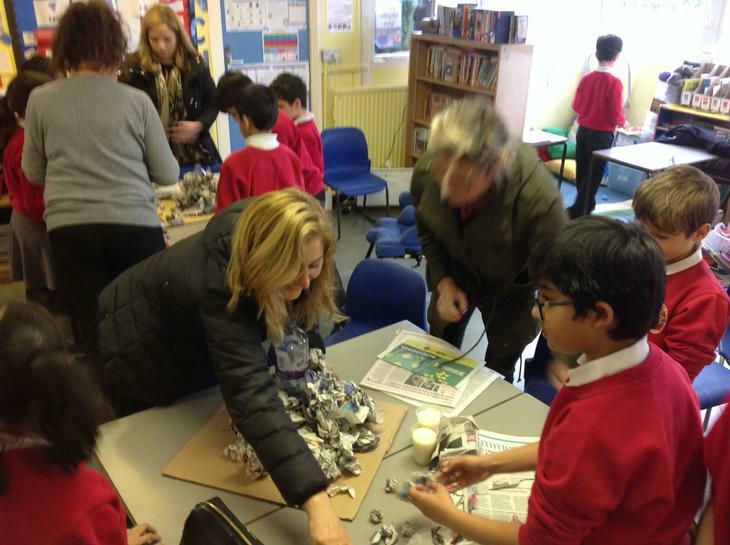 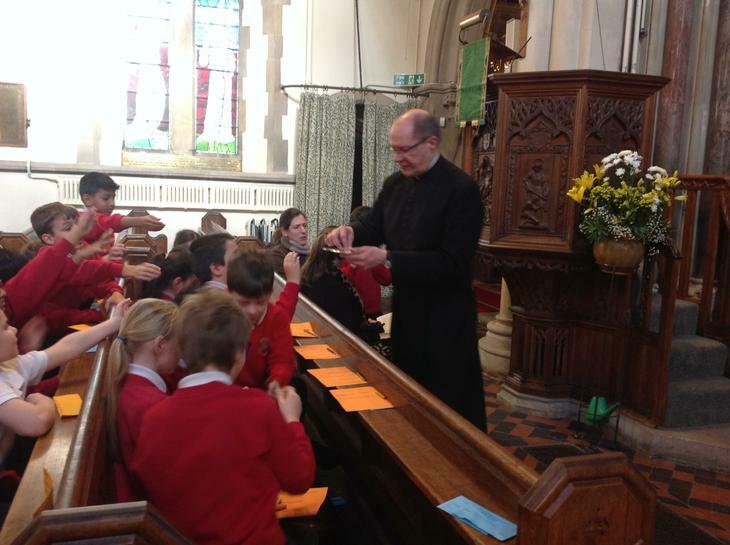 A big thank you to everyone who came to the open morning and helped us to create some wonderful money containers. 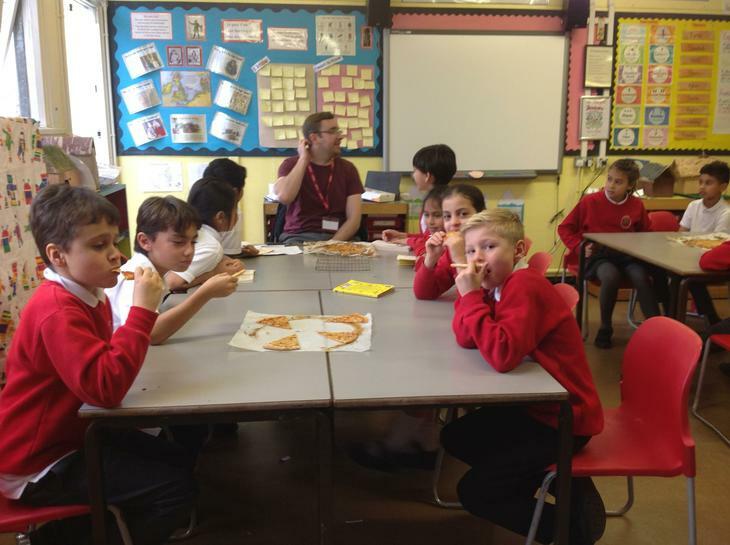 Your help was much needed and very appreciated! 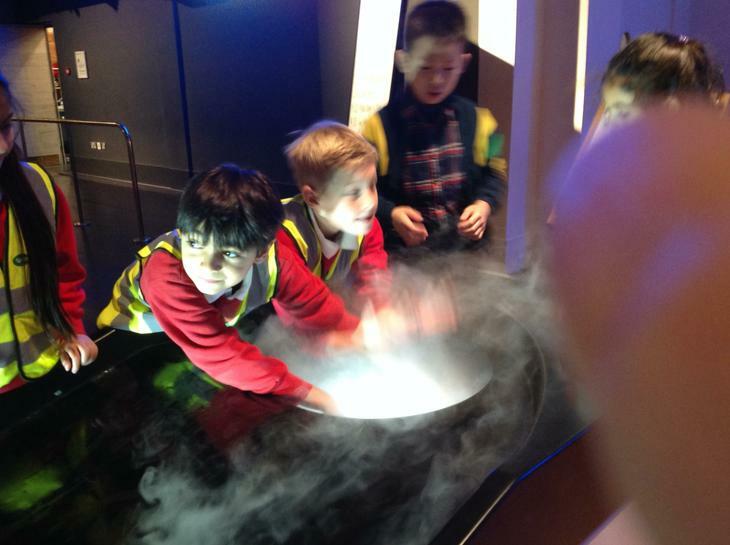 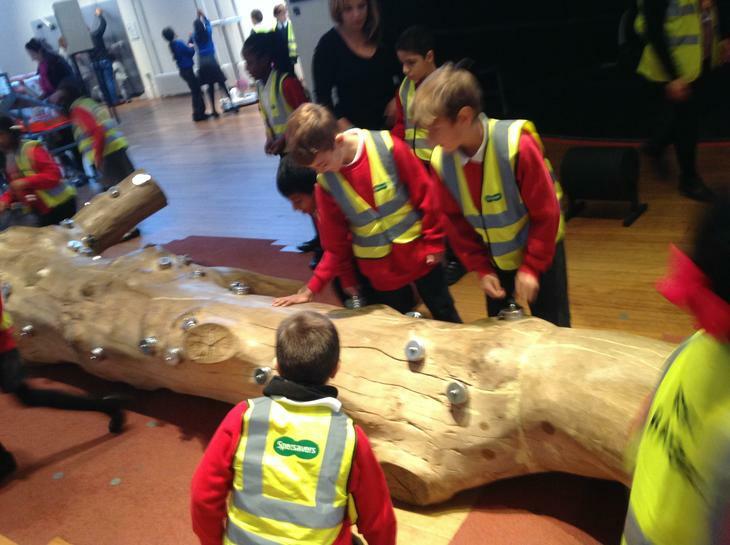 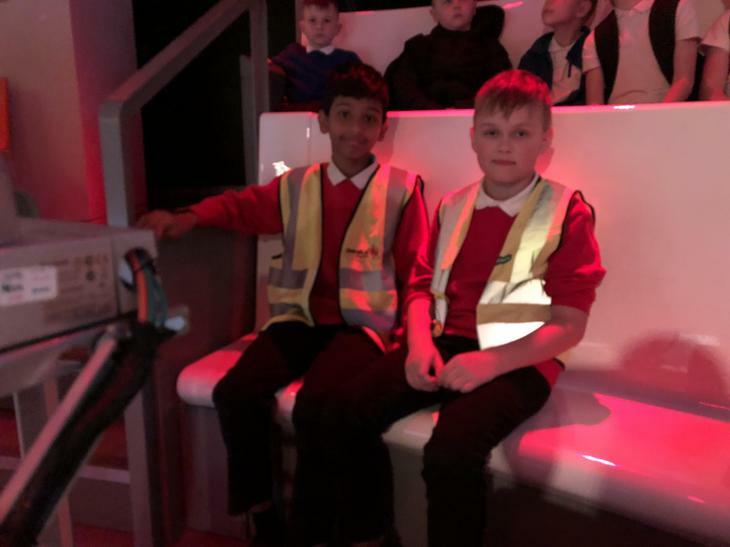 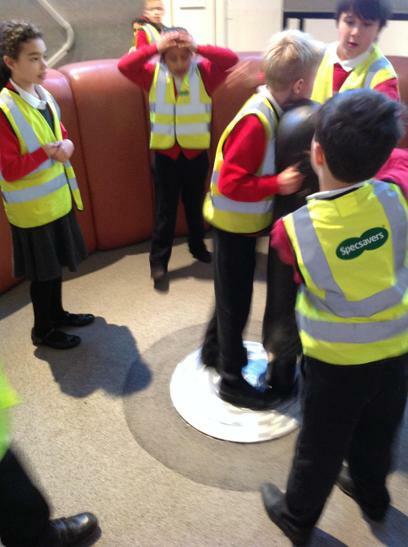 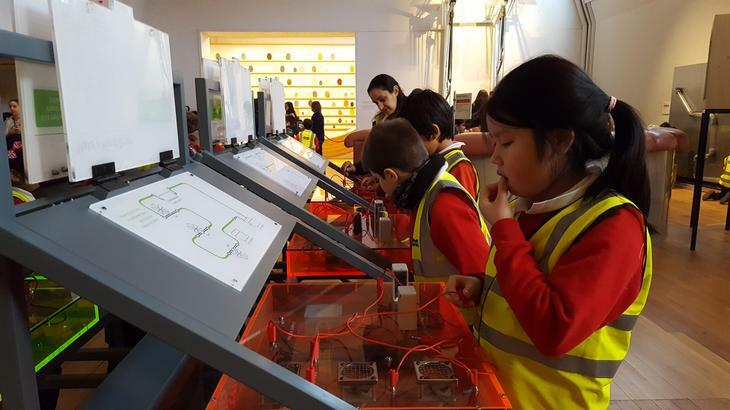 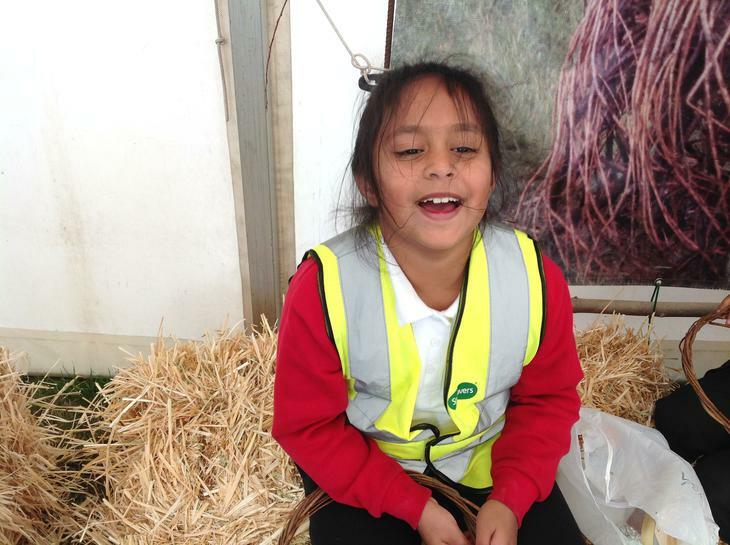 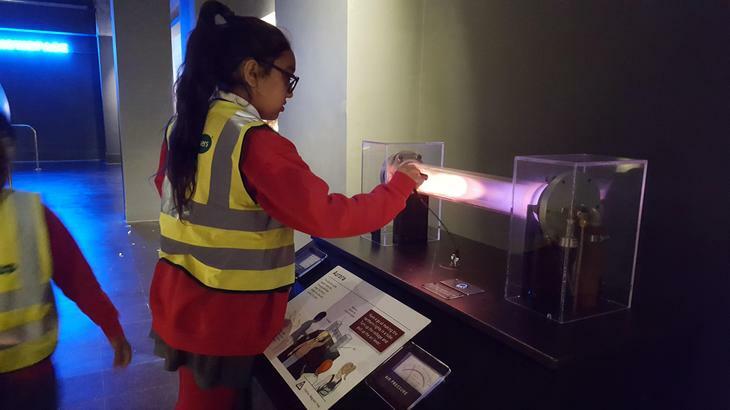 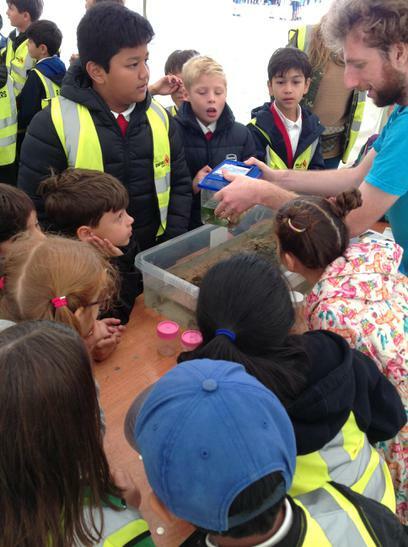 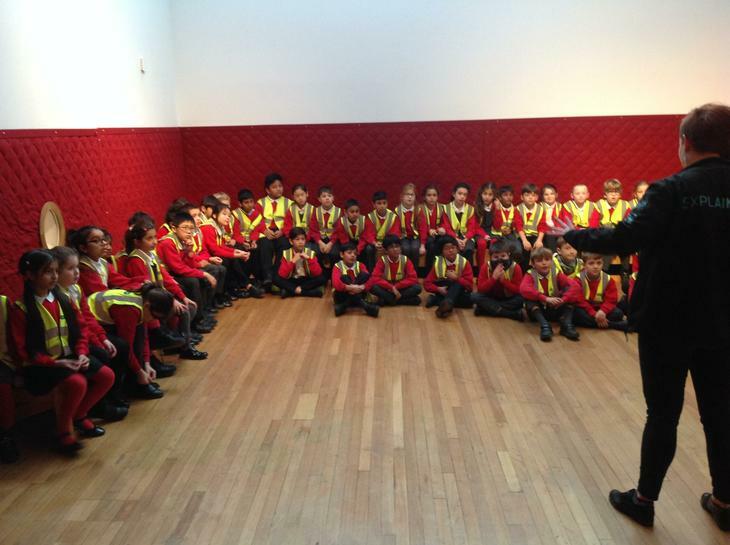 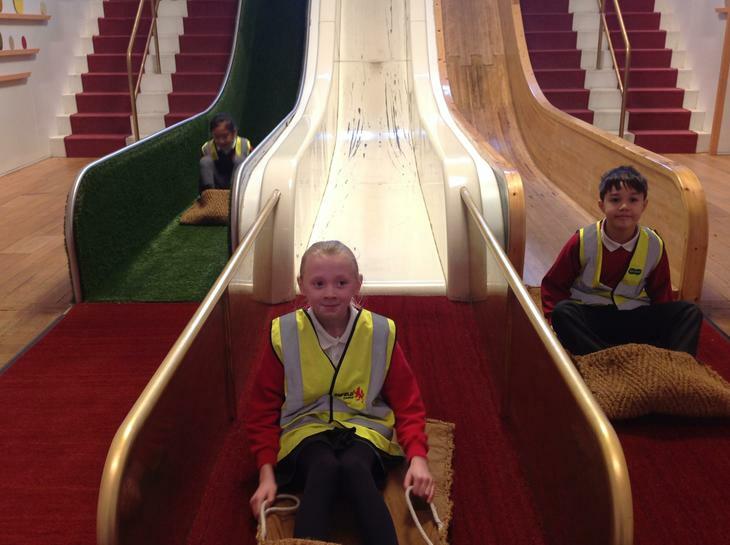 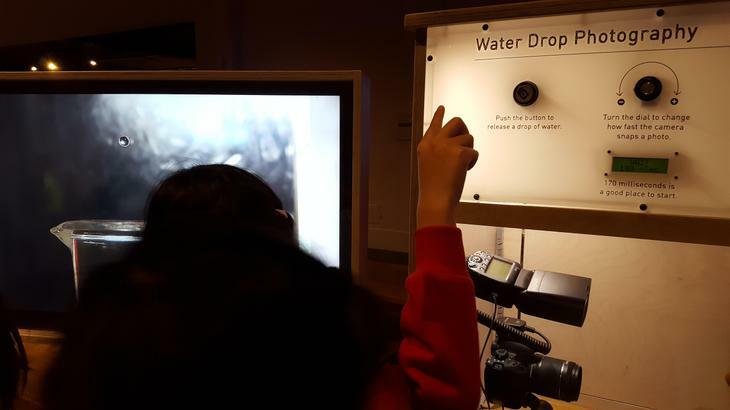 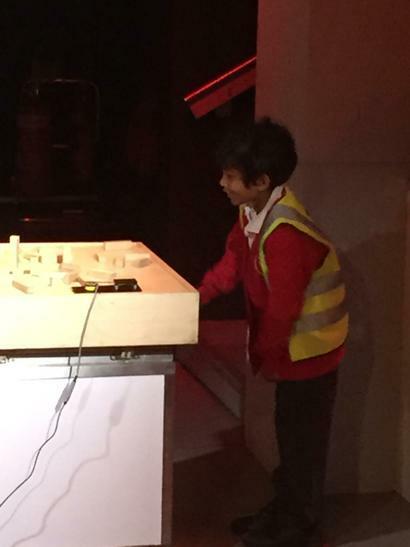 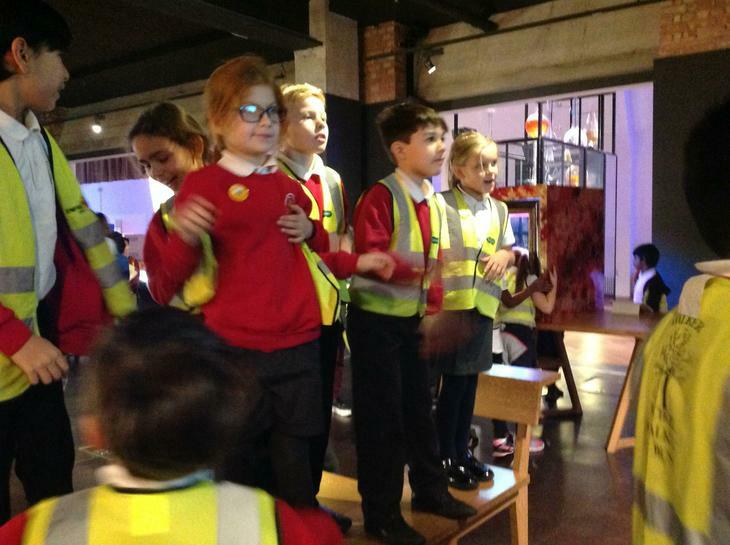 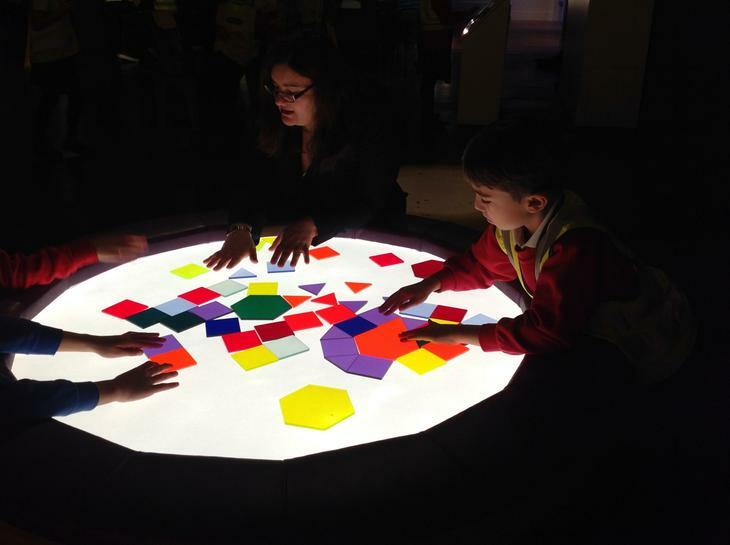 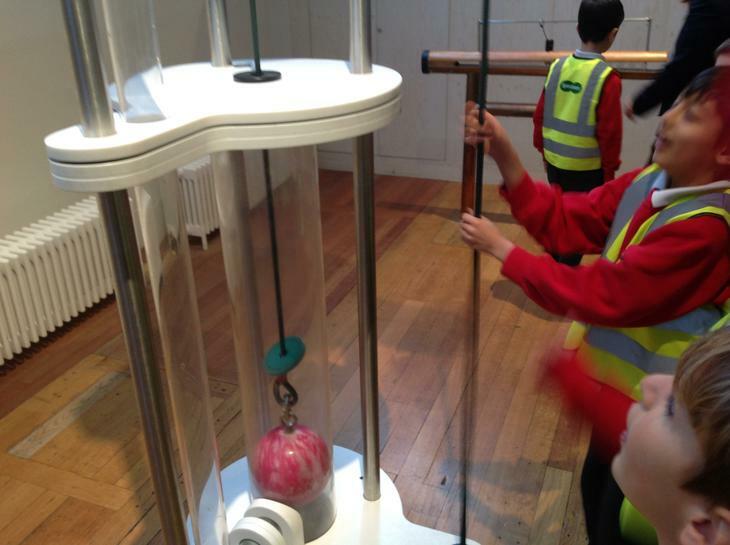 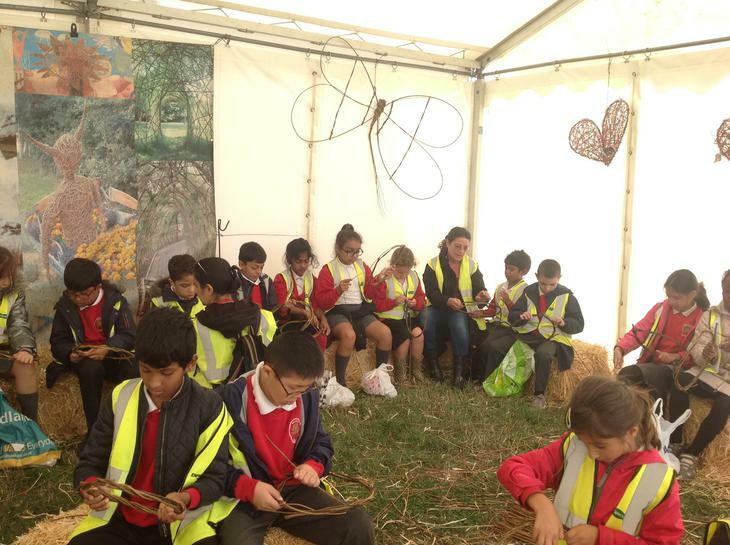 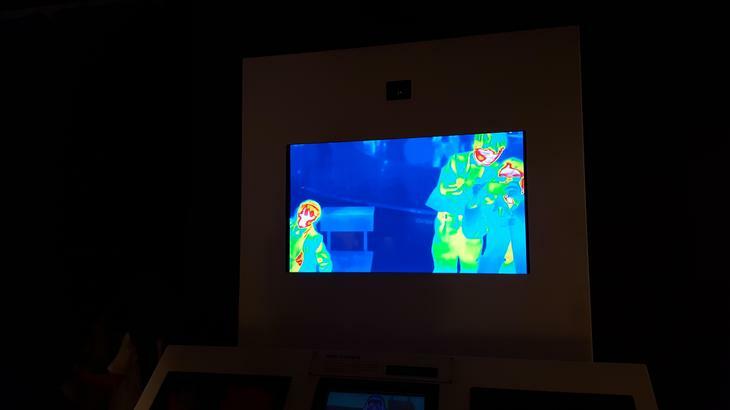 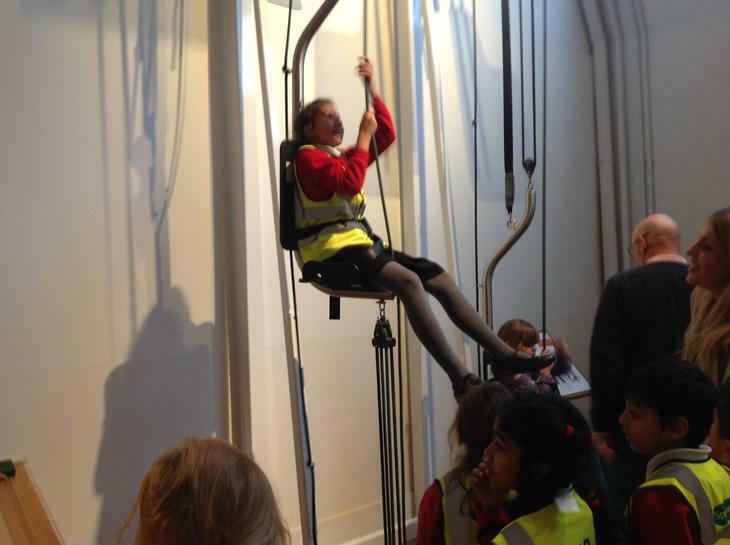 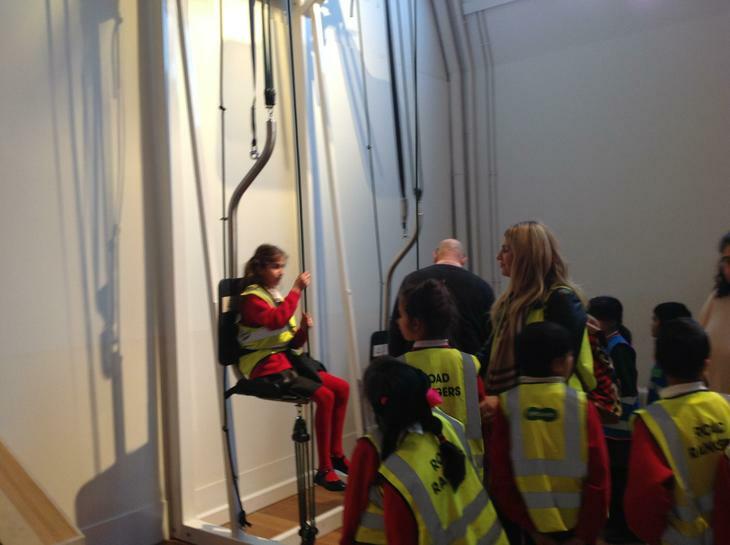 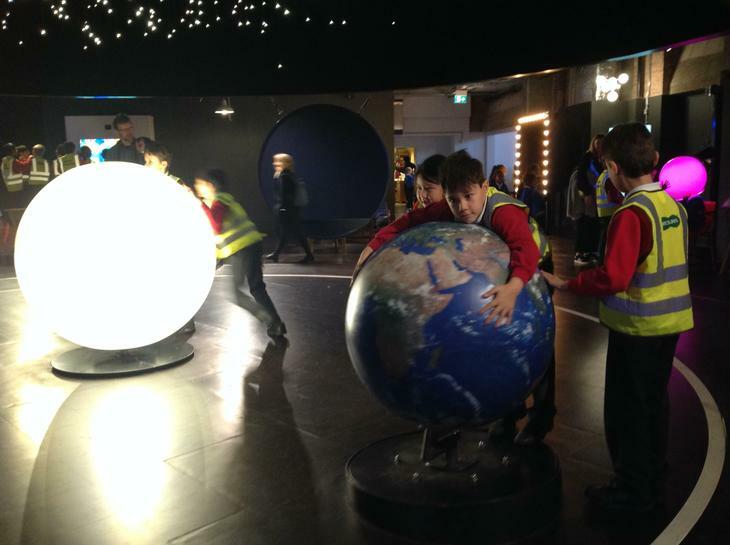 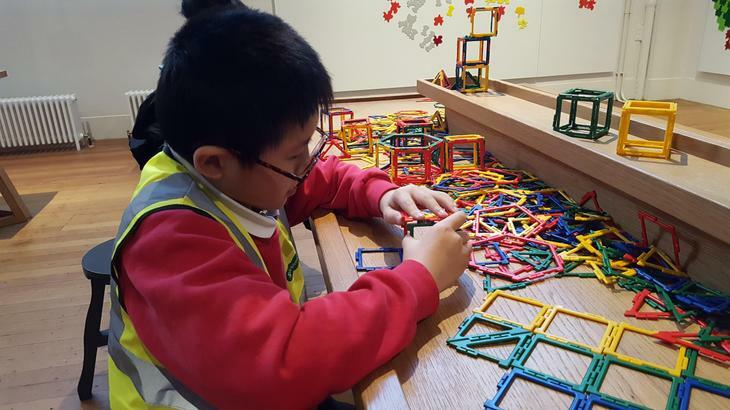 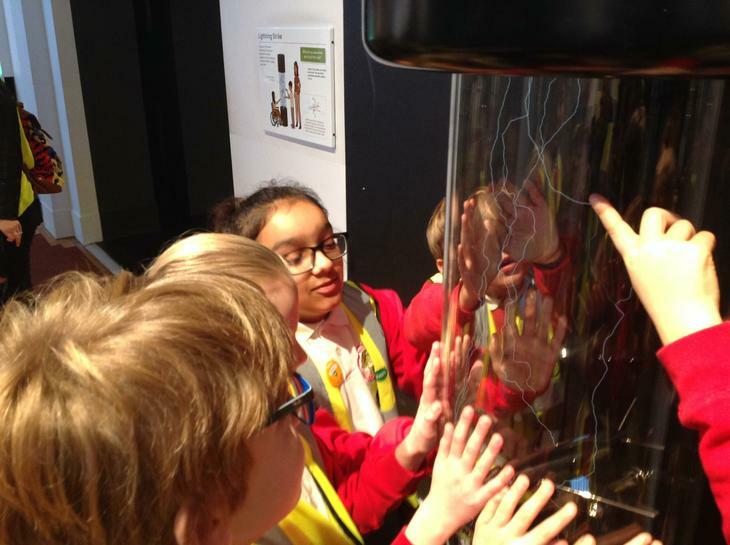 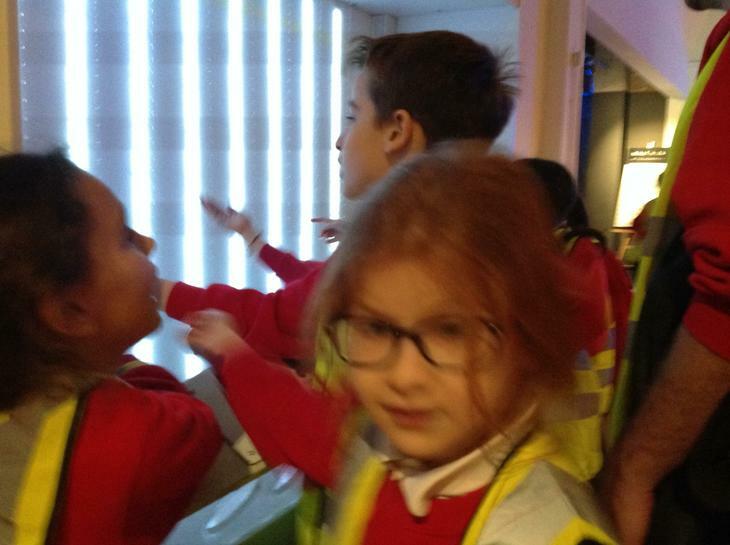 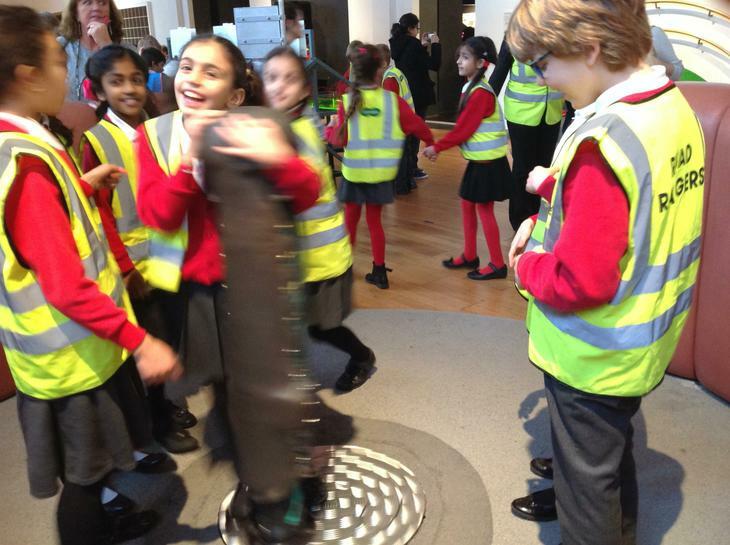 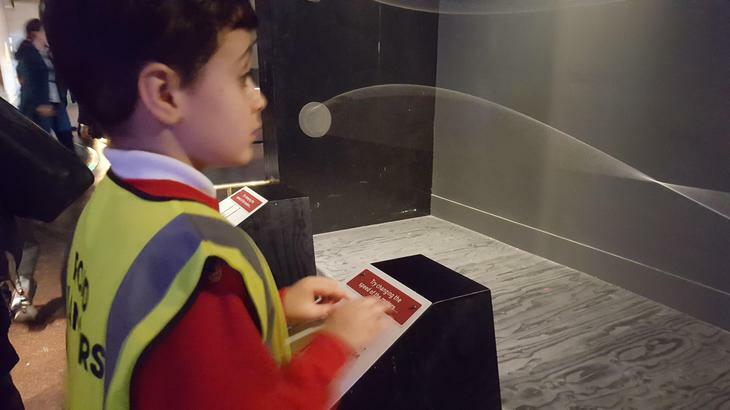 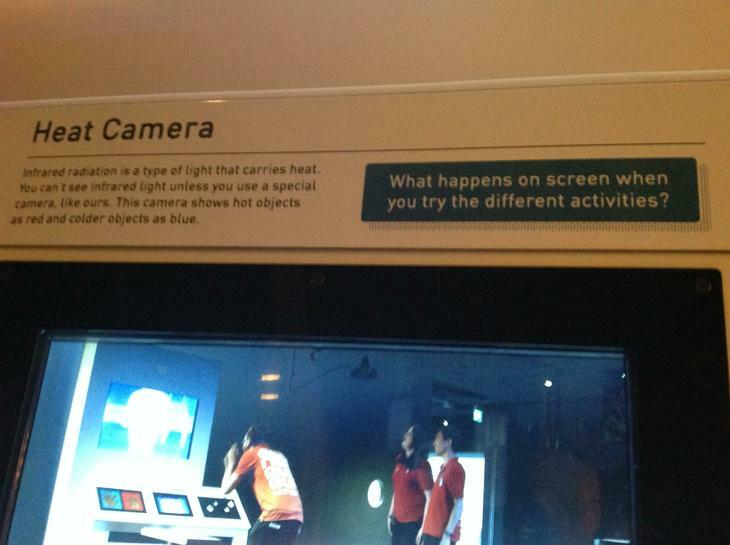 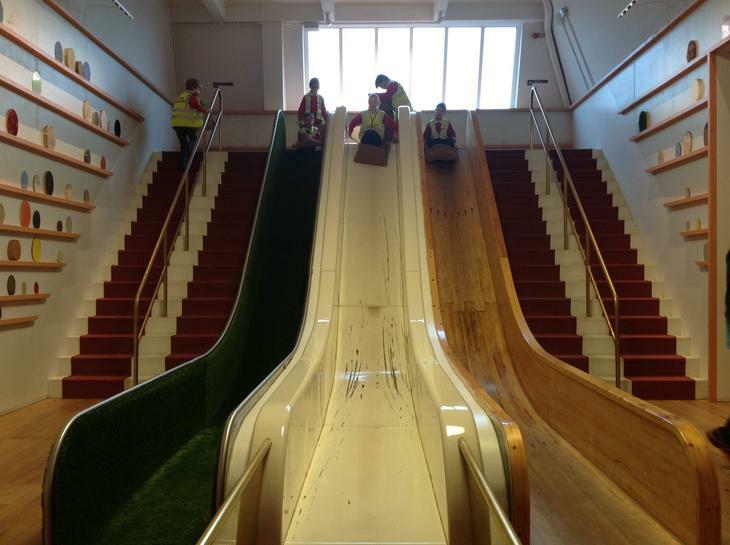 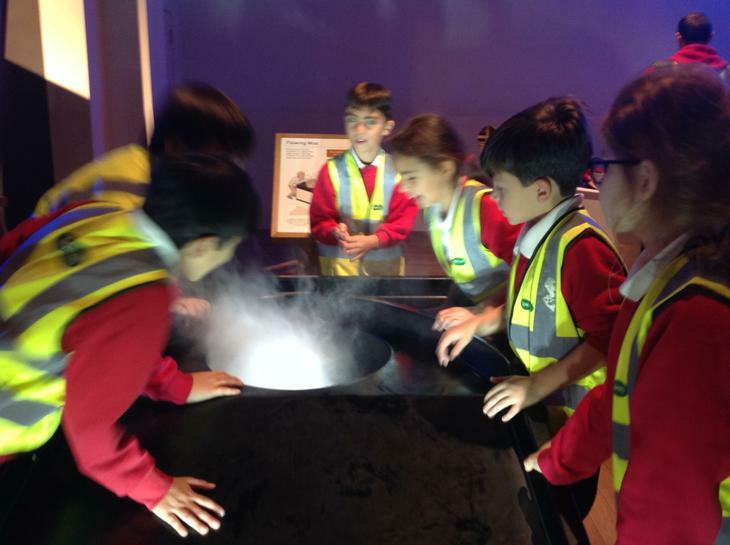 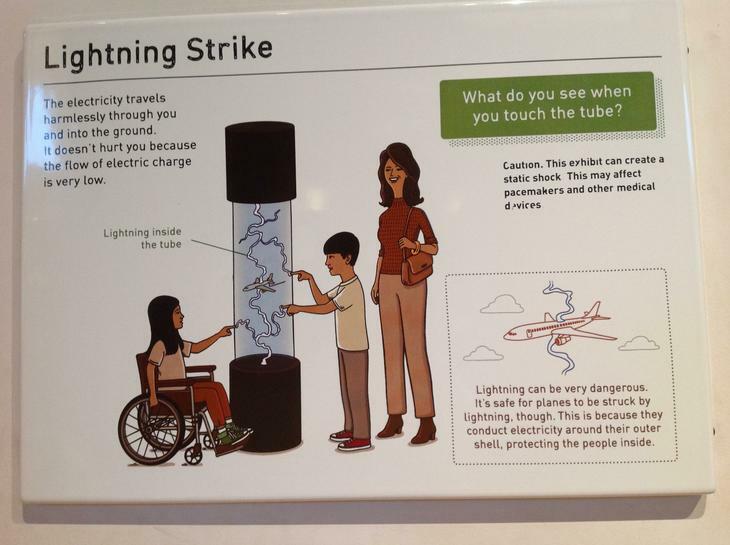 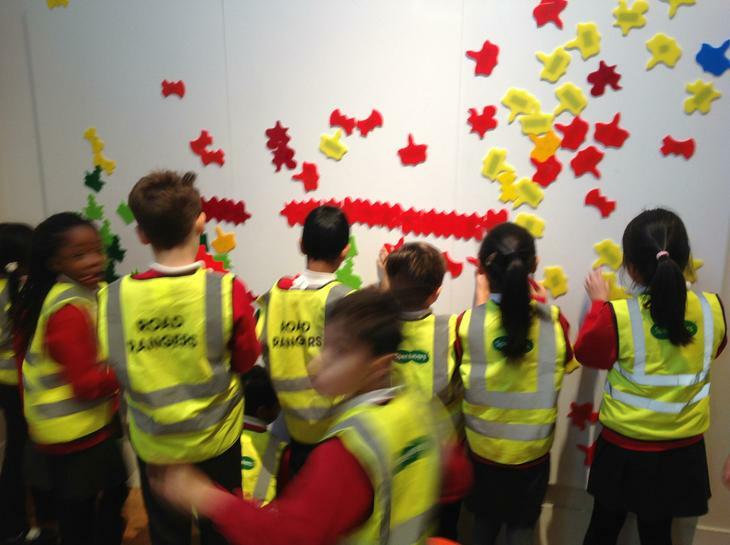 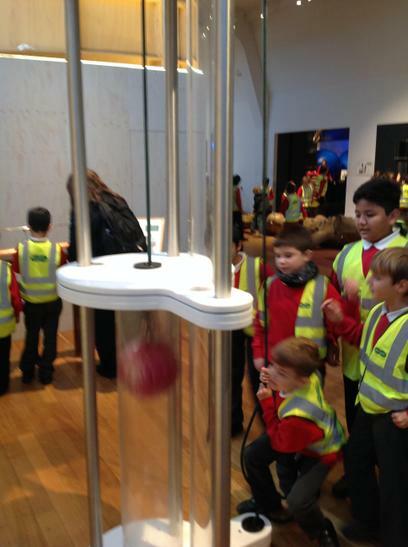 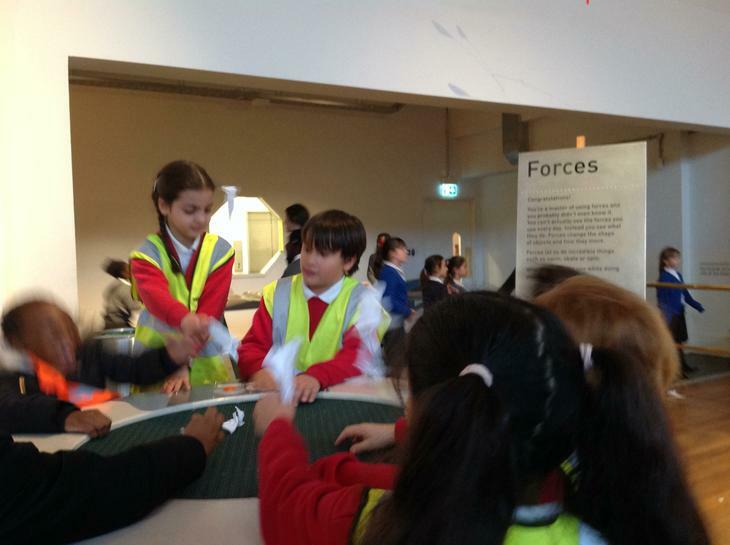 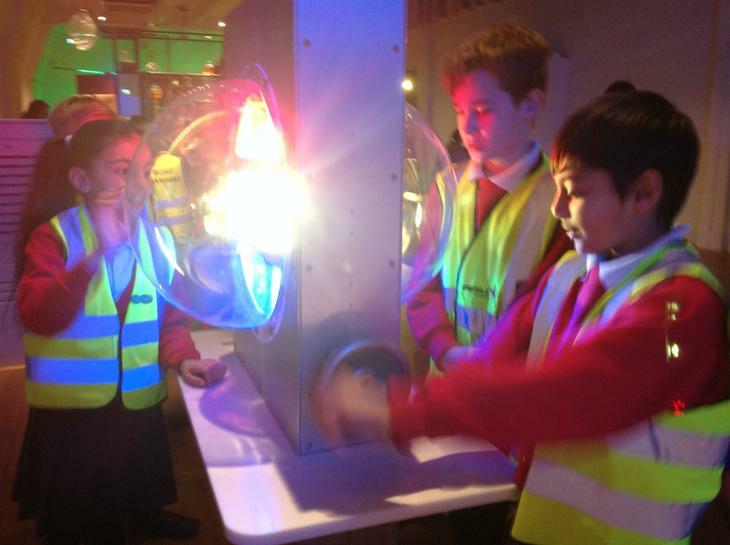 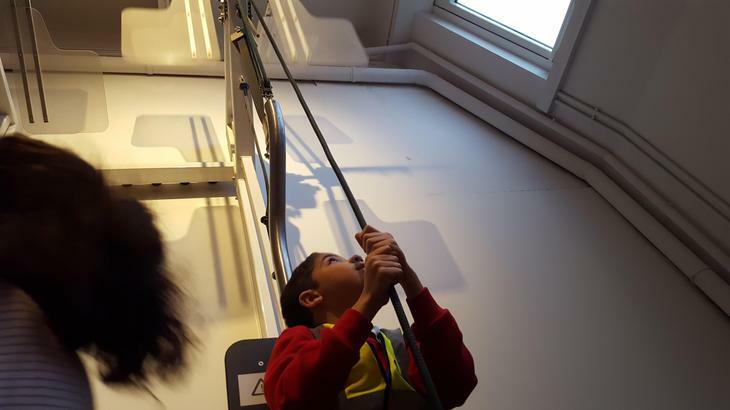 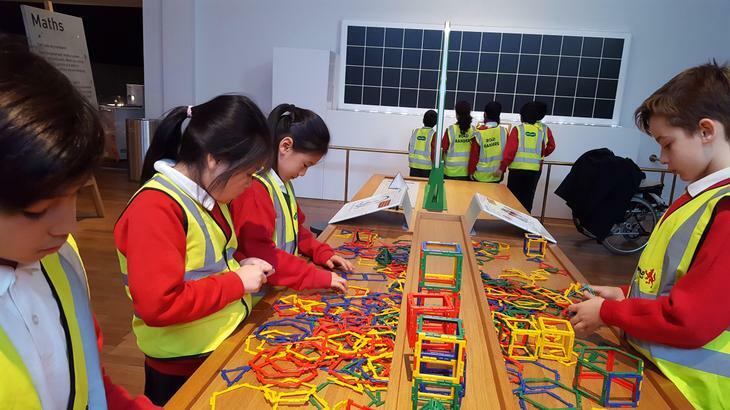 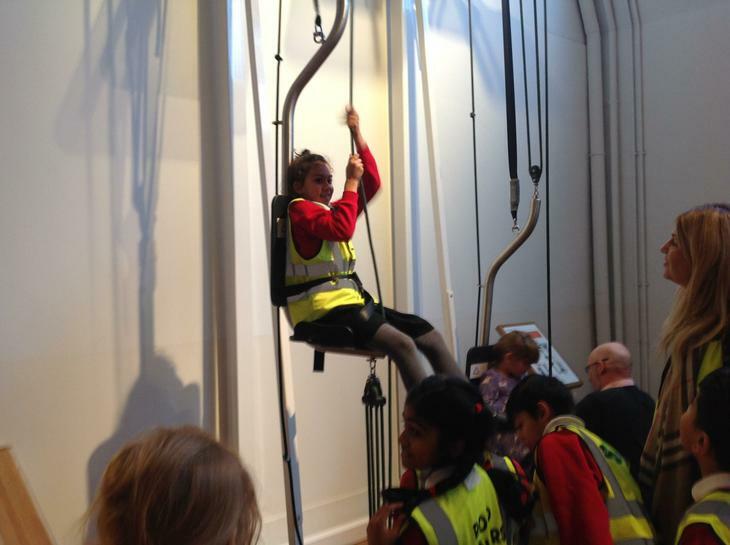 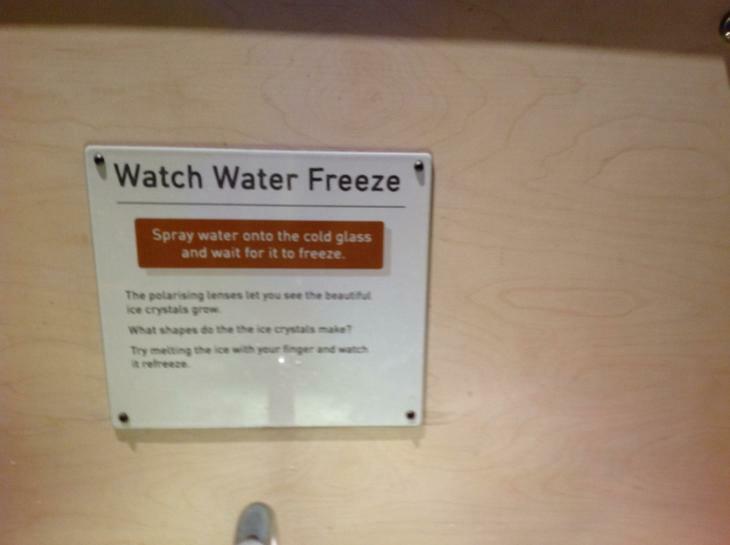 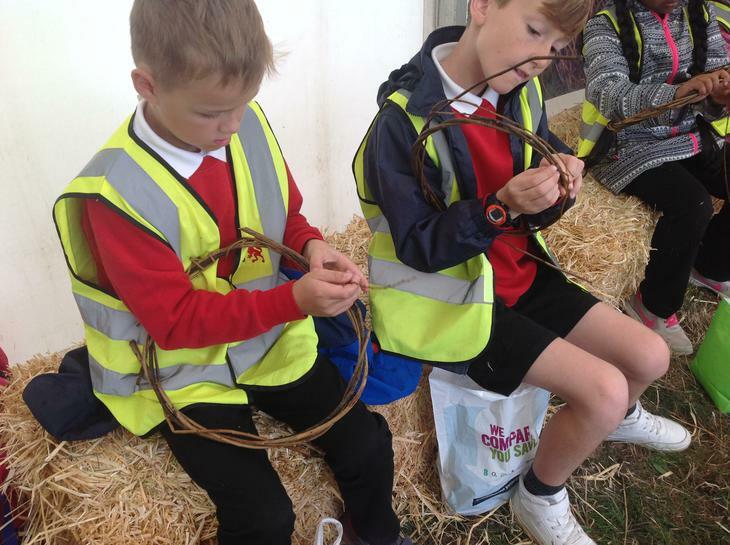 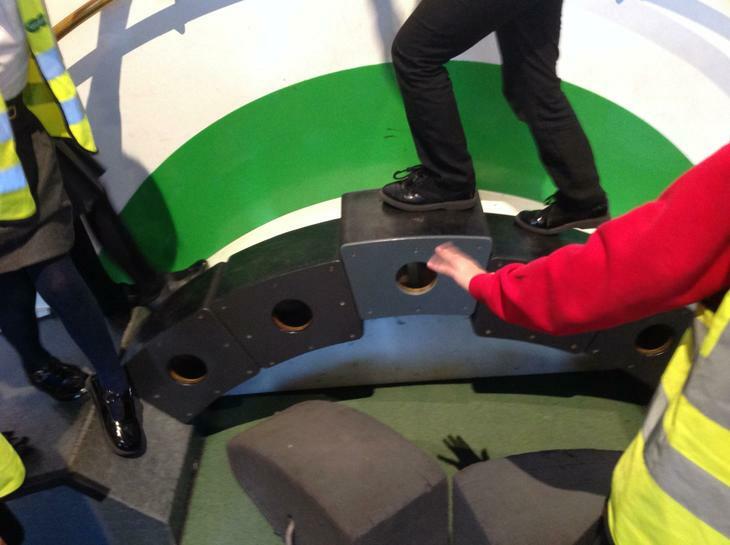 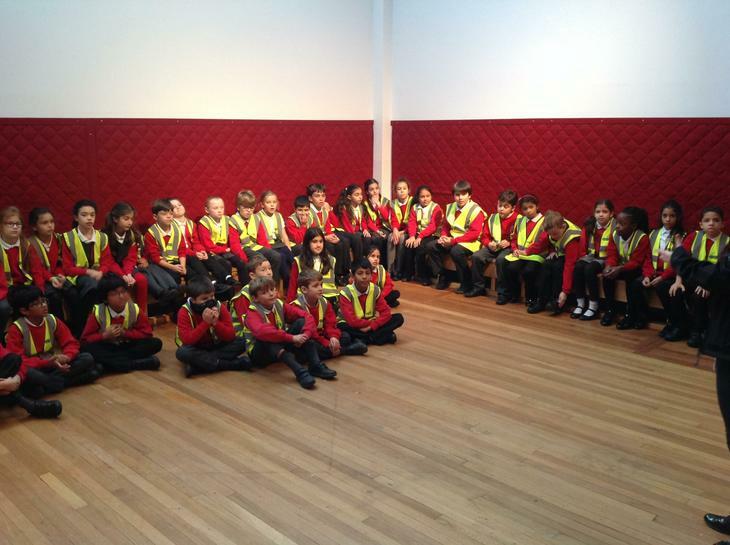 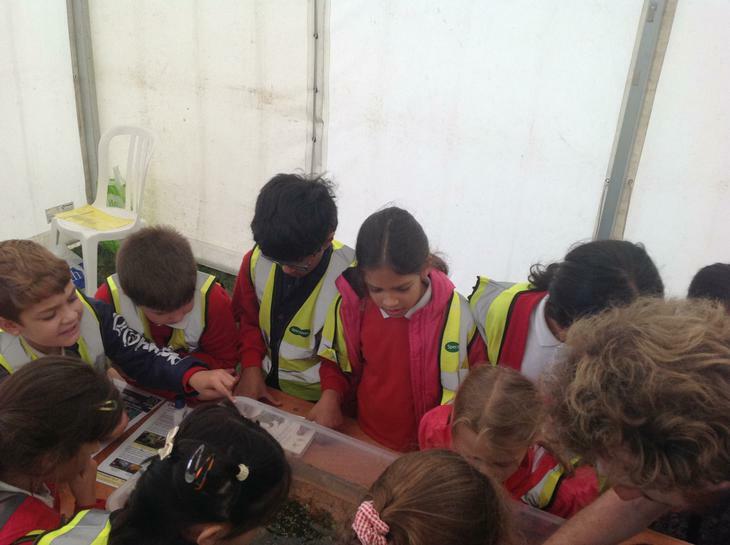 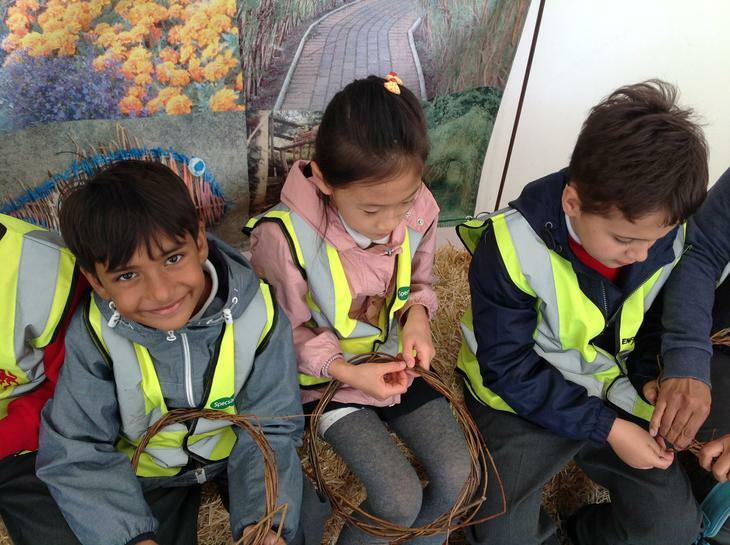 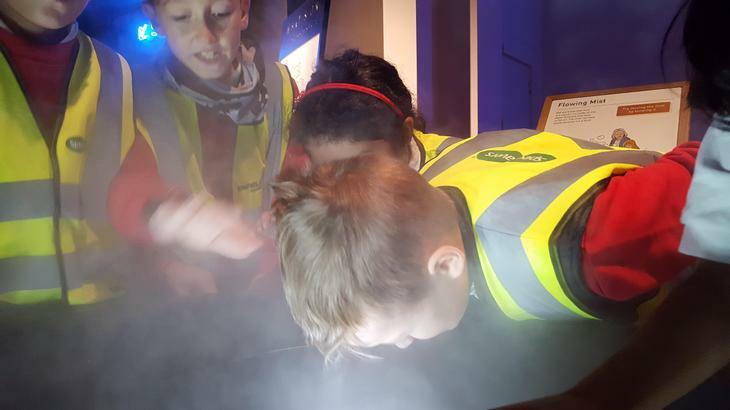 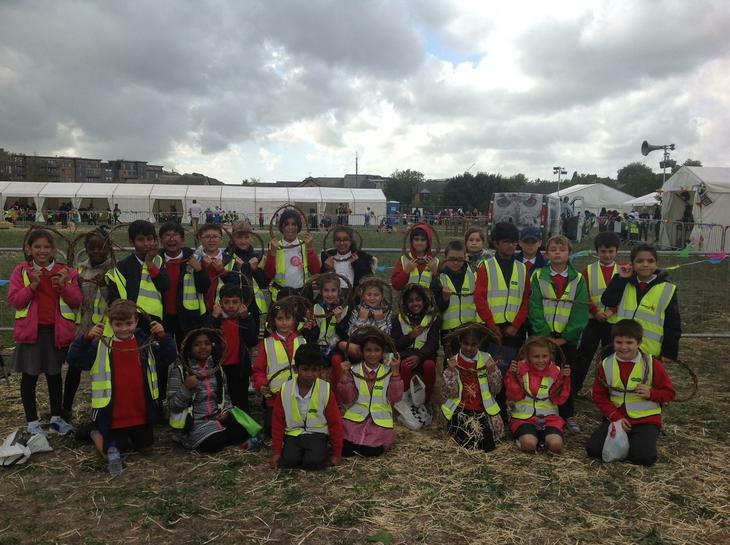 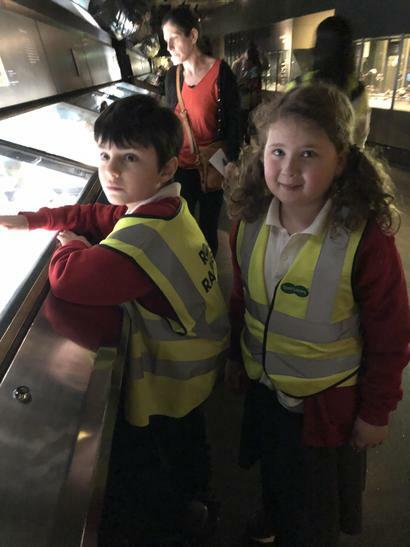 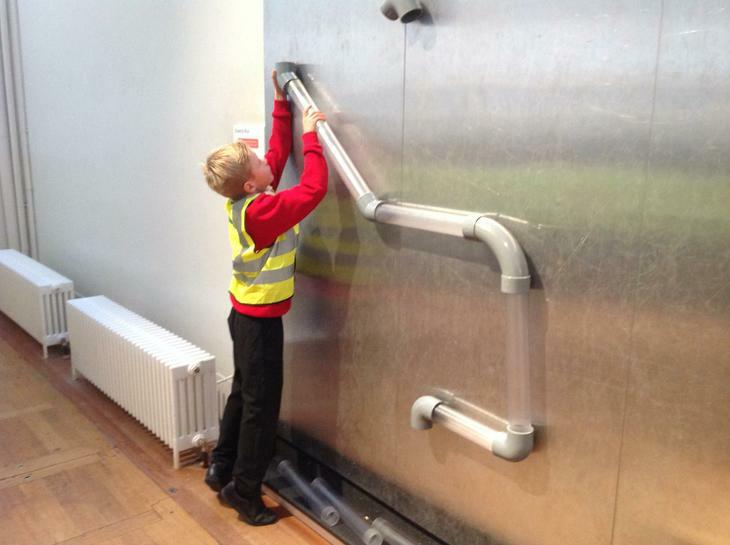 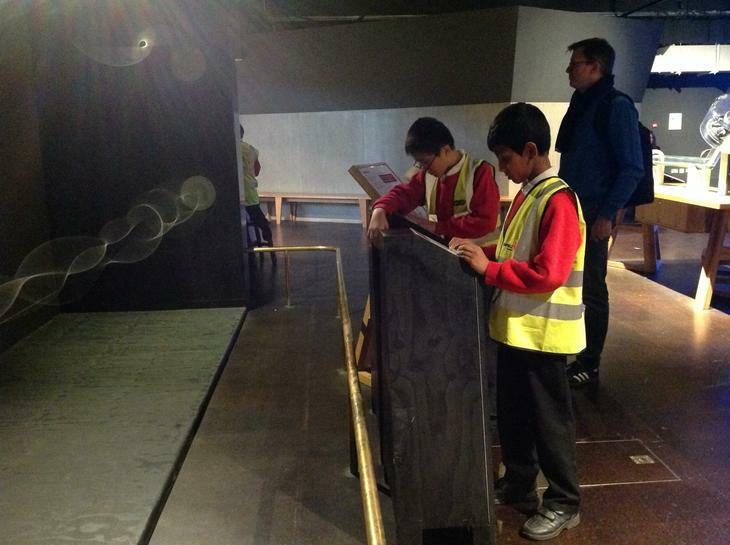 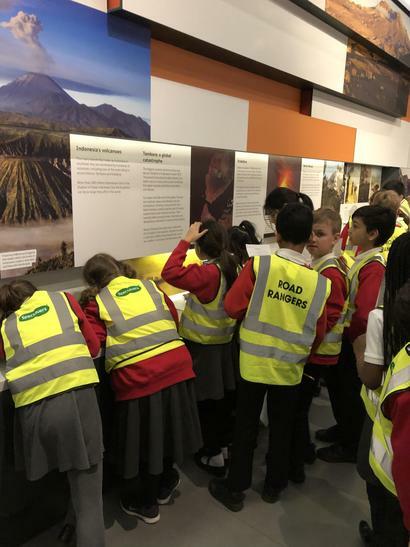 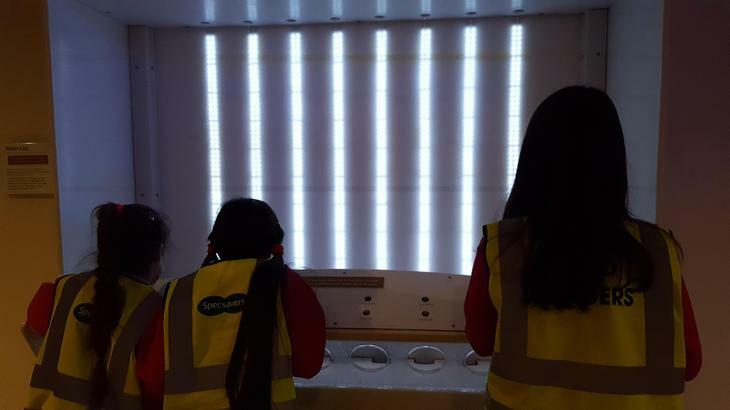 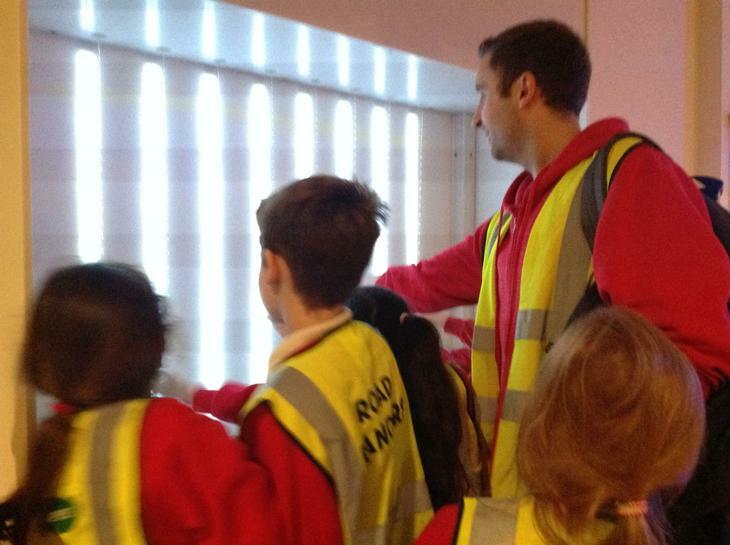 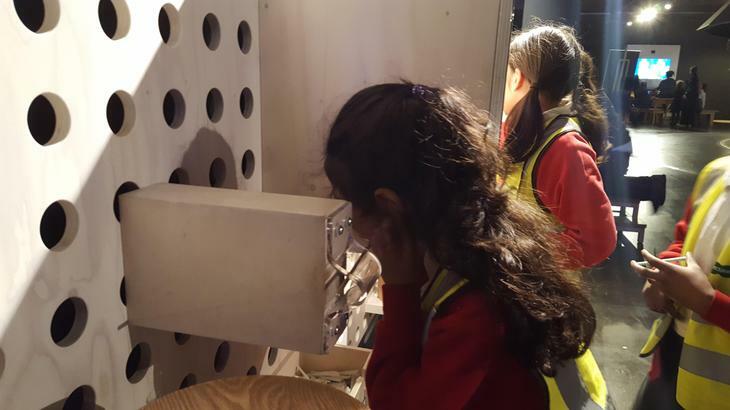 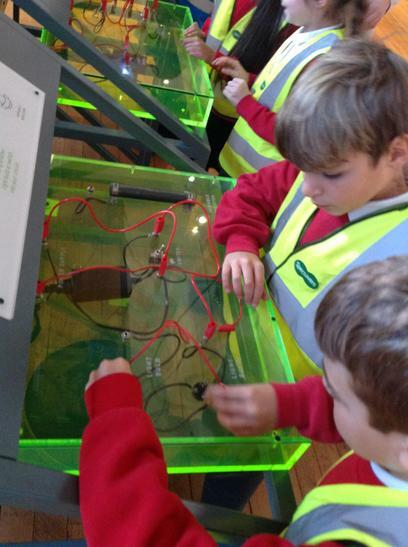 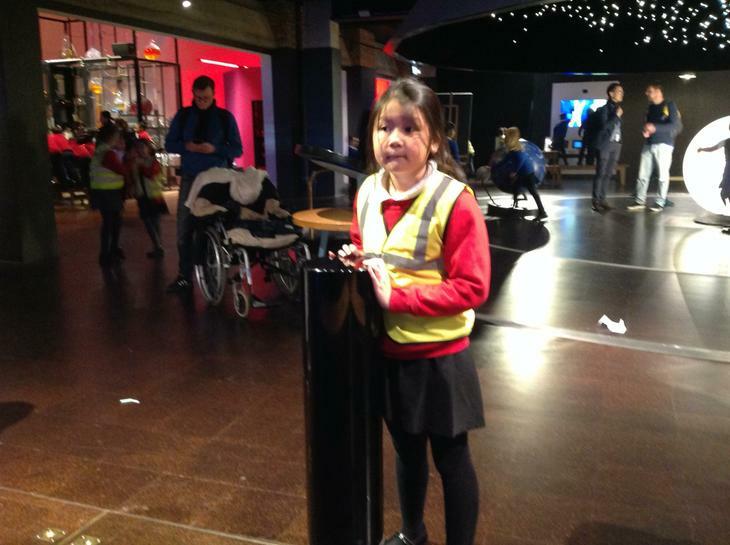 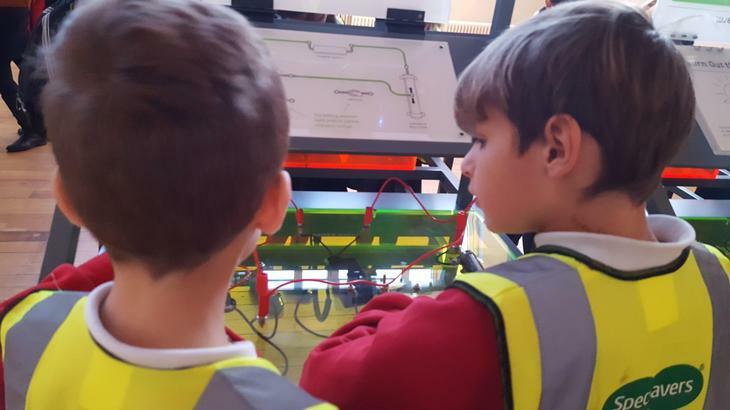 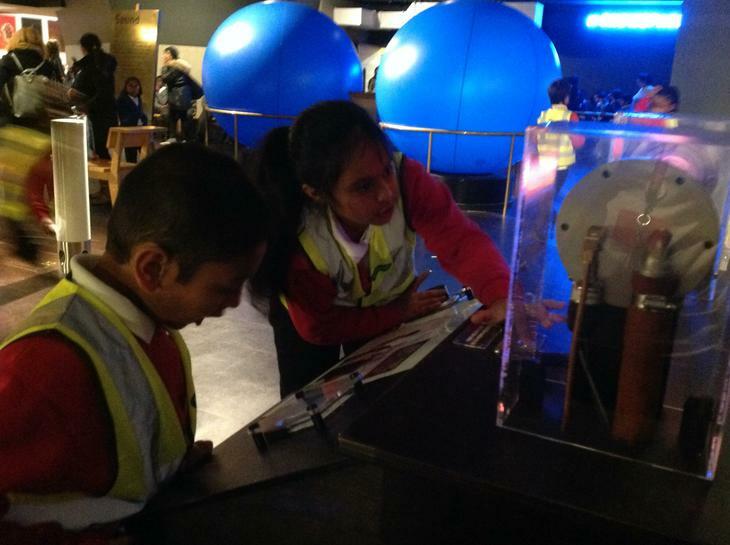 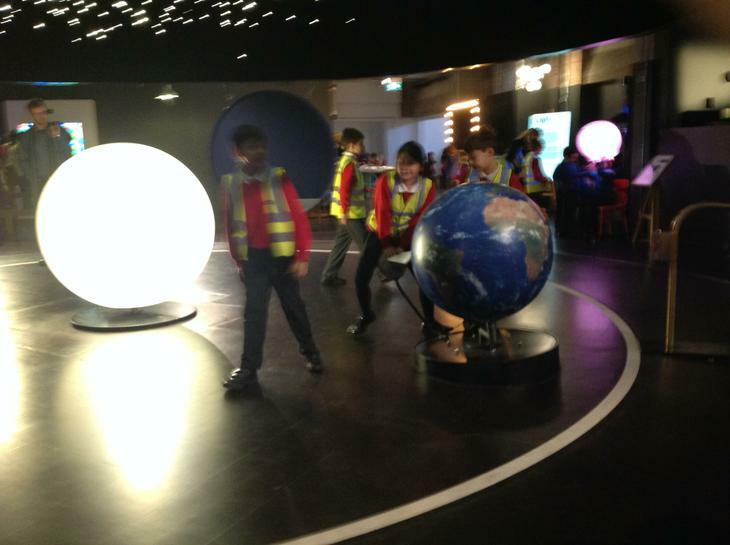 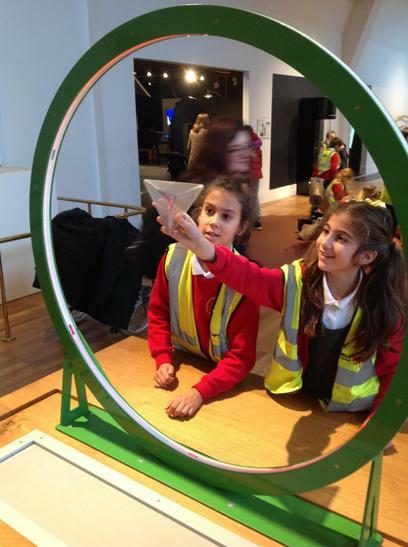 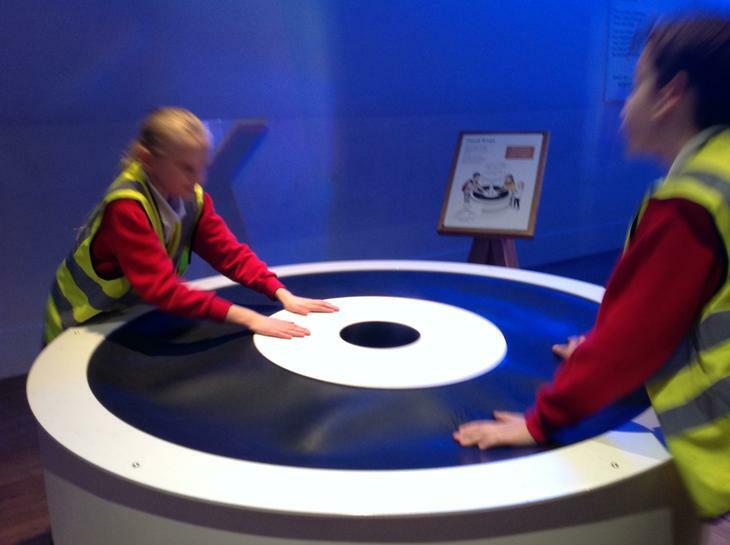 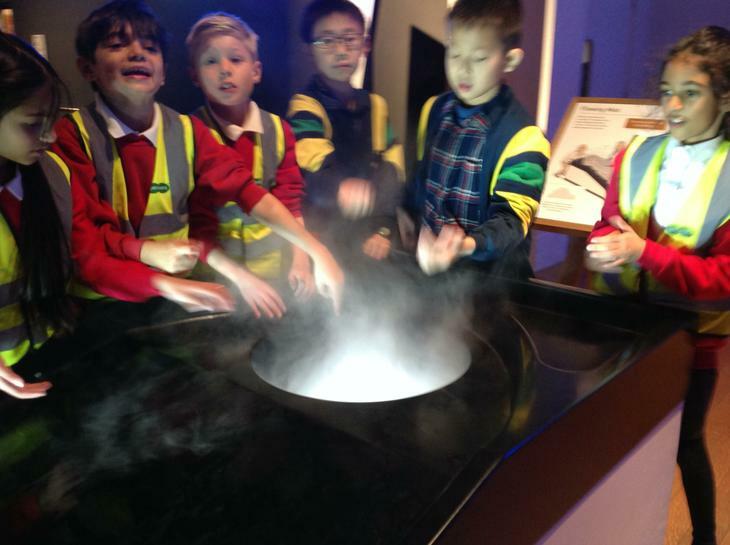 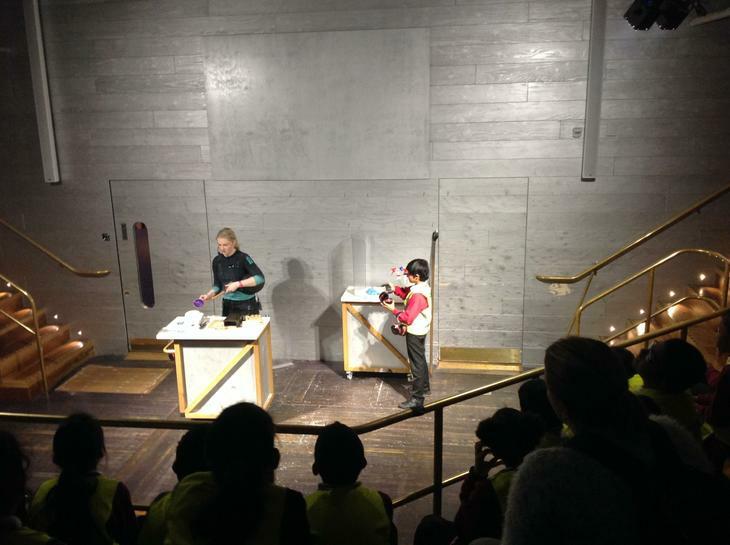 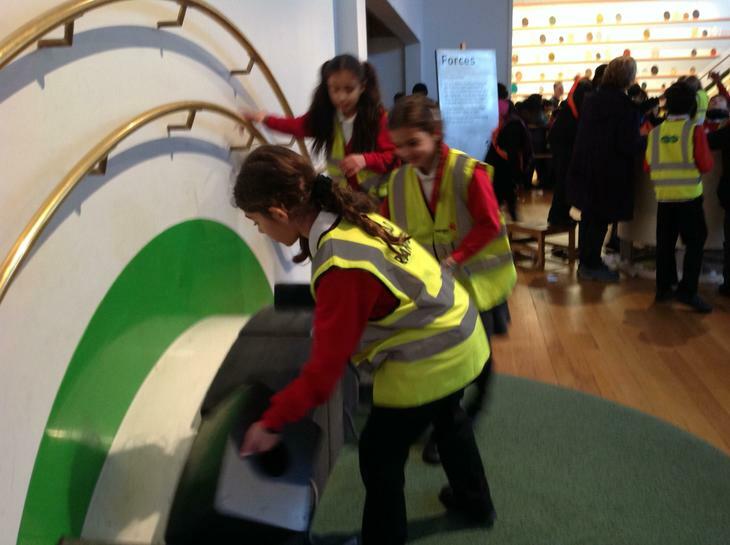 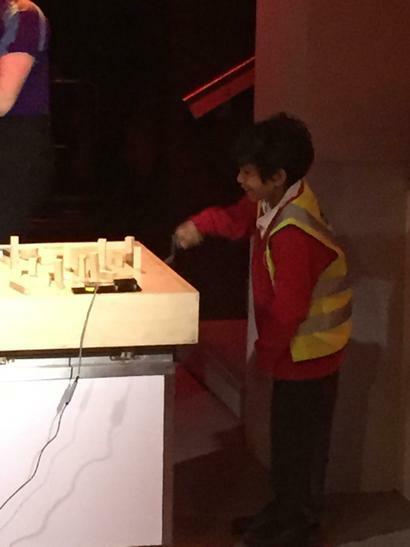 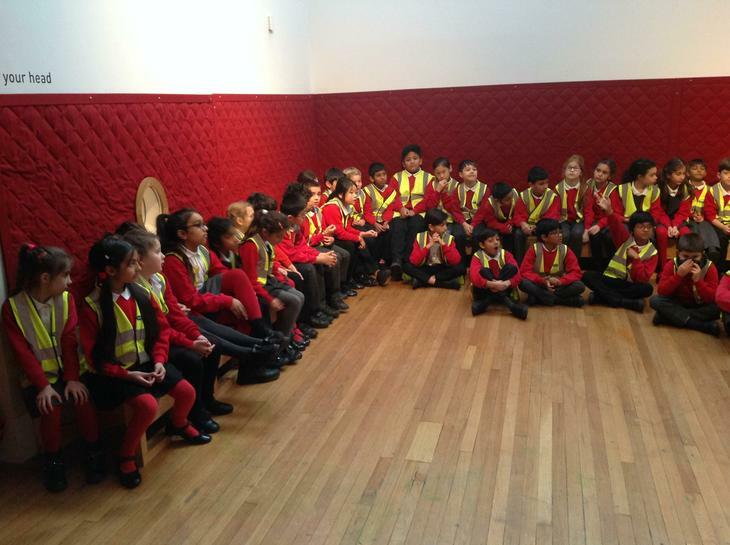 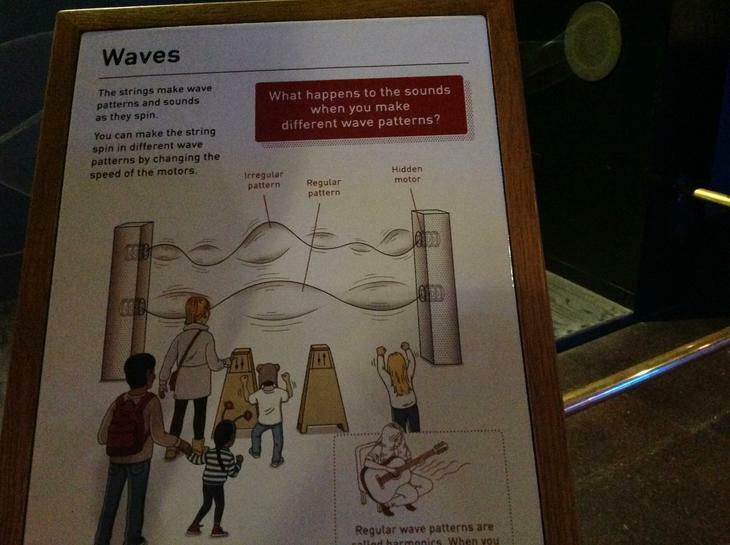 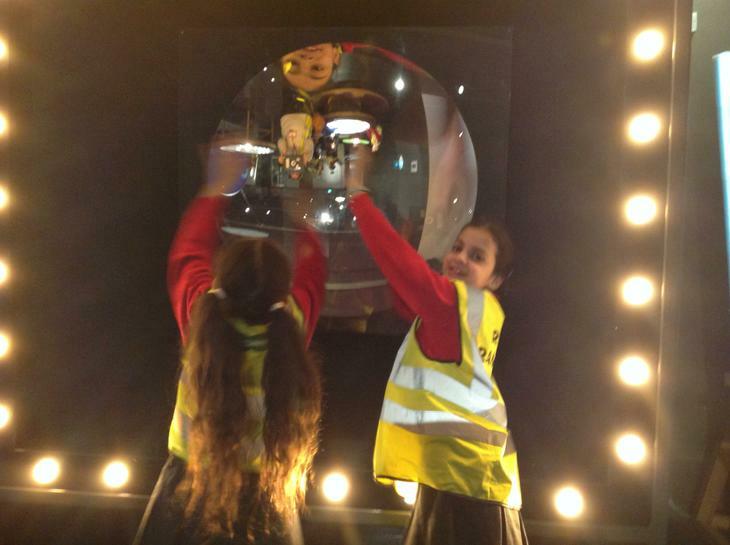 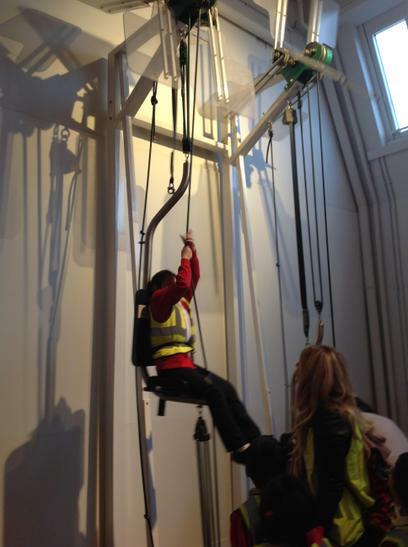 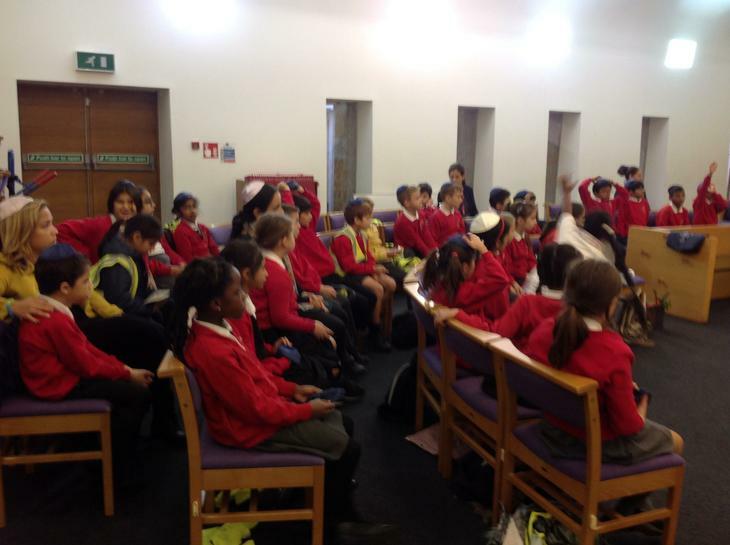 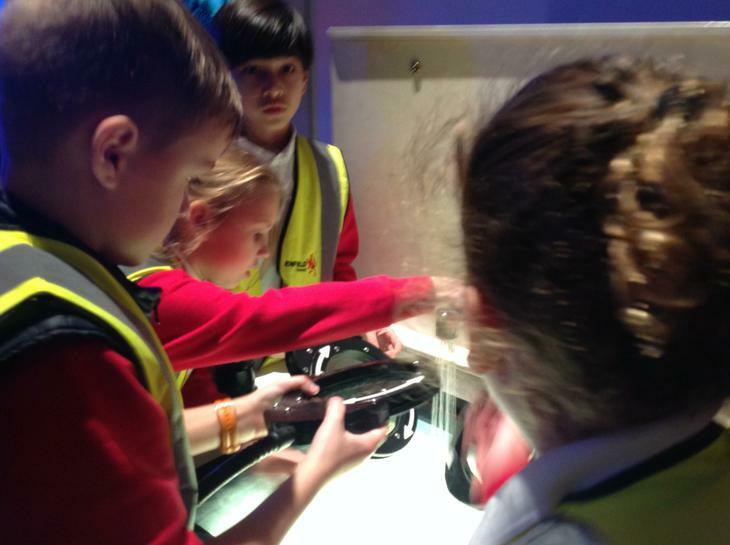 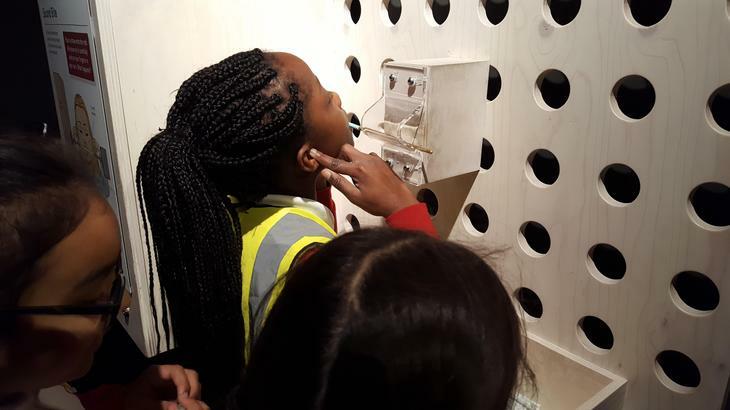 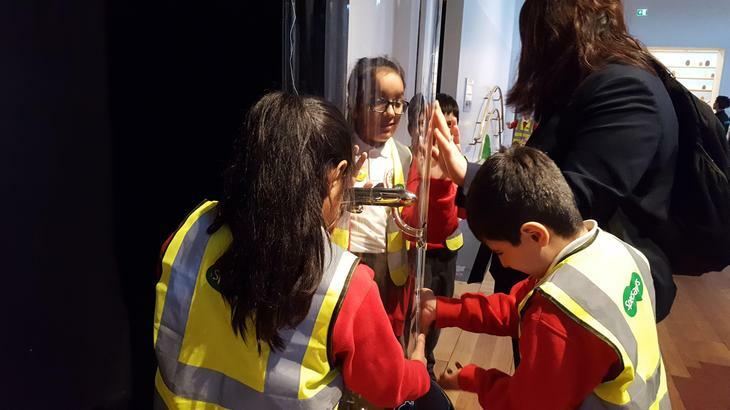 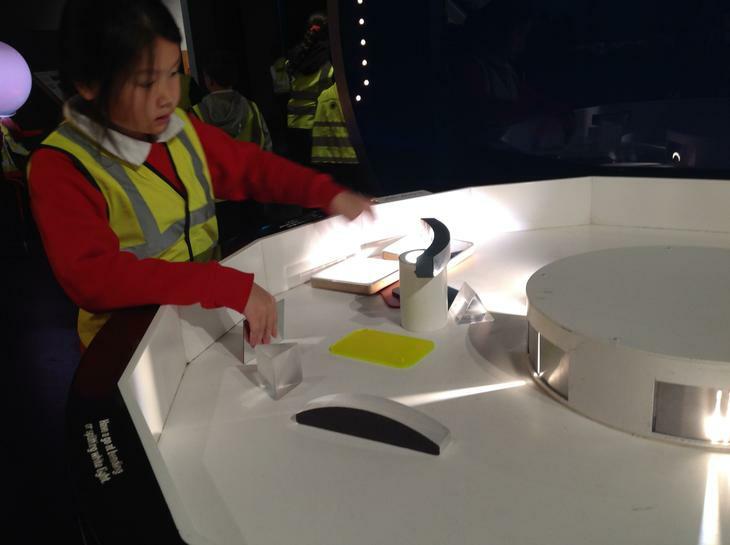 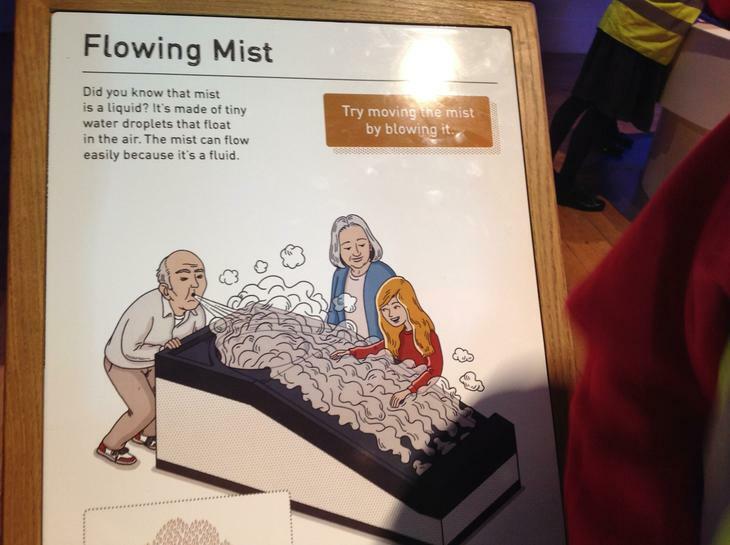 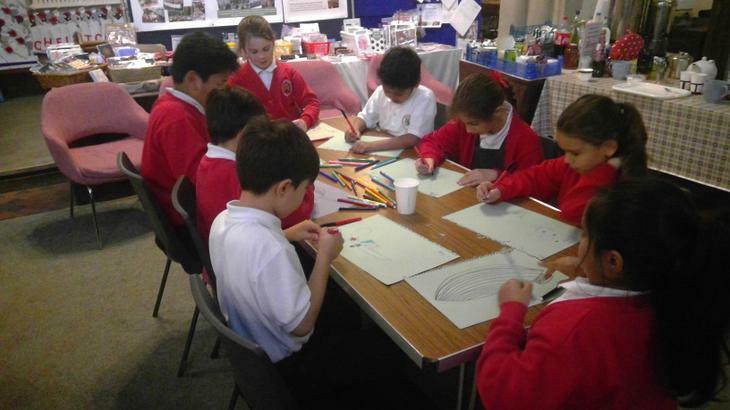 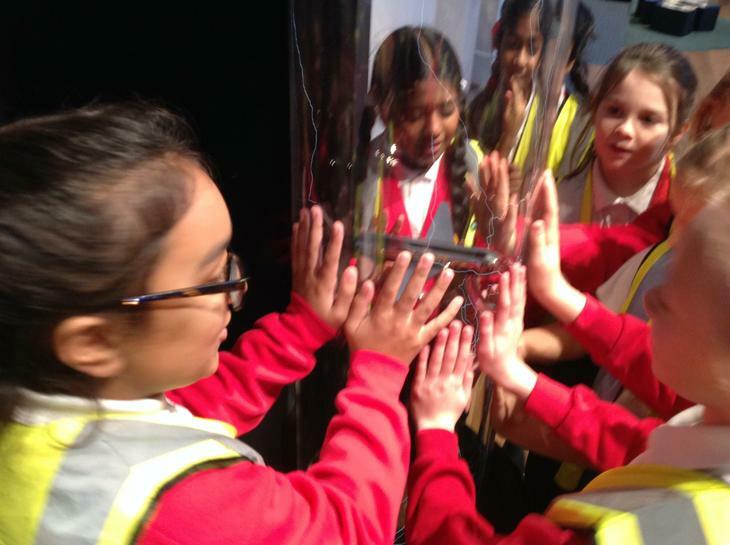 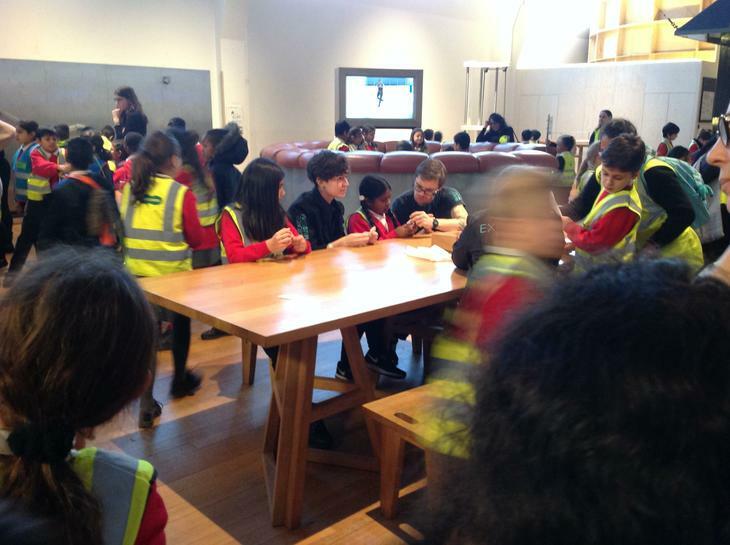 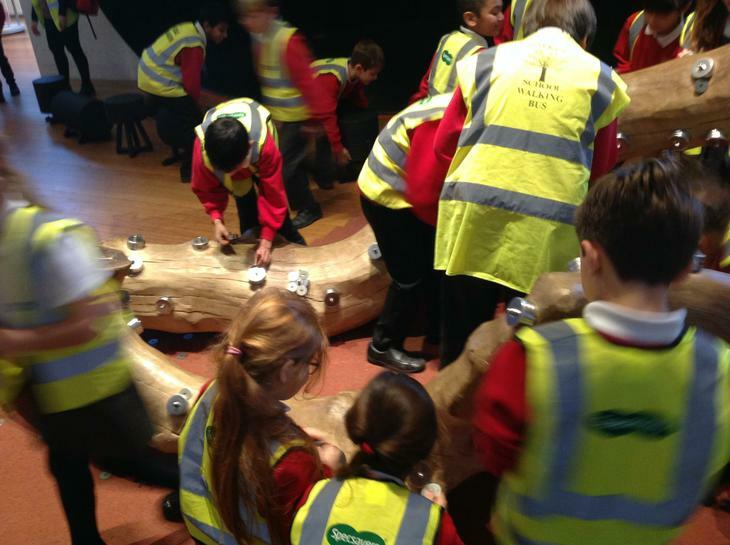 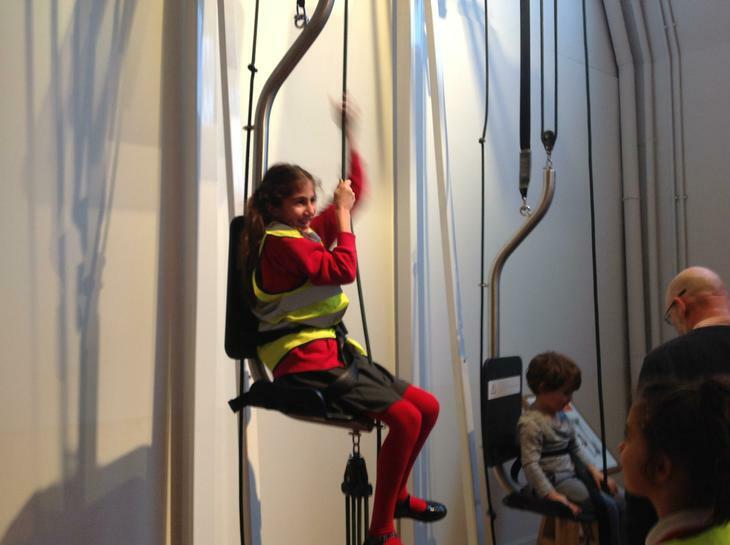 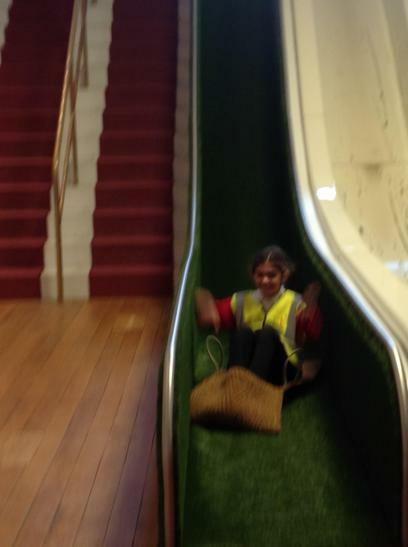 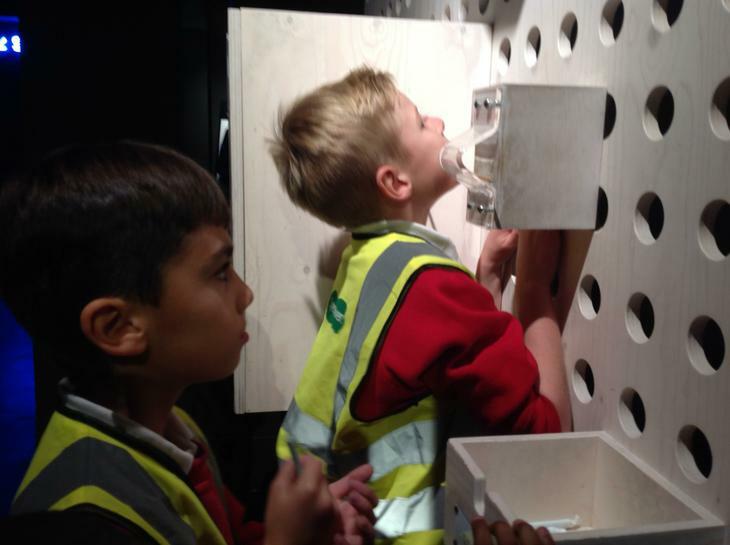 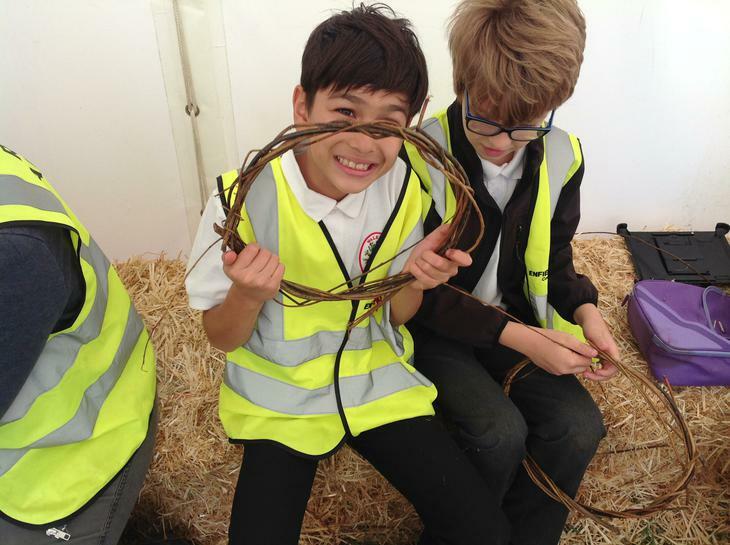 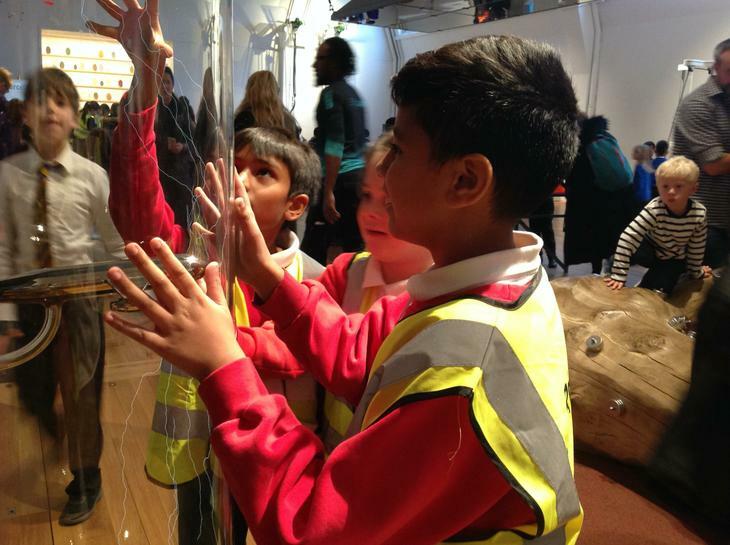 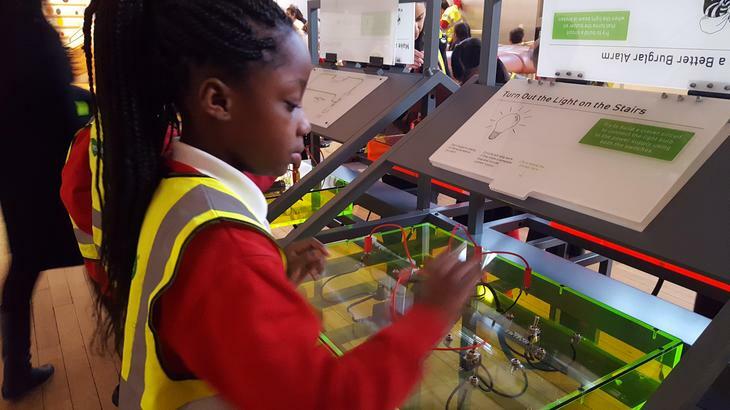 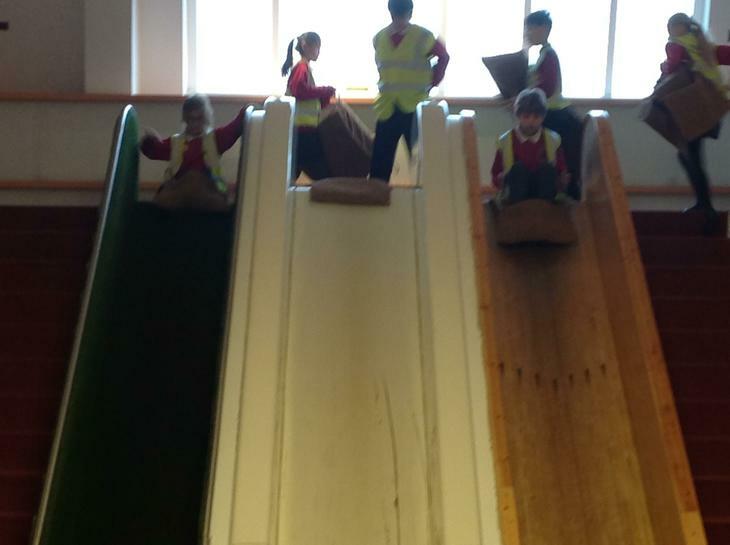 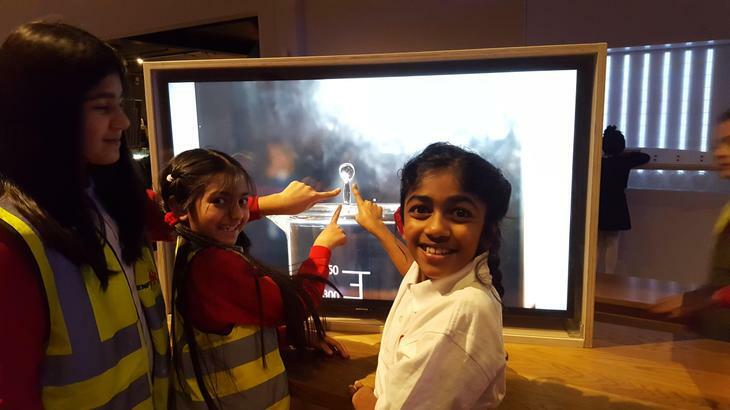 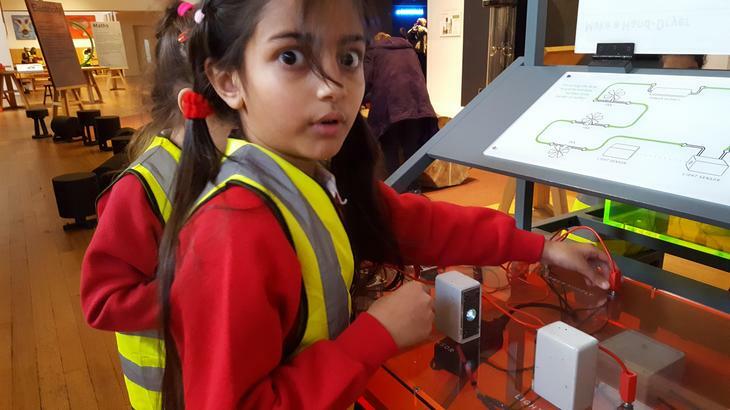 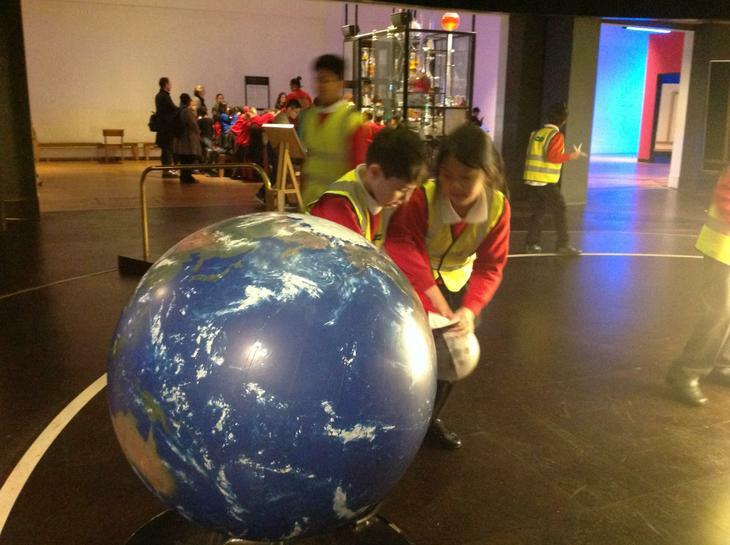 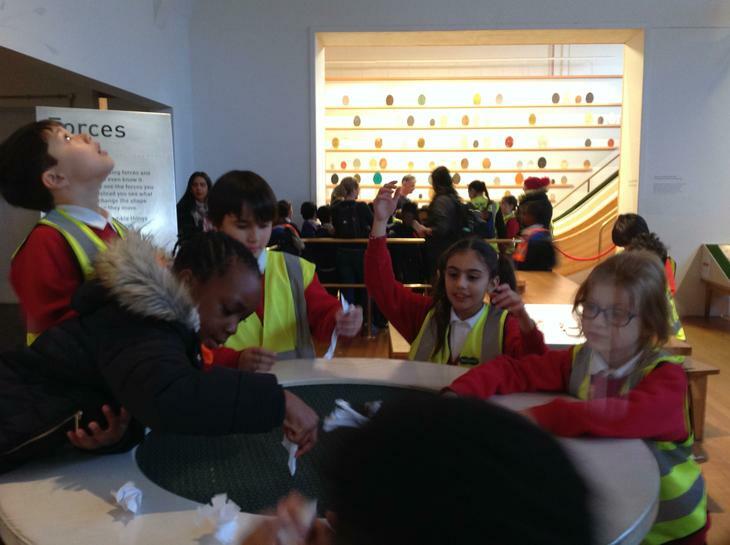 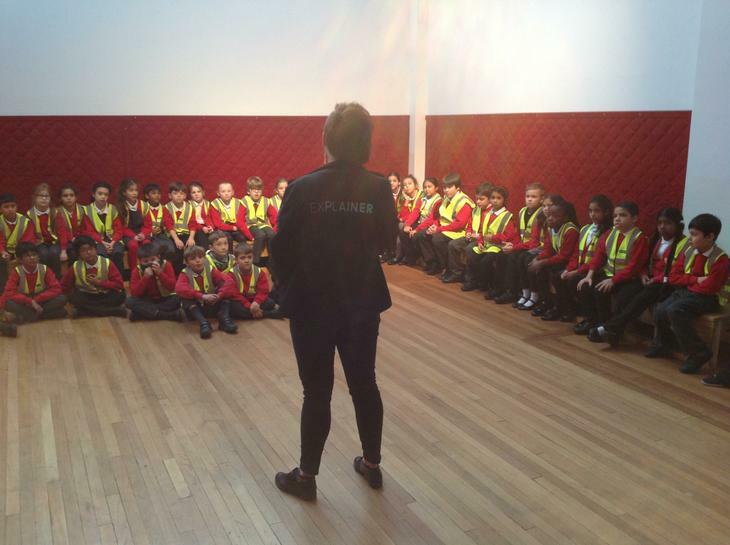 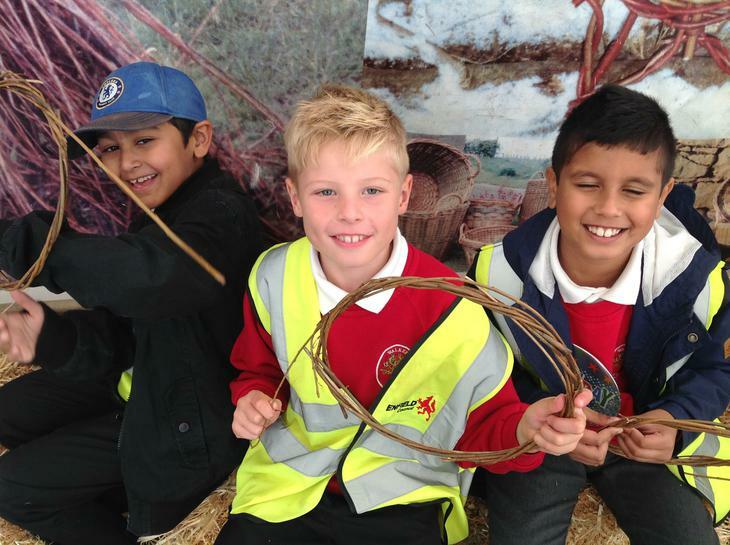 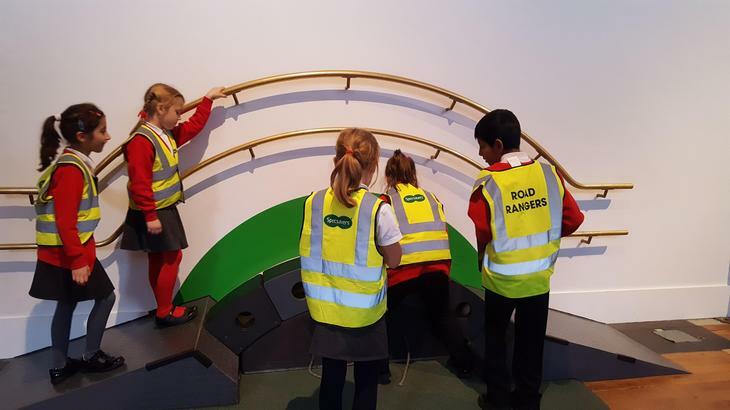 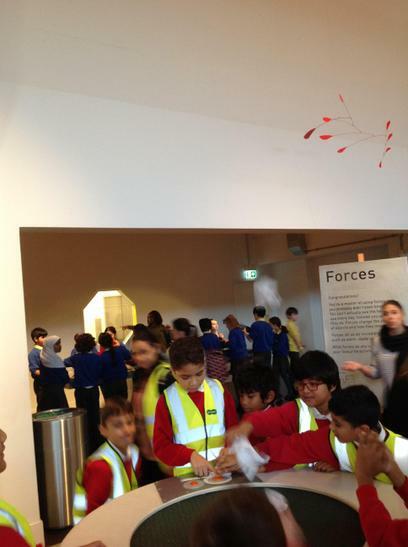 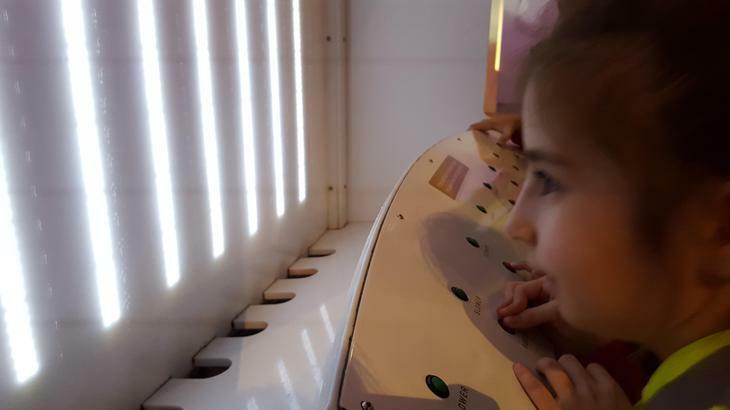 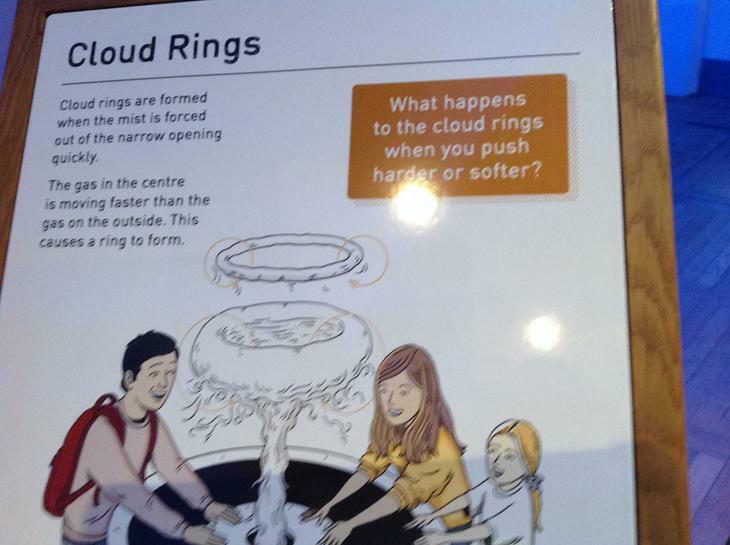 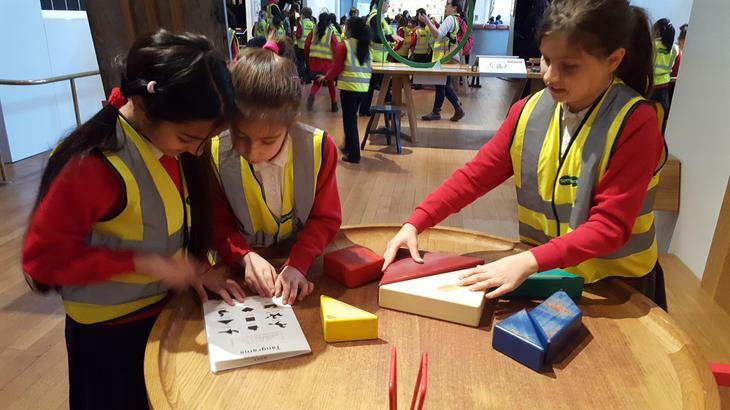 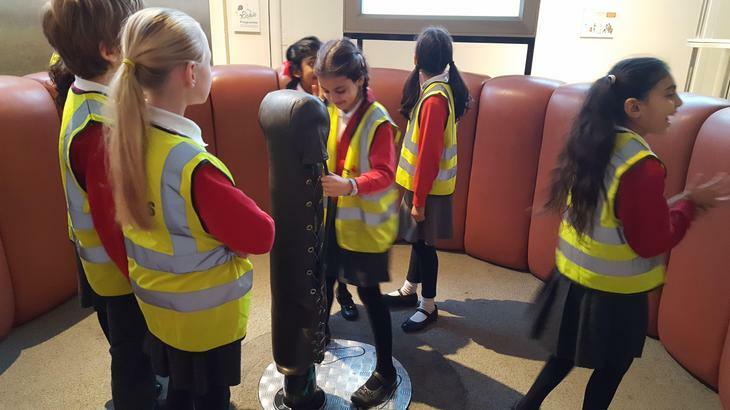 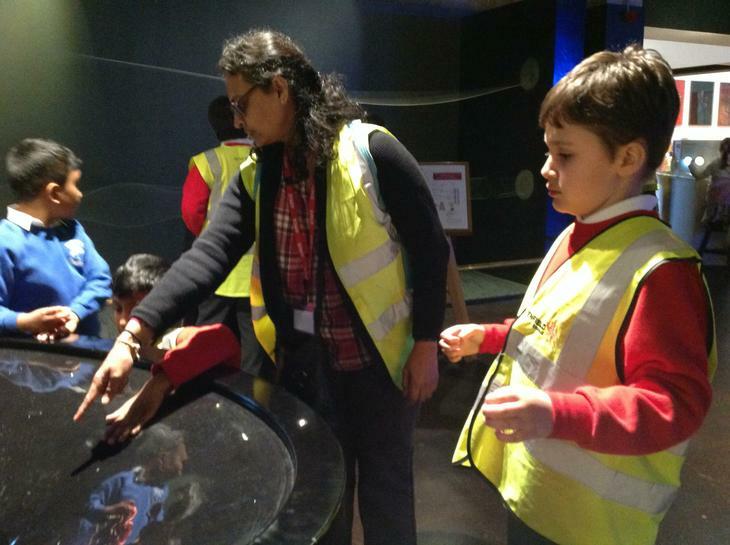 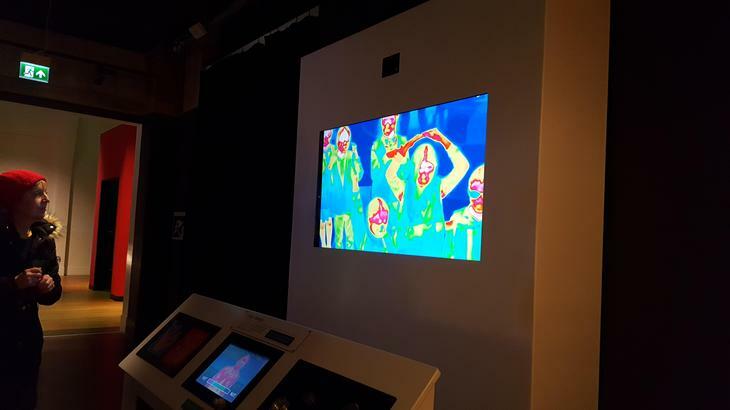 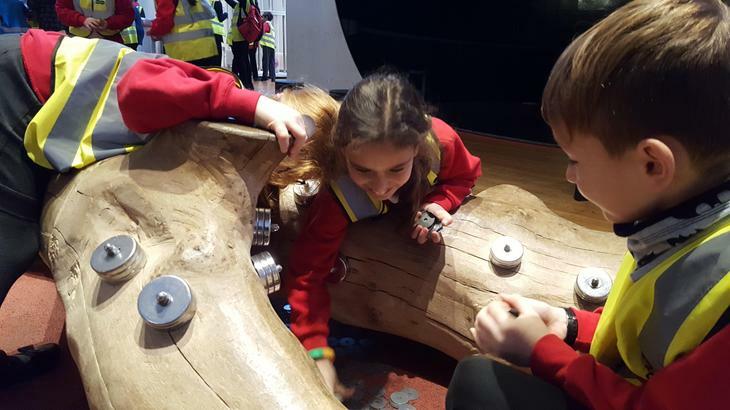 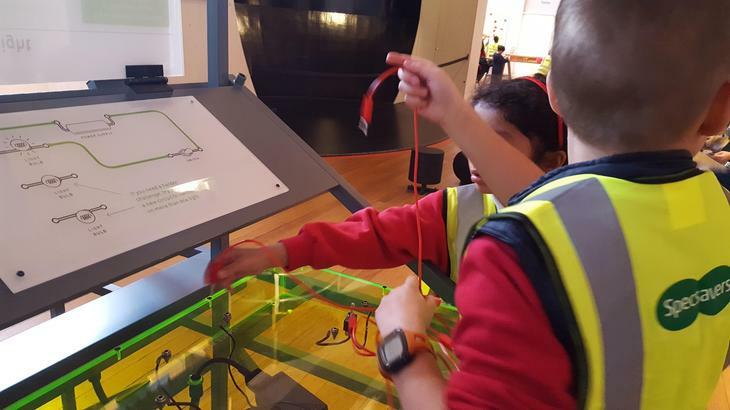 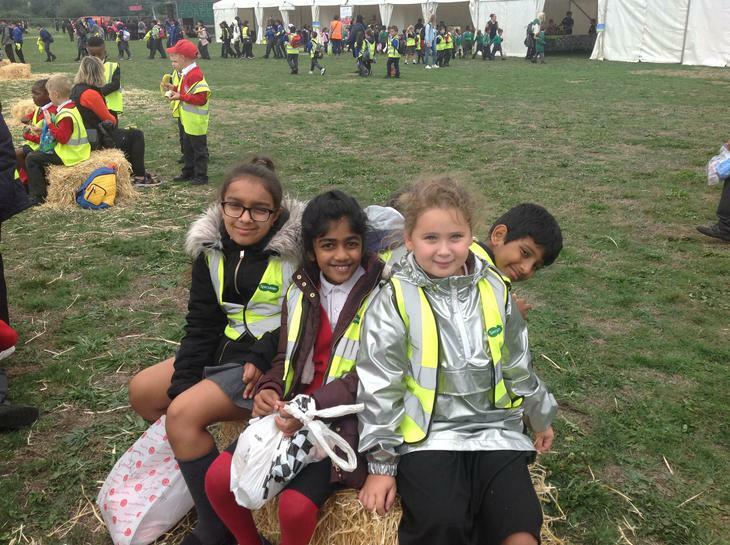 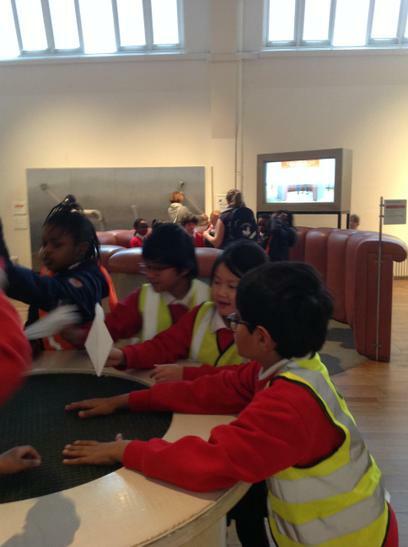 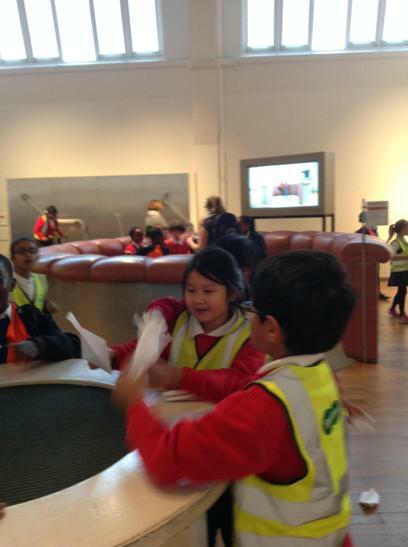 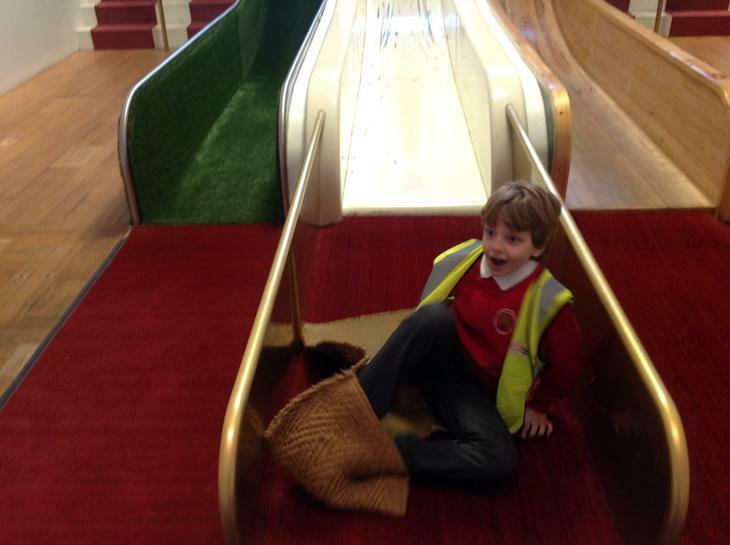 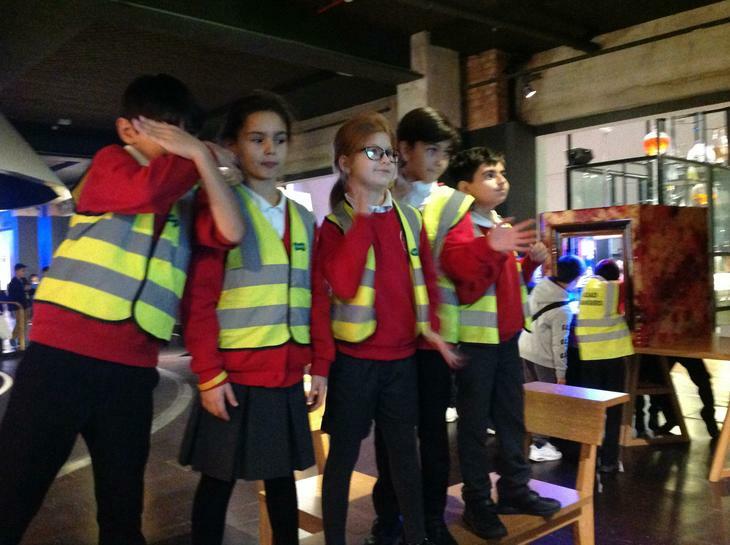 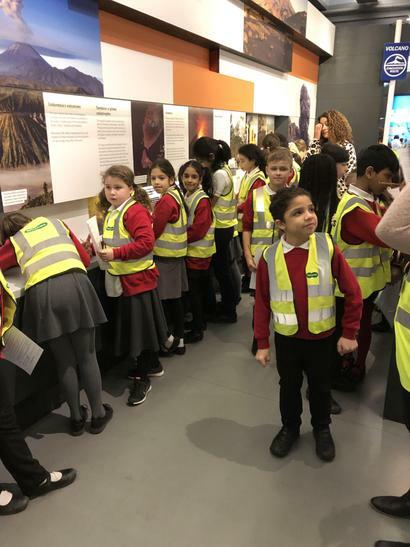 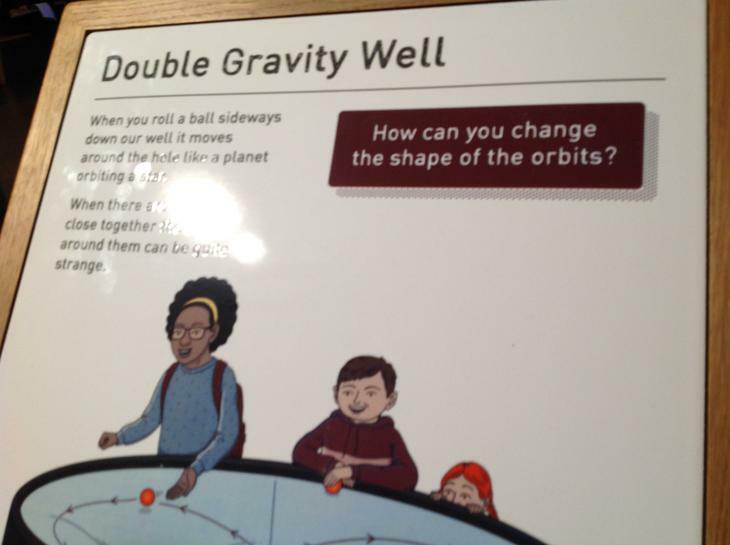 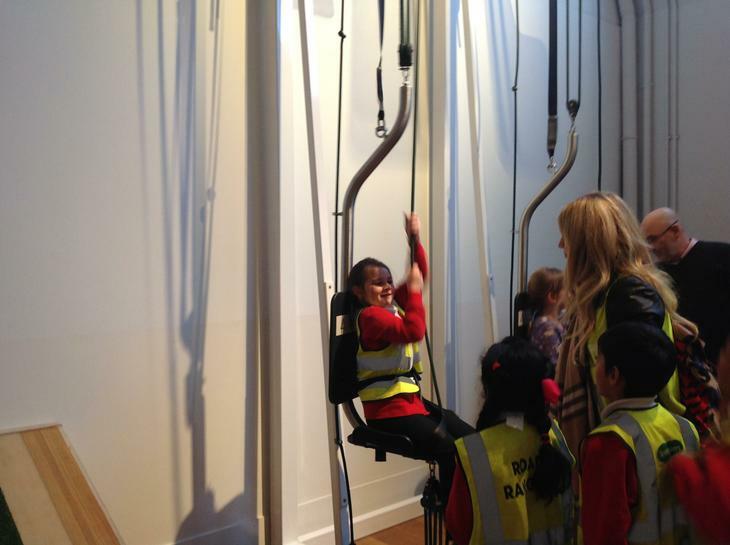 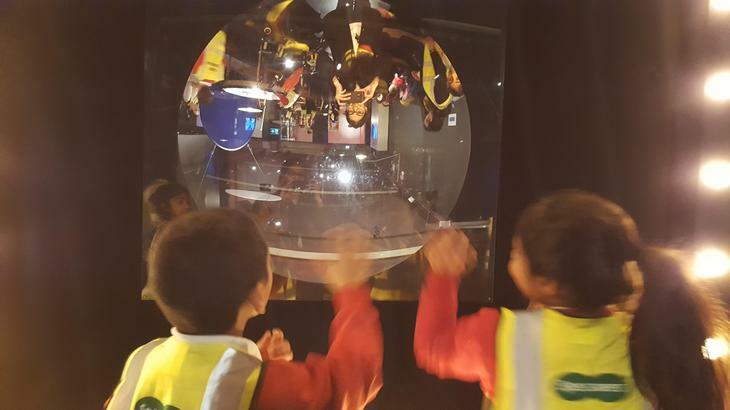 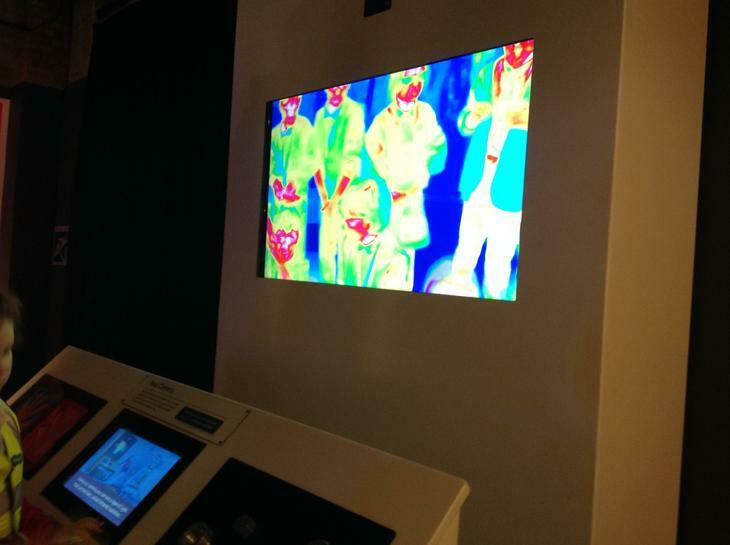 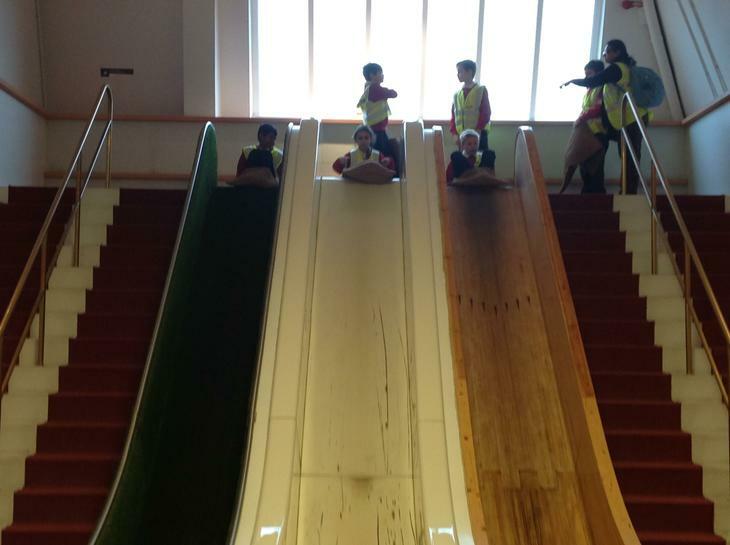 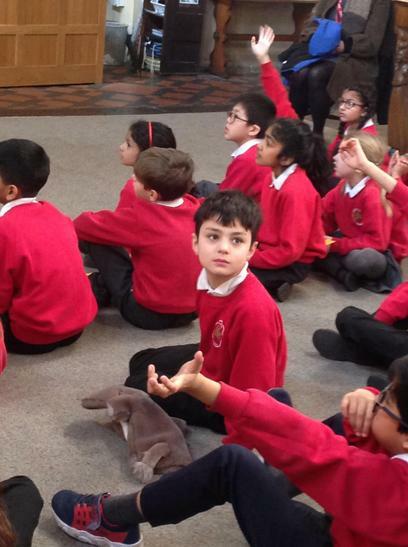 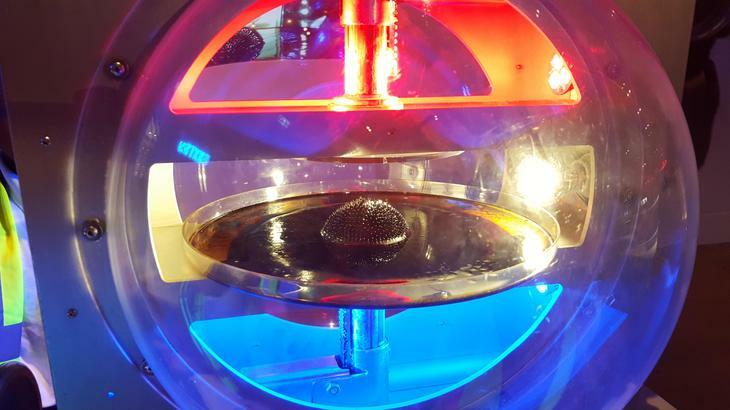 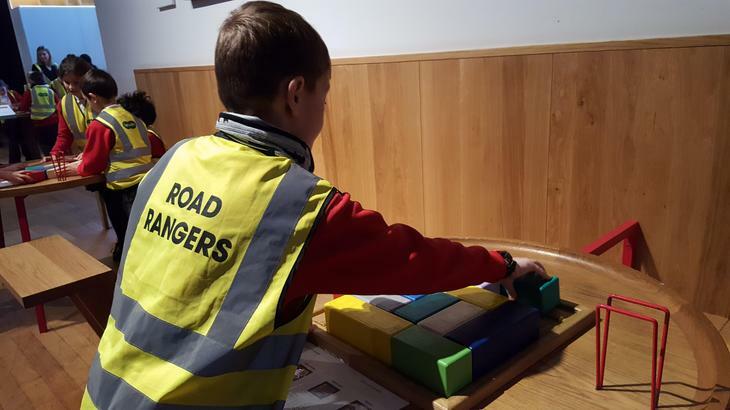 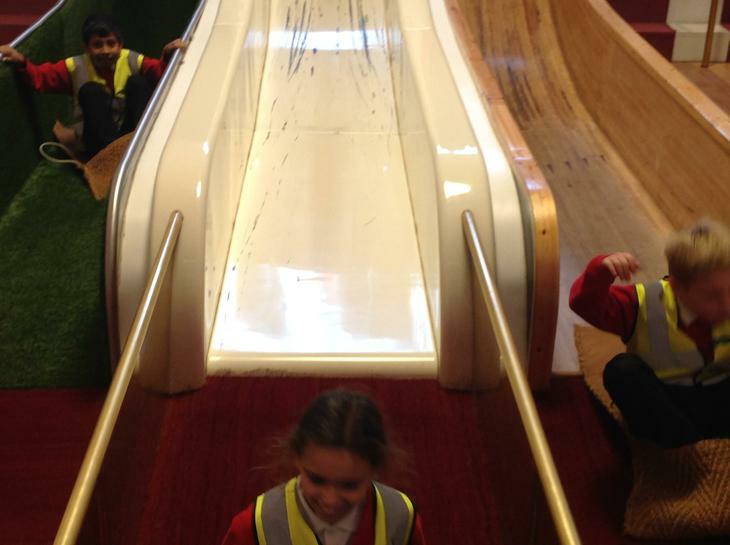 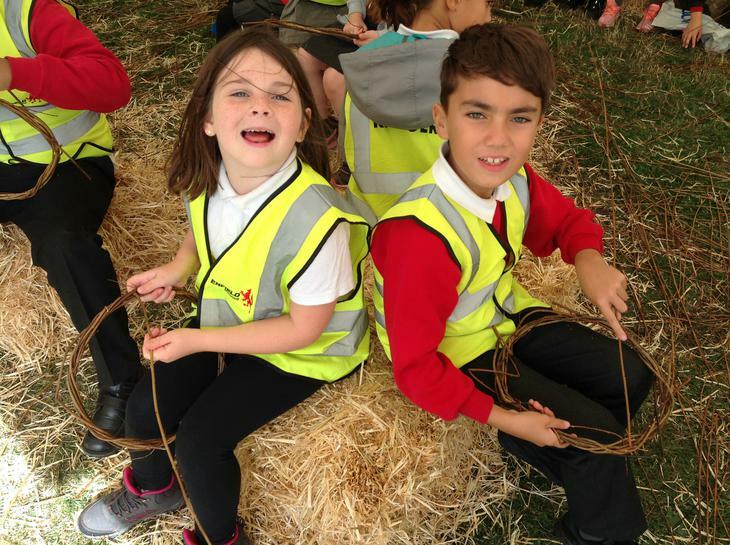 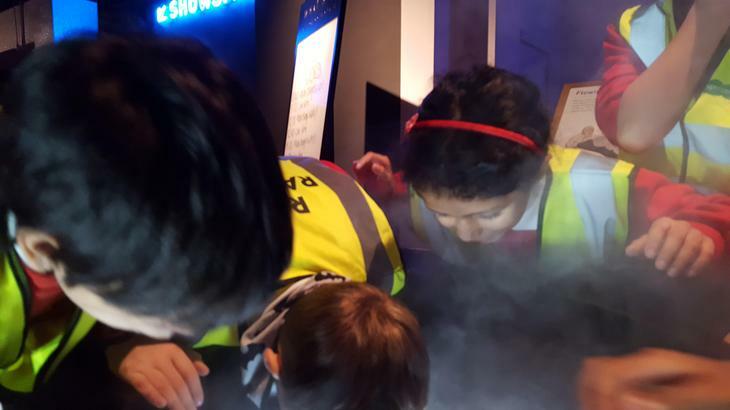 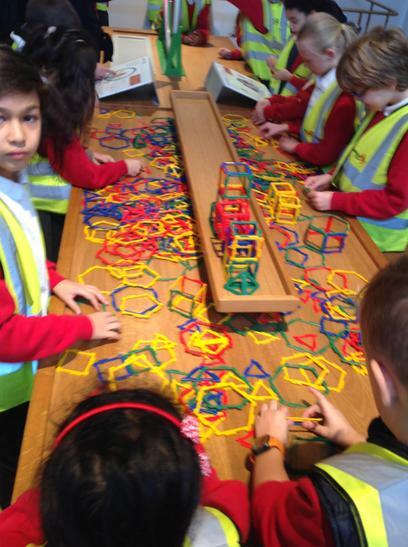 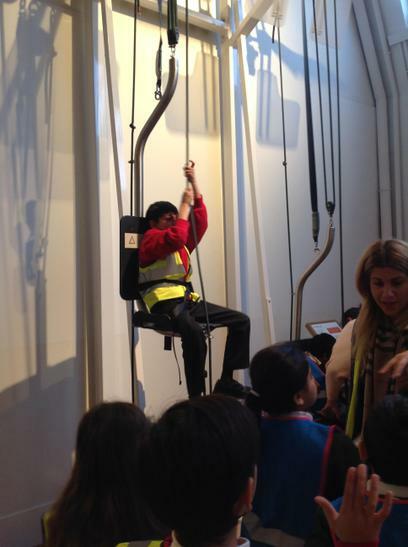 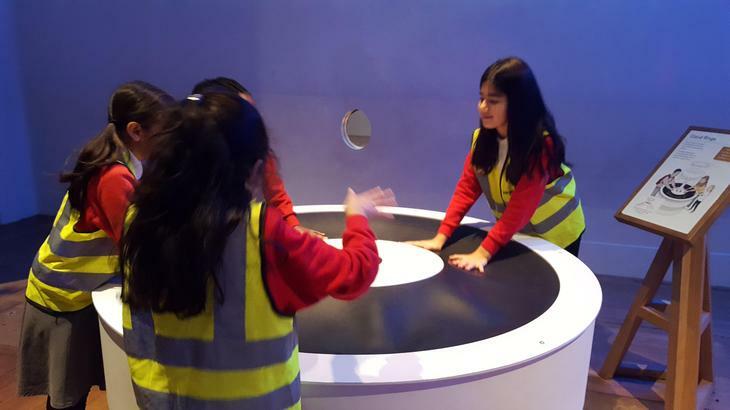 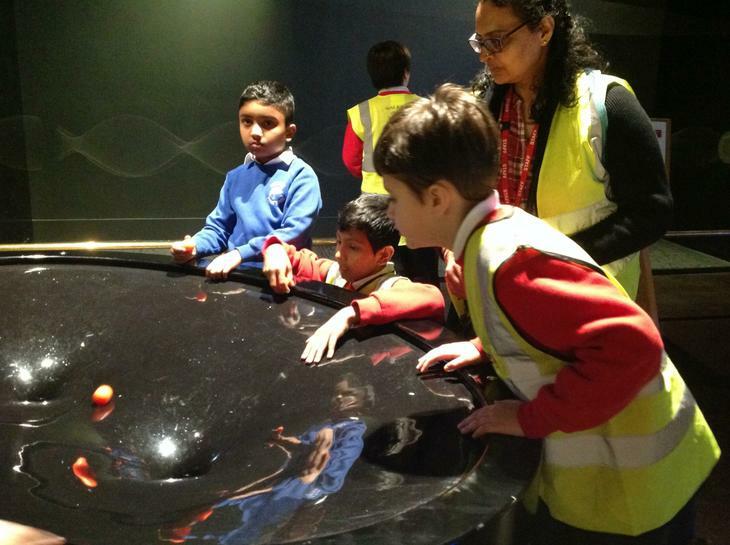 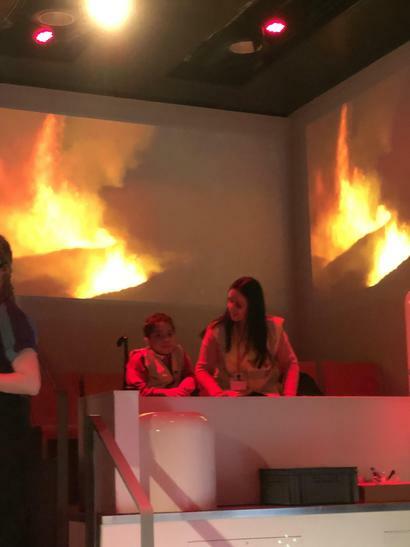 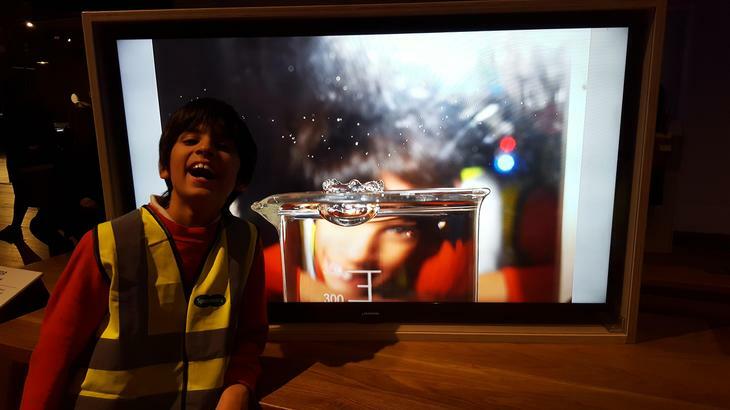 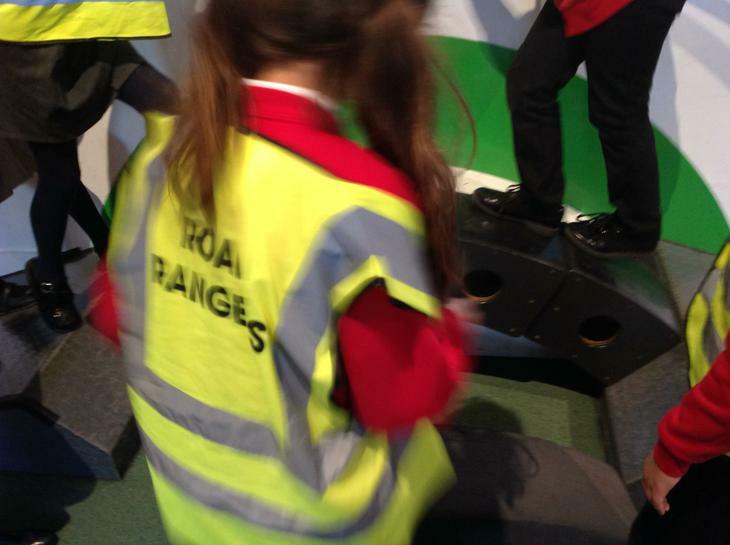 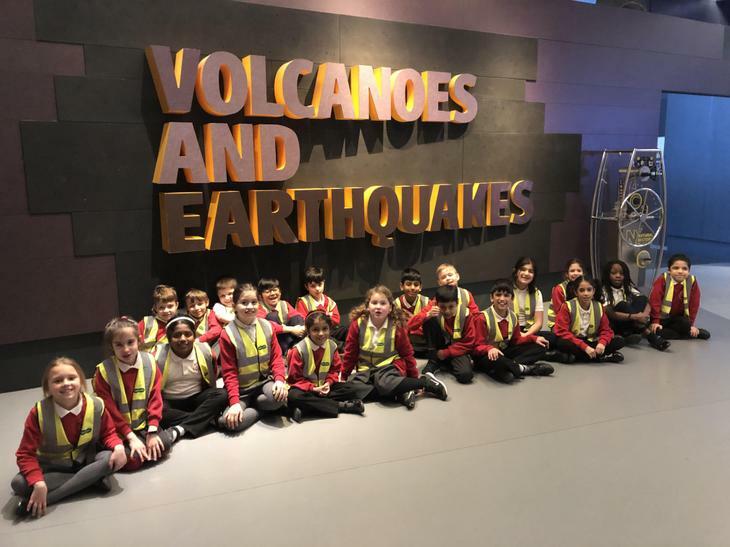 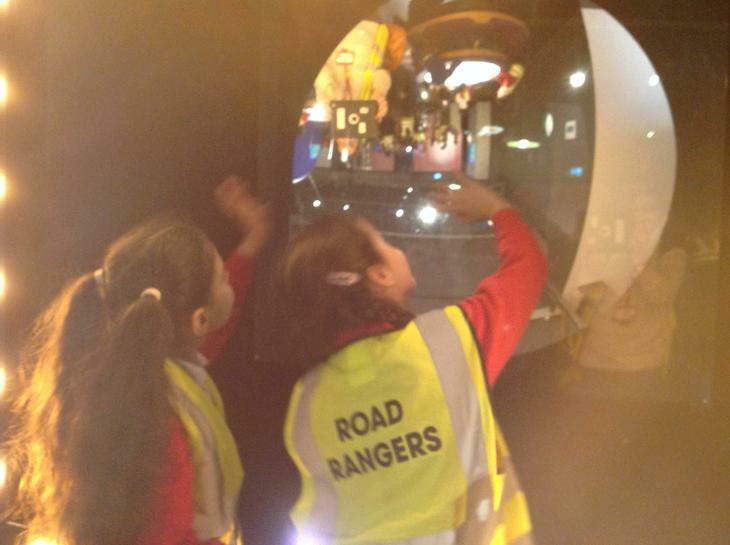 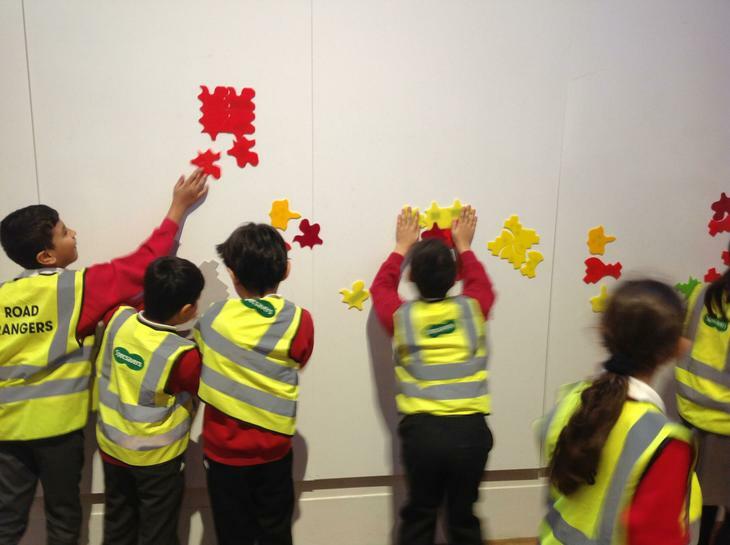 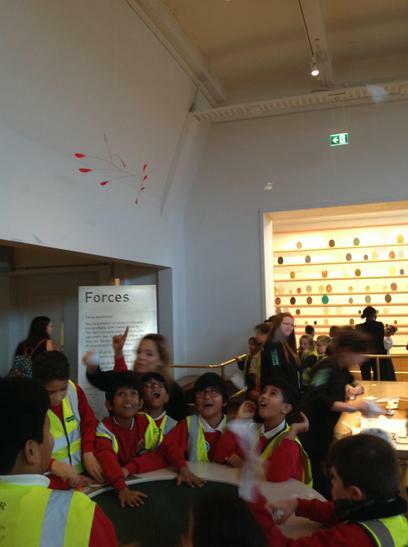 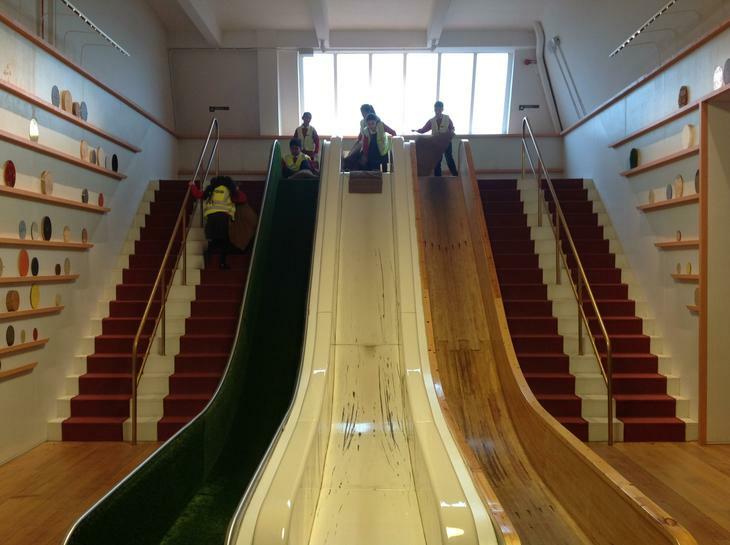 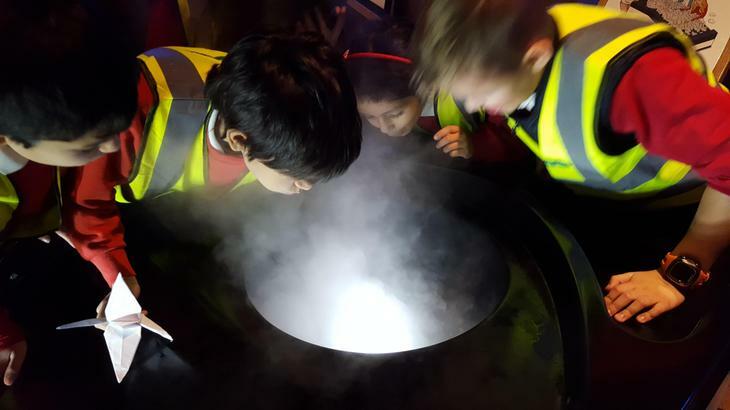 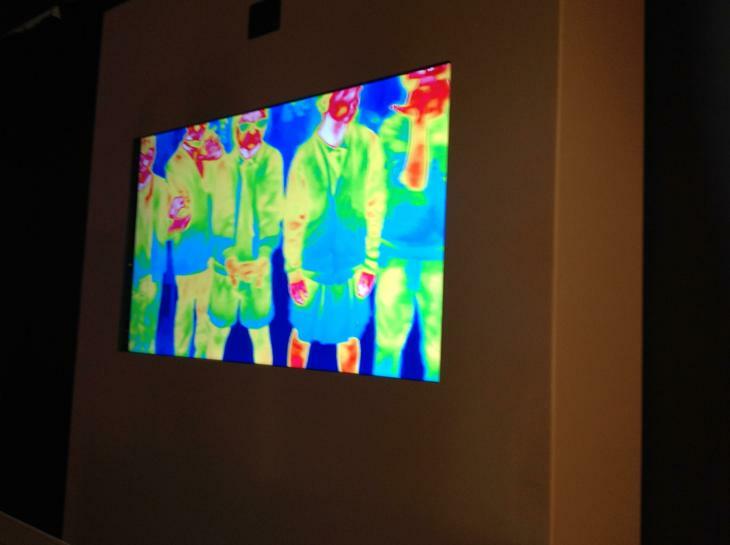 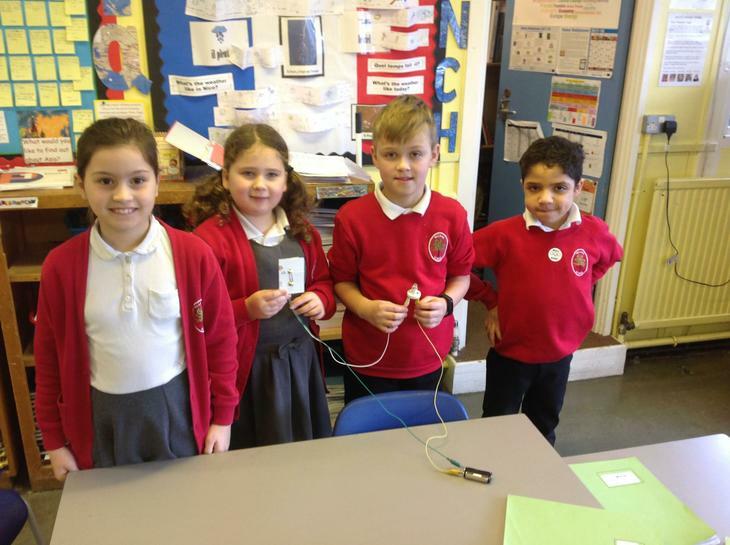 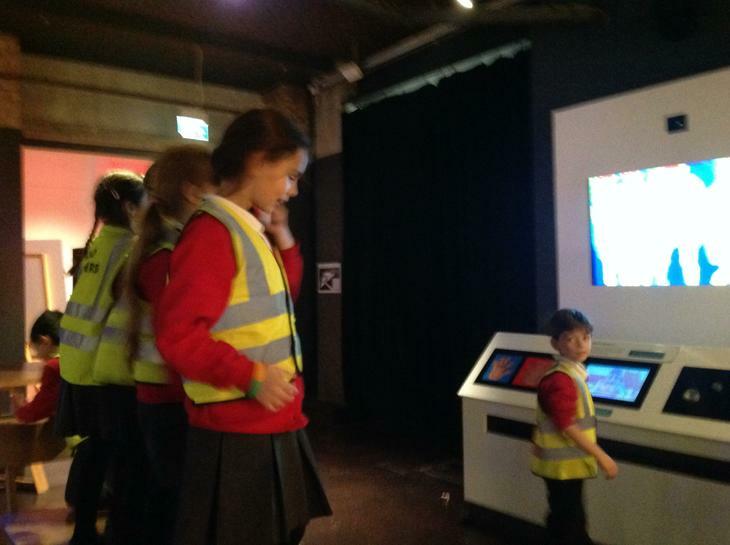 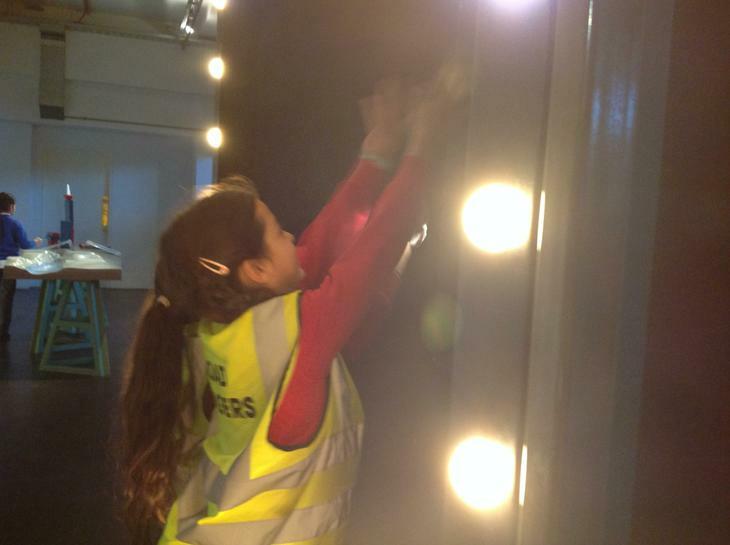 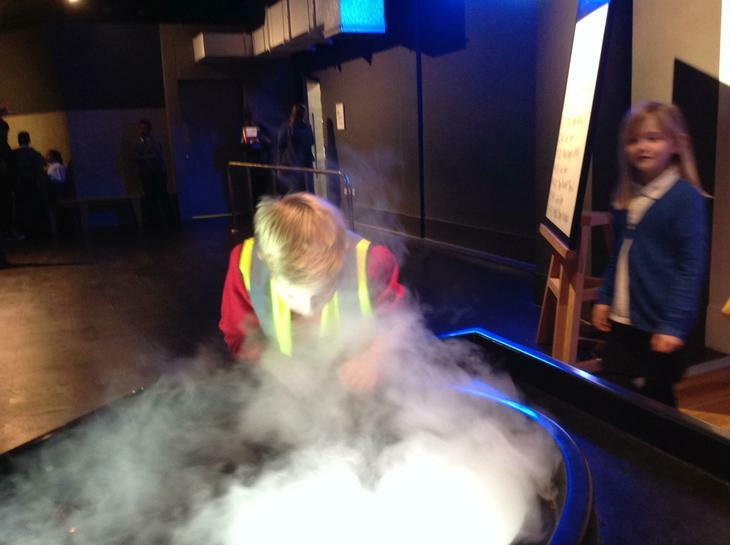 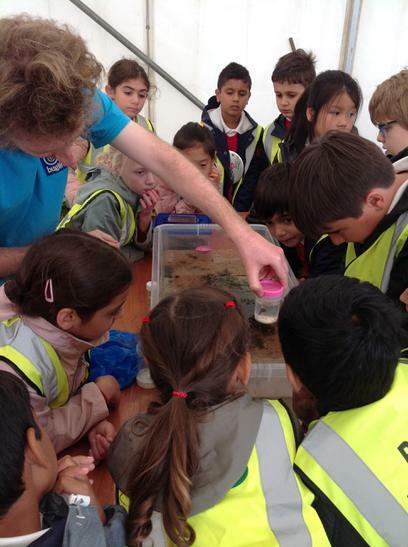 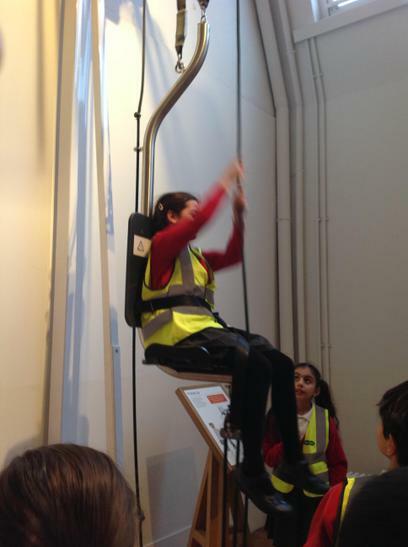 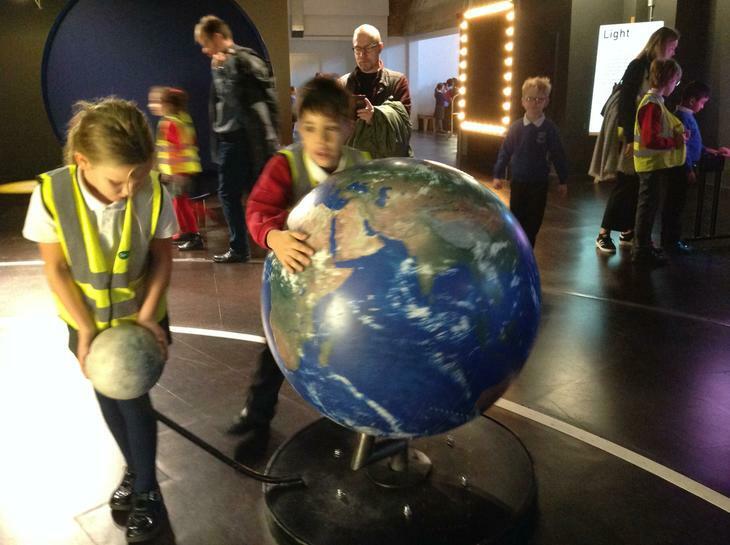 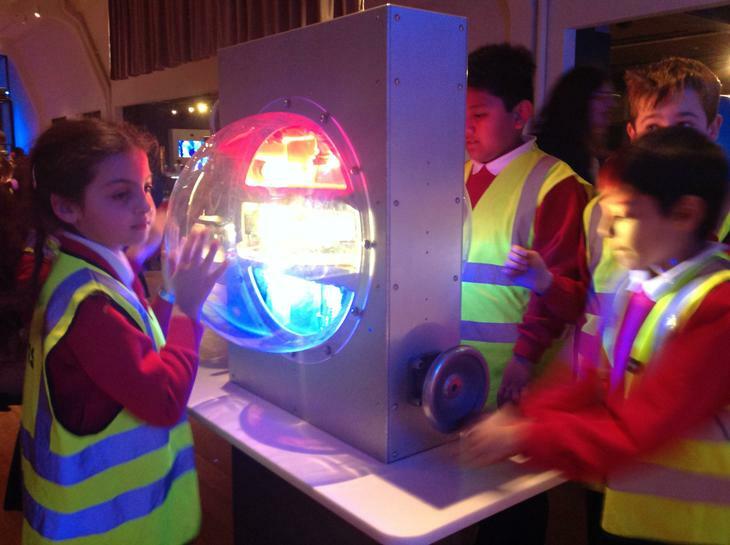 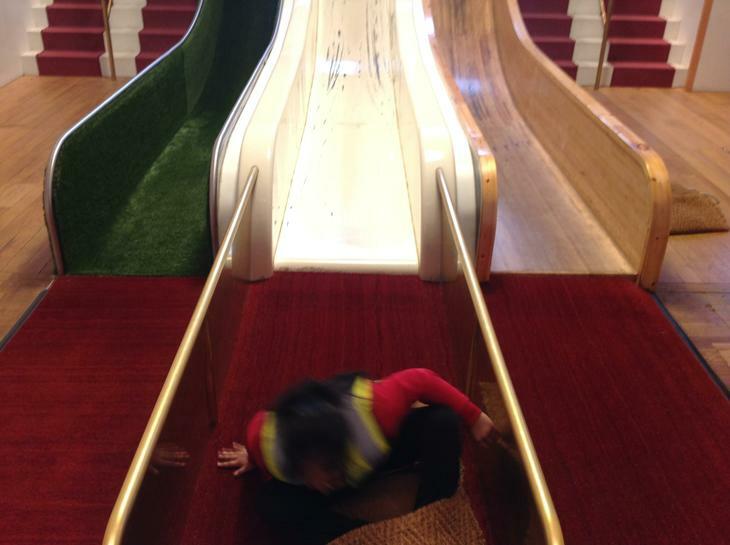 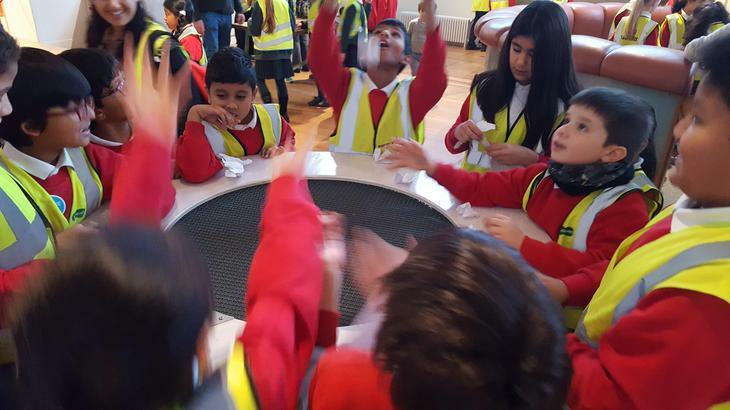 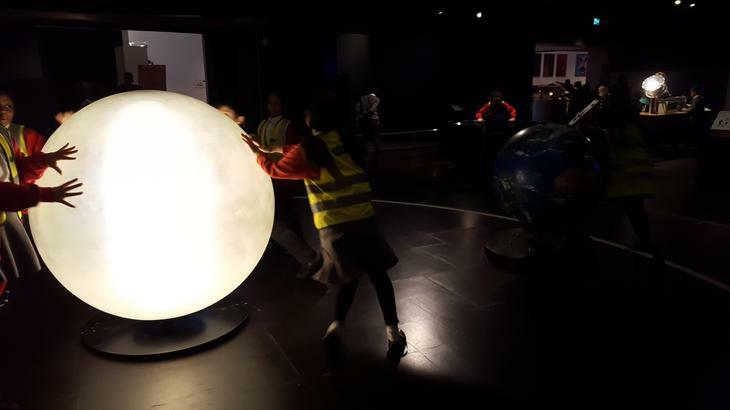 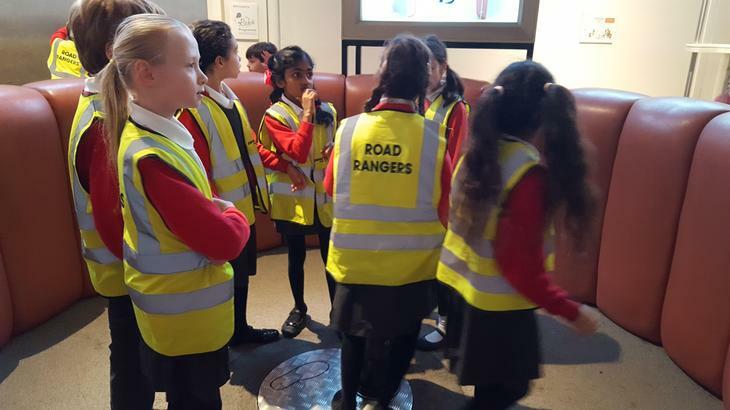 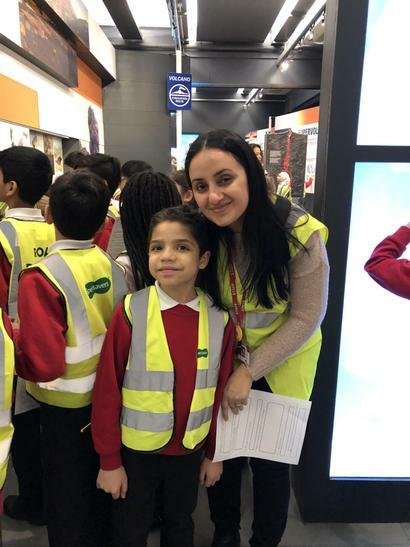 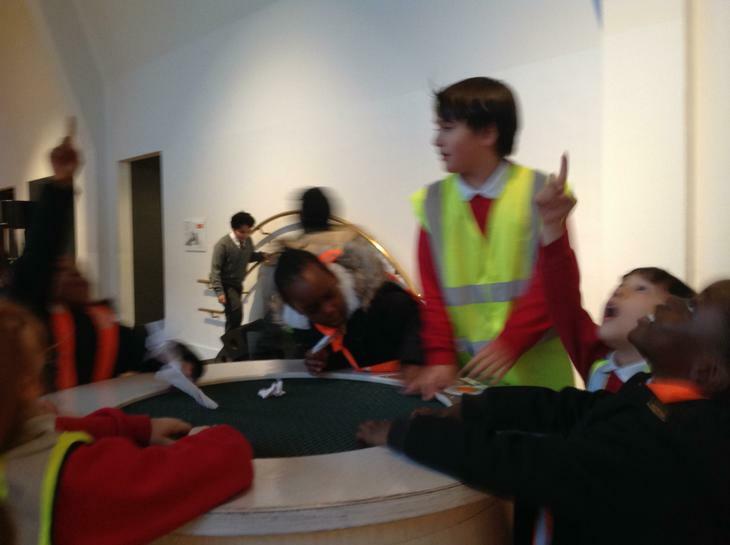 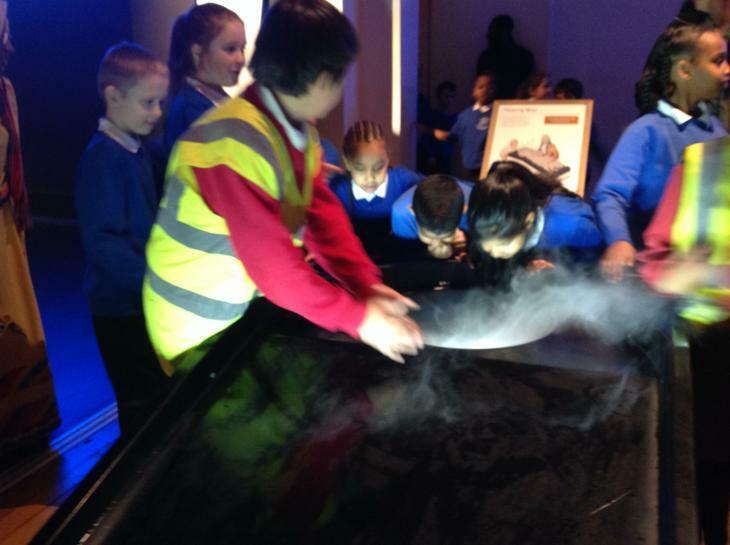 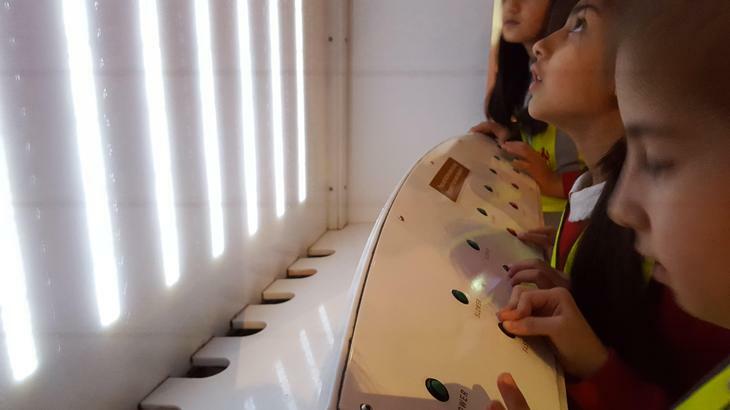 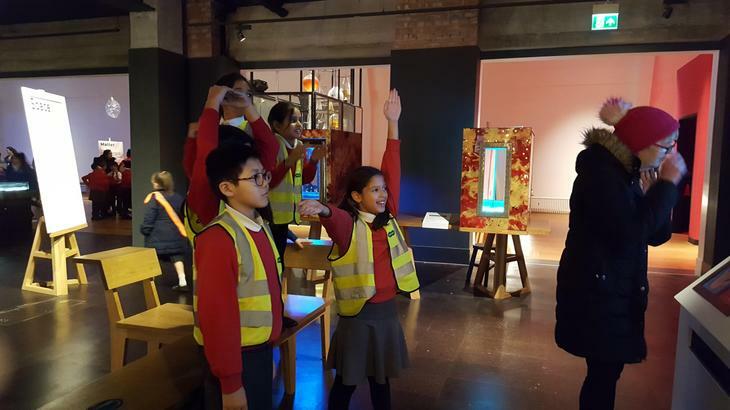 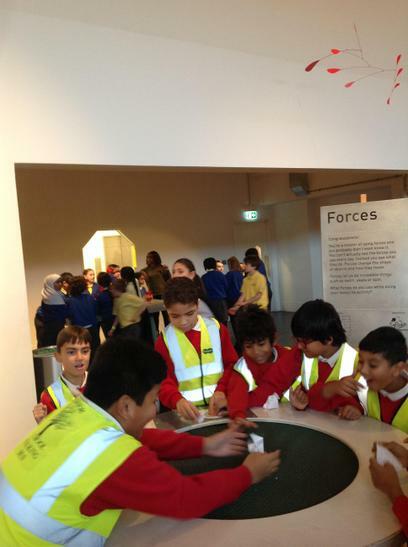 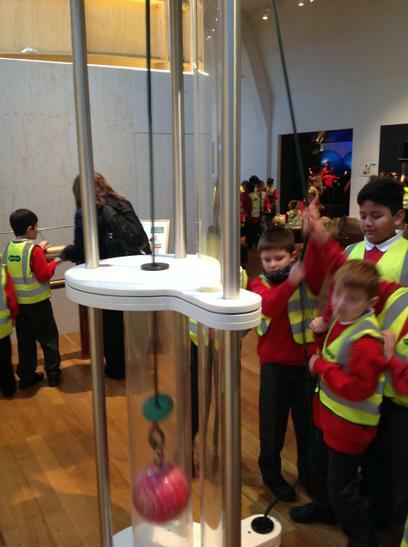 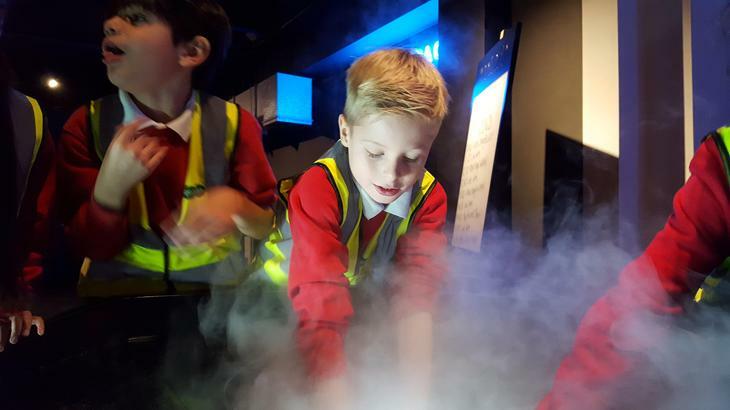 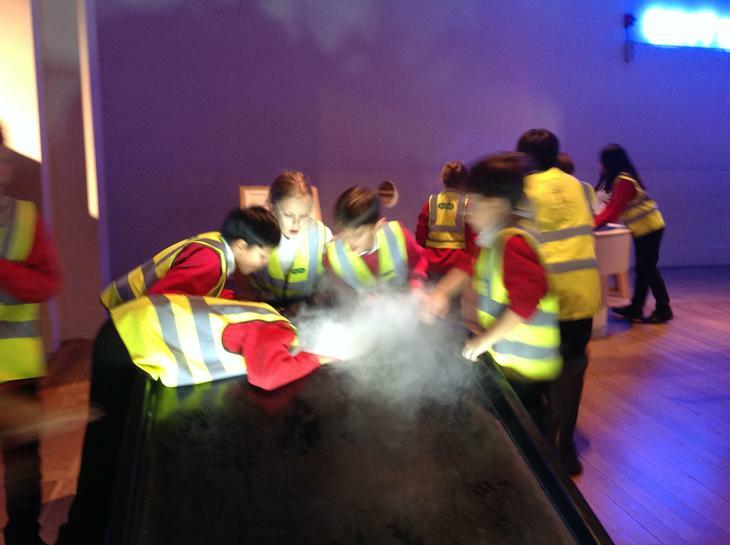 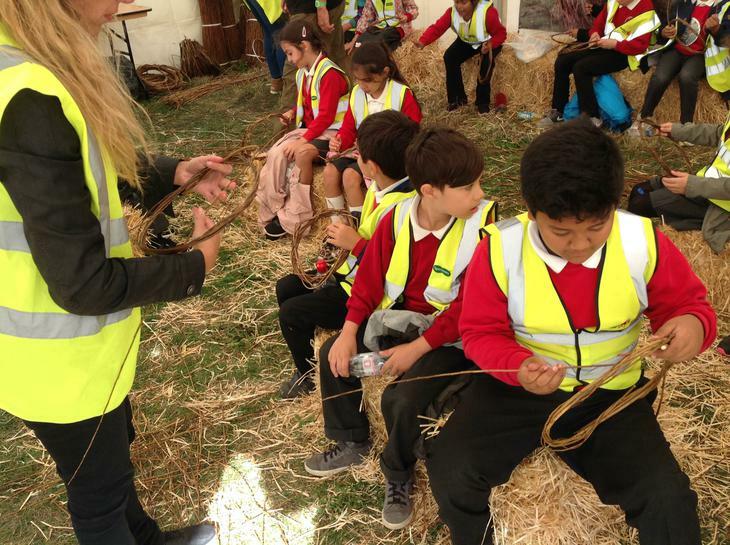 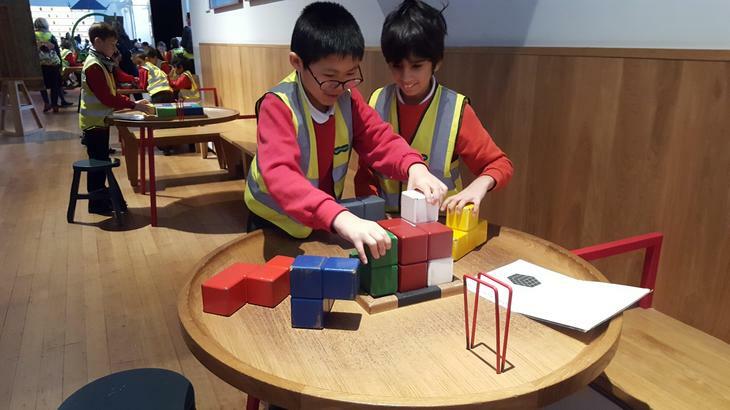 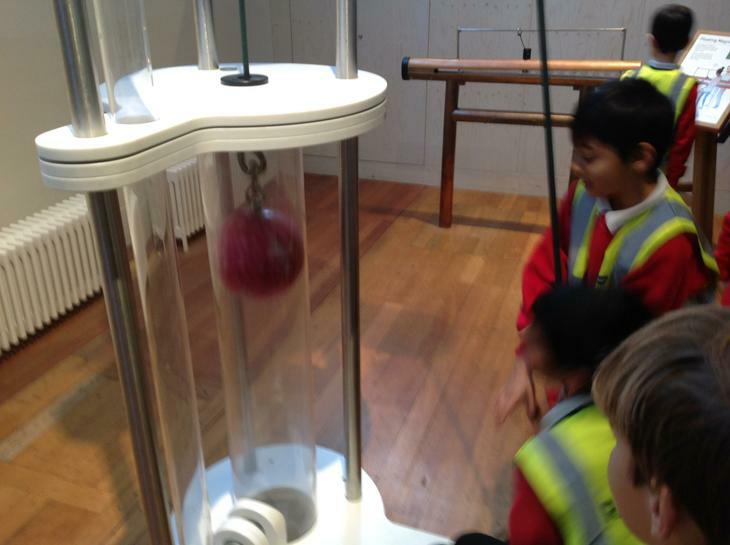 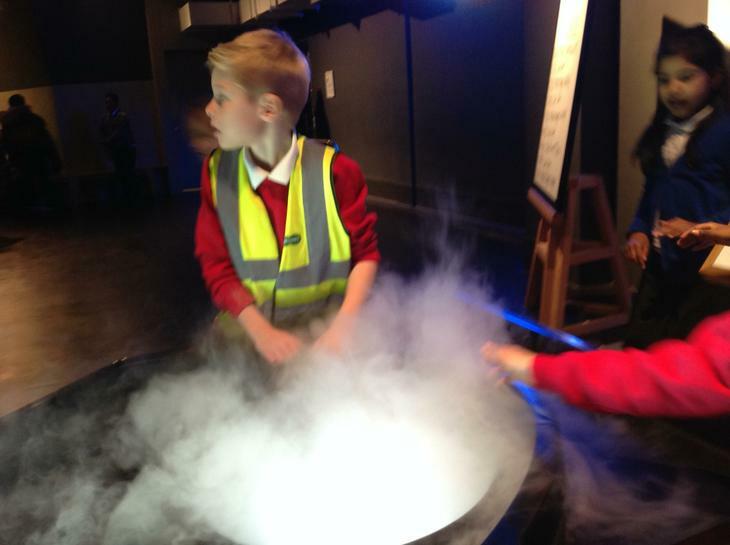 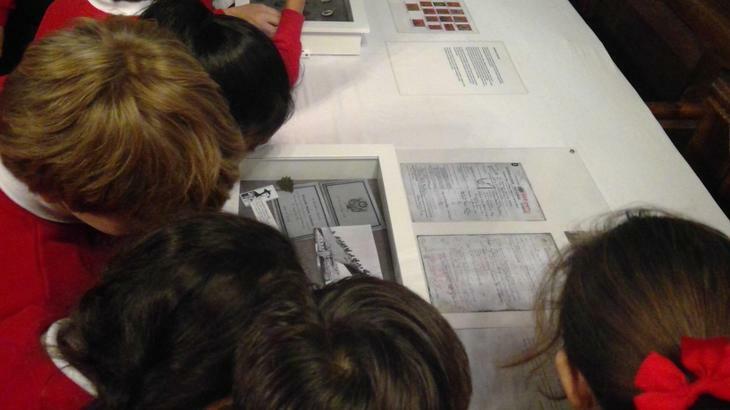 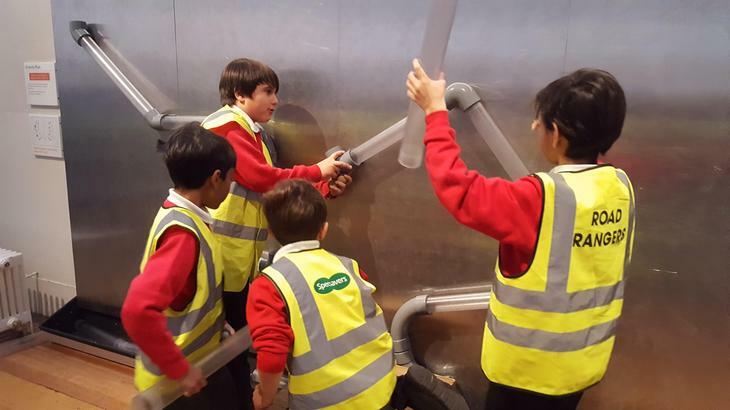 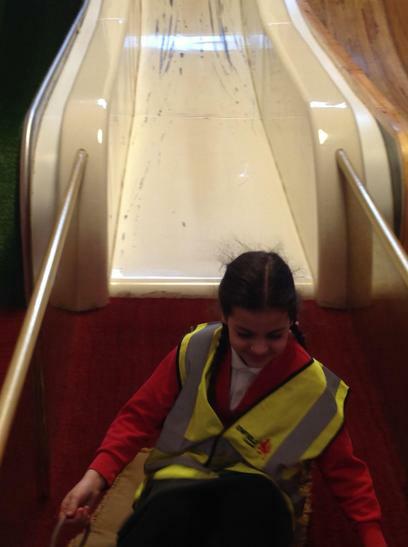 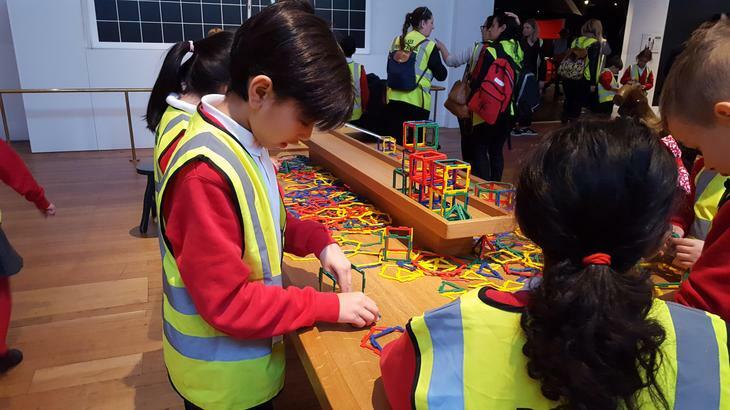 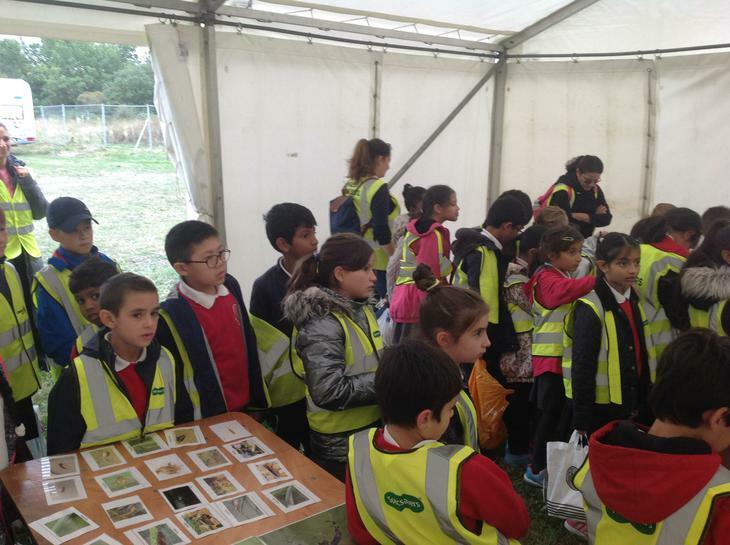 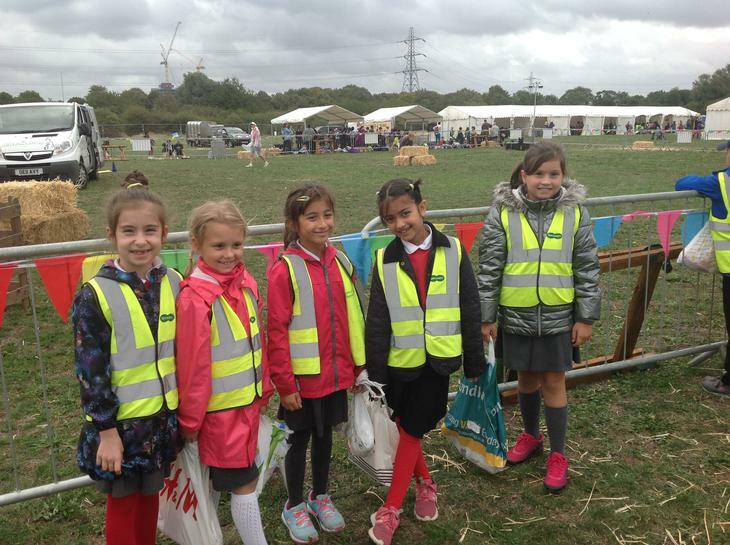 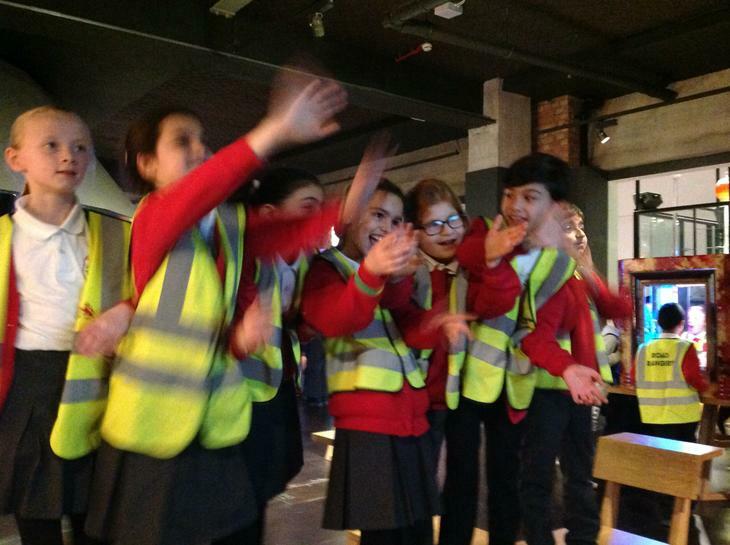 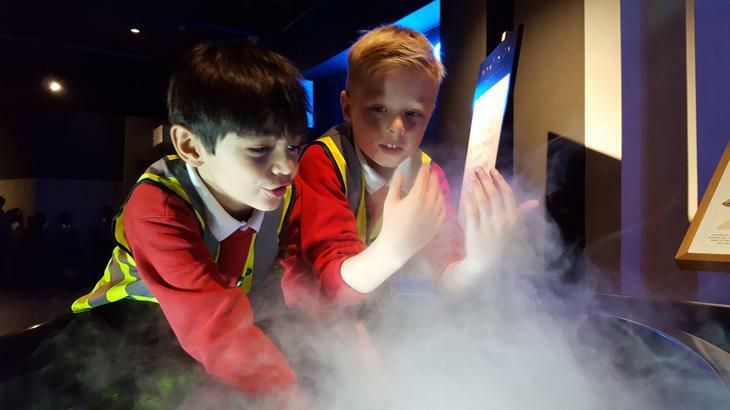 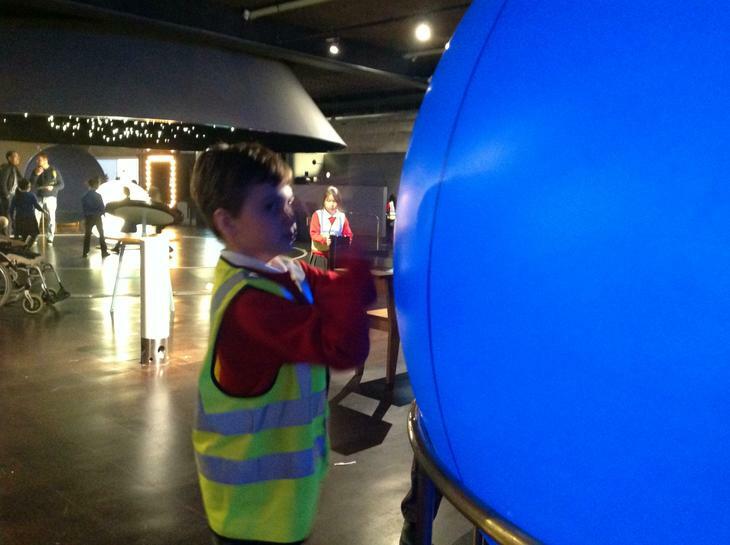 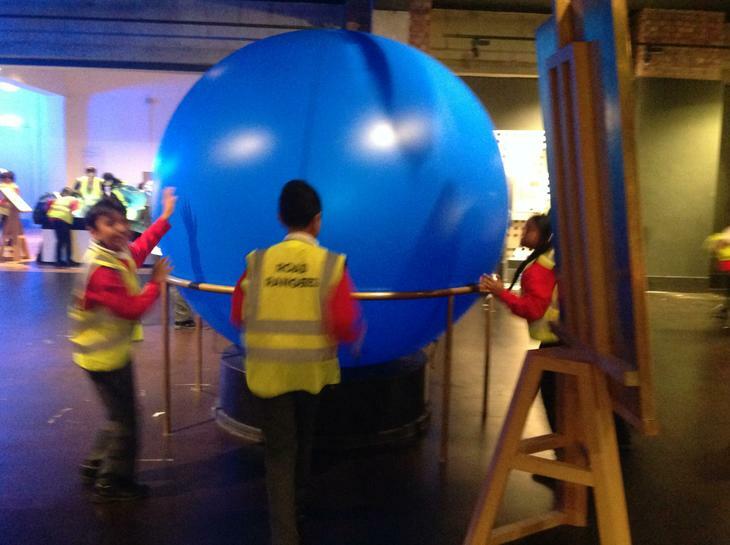 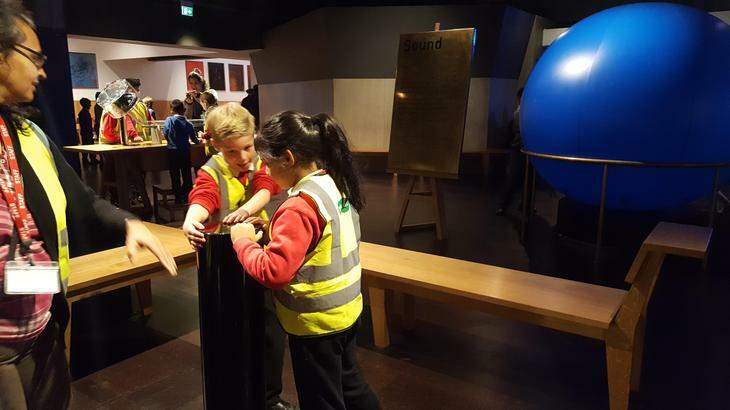 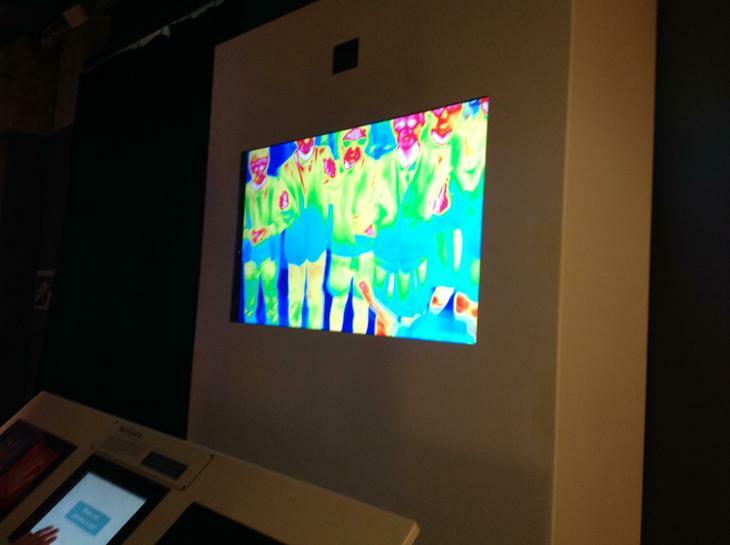 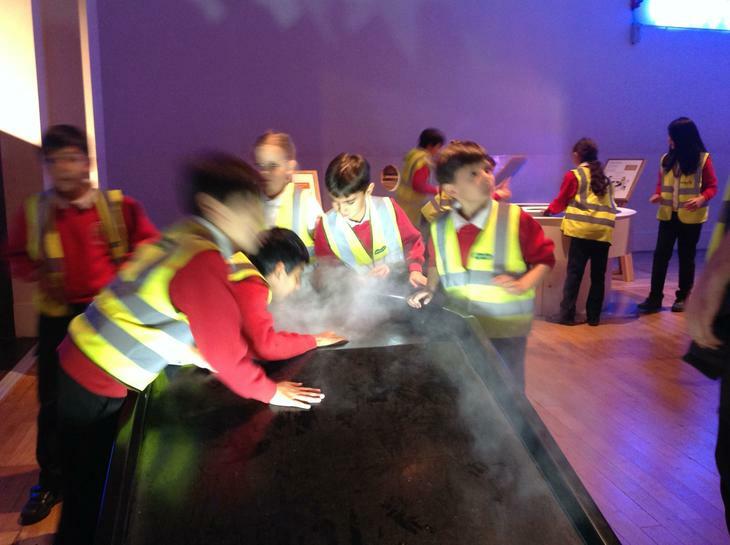 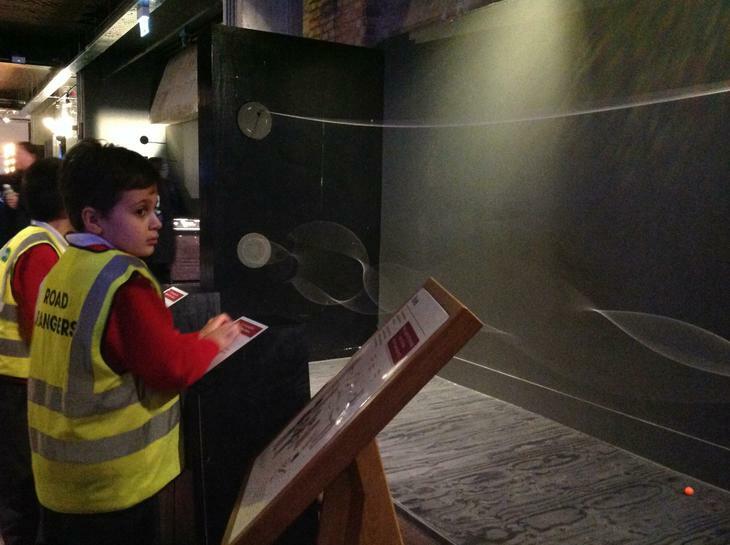 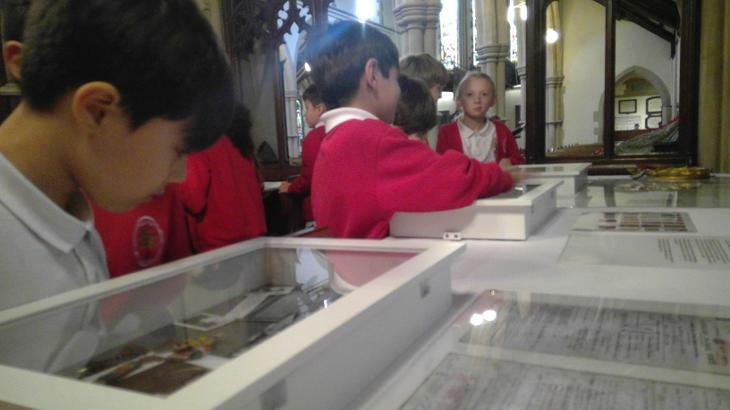 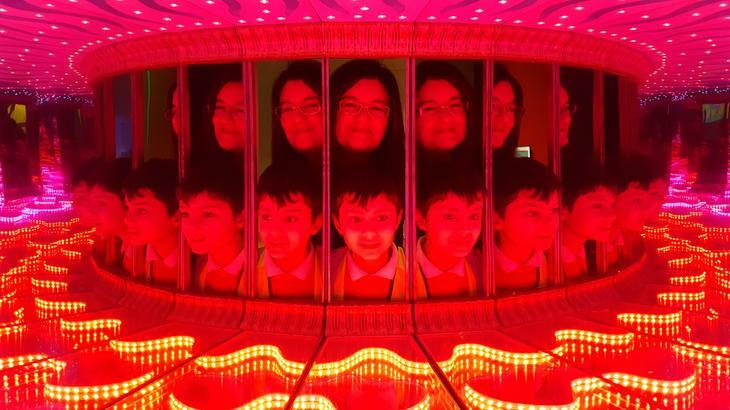 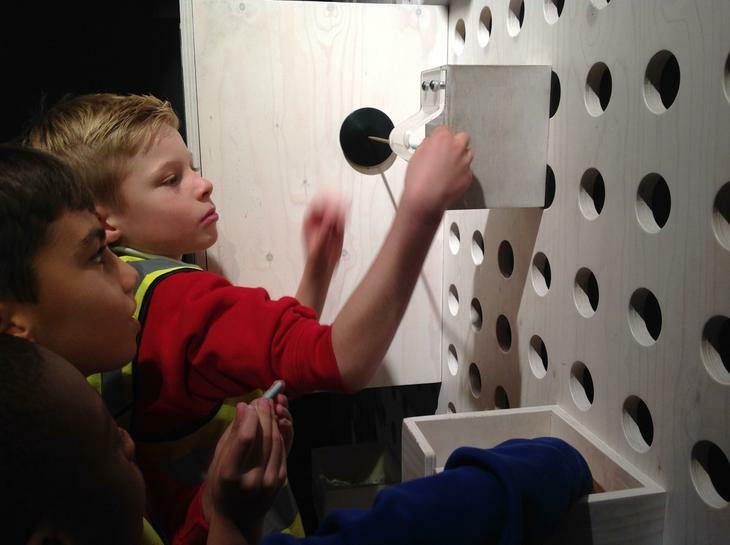 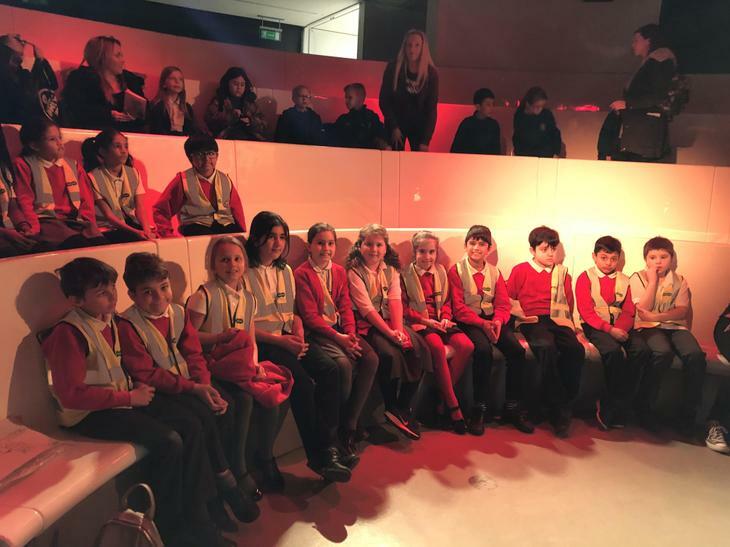 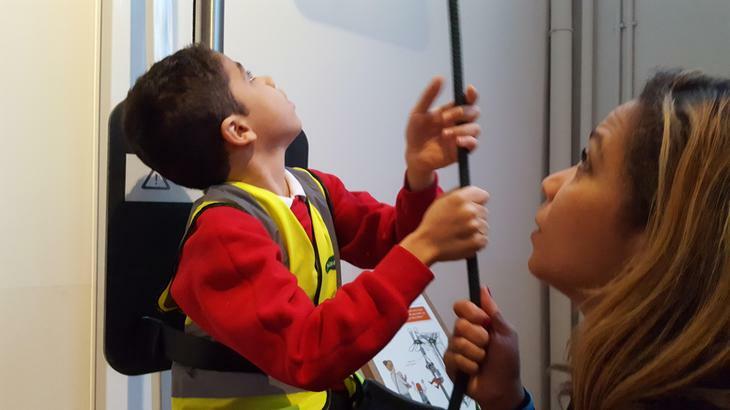 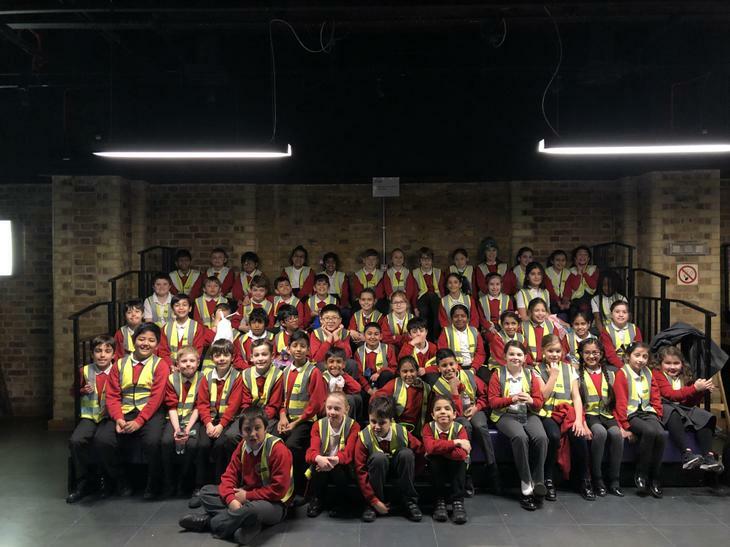 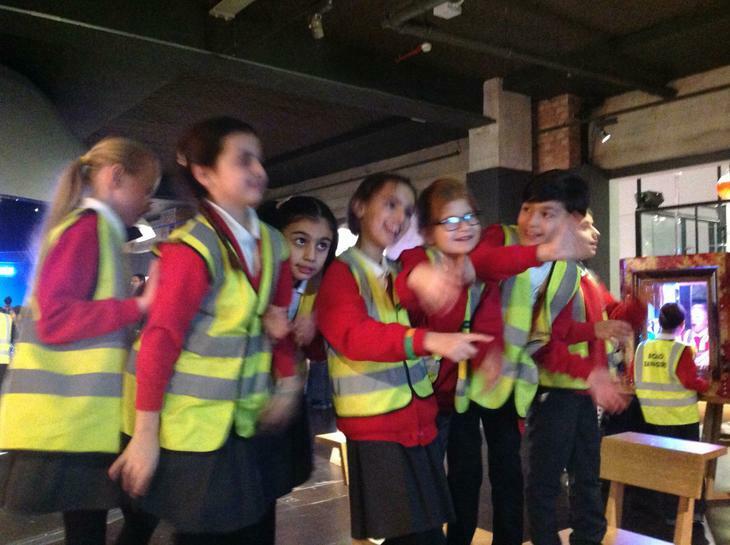 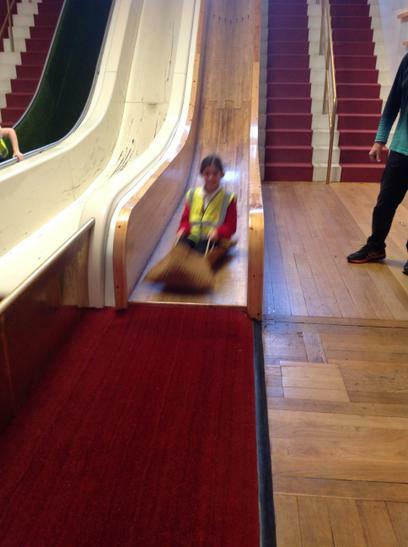 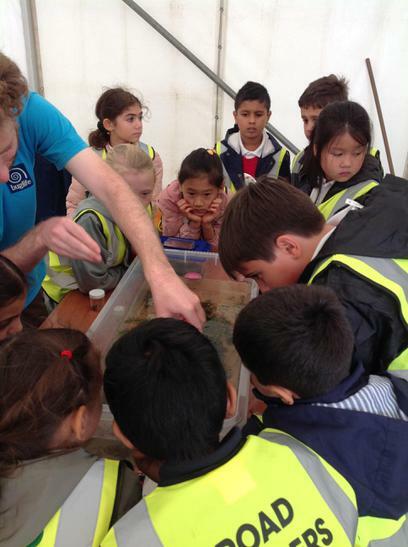 Year 4 at the Wonderlab! 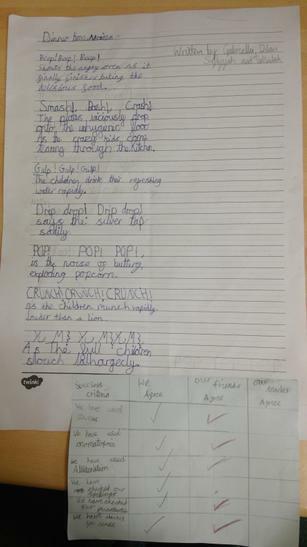 For your literacy homework this week, we would like you to create a poem for a times table of your choice. 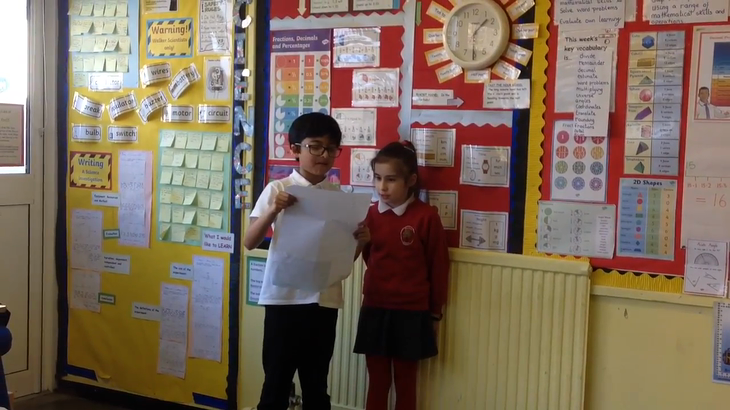 For each multiplication we would like a sentence which rhymes with the end of the calculation. 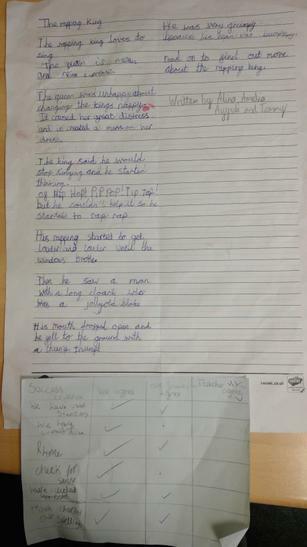 You must write a rhyming sentence and calculation for each of the calculations in the times table. 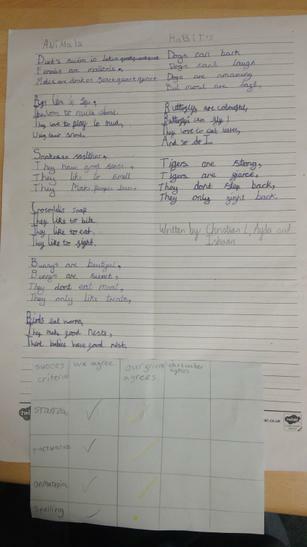 You can pick any times table that you like, however it is best if you pick one that you find difficult or struggle with as writing a poem will help you to remember it. 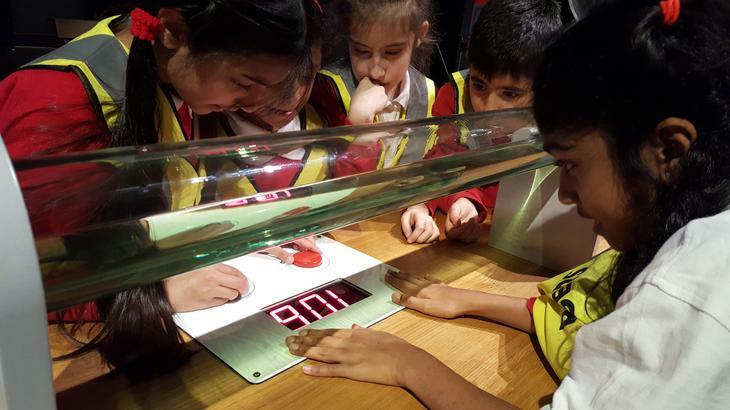 This week in maths year 4 will be reading and writing the time in the digital and analogue form. 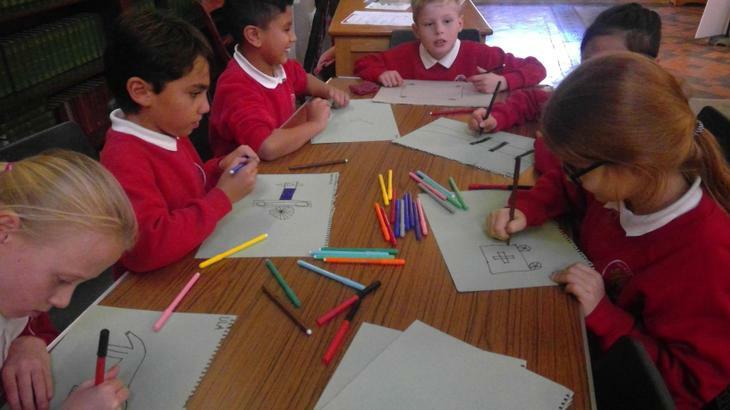 They will also be learning about the 24 hour clock. 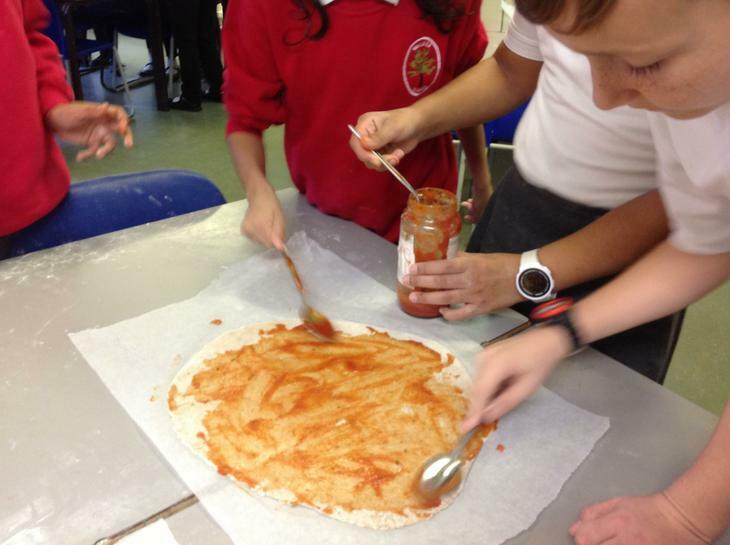 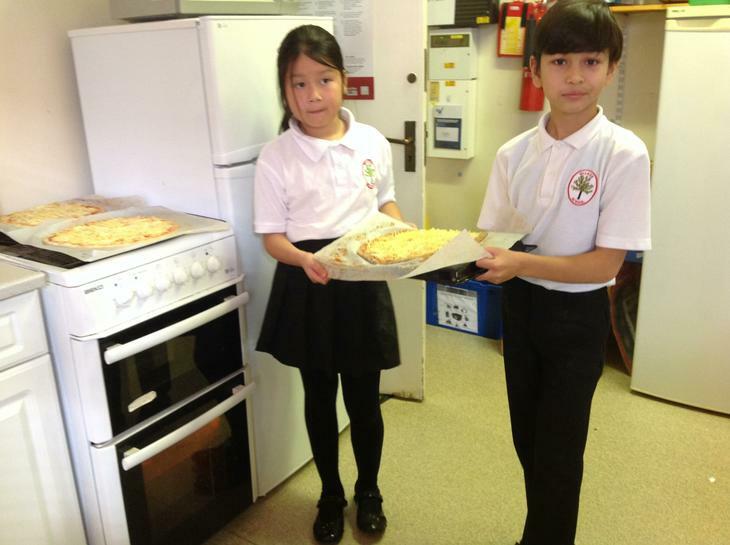 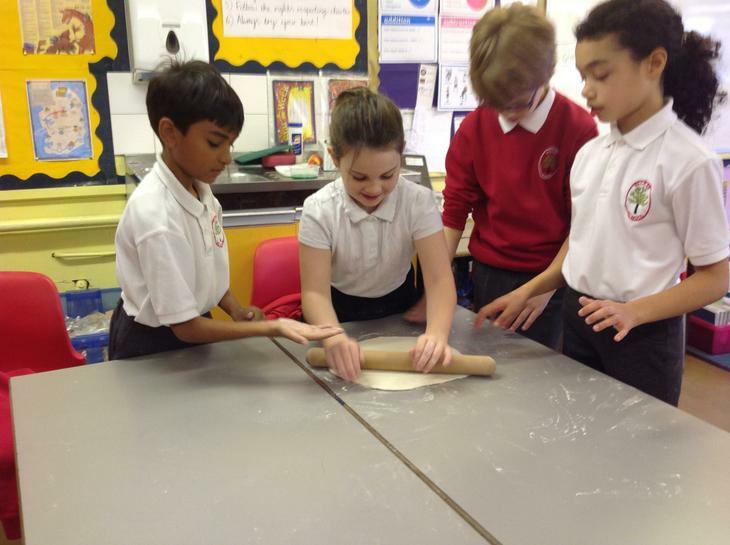 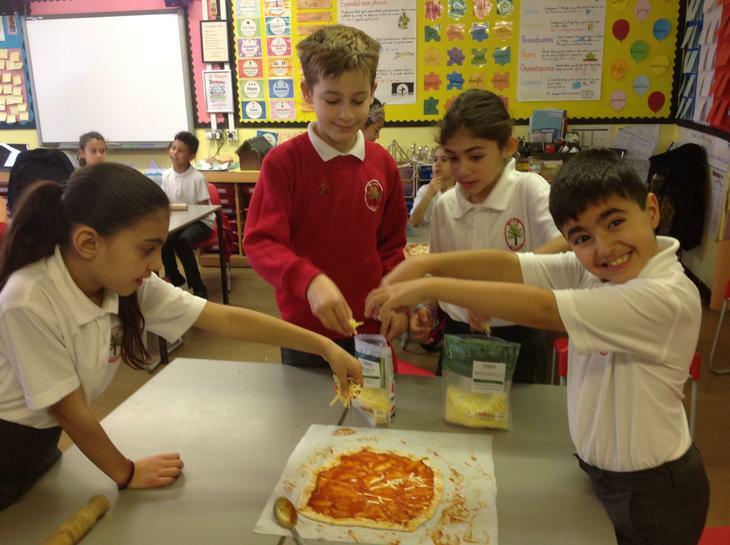 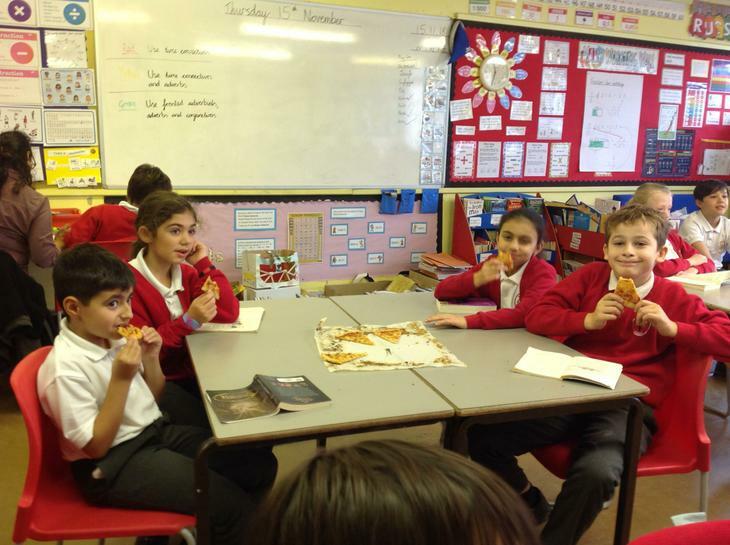 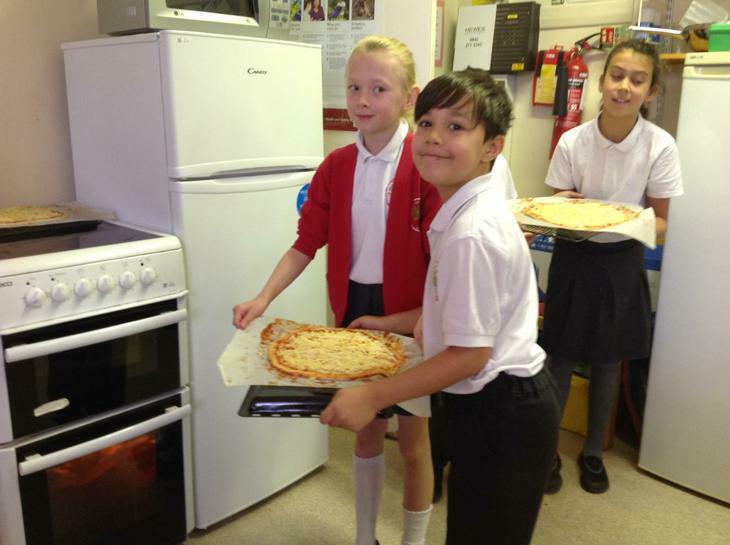 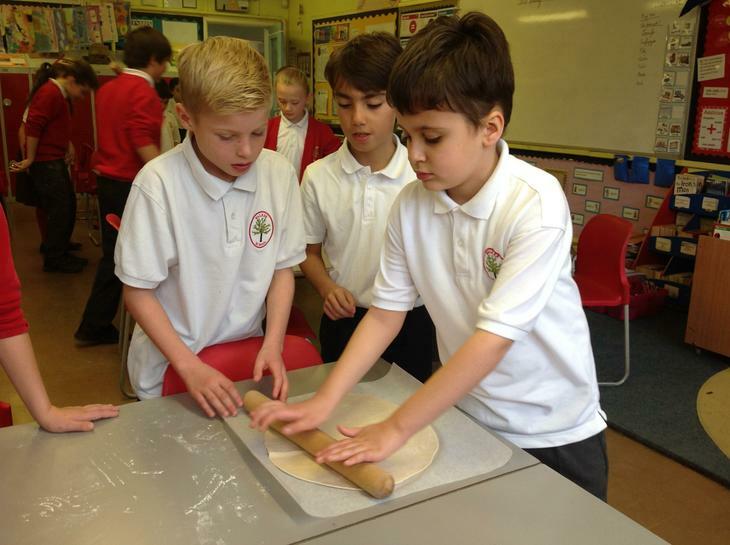 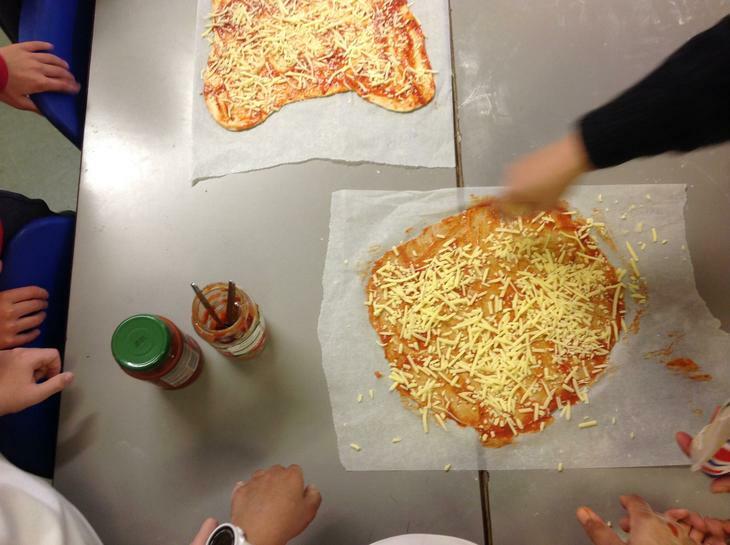 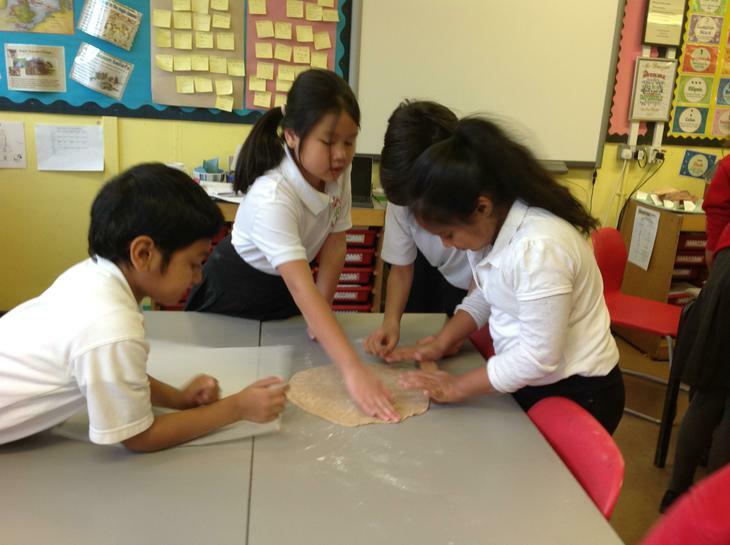 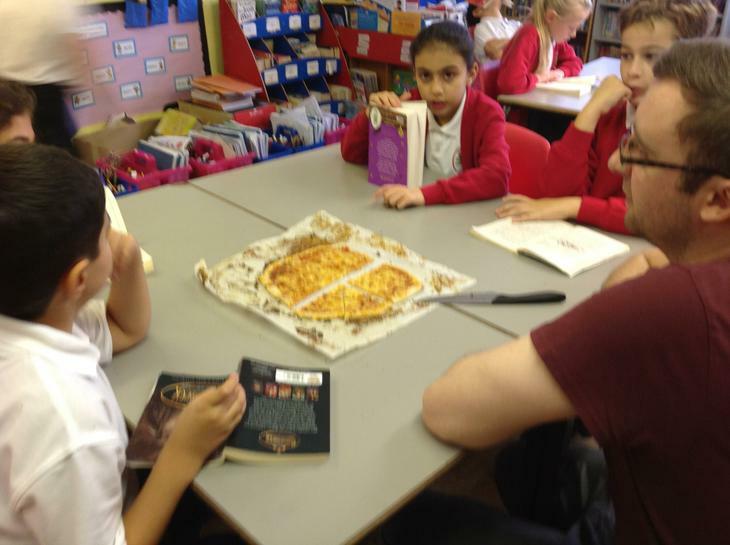 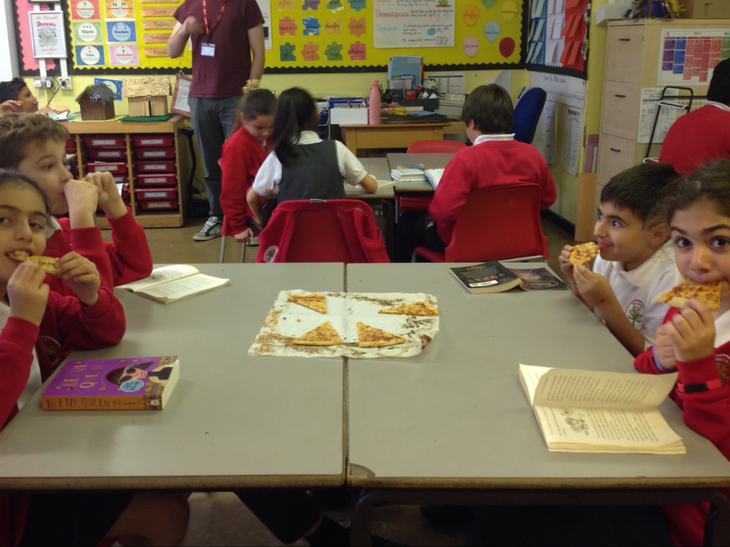 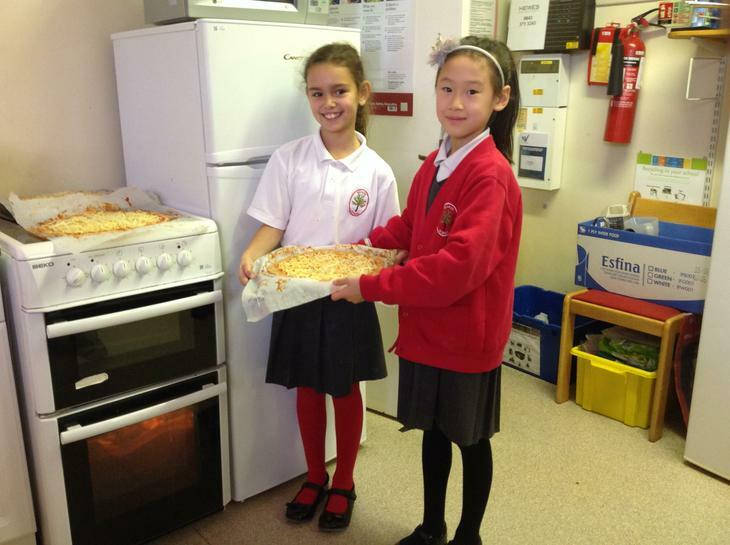 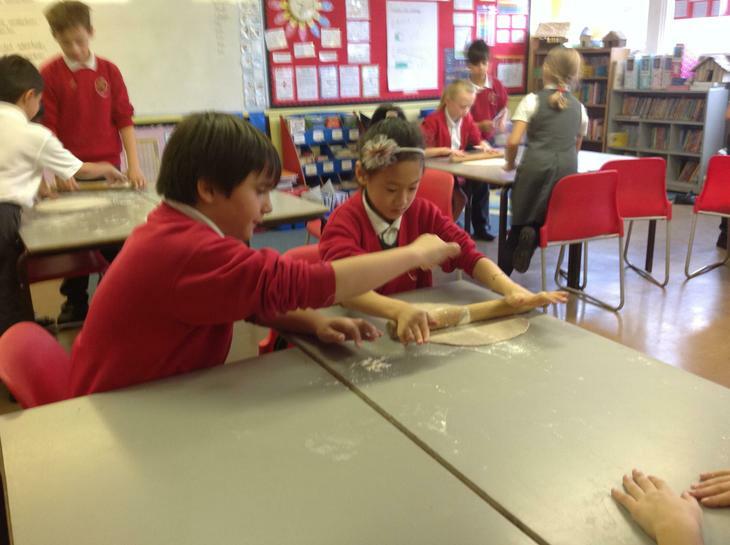 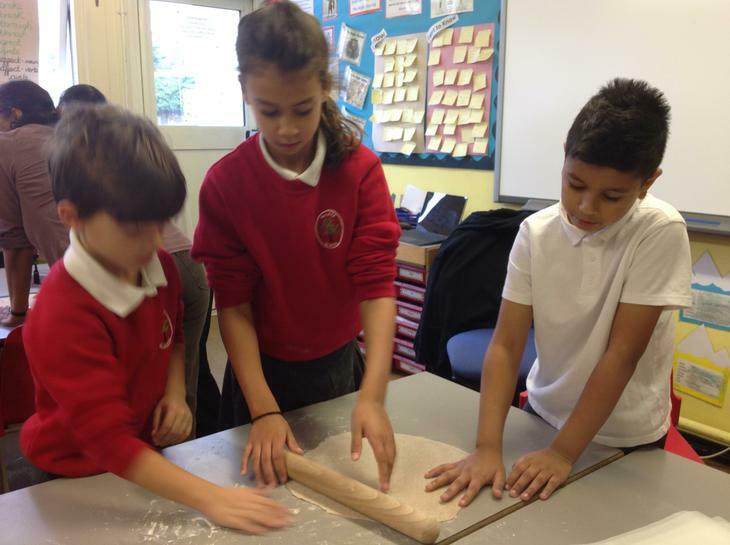 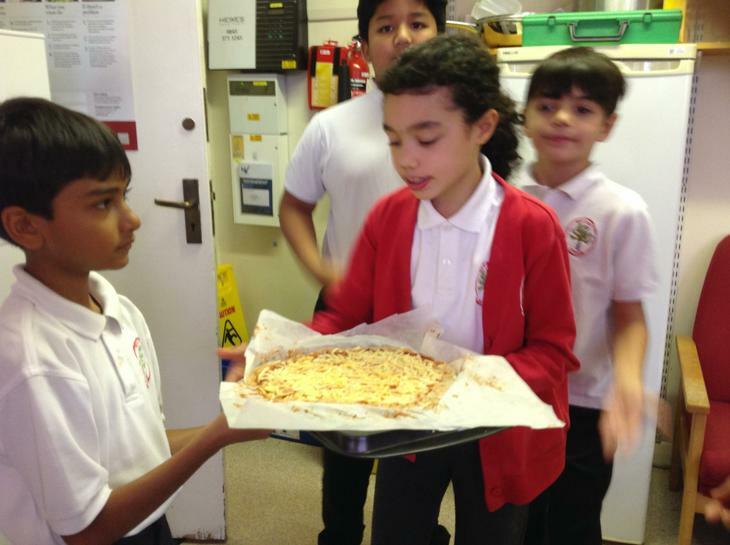 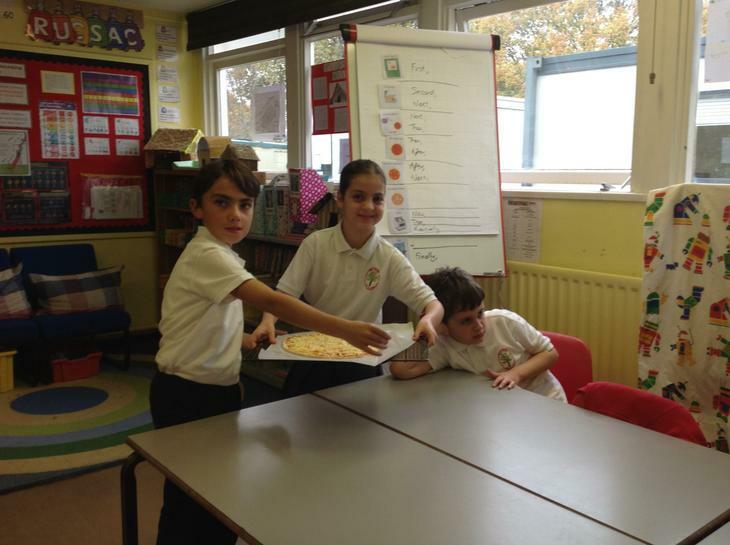 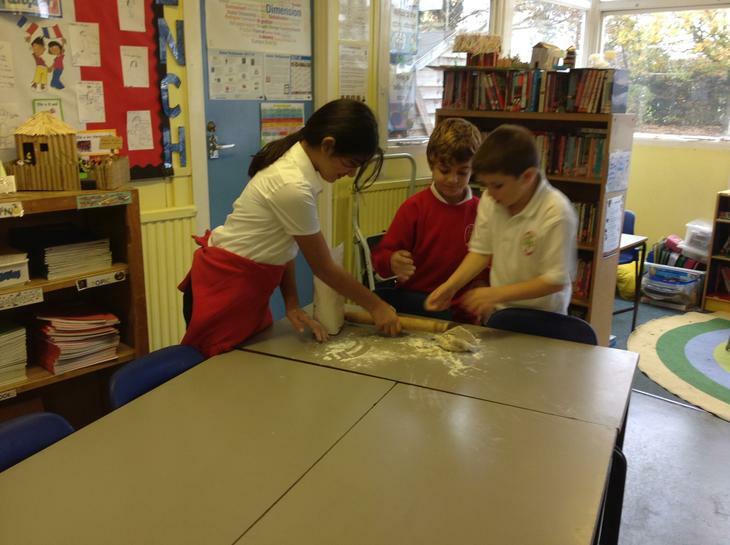 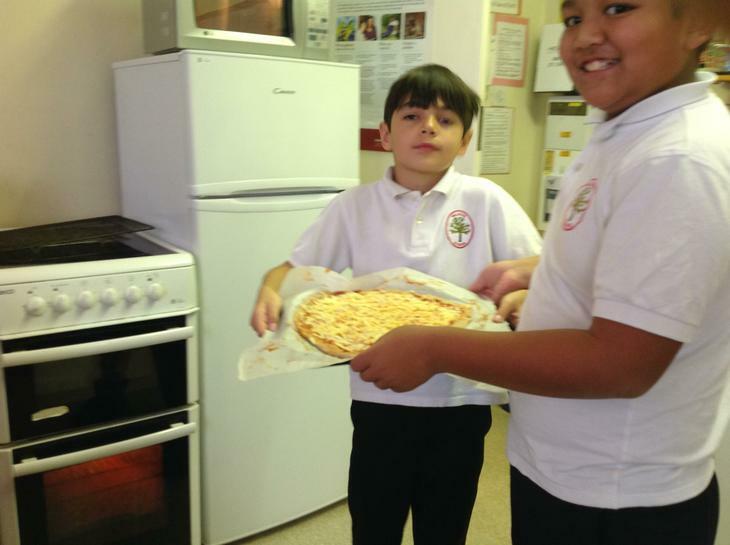 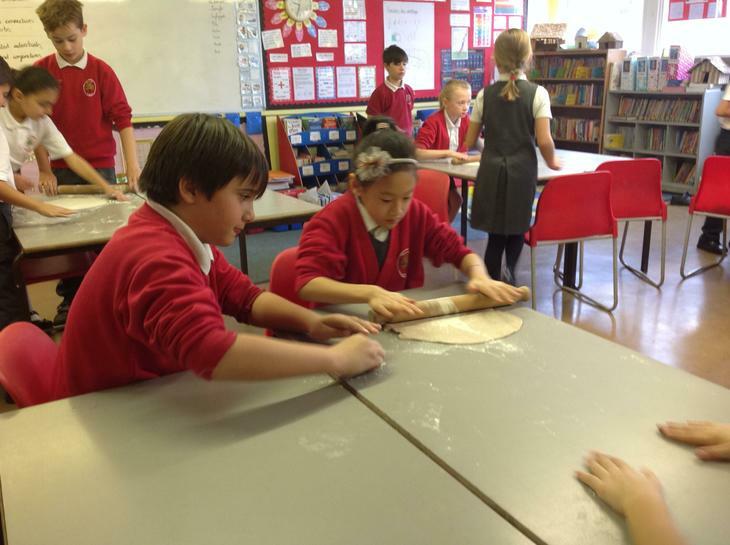 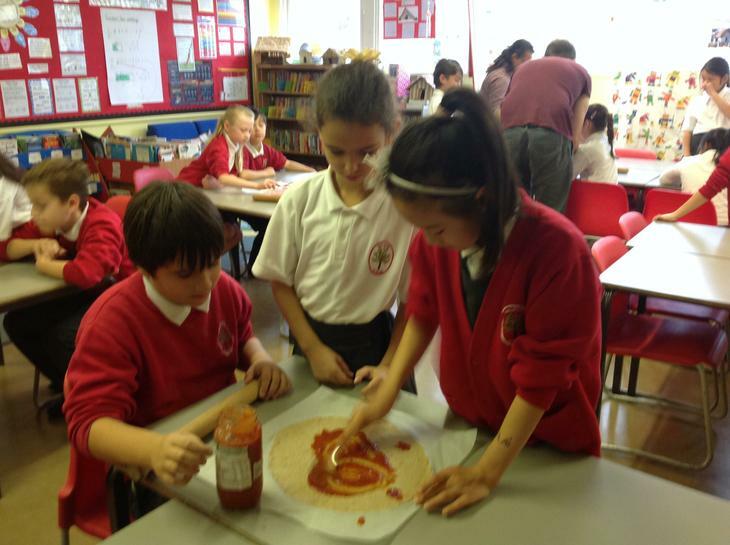 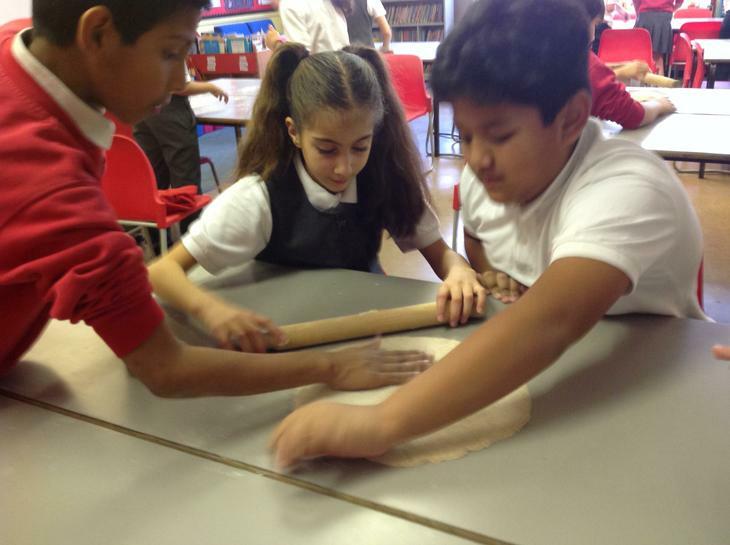 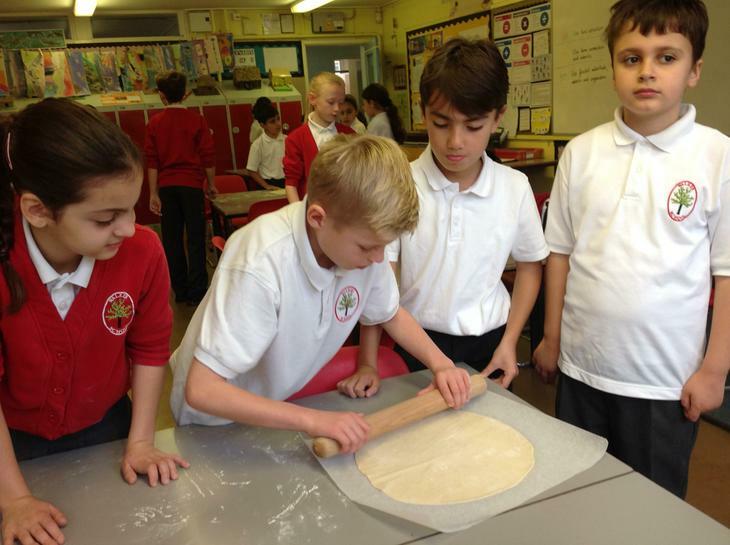 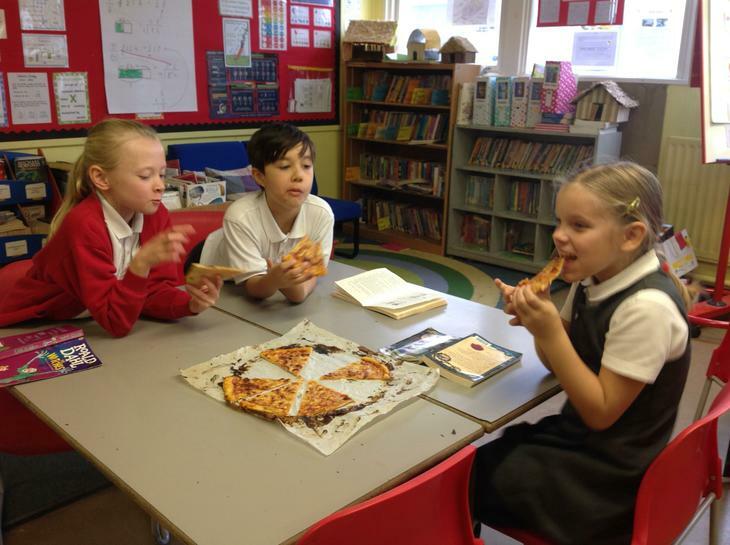 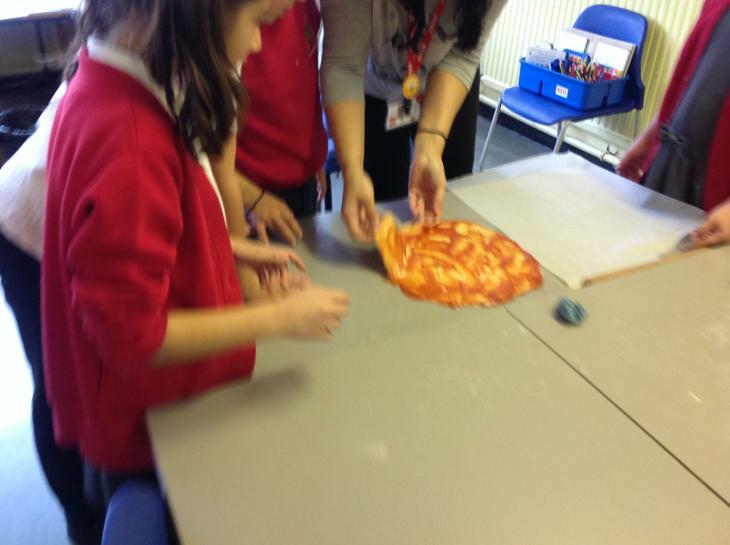 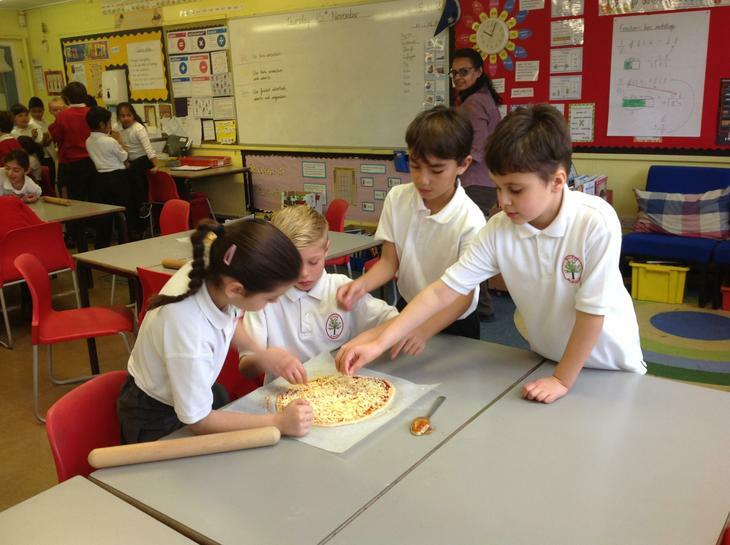 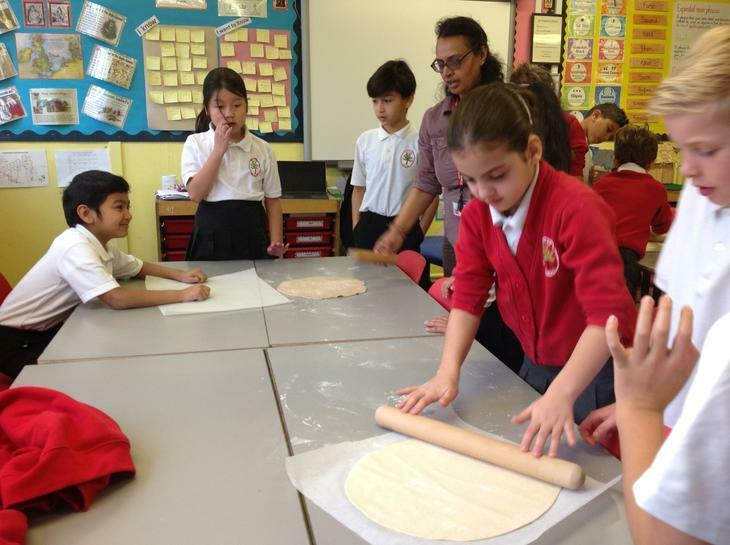 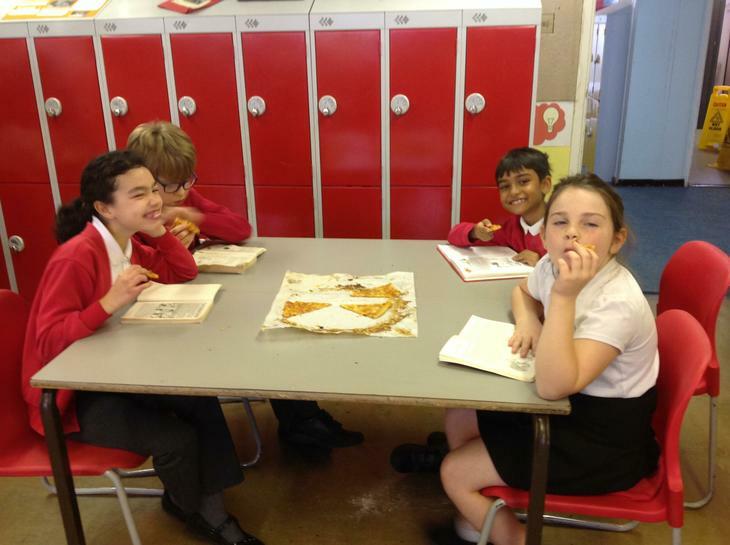 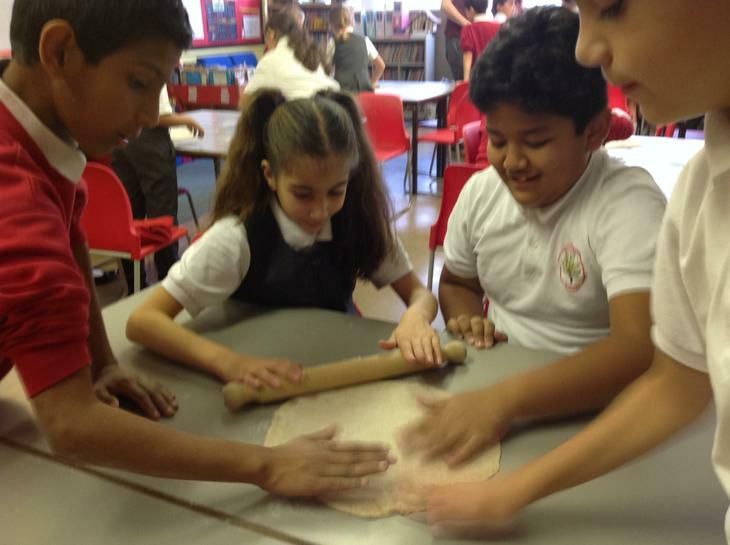 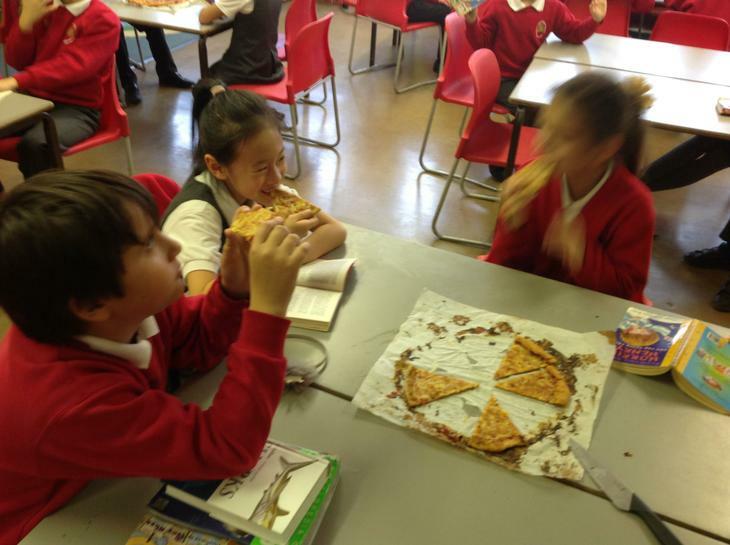 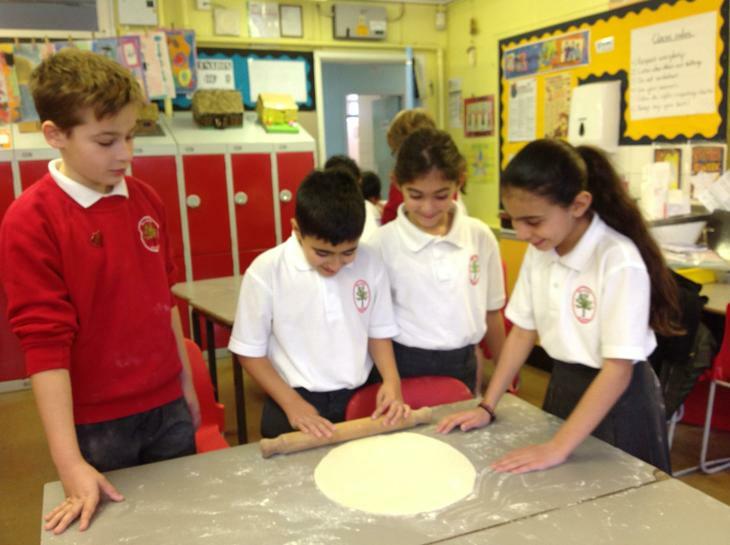 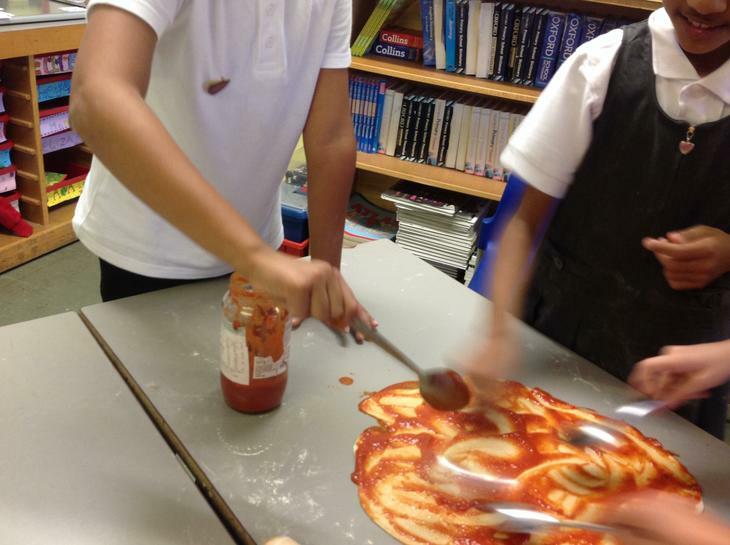 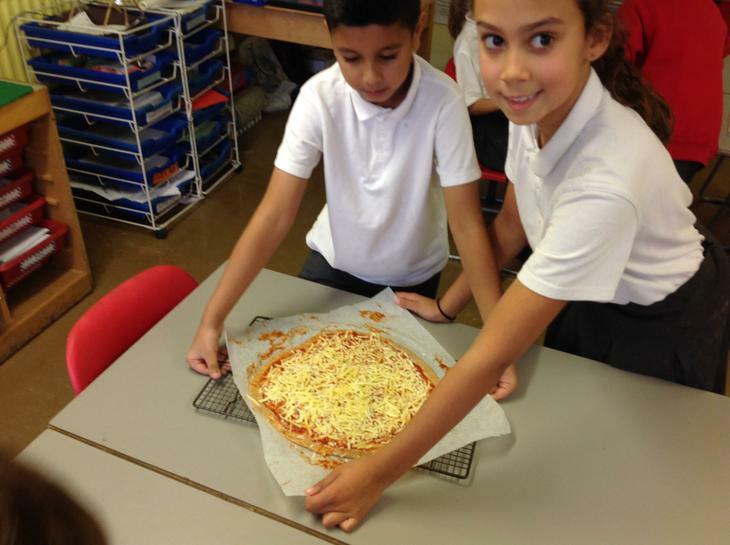 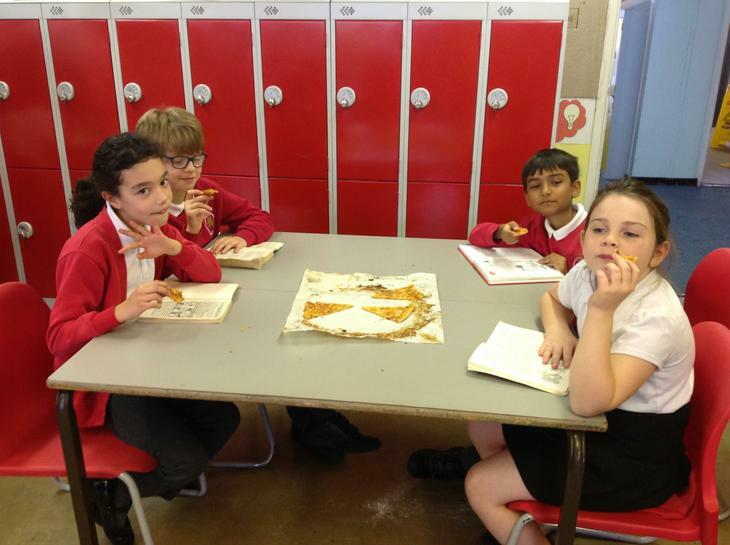 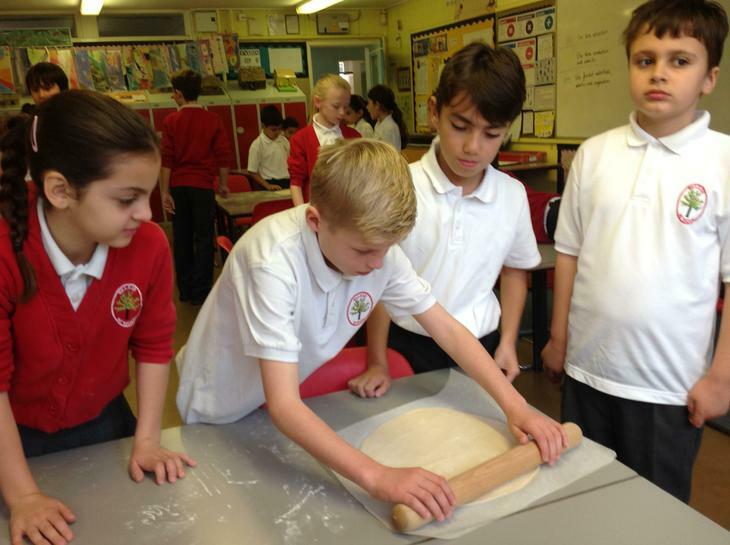 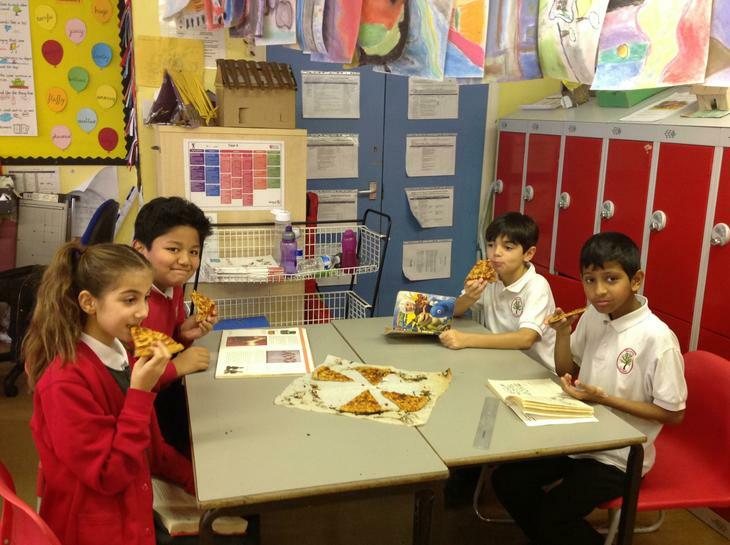 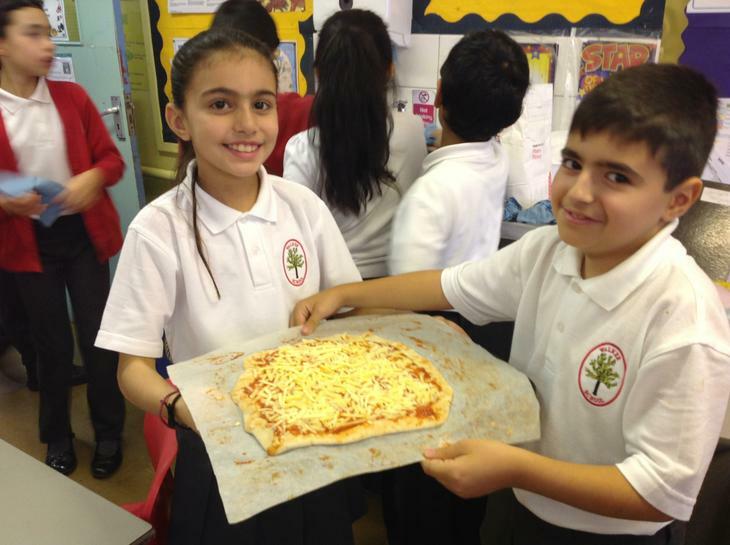 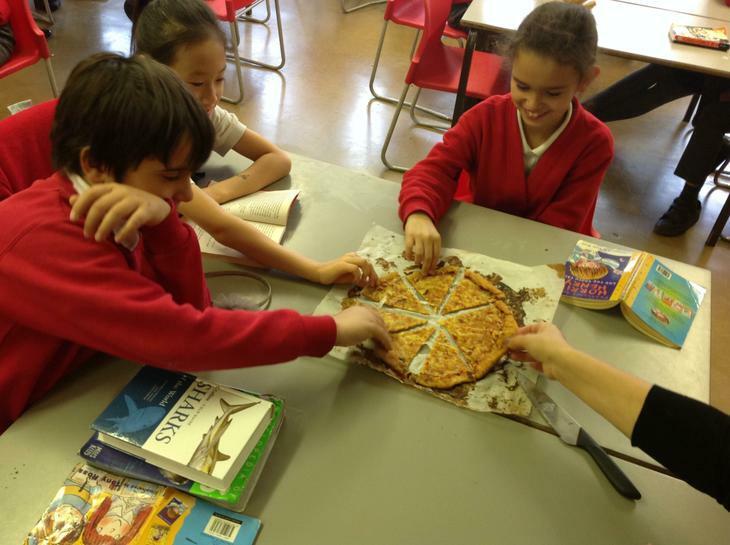 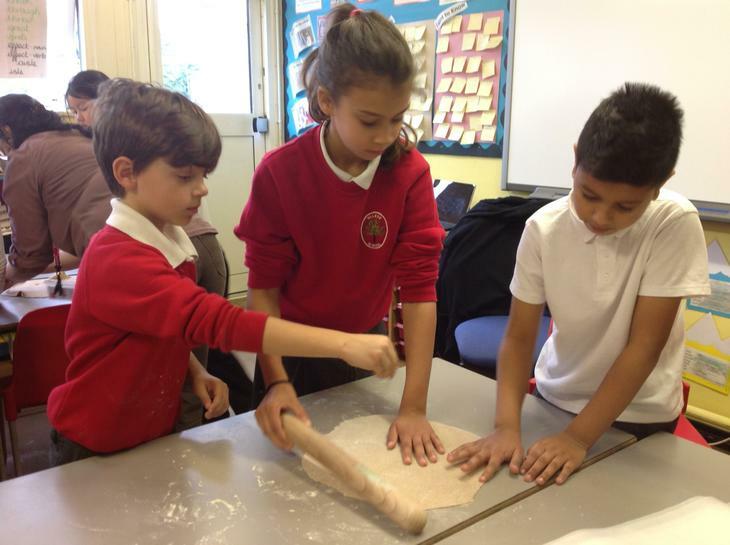 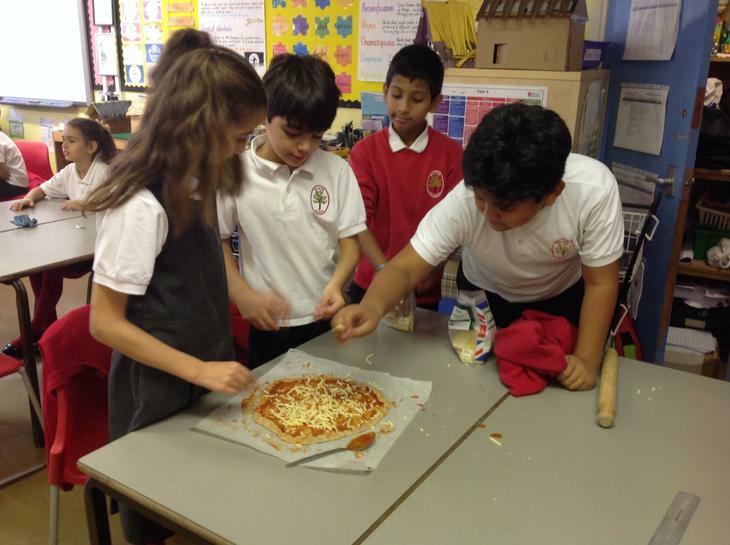 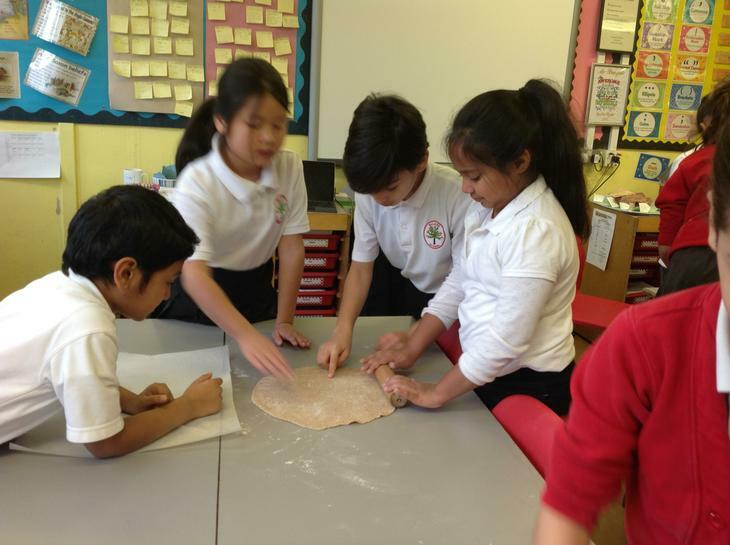 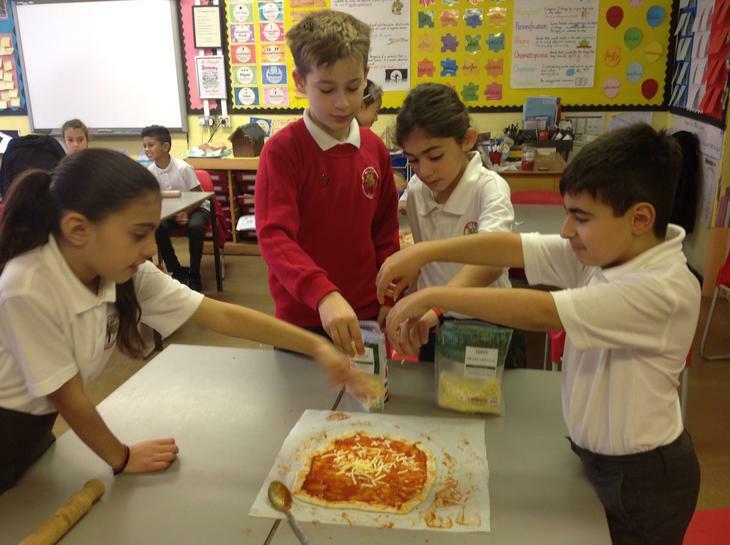 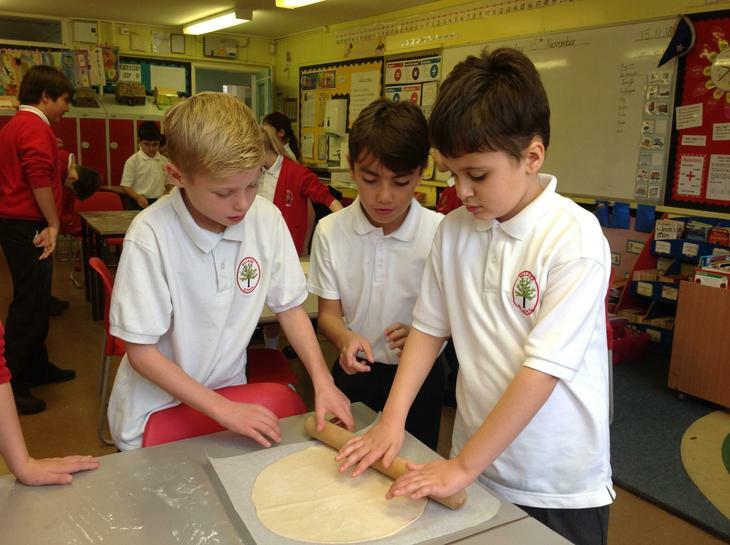 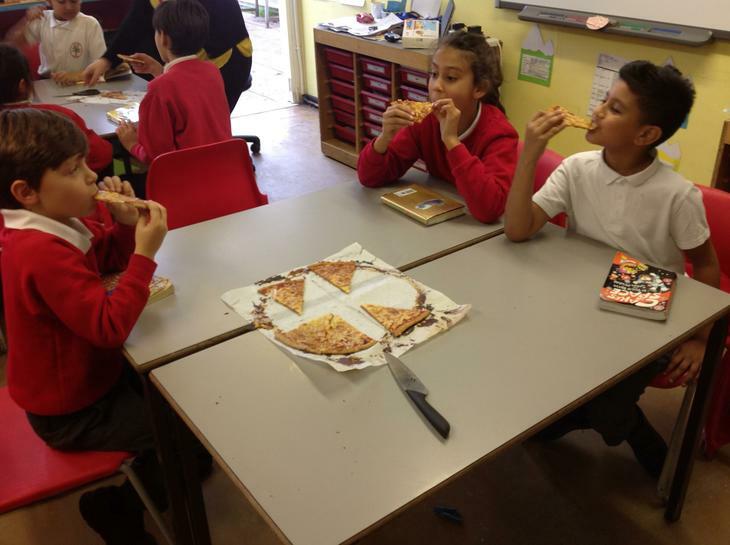 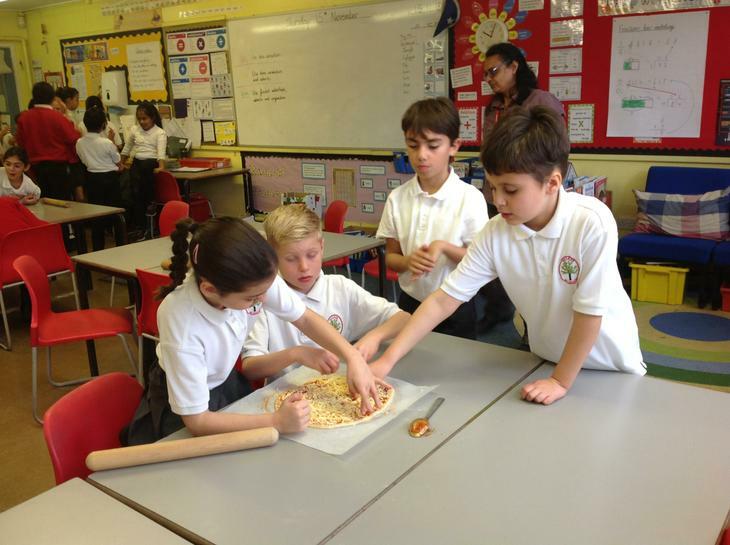 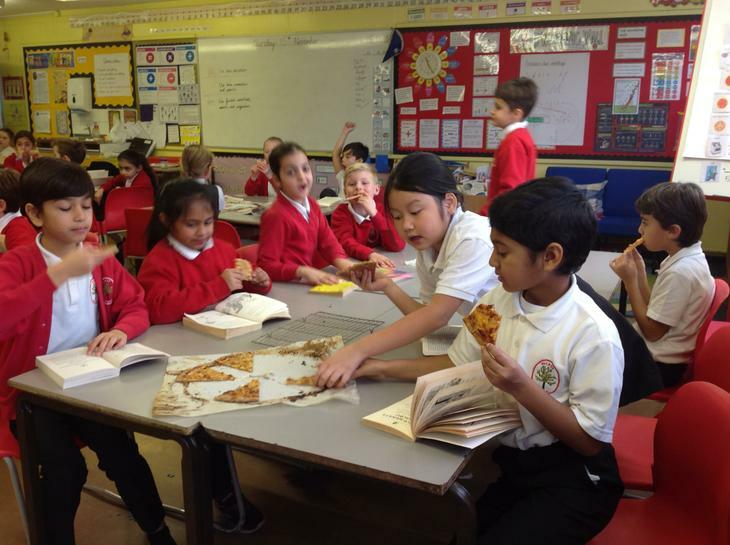 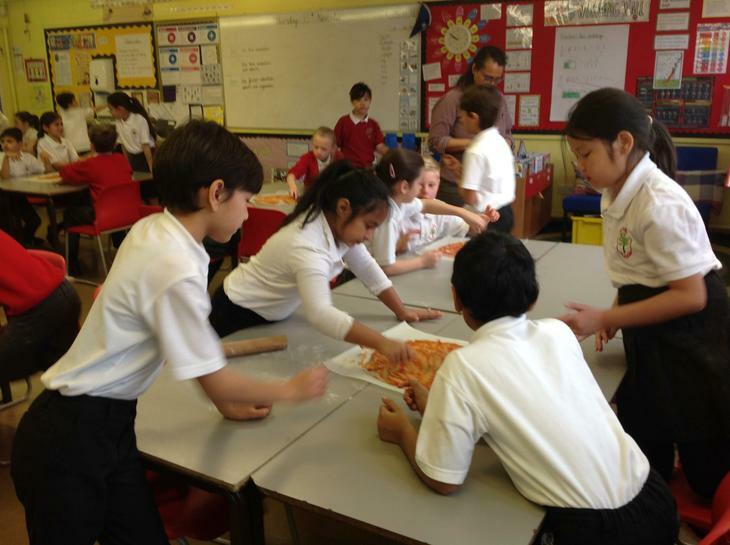 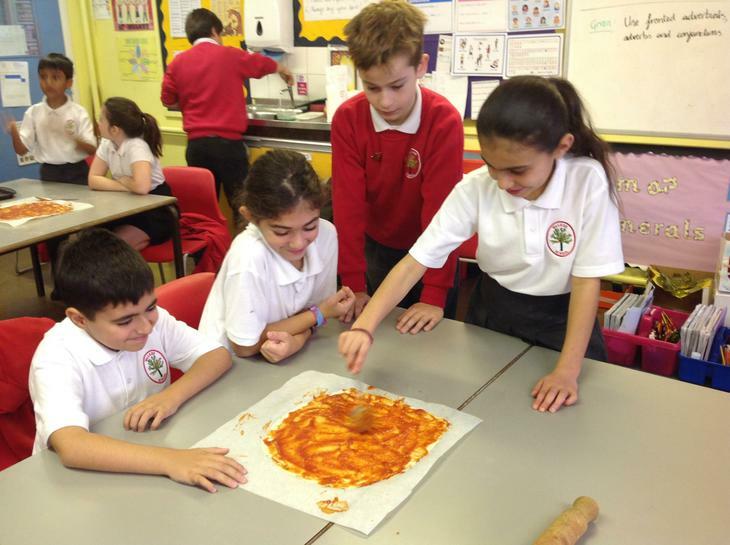 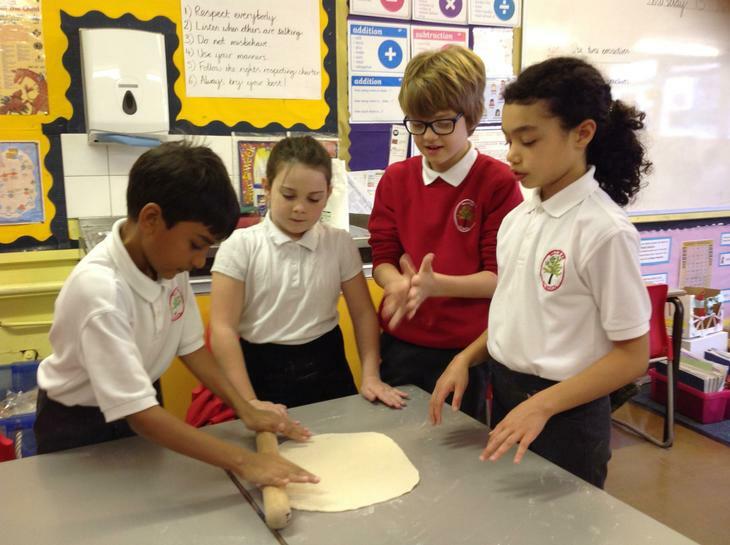 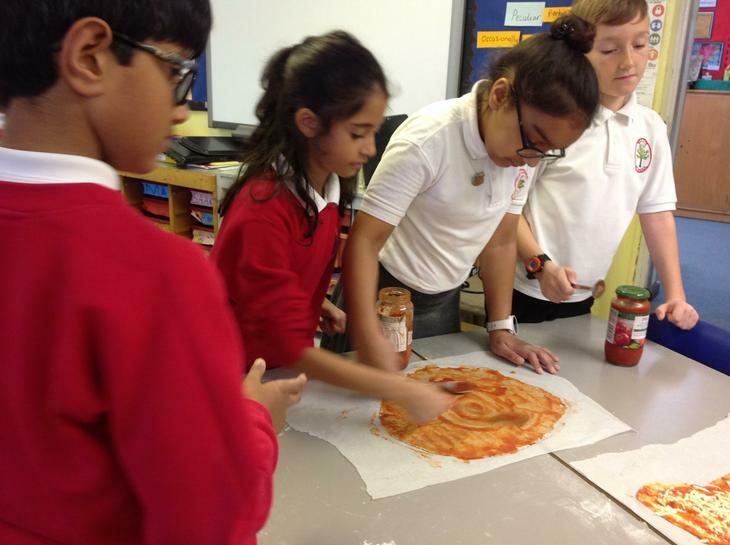 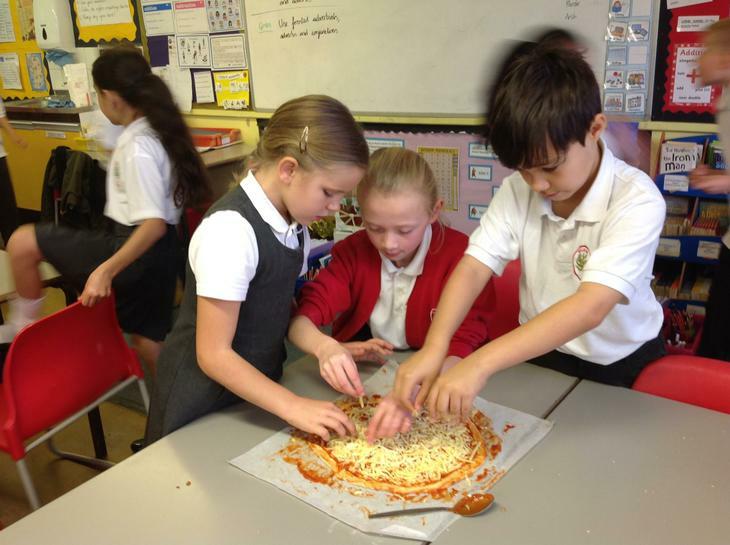 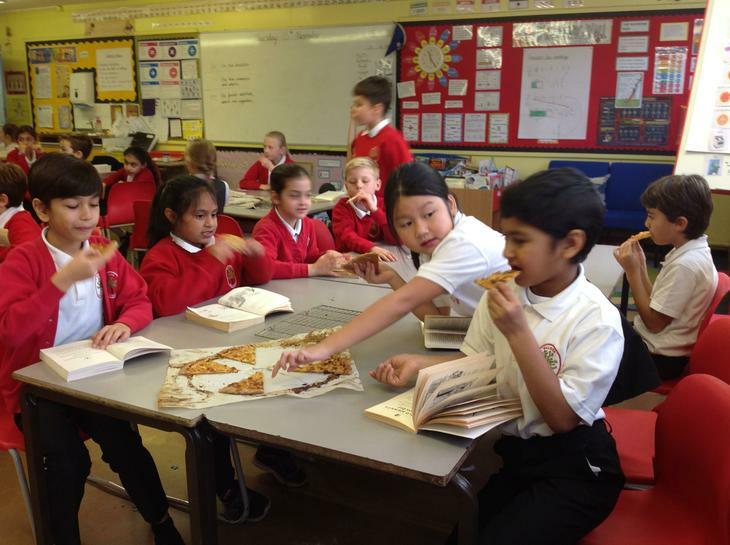 4D enjoyed making pizzas whilst following their own instructions incorporated with their understanding of fractions. 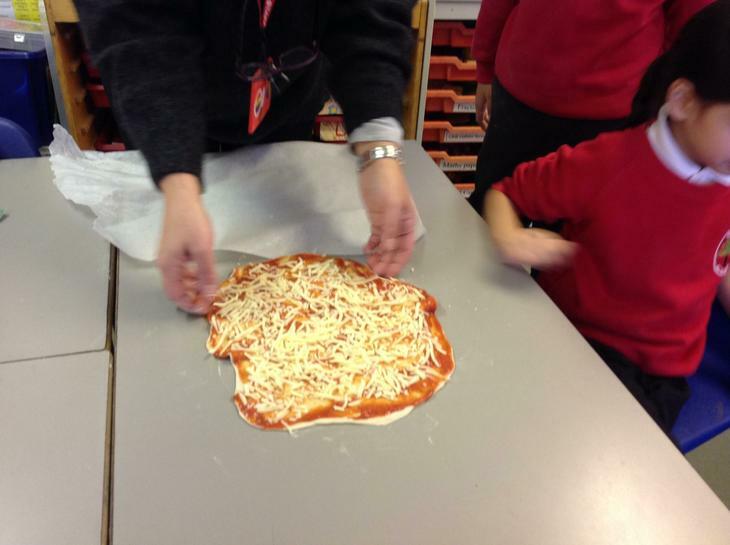 Your task this week is to apply what you have learnt through instruction writing in literacy by making a pizza with someone at home. 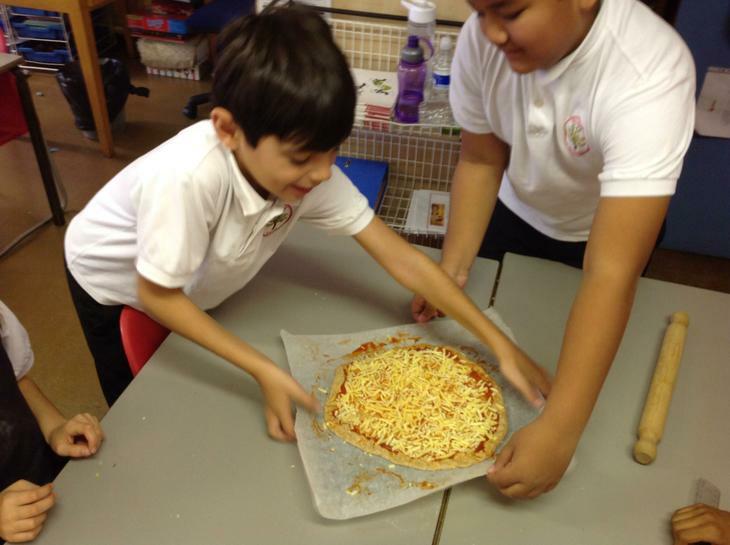 As we have covered this in class, you should be able to use time connectives and imperative verbs to instruct the person you are cooking with and explain why each step is necessary. 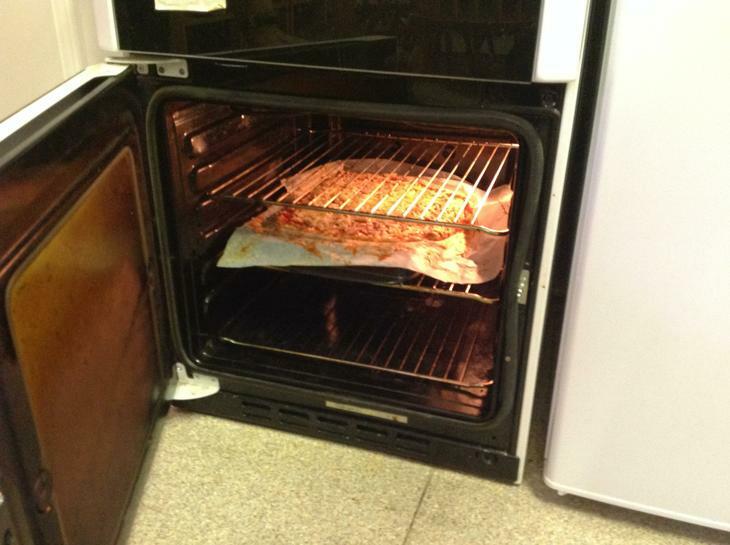 You can make any kind of pizza you like. 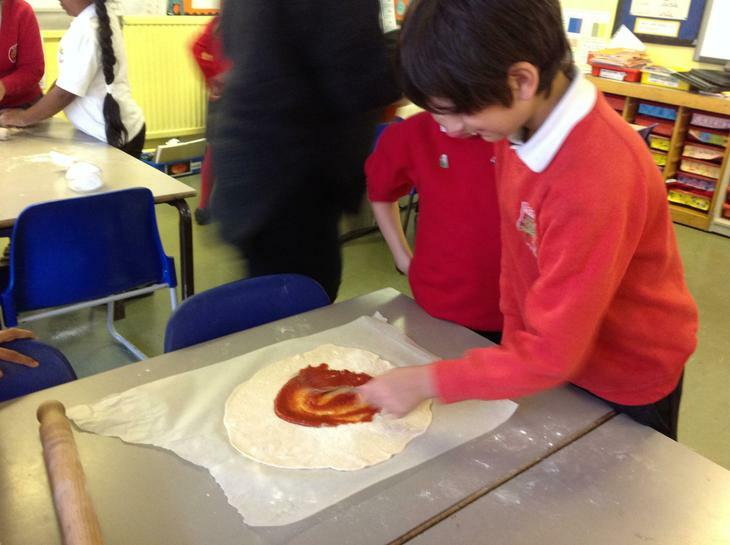 All we would like next week is a photo of you making the pizza and one photo of the finished deliciousness! 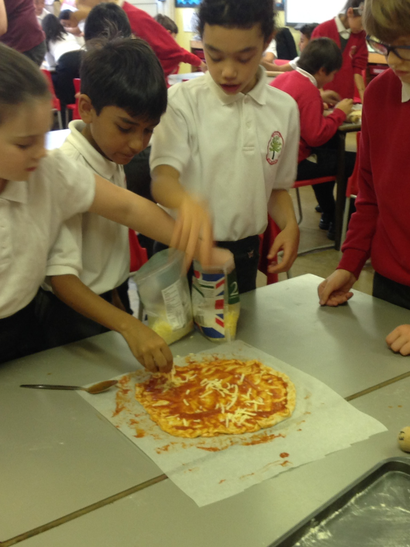 Once you have created your pizza, you could then discuss what you have learnt about fractions in numeracy with the people you share it with! 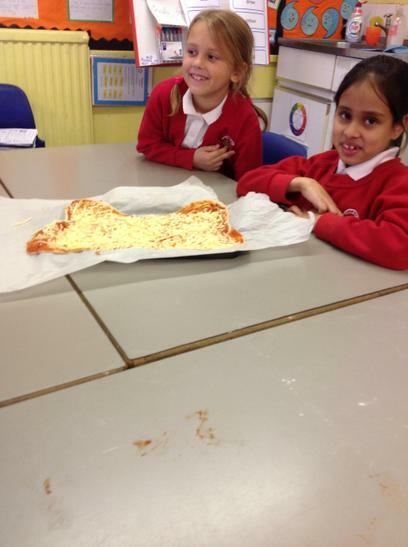 All that is left to say is we hope you have fun and bon appétit! 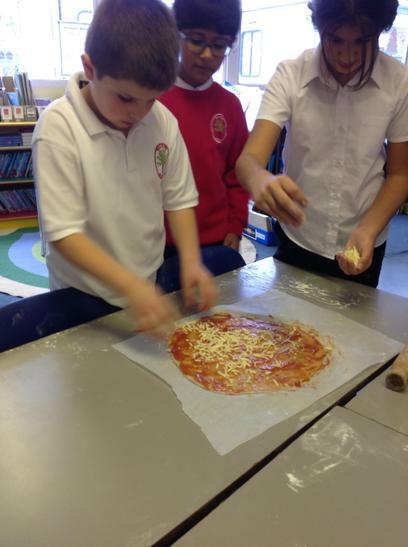 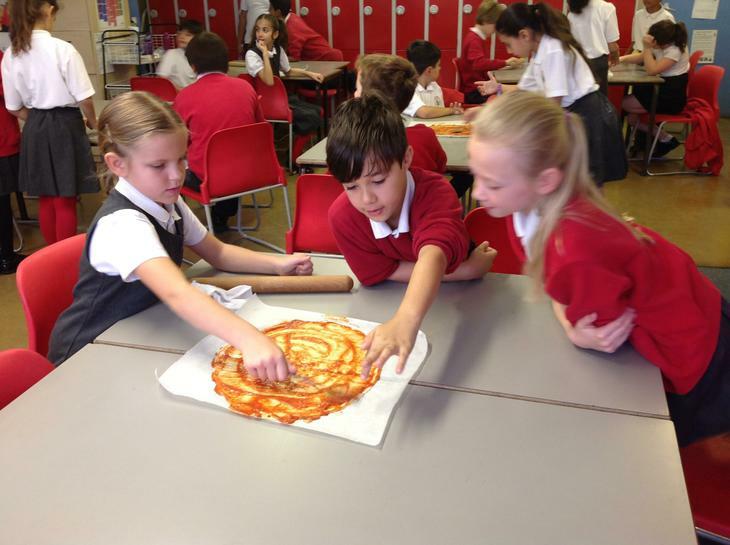 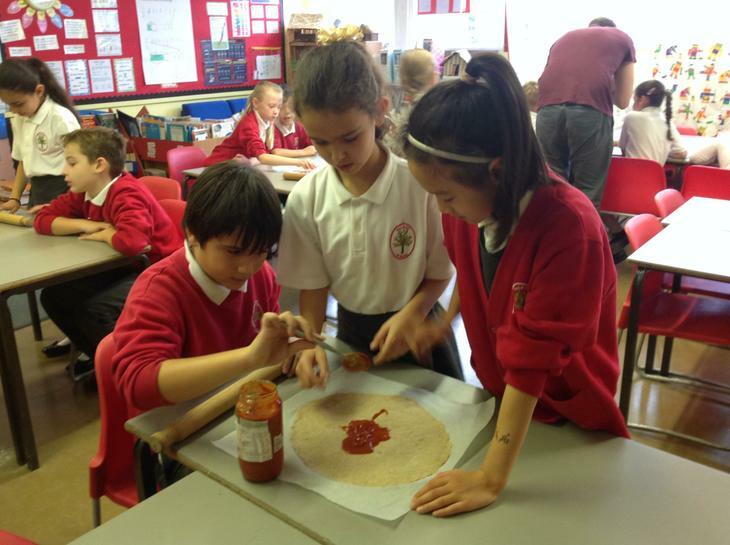 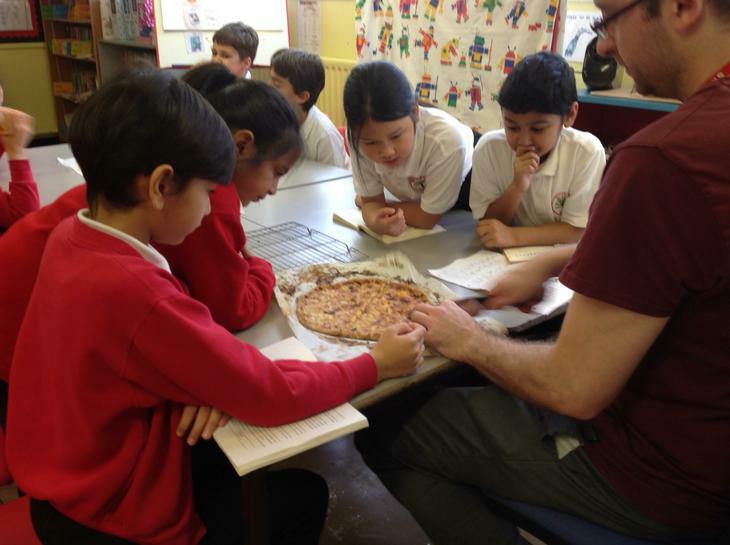 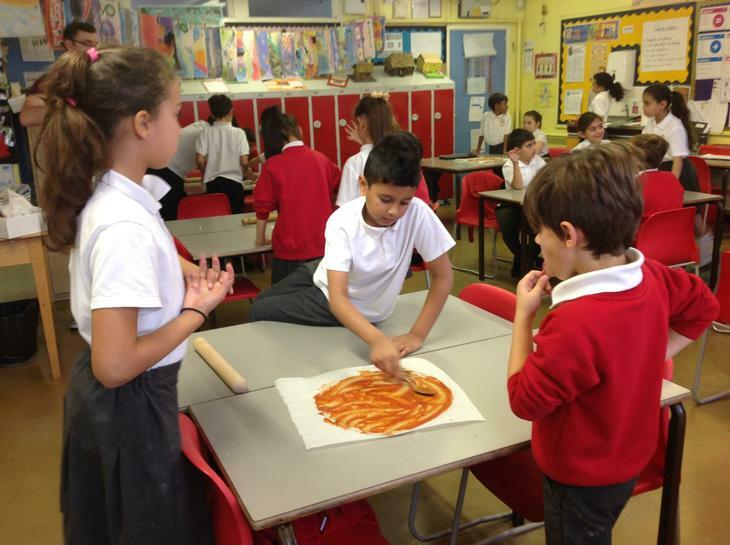 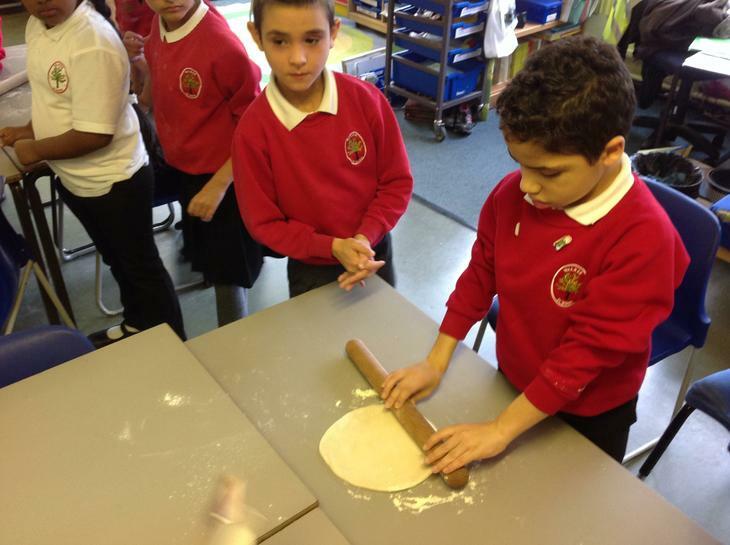 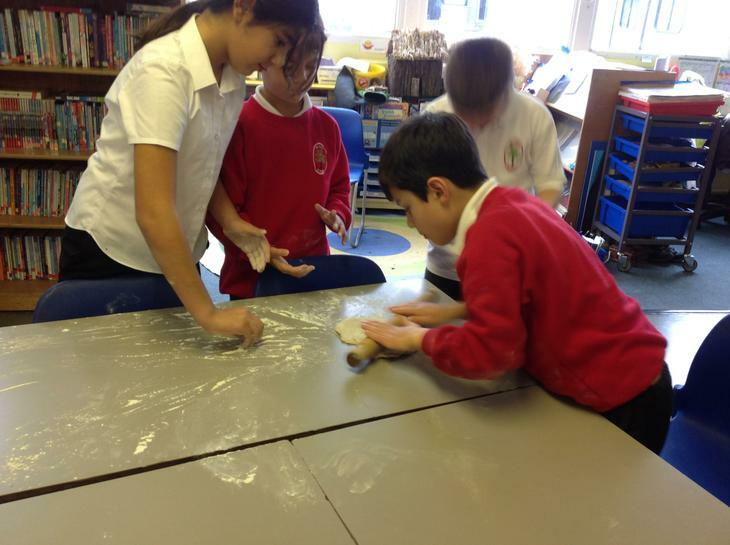 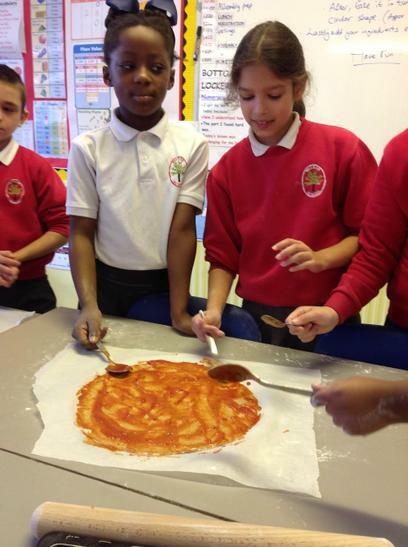 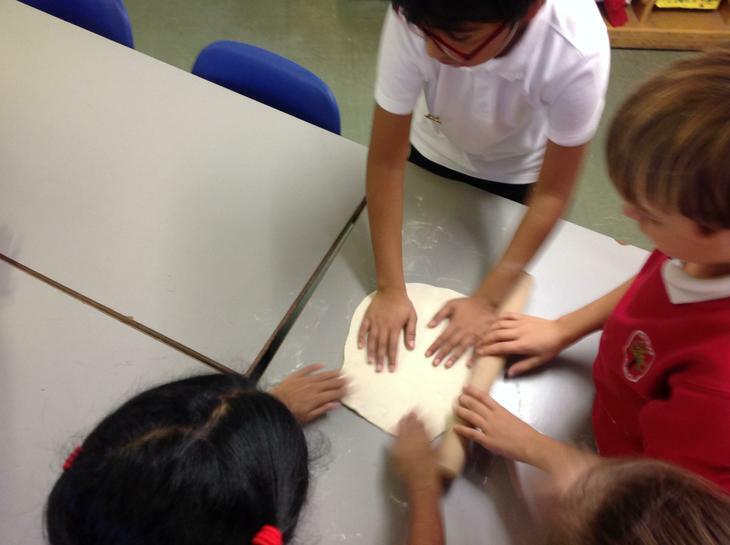 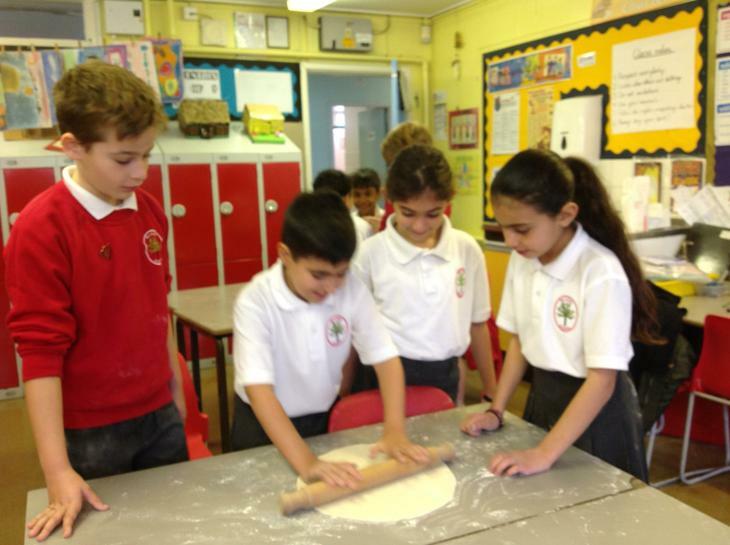 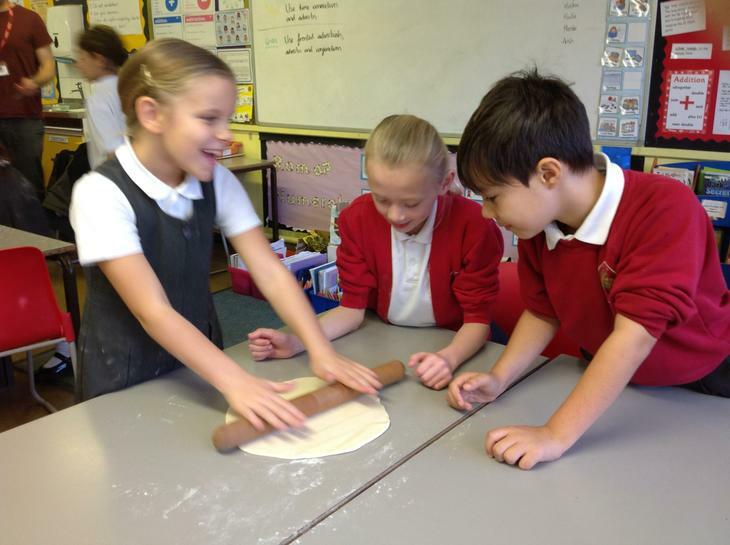 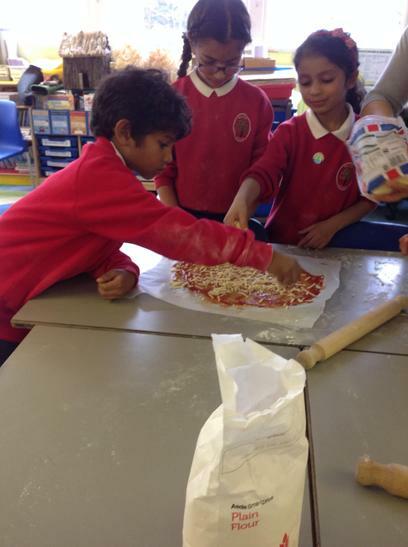 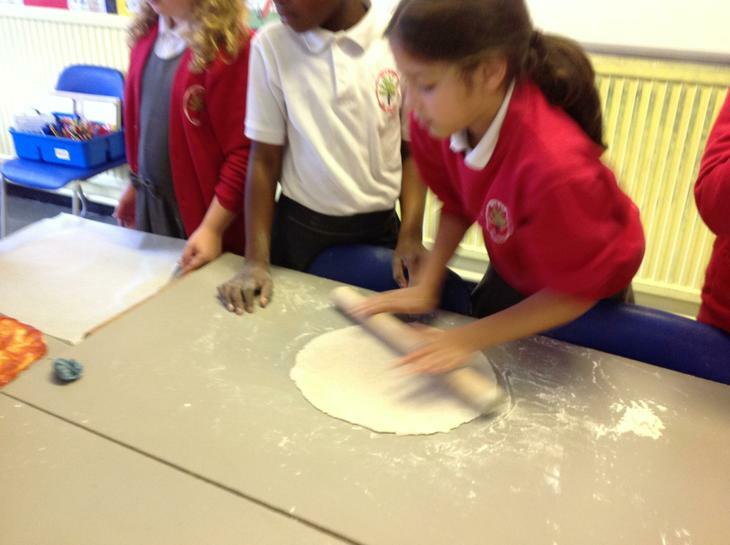 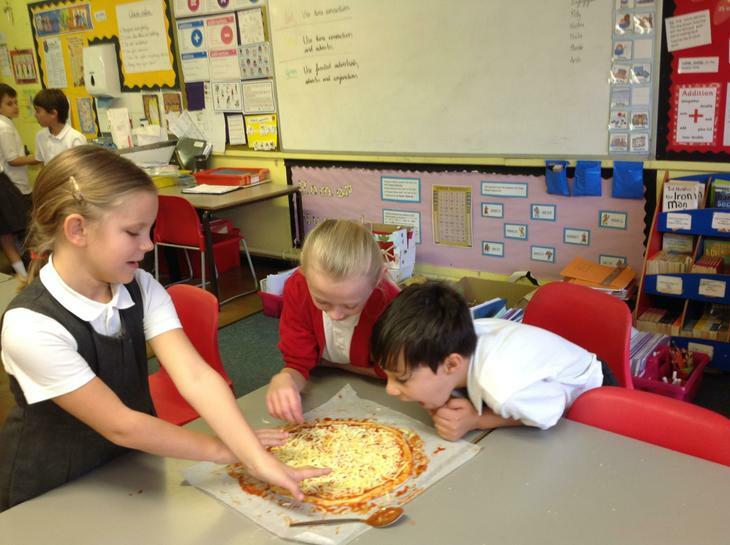 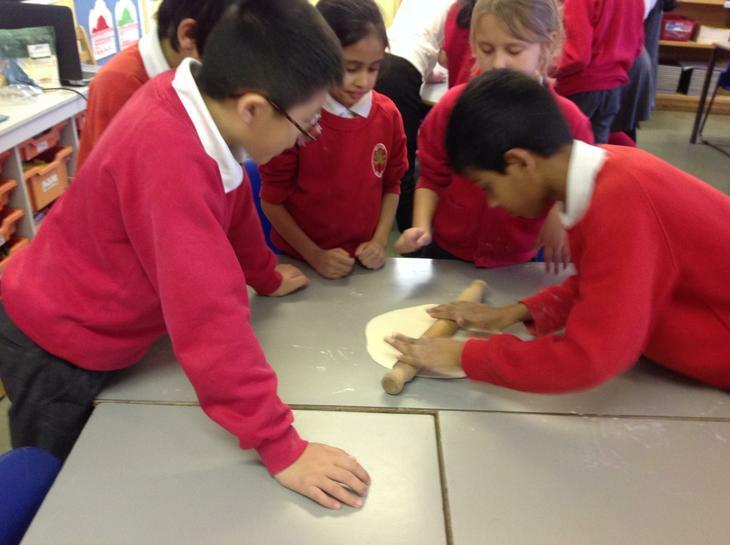 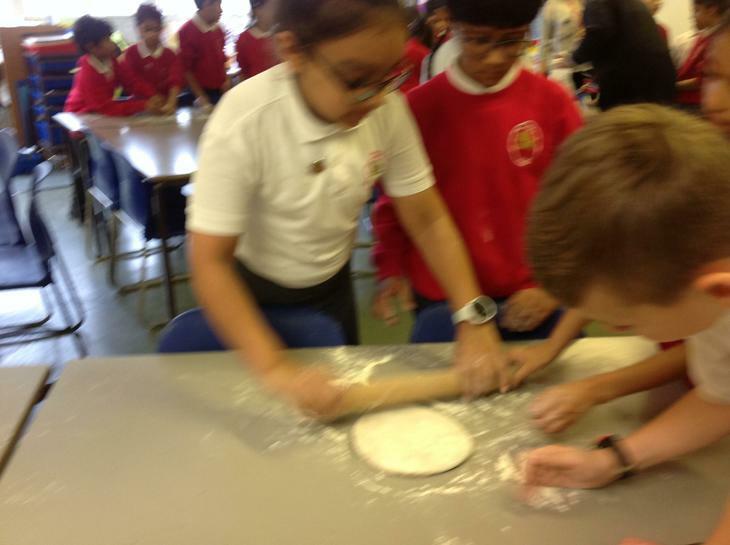 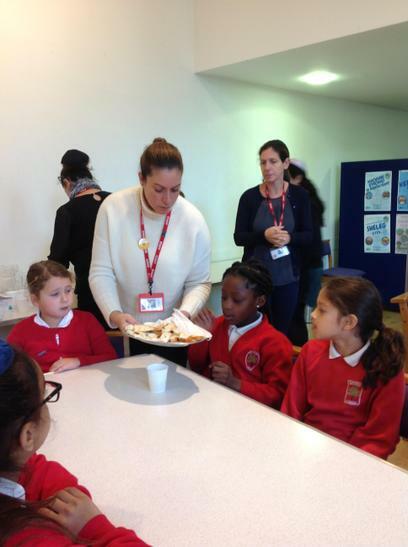 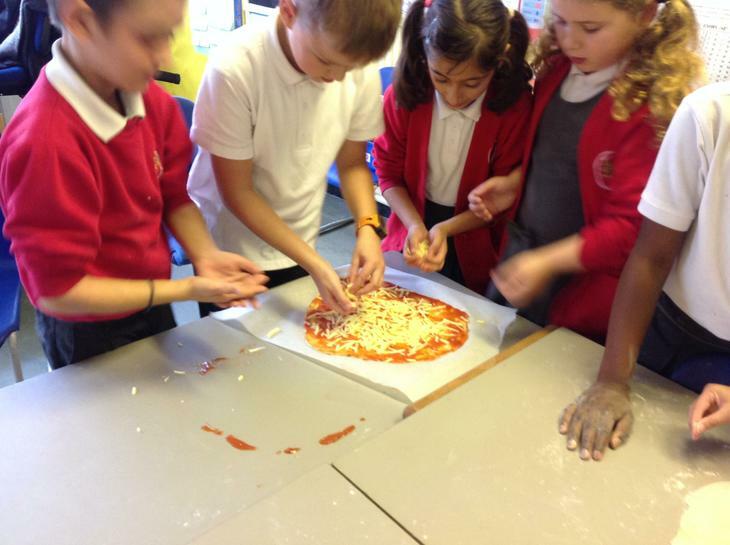 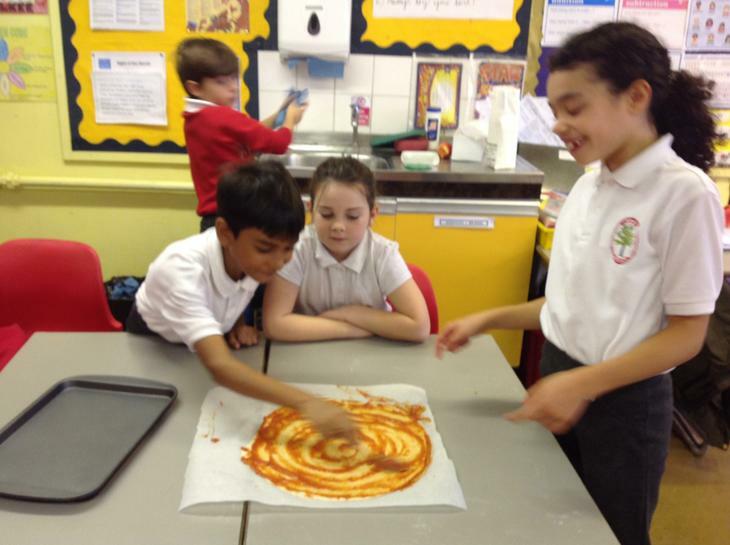 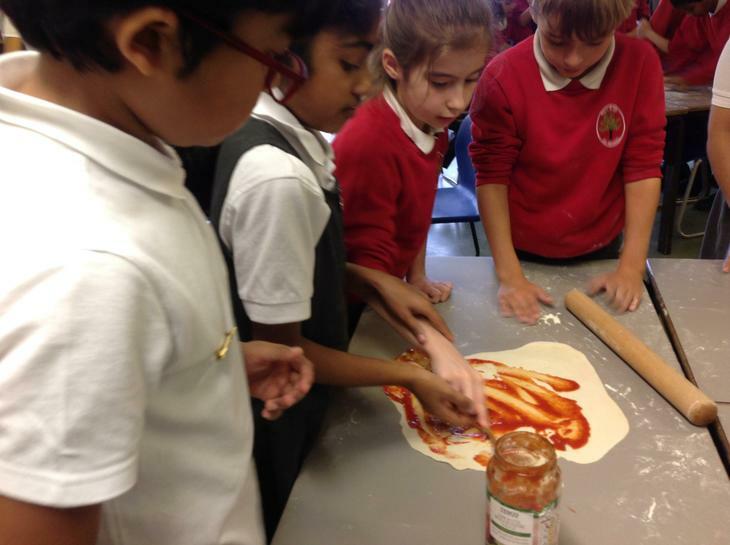 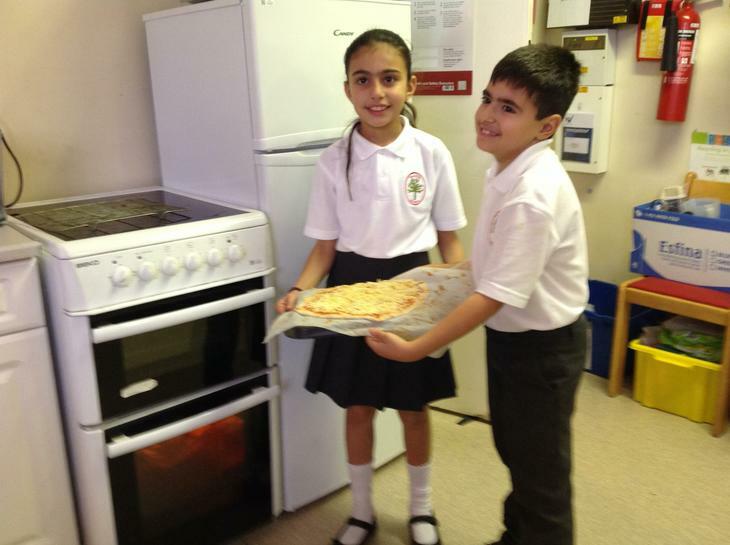 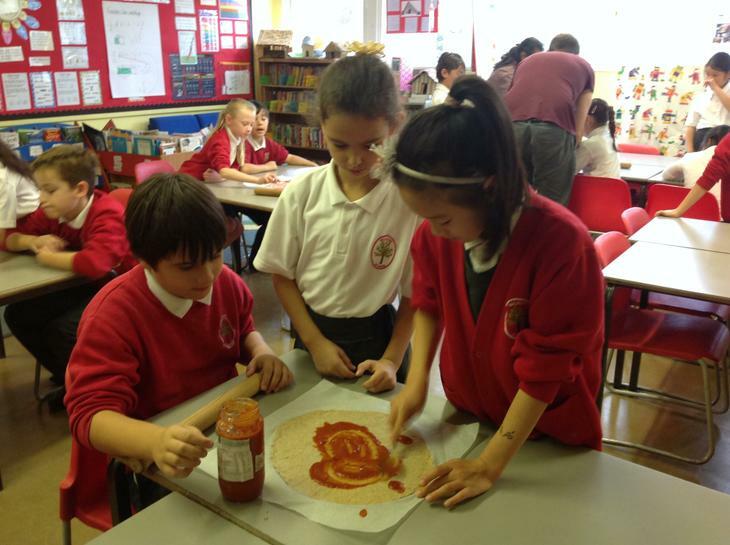 4KD had great fun working together to follow our own instructions to make pizza. 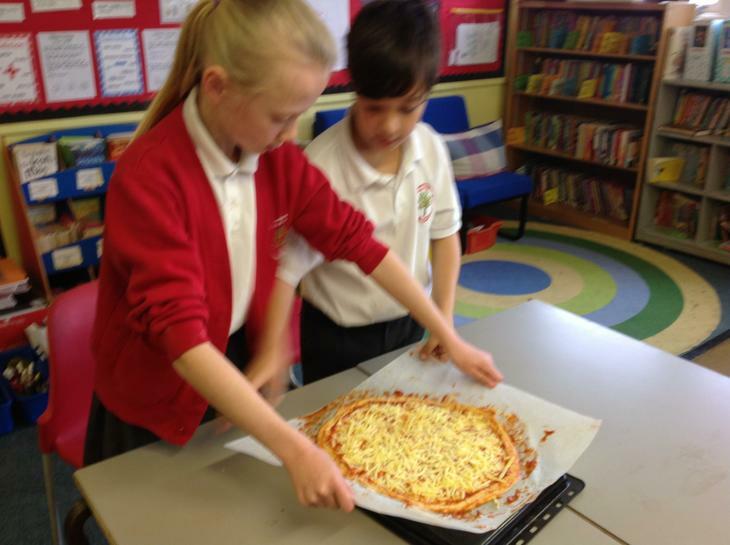 Once the pizzas were cooked, we discussed fractions as we cut them into 2/2, 4/4 and 8/8... and then we tucked in and they were delicious! 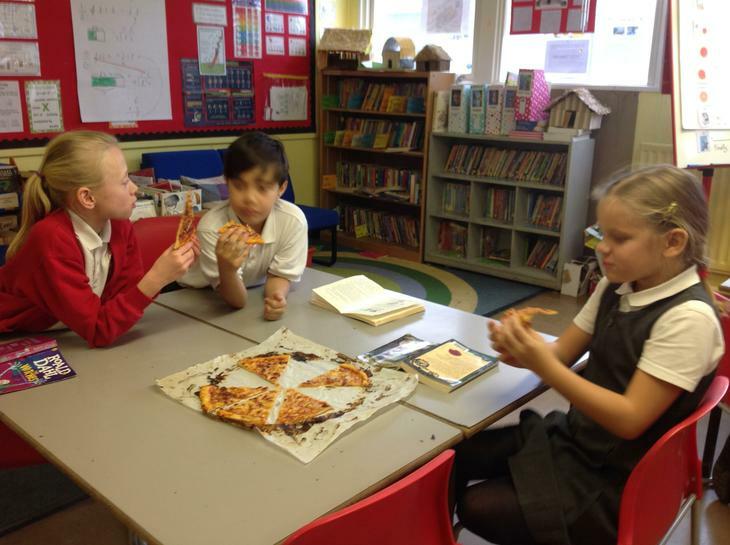 Year 4 will be continuing to learn about fractions and moving on to learn how to divide by 10, 100 and 1000. 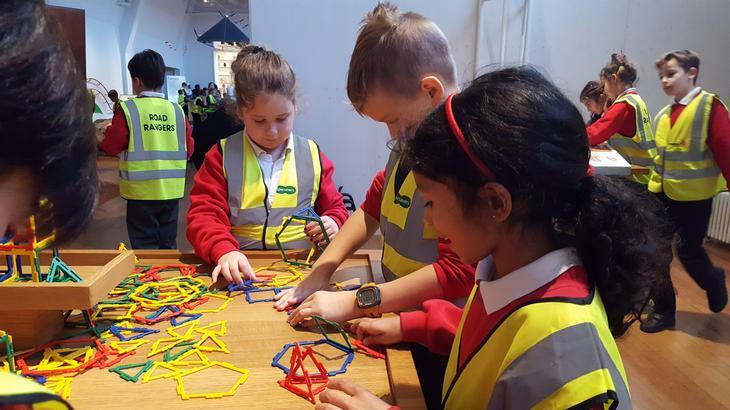 If you would like extra support/work for your child to complete with regard to mathematics, there are a couple of things that can be found on the MyMaths website. 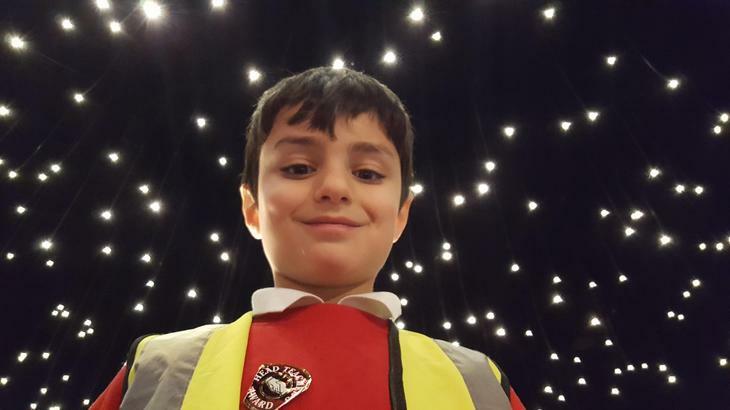 When you first log in using your child's username and password, four tabs appear; the first of which is labelled 'homework'. 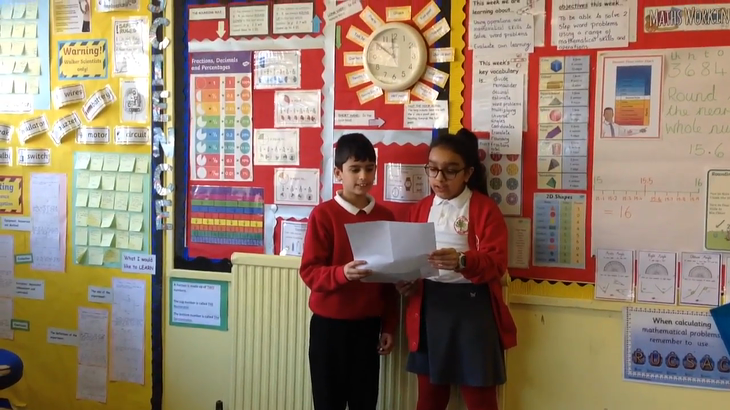 If you click on the 'results' tab you can check the results of your child's homework, and if there is an area where you feel that they need more practise, then they can redo that homework and practise sessions. 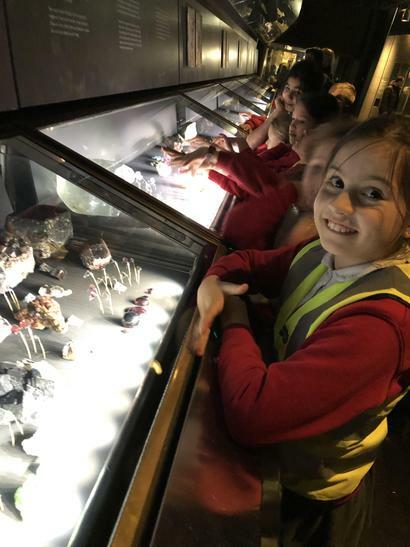 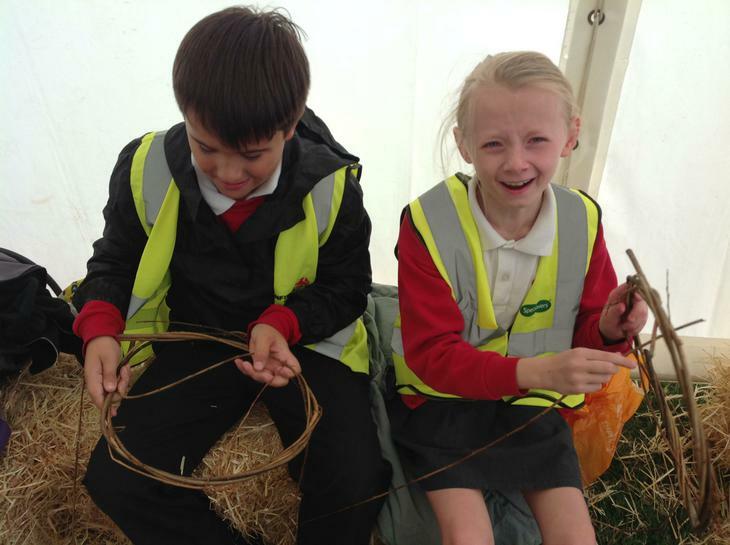 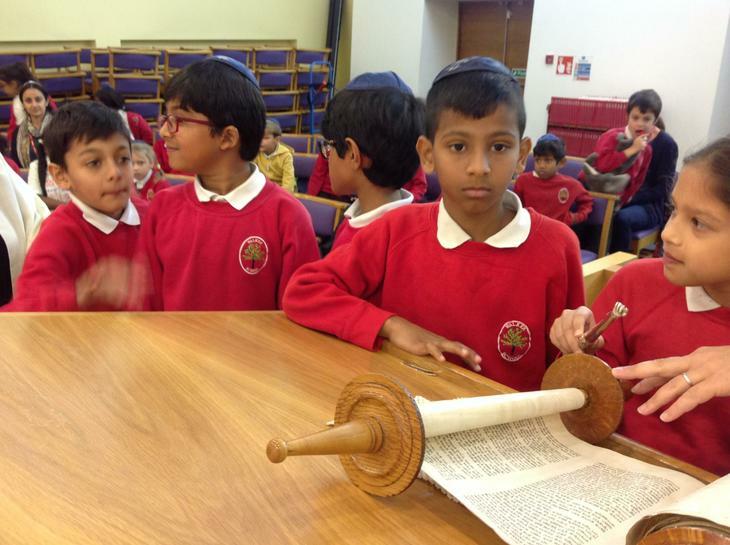 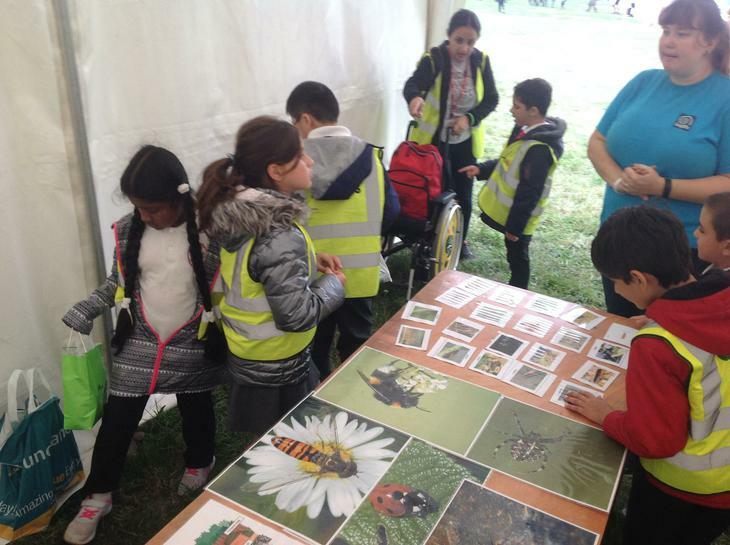 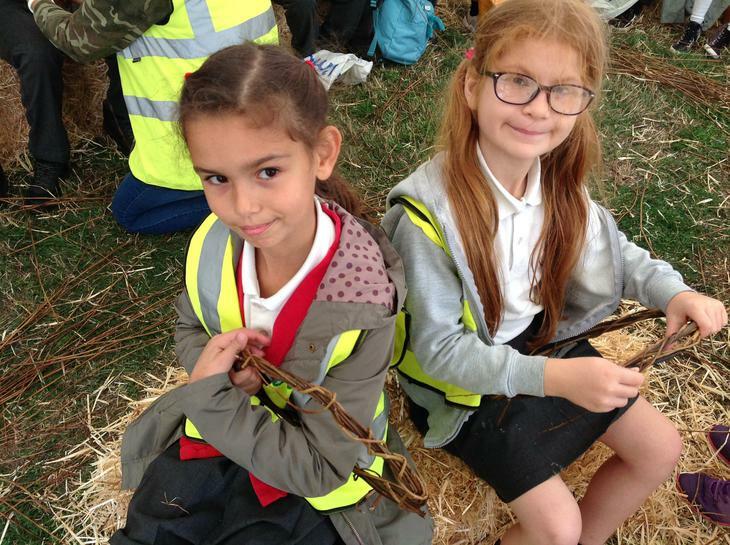 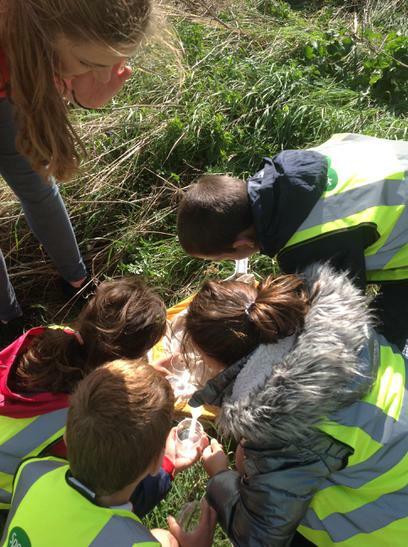 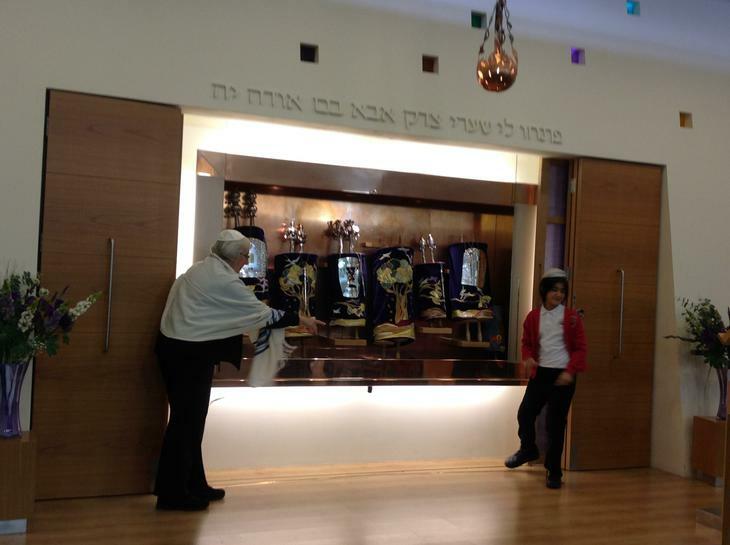 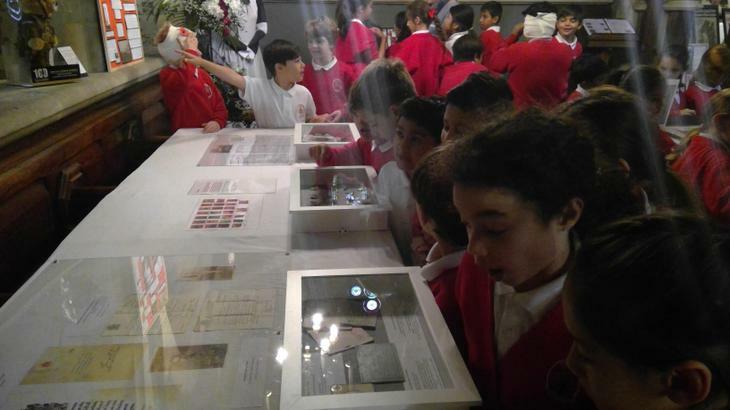 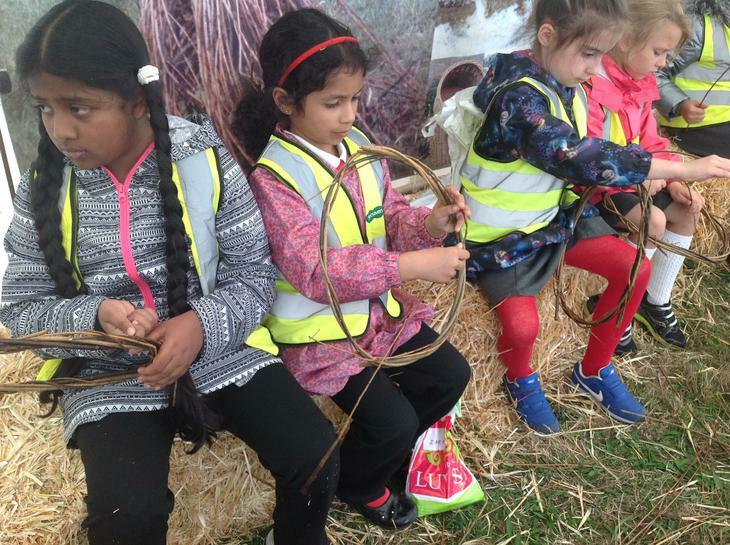 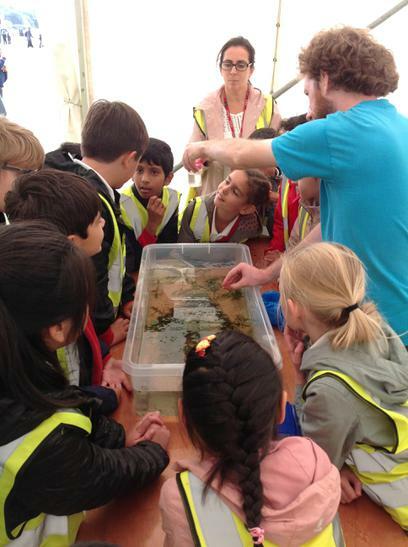 If you click on the 'resources' tab, you will see how much of each year groups curriculum they have completed previously (years 1, 2 and 3) and if you deem it necessary then they can complete the curriculum from the previous years to solidify their knowledge and understanding. 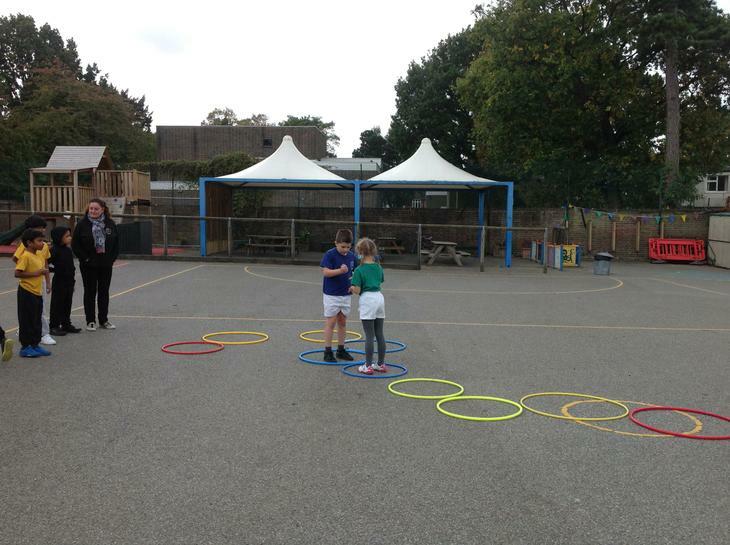 There is also the 'games' tab which your child can access and play games which link to maths skills which they either have or will need during their homework. 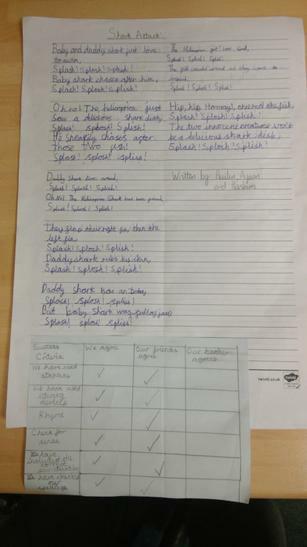 There are no weekly spellings this week, instead we would like you to revise all of the spellings that you have had this half term ready for a test when we come back.